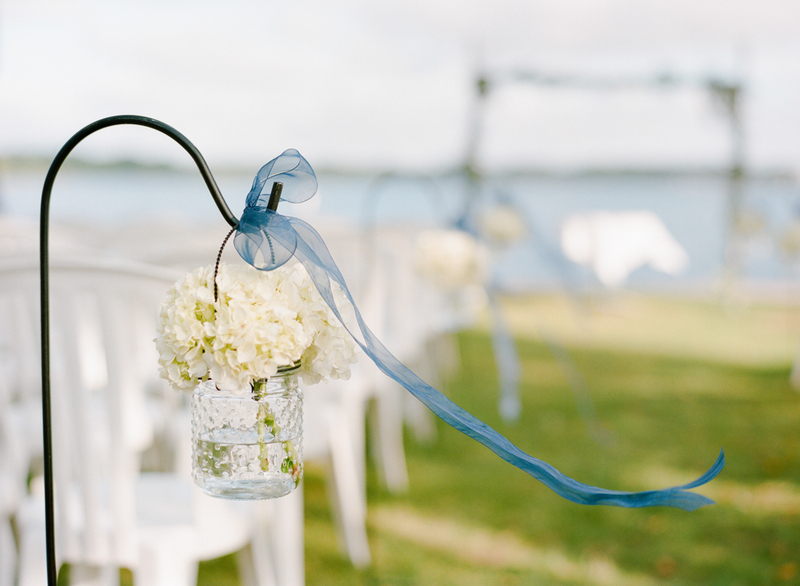 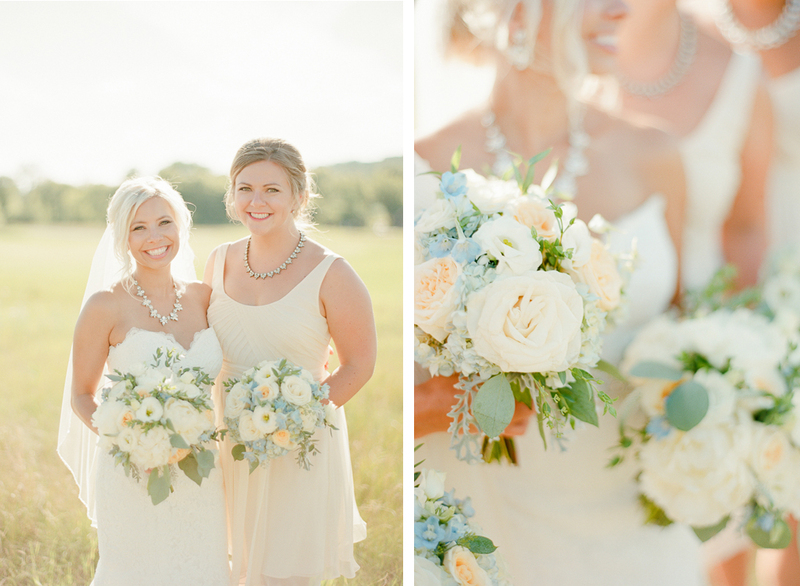 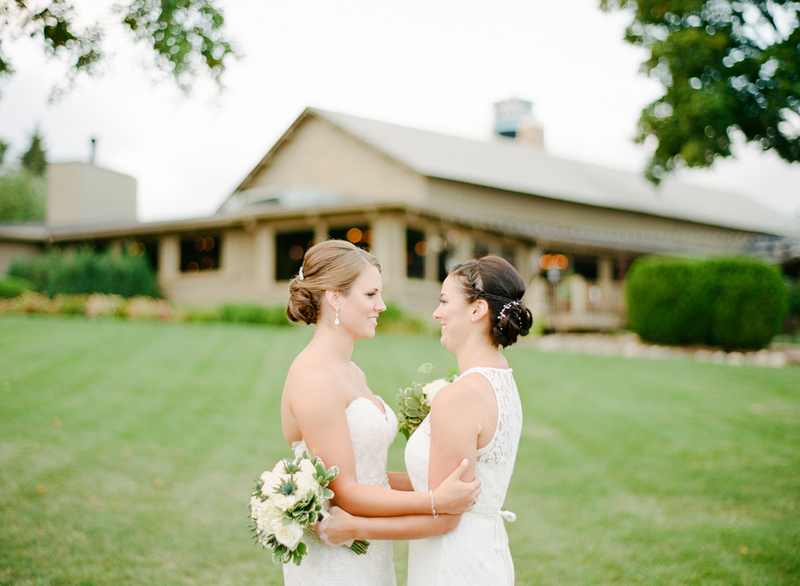 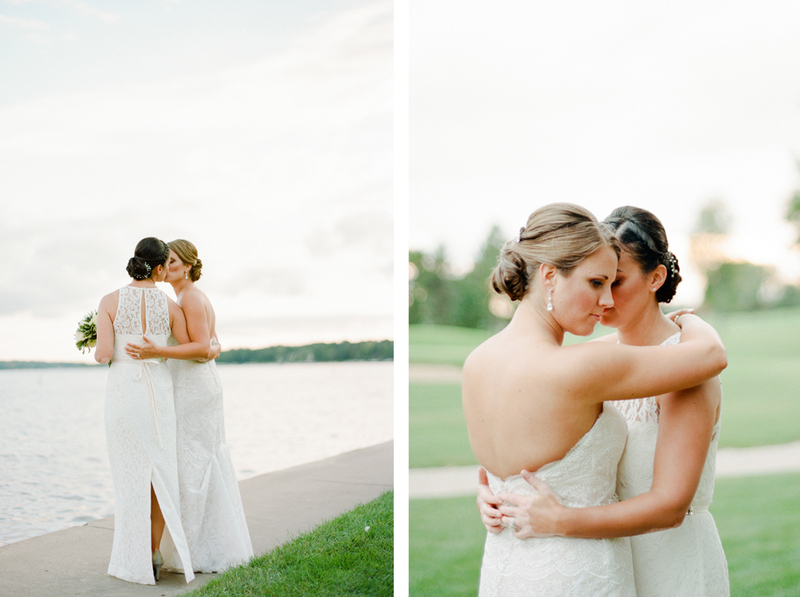 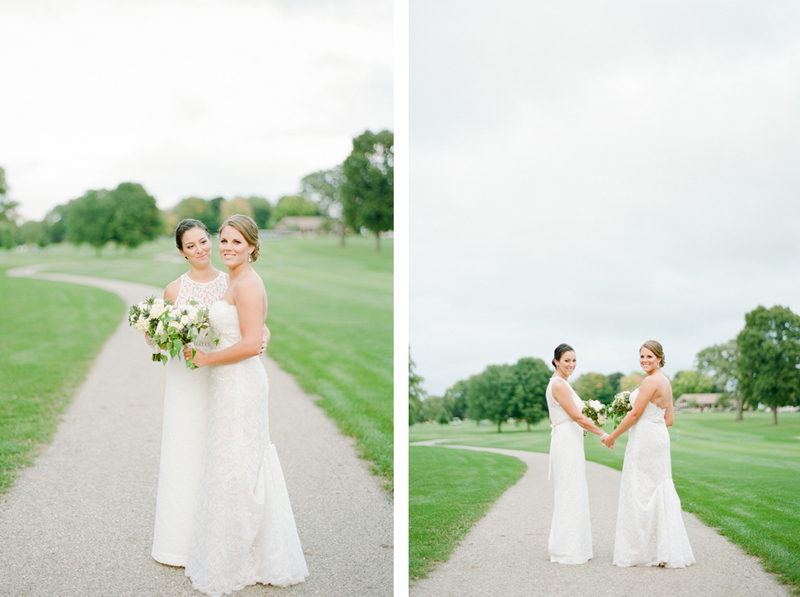 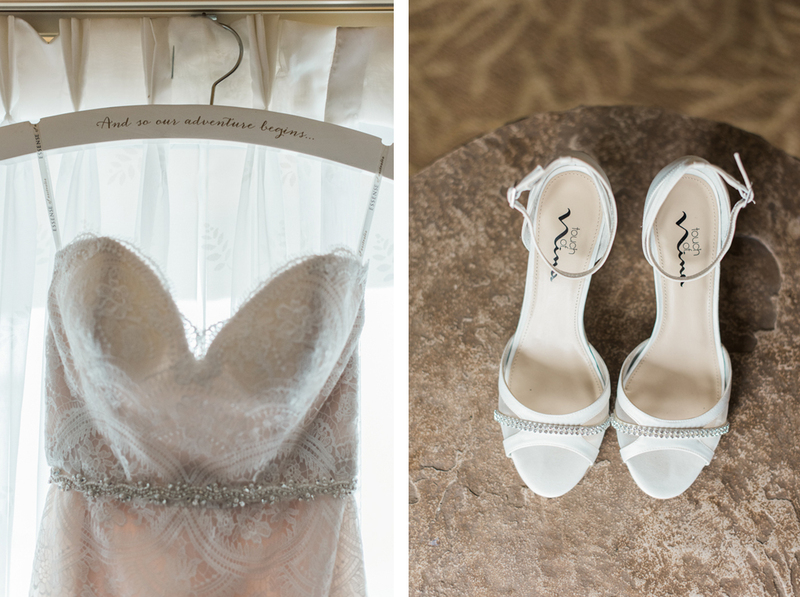 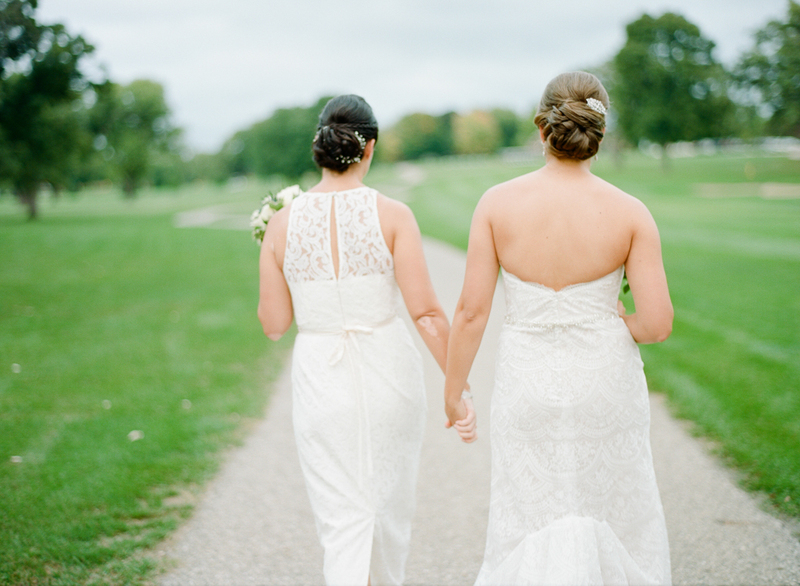 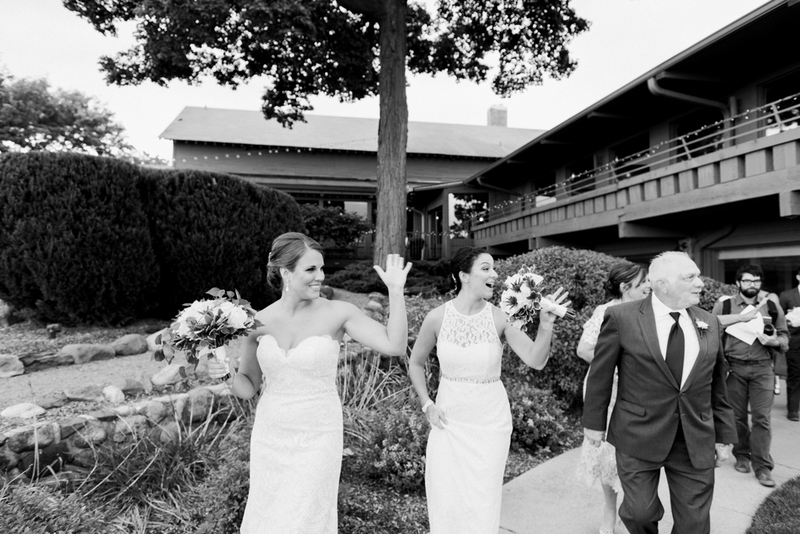 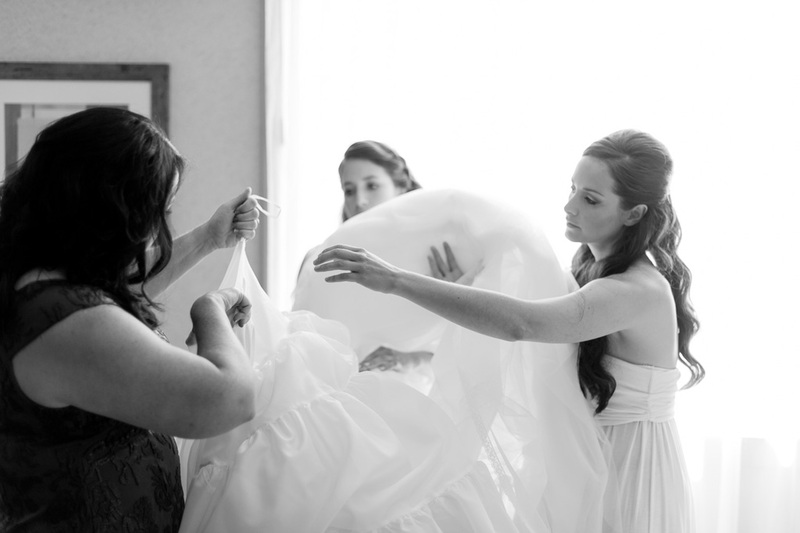 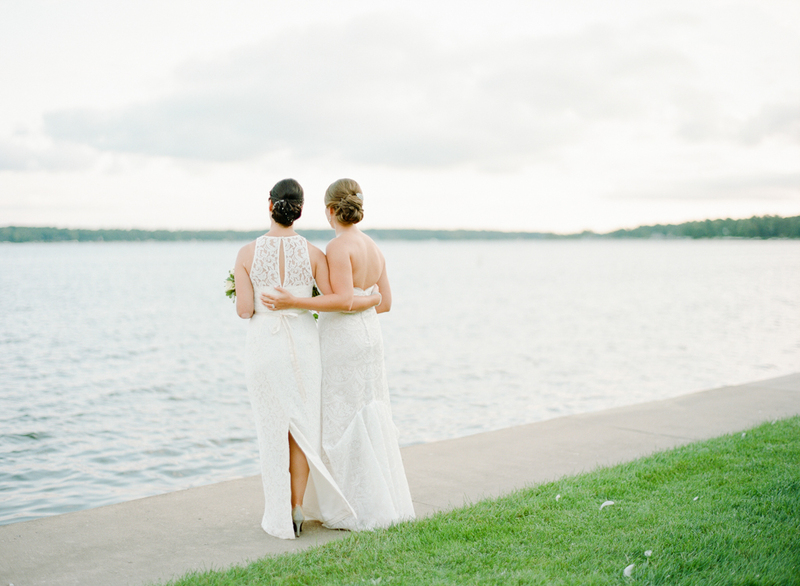 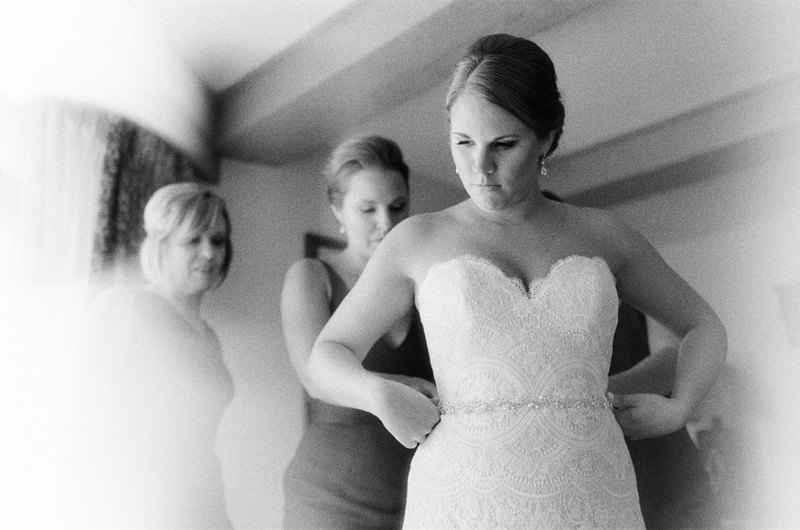 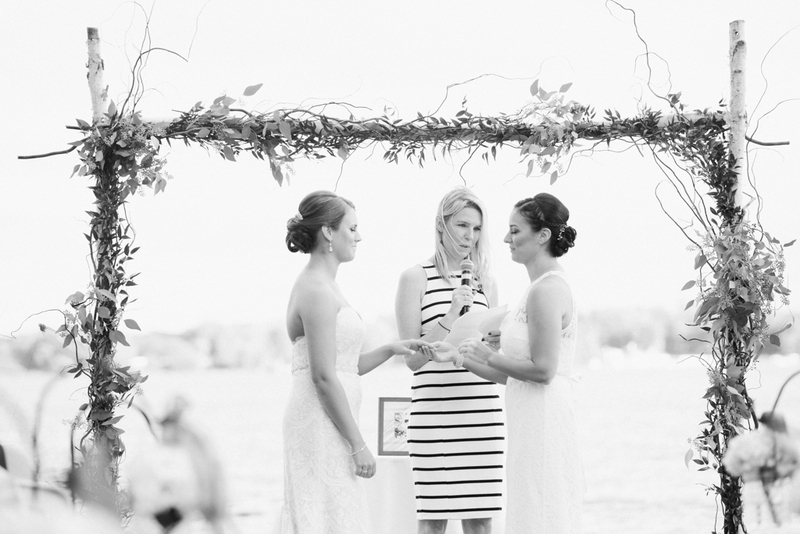 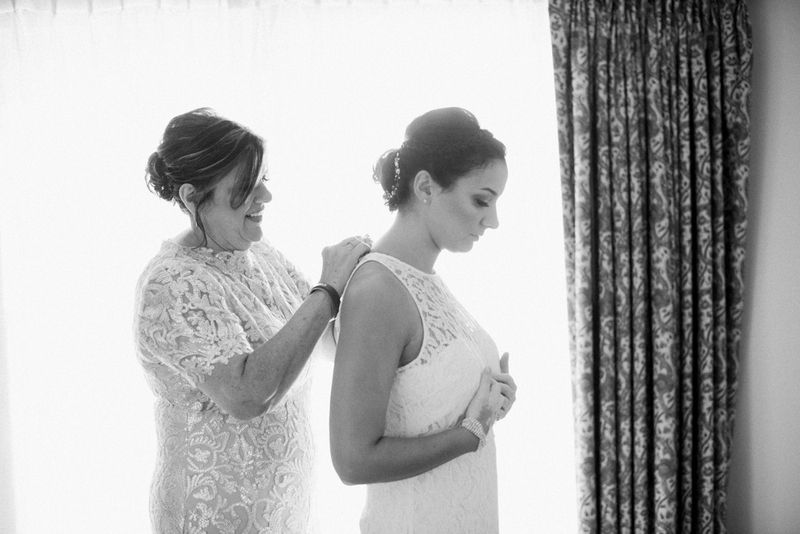 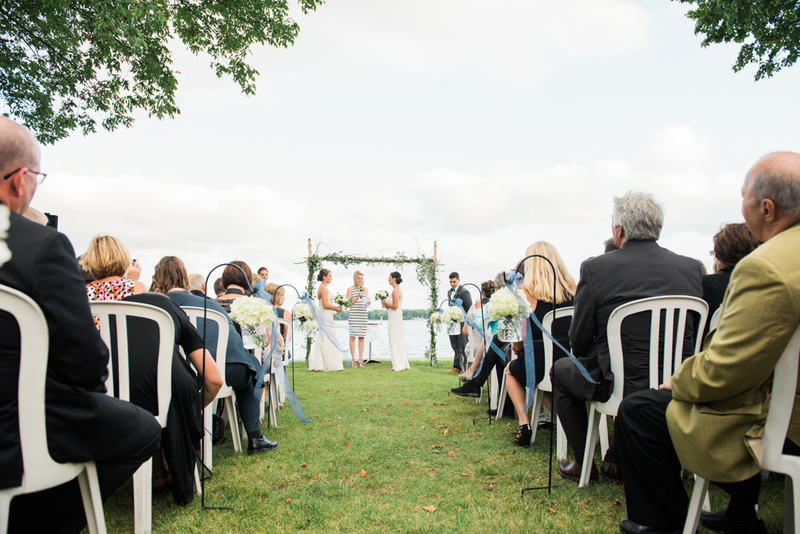 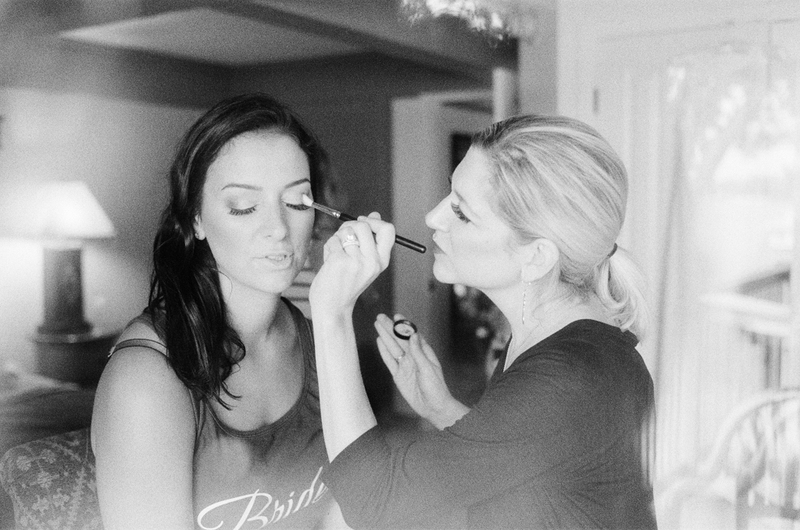 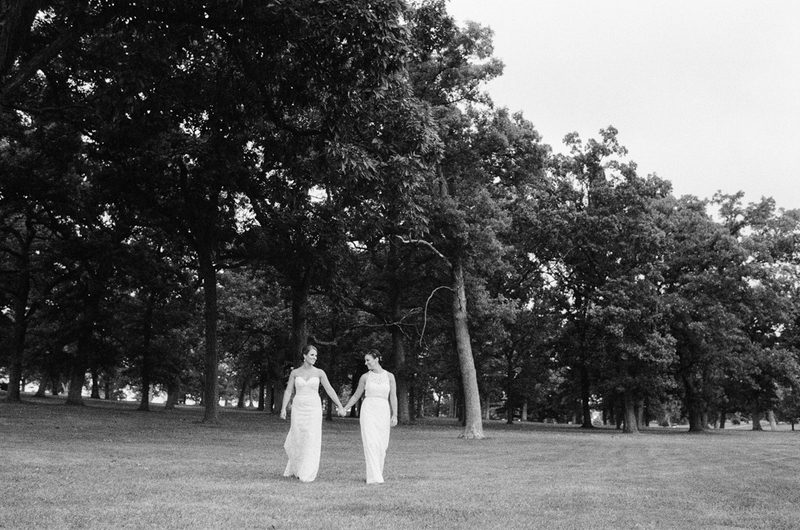 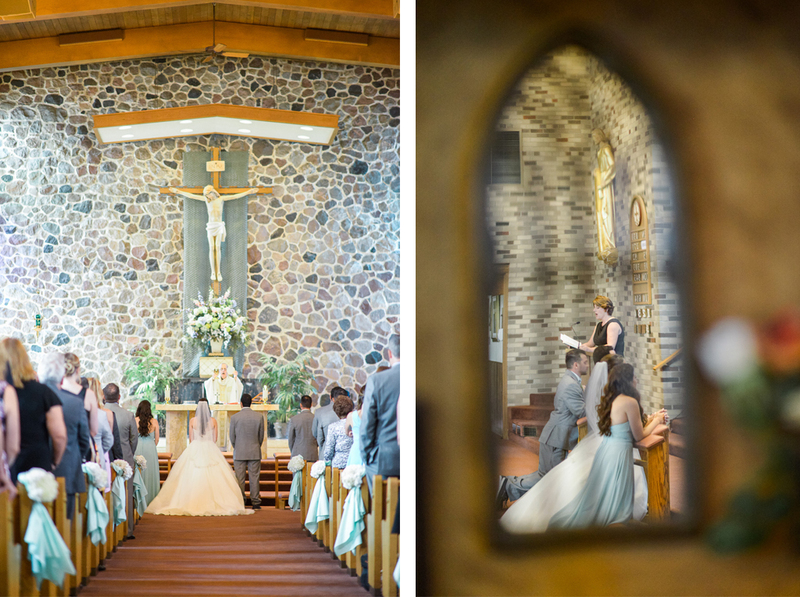 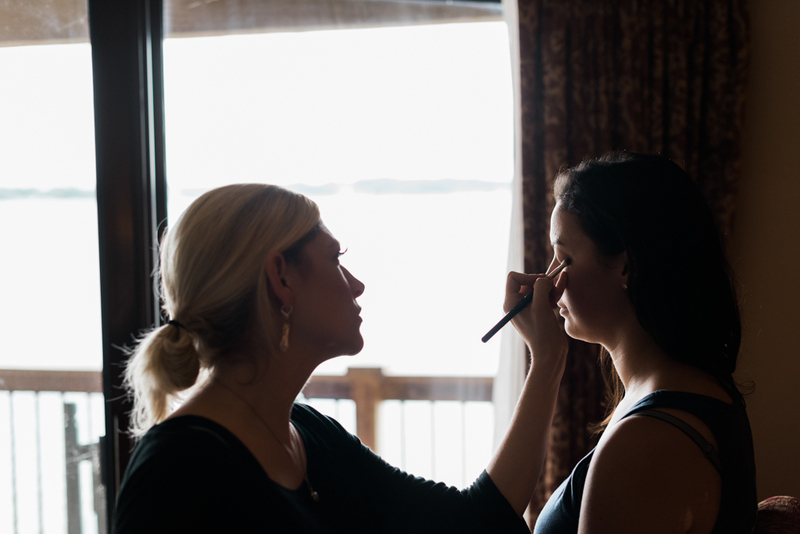 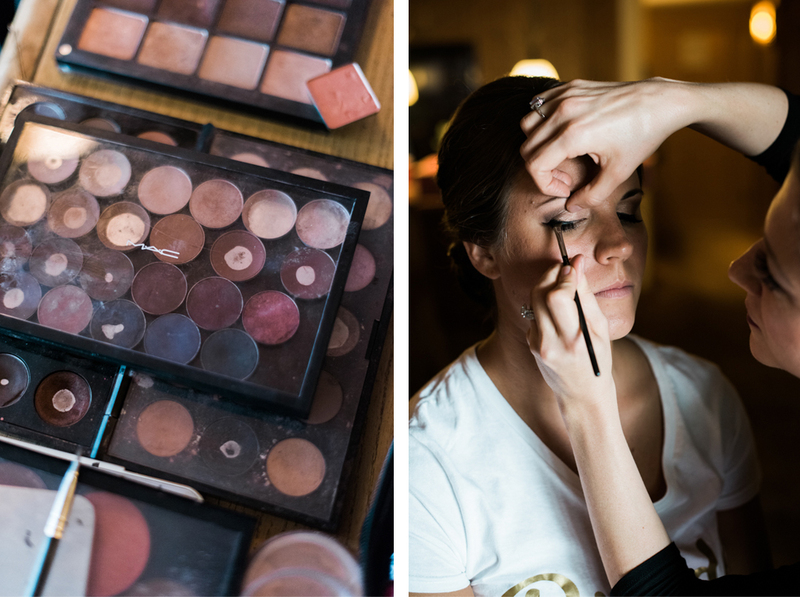 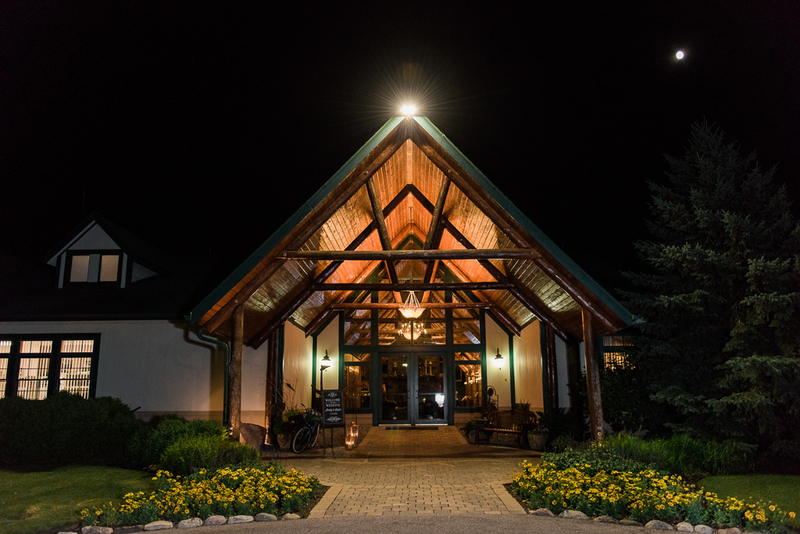 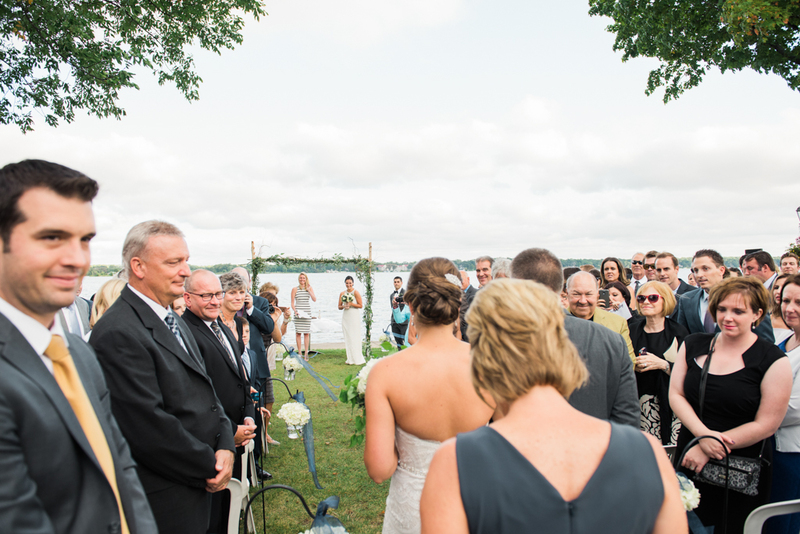 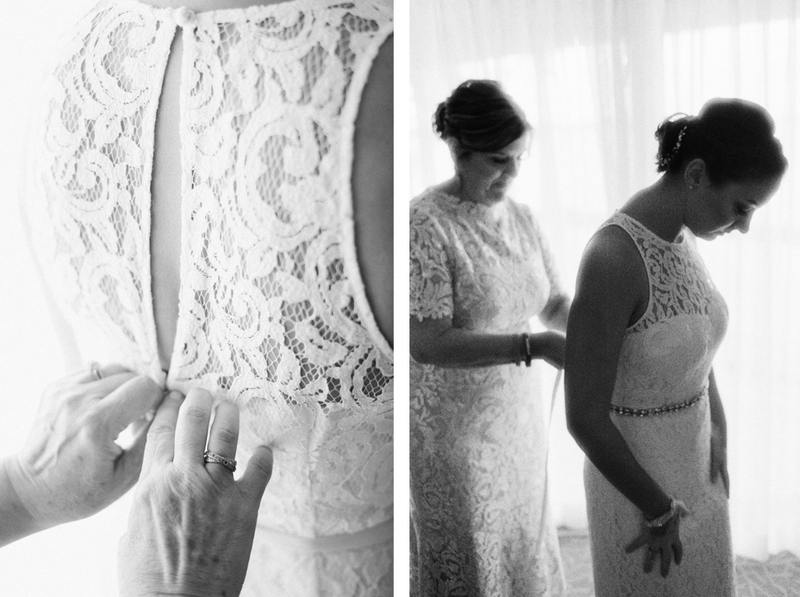 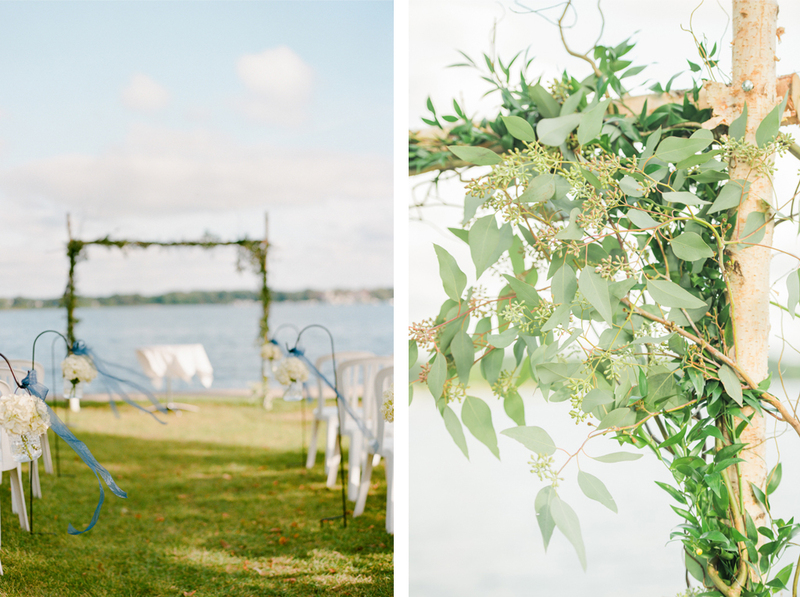 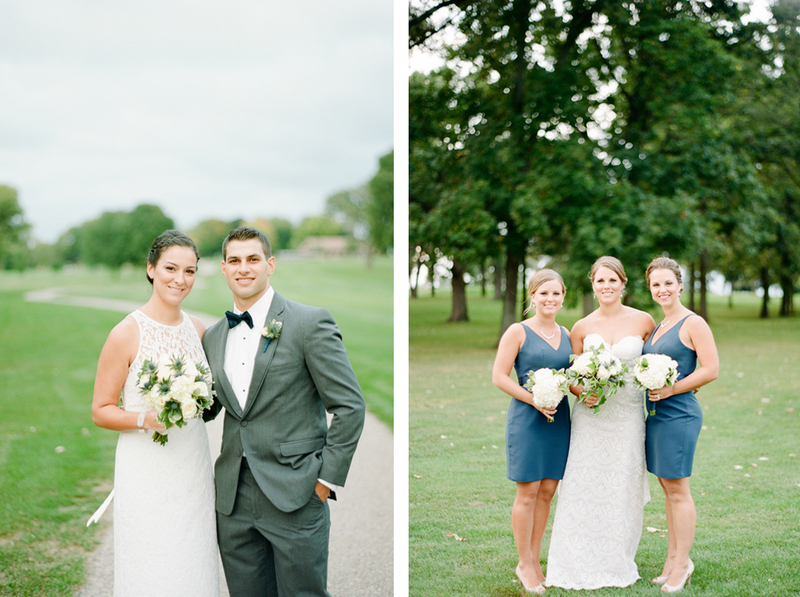 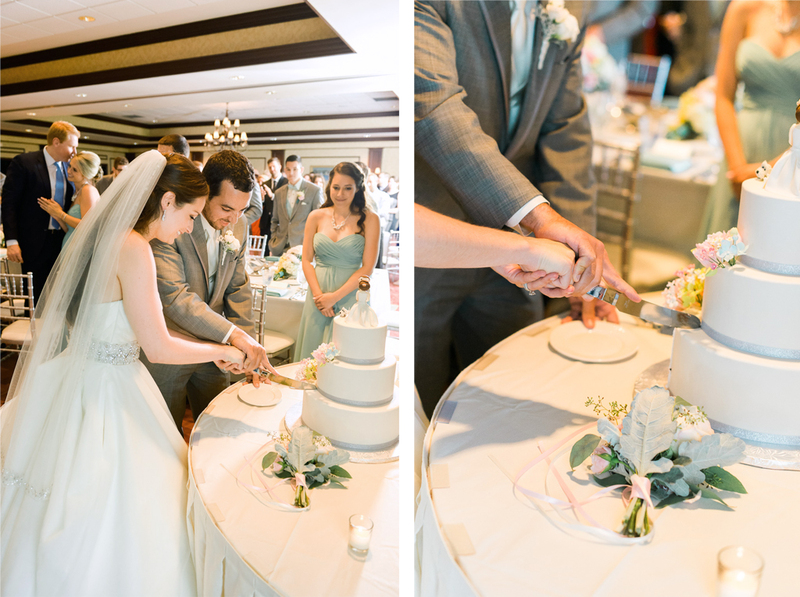 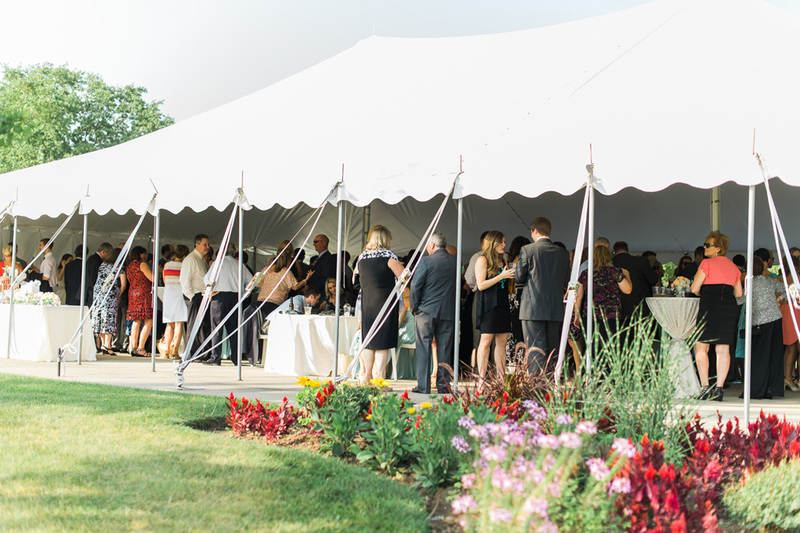 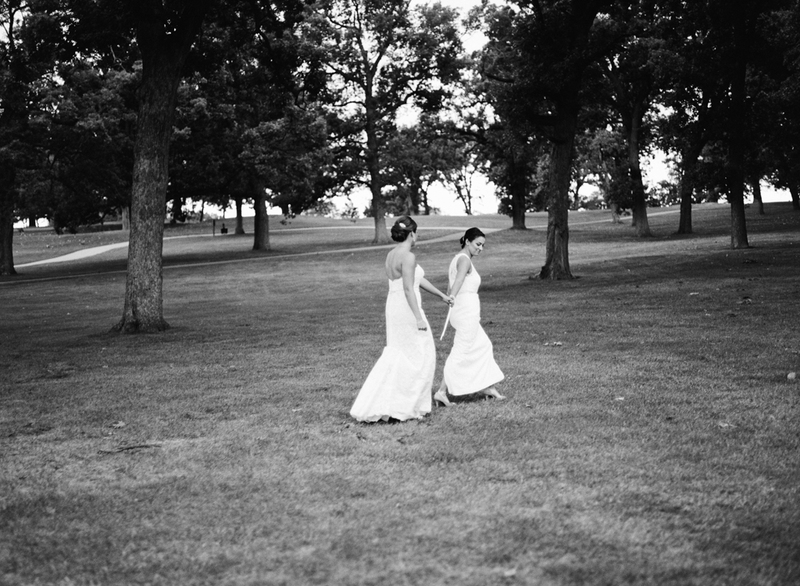 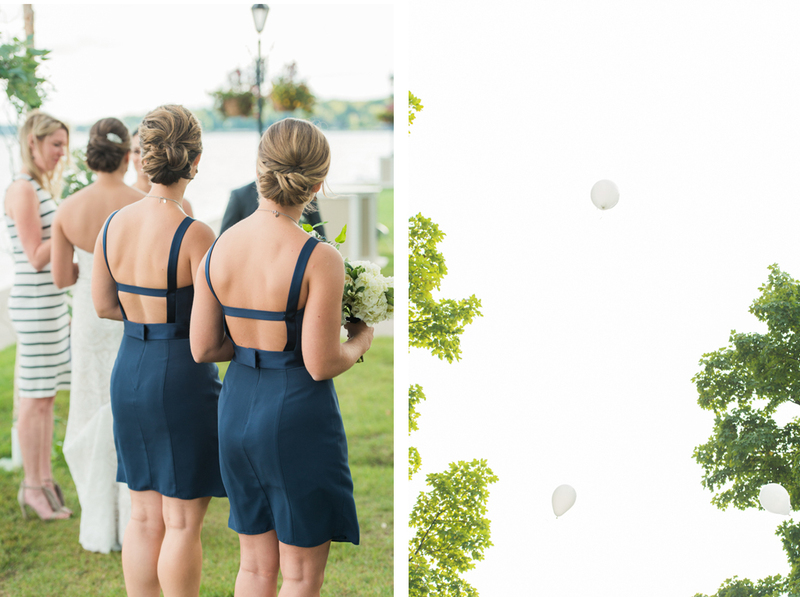 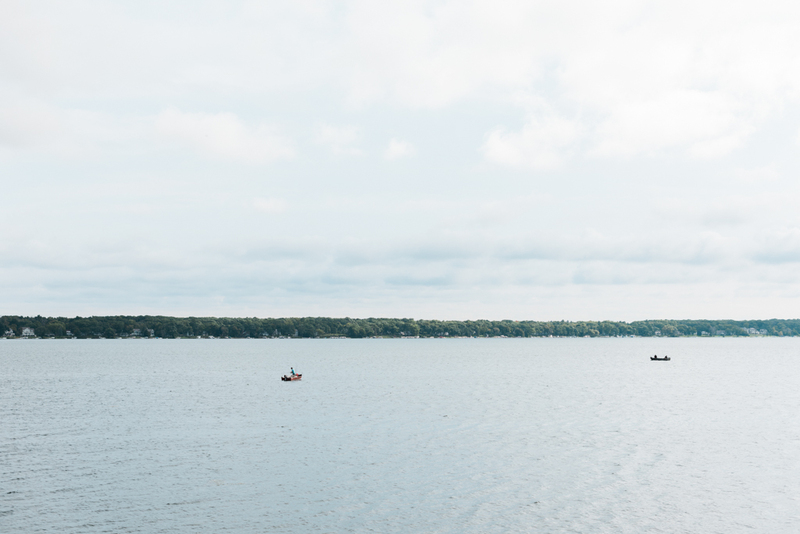 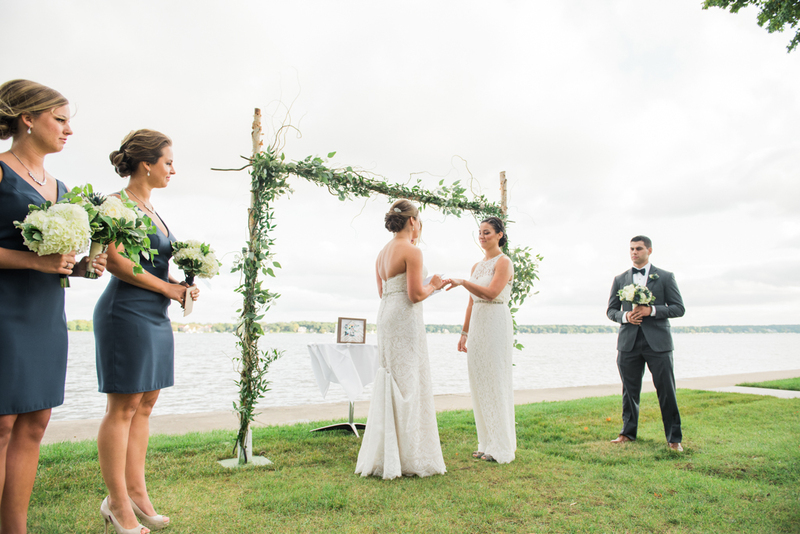 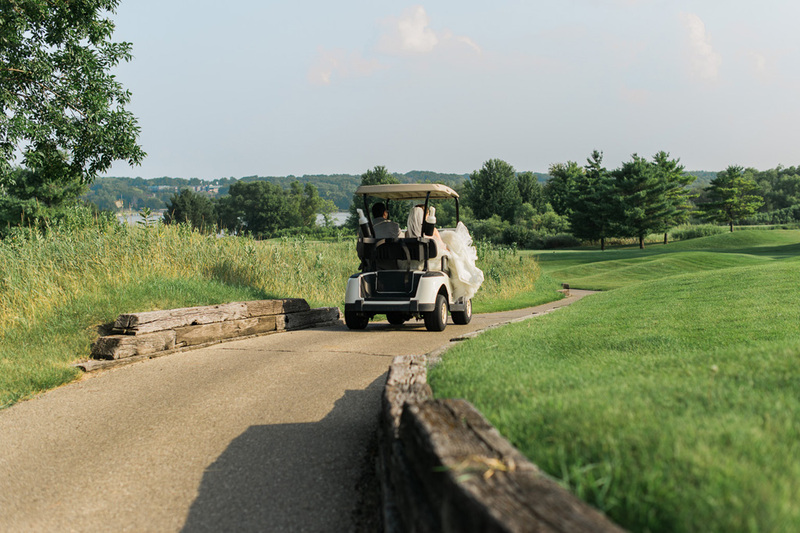 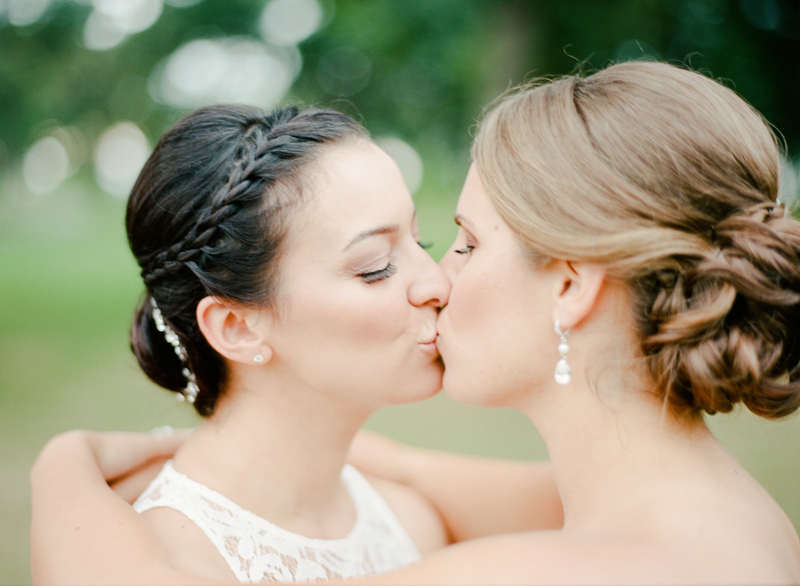 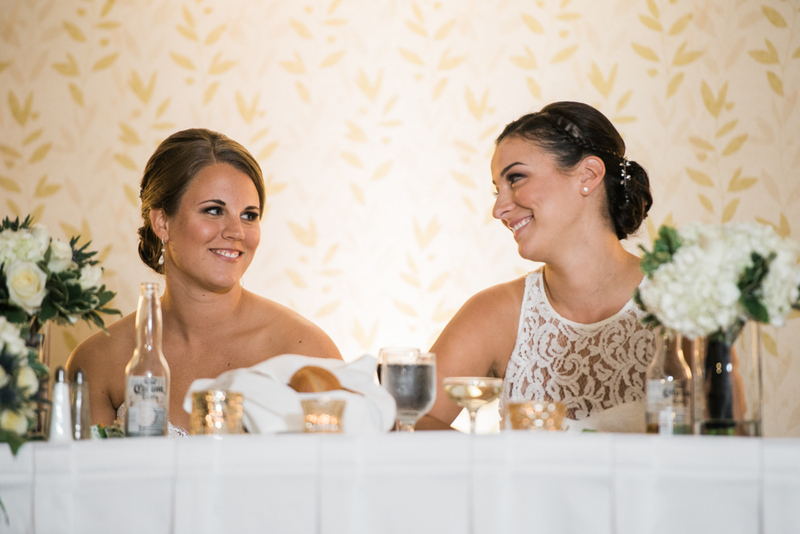 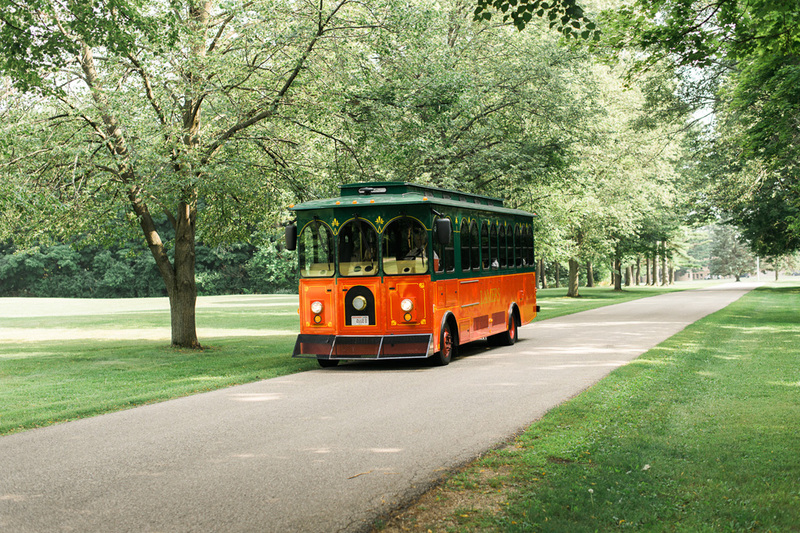 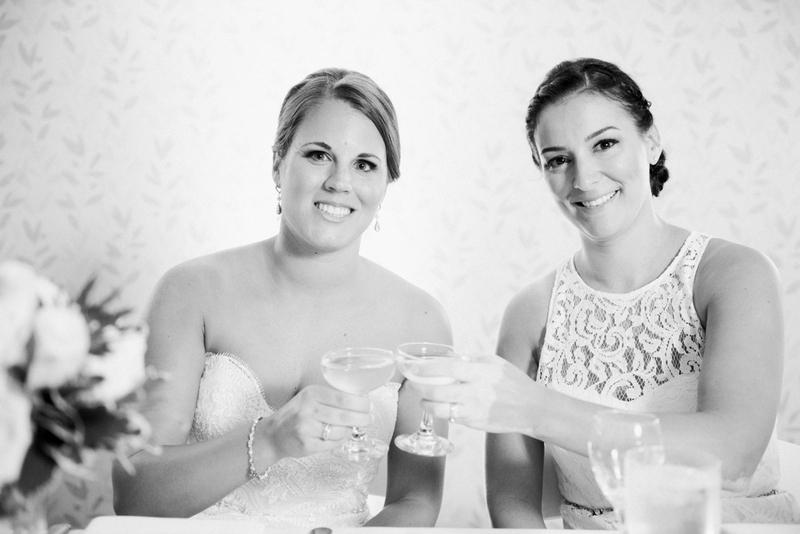 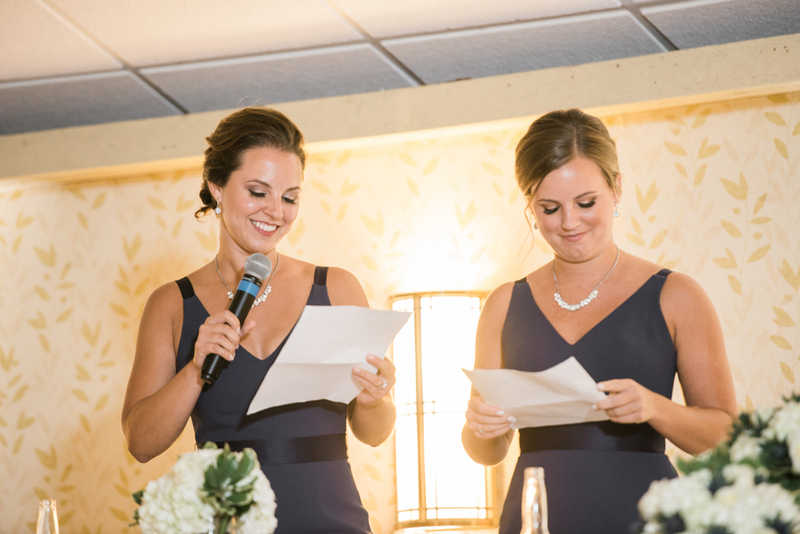 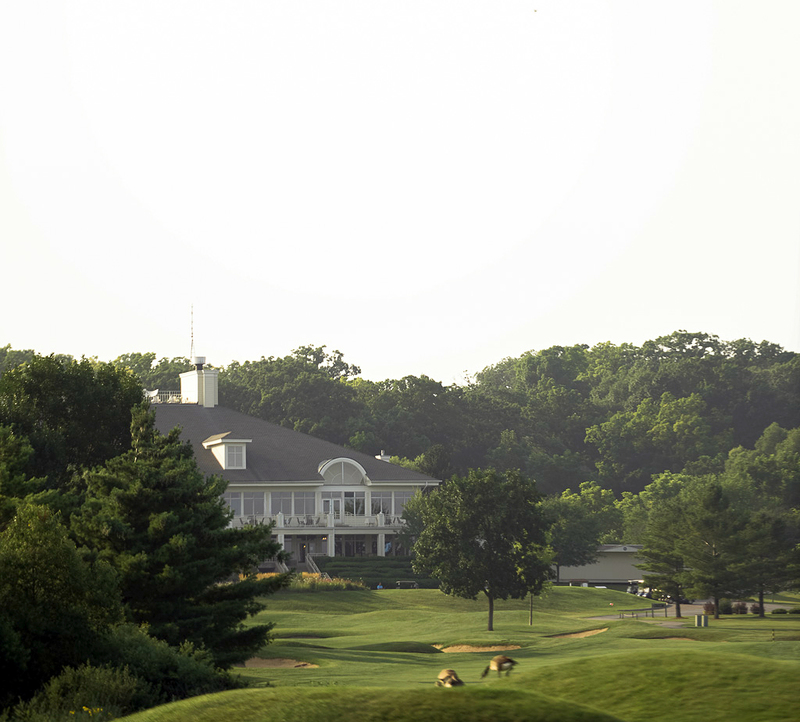 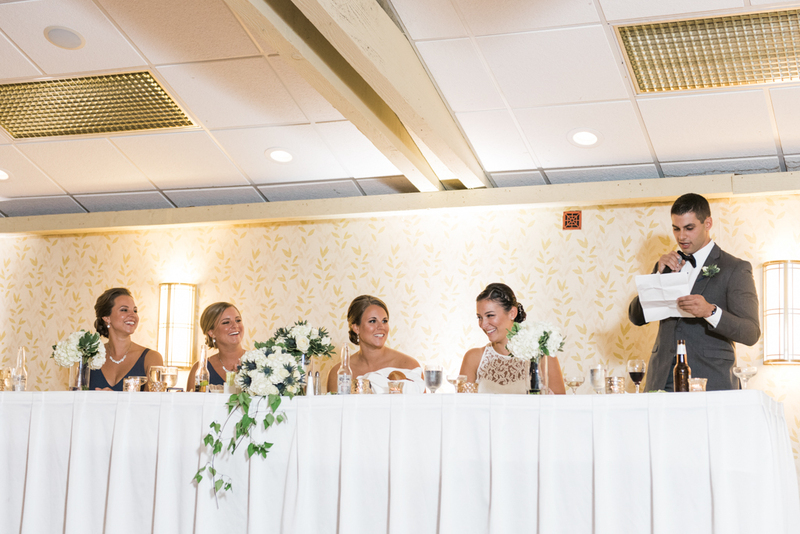 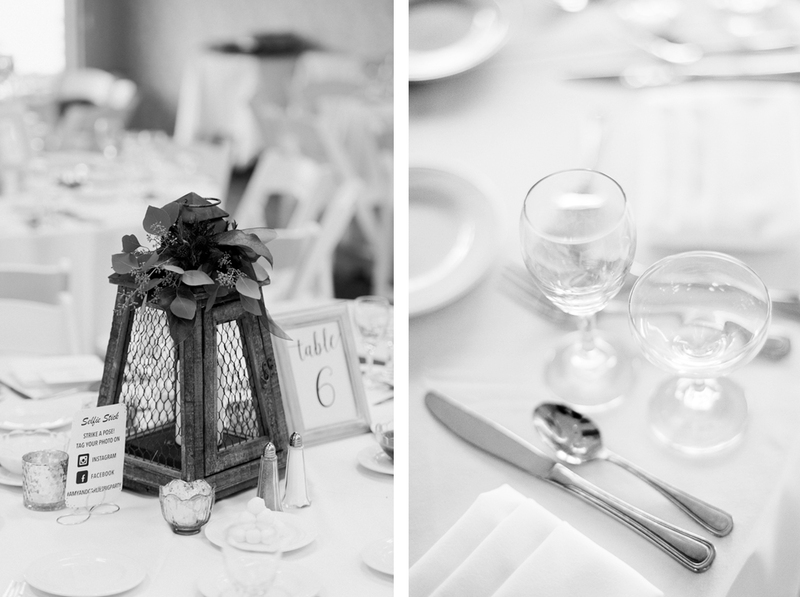 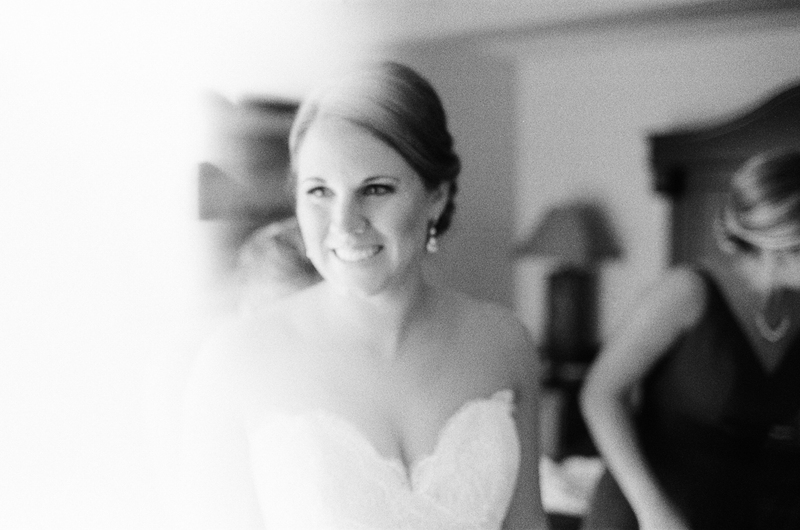 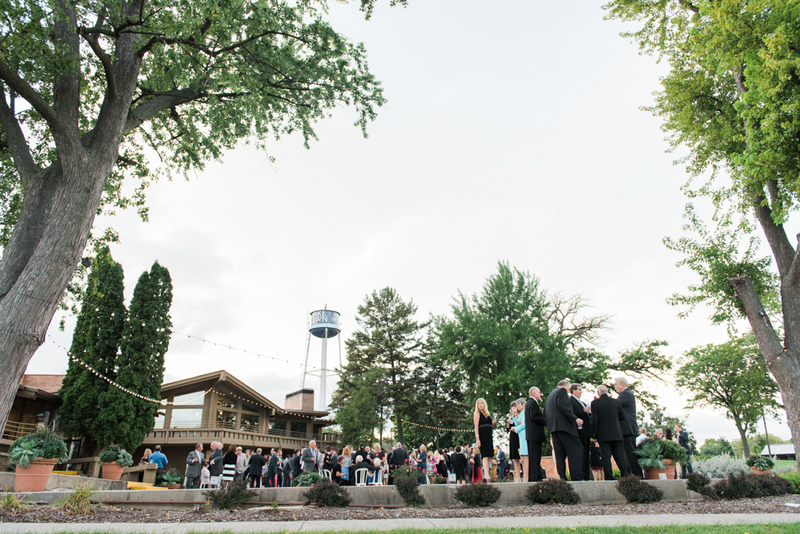 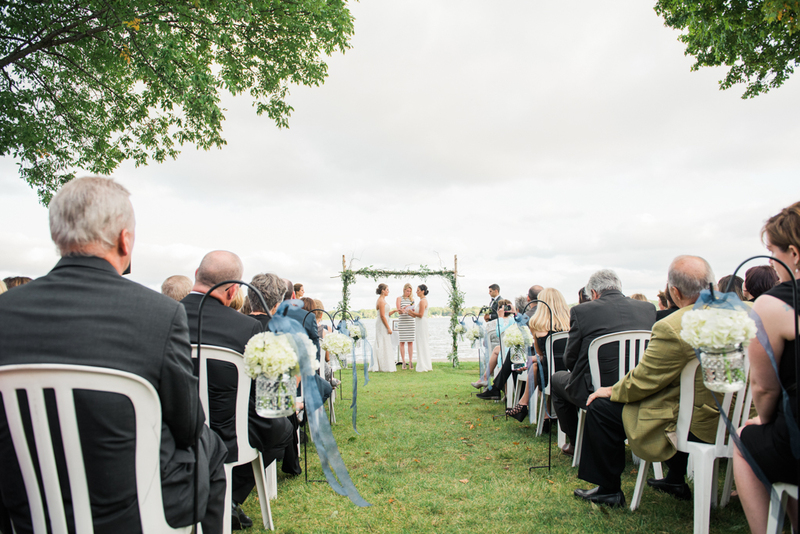 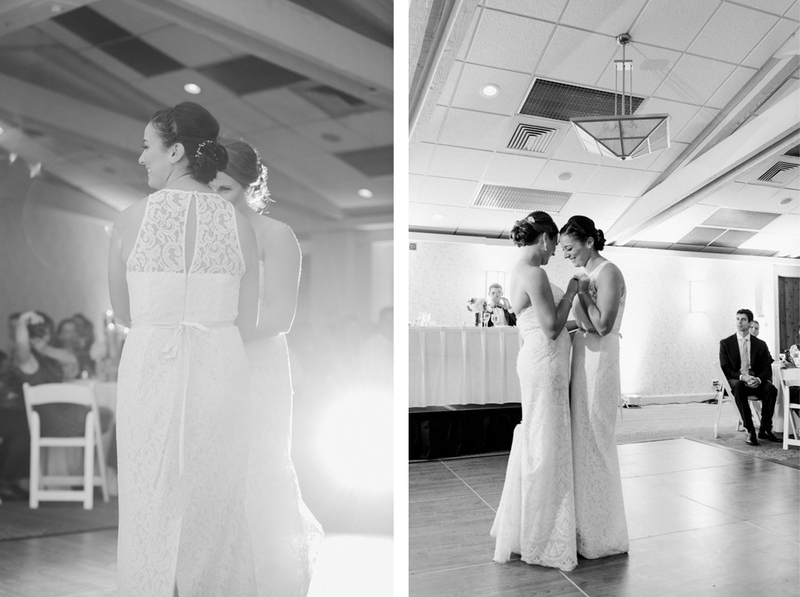 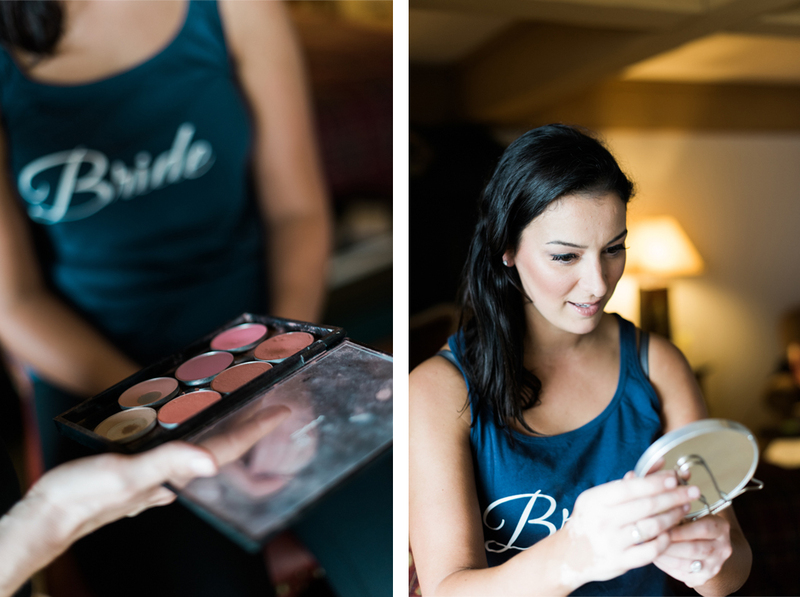 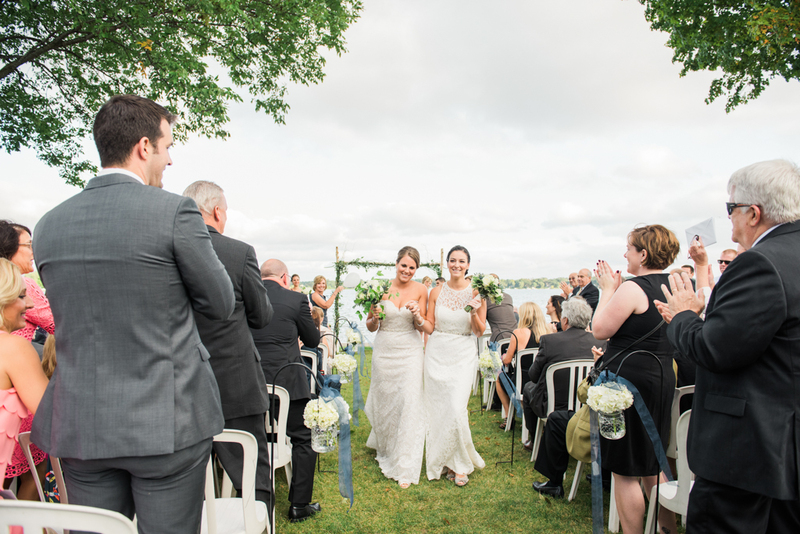 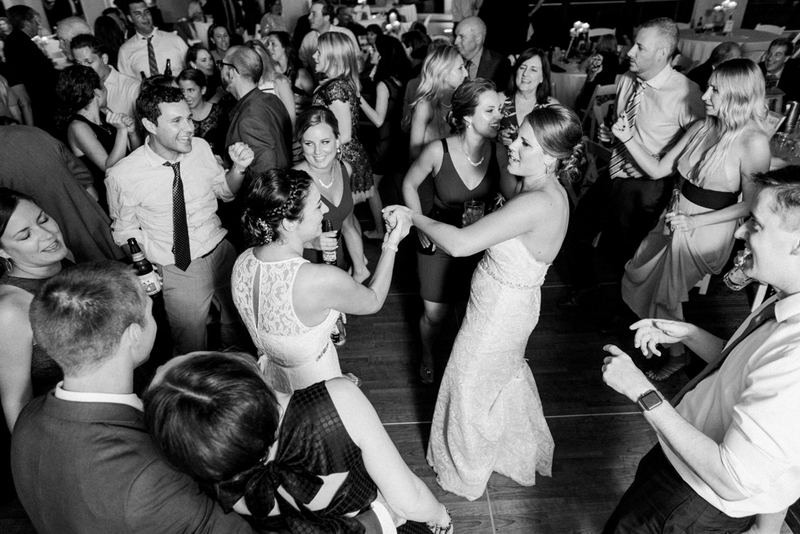 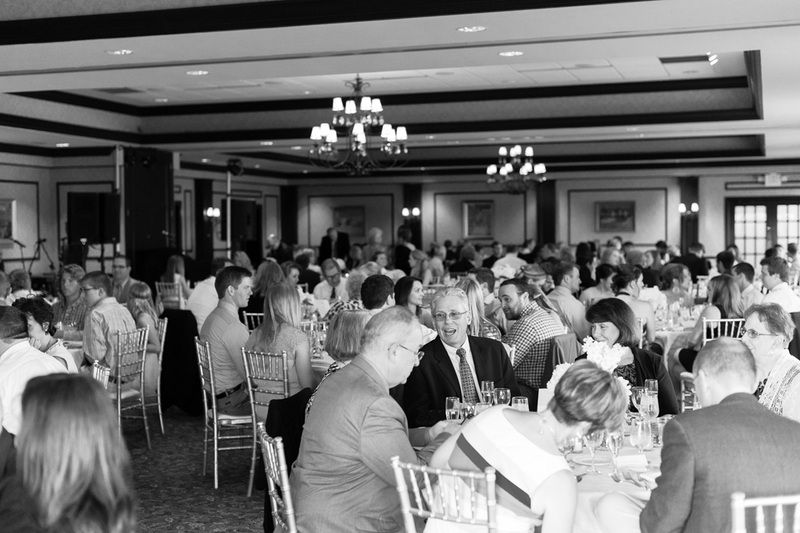 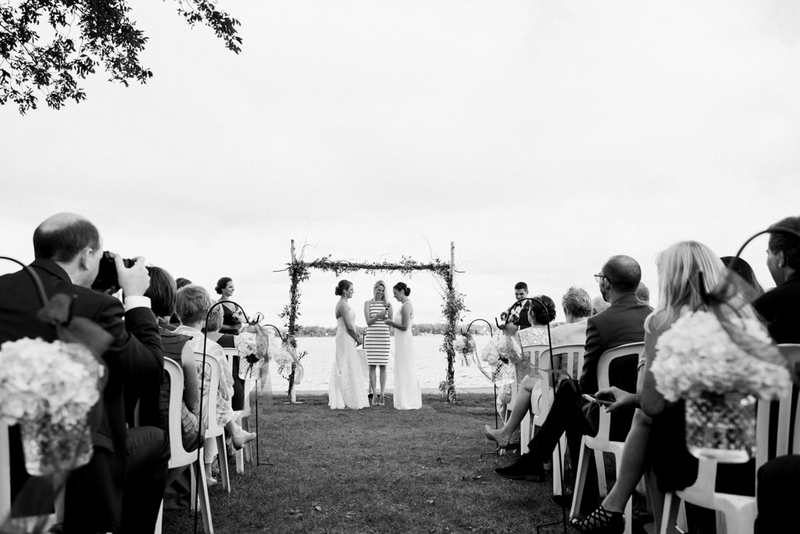 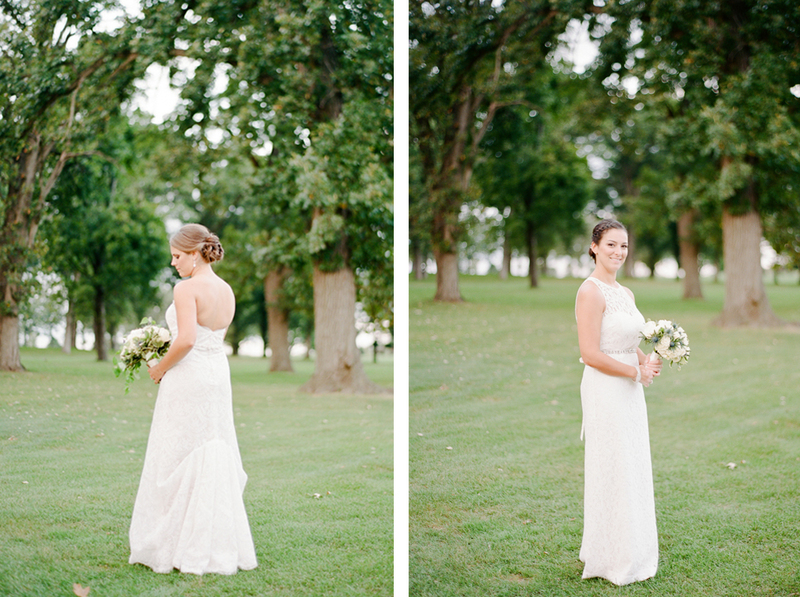 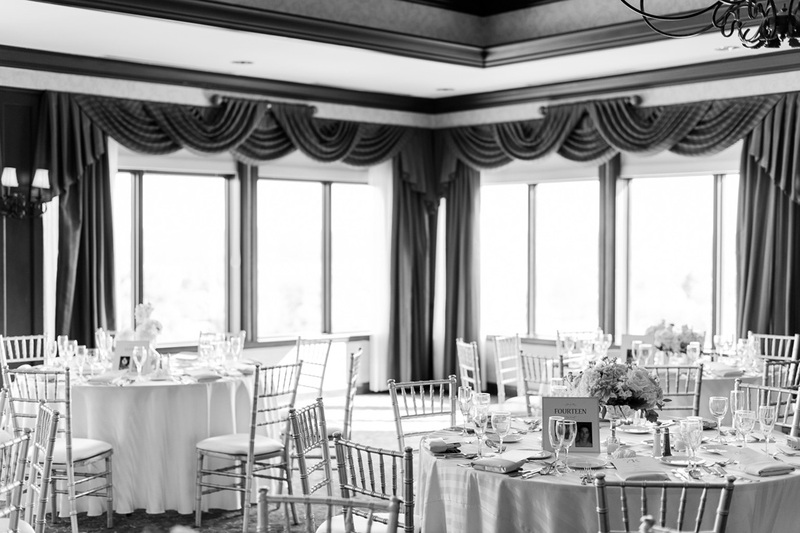 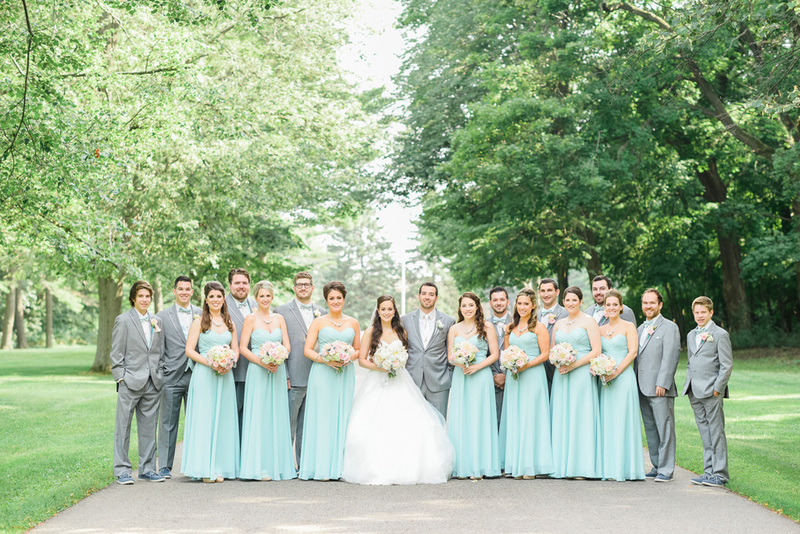 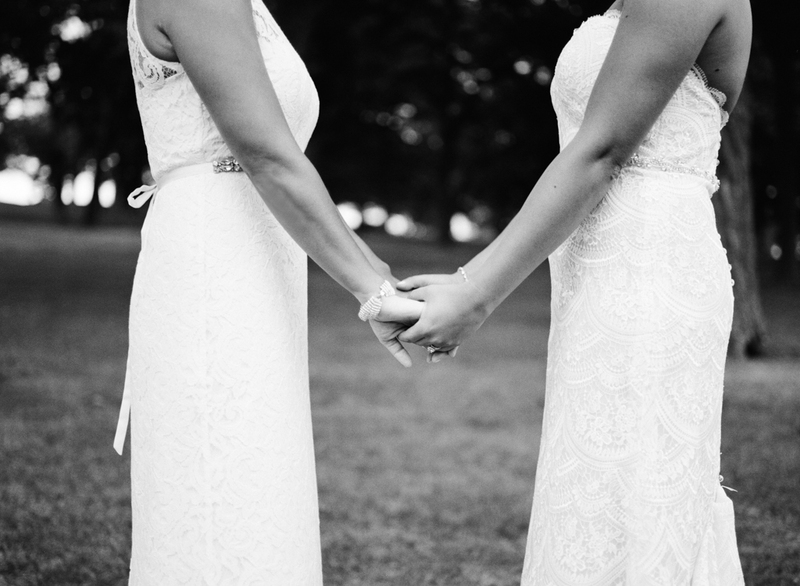 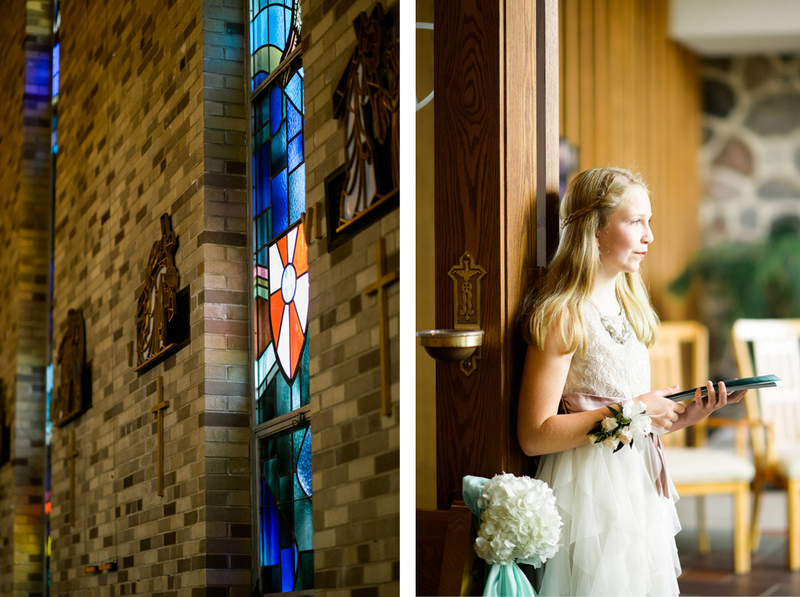 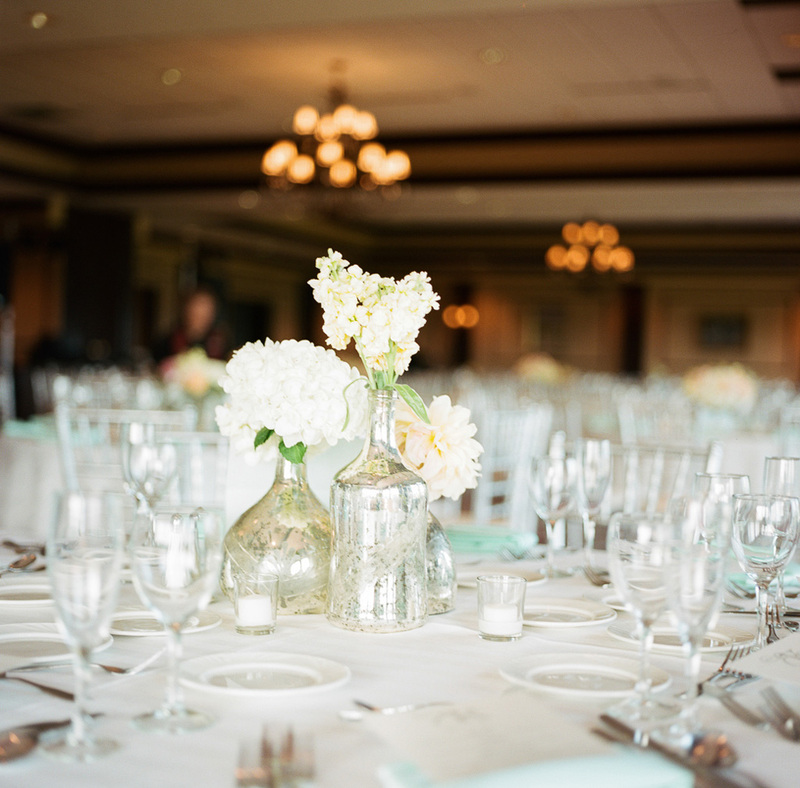 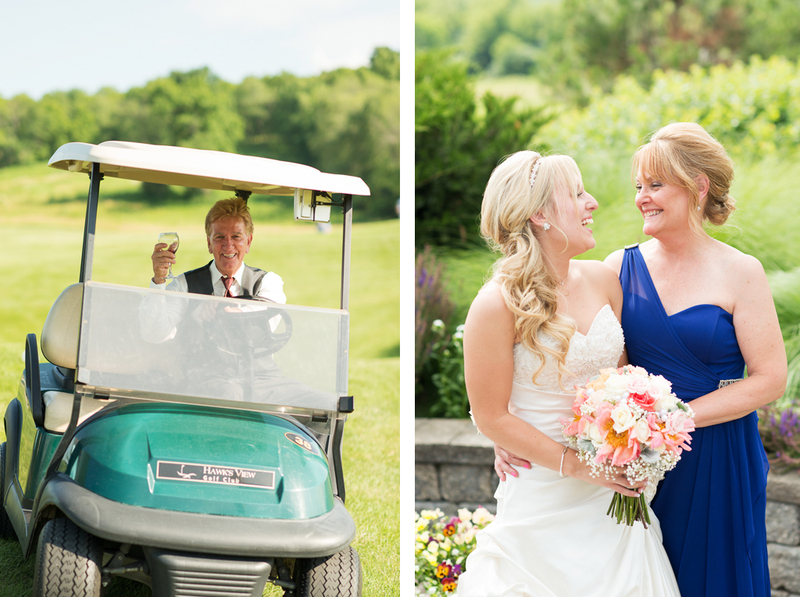 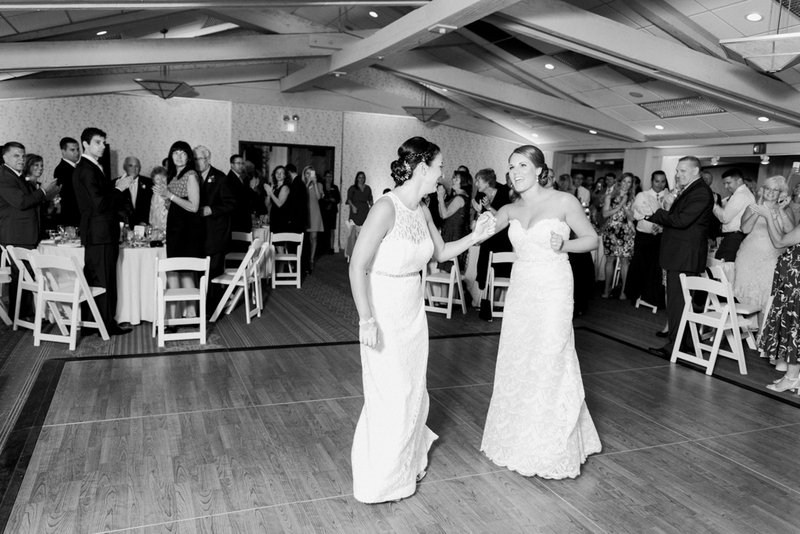 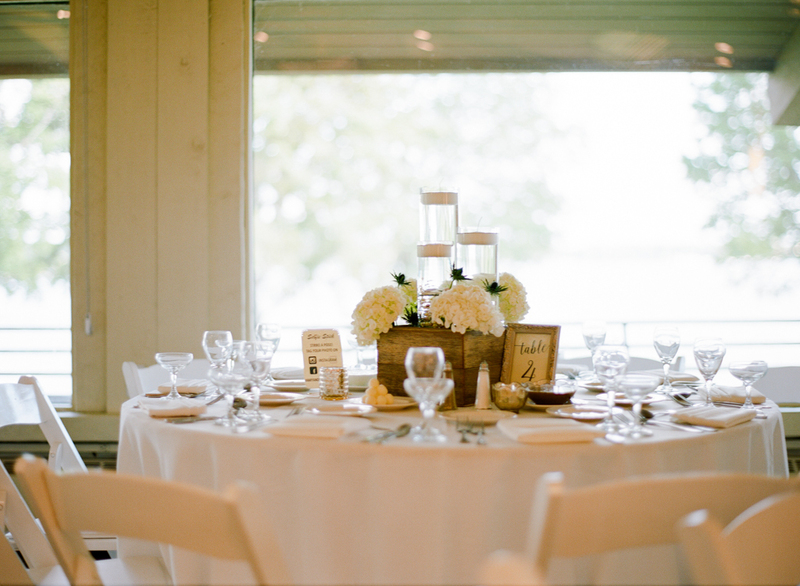 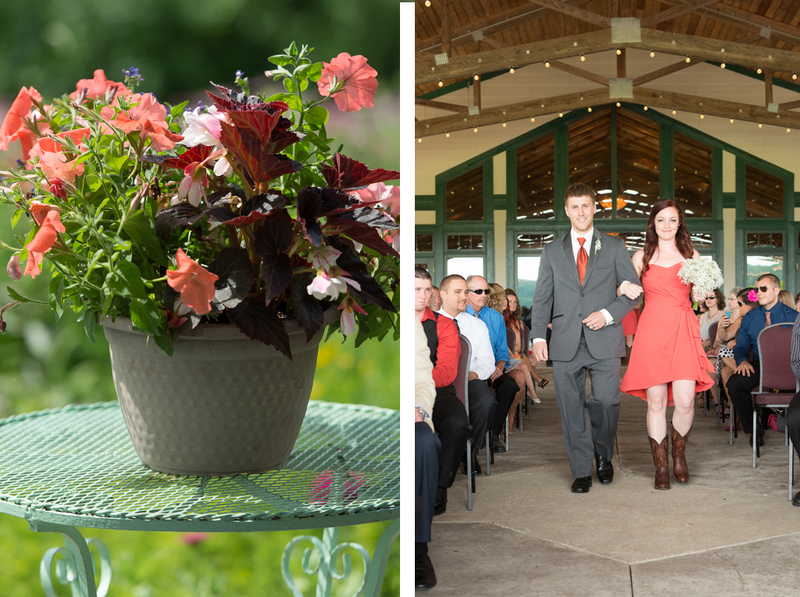 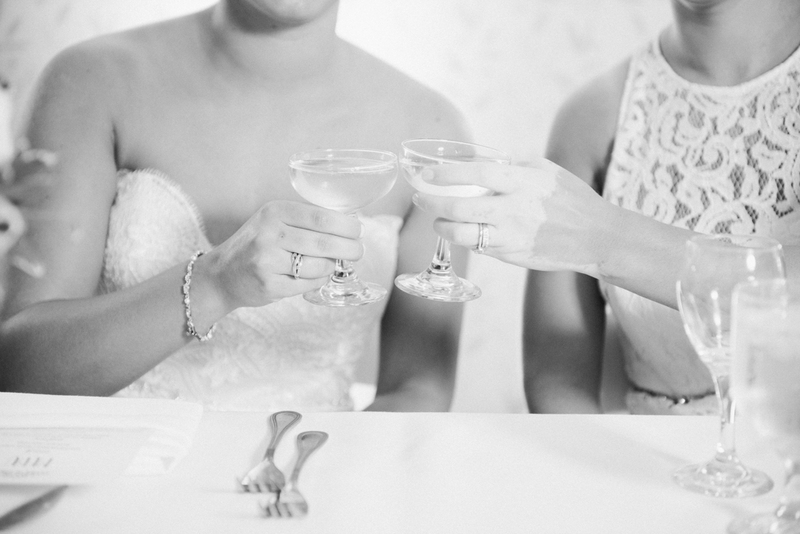 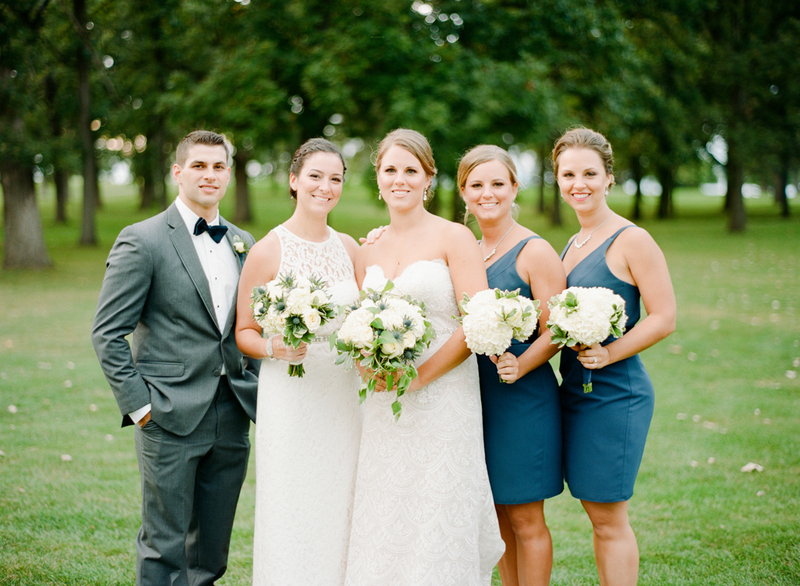 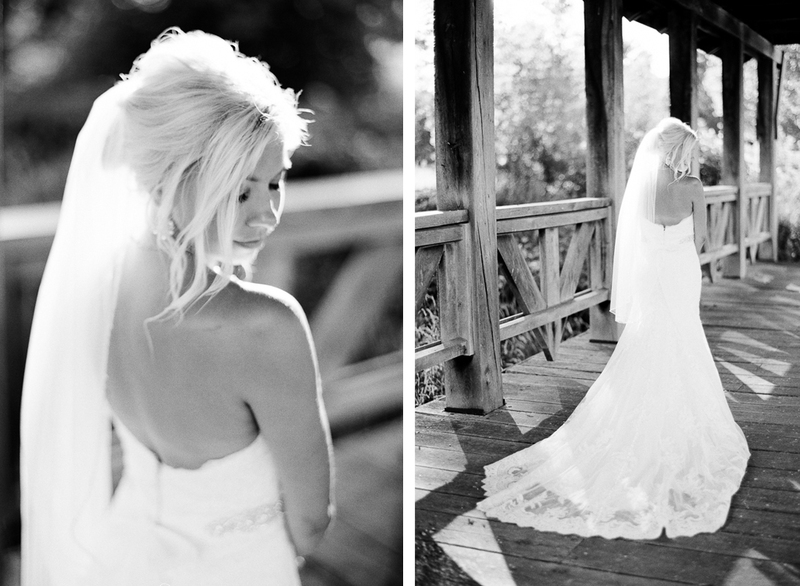 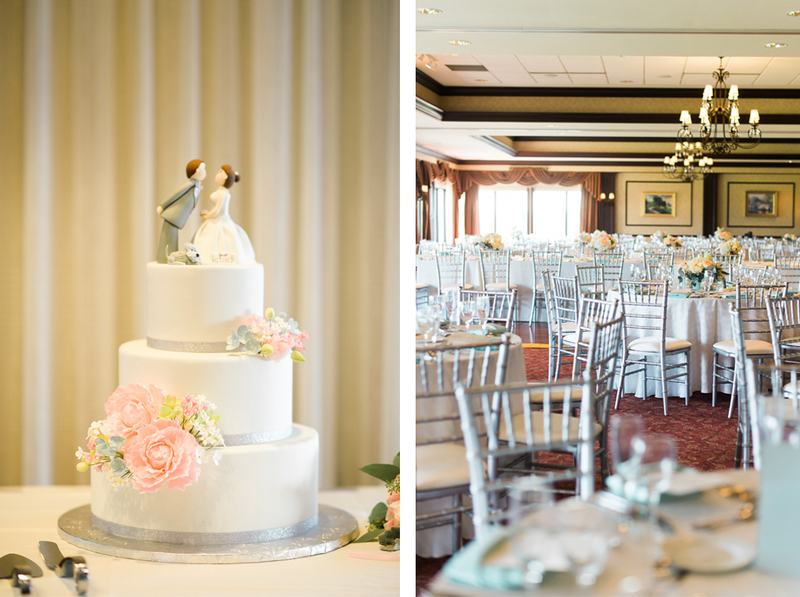 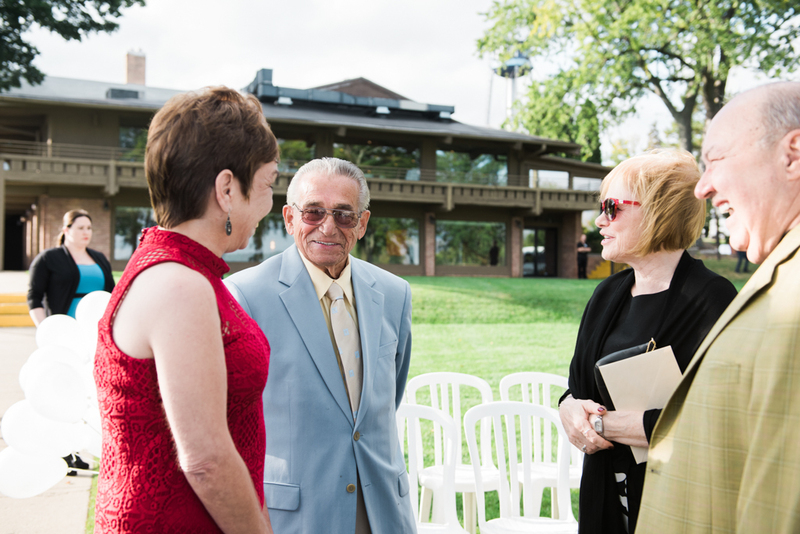 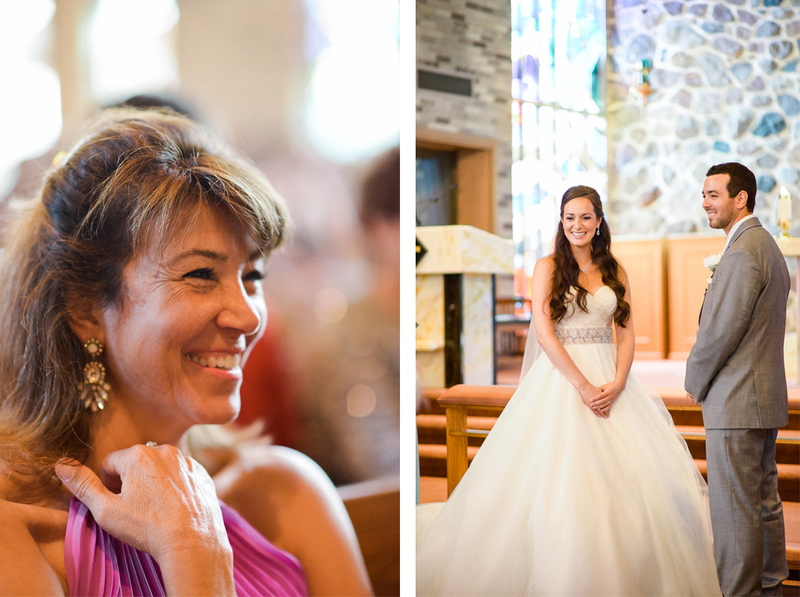 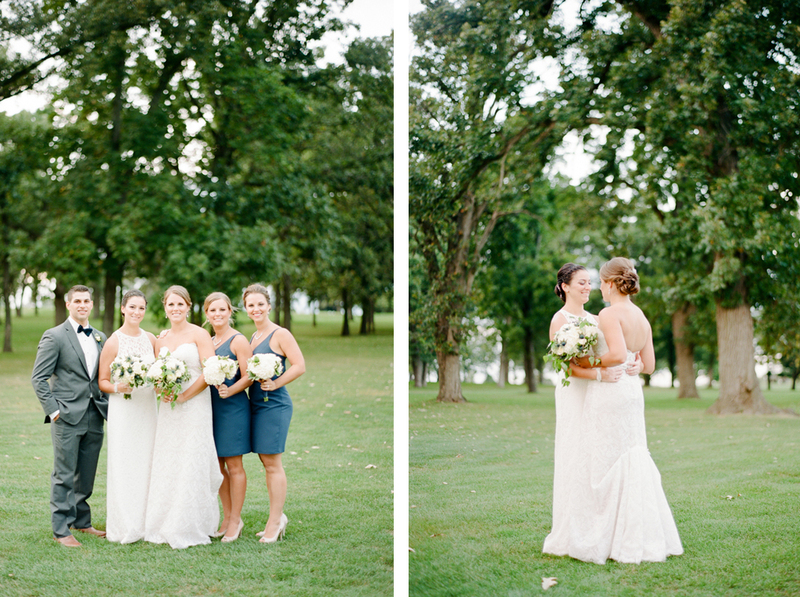 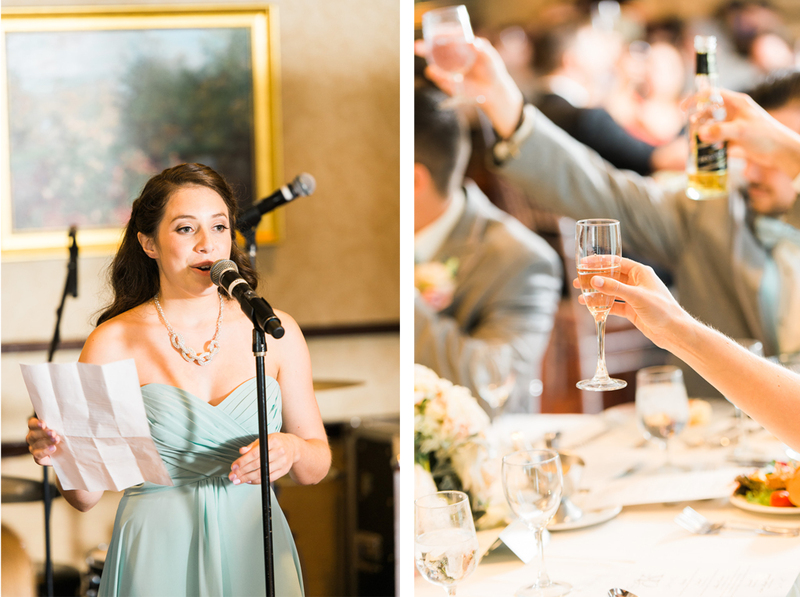 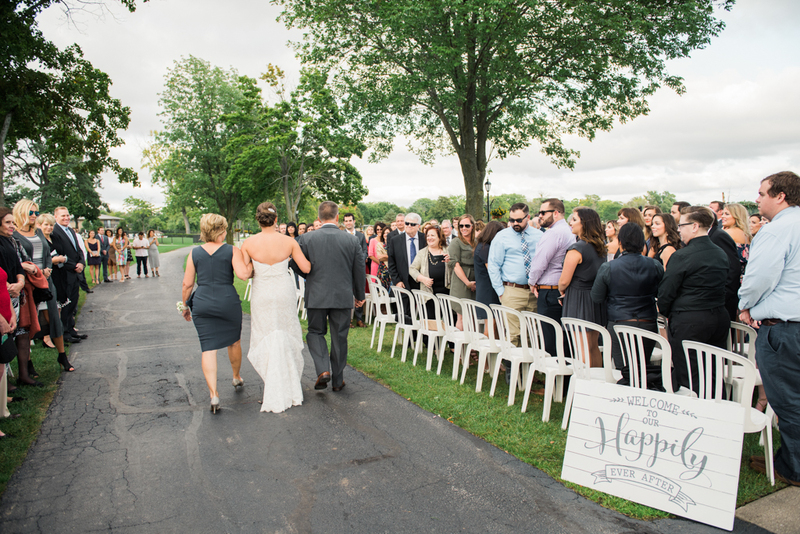 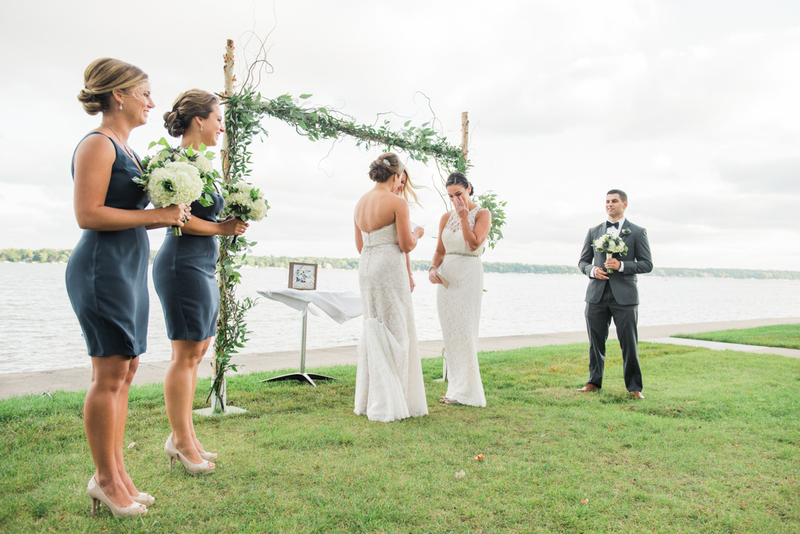 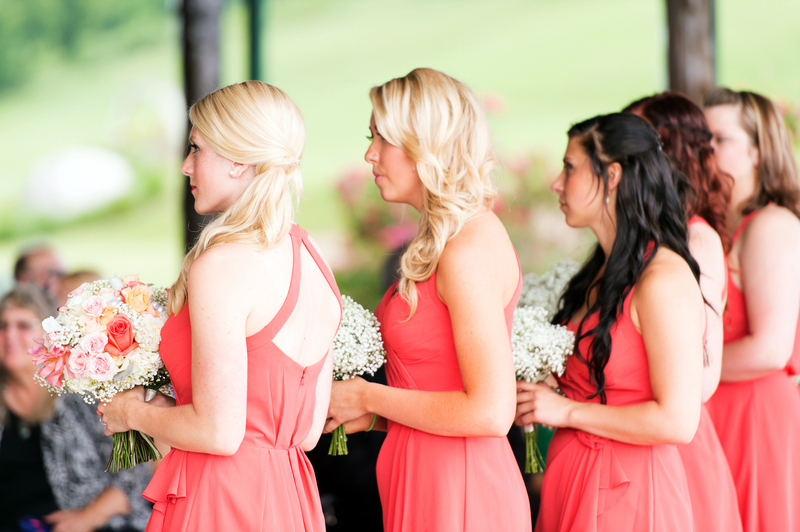 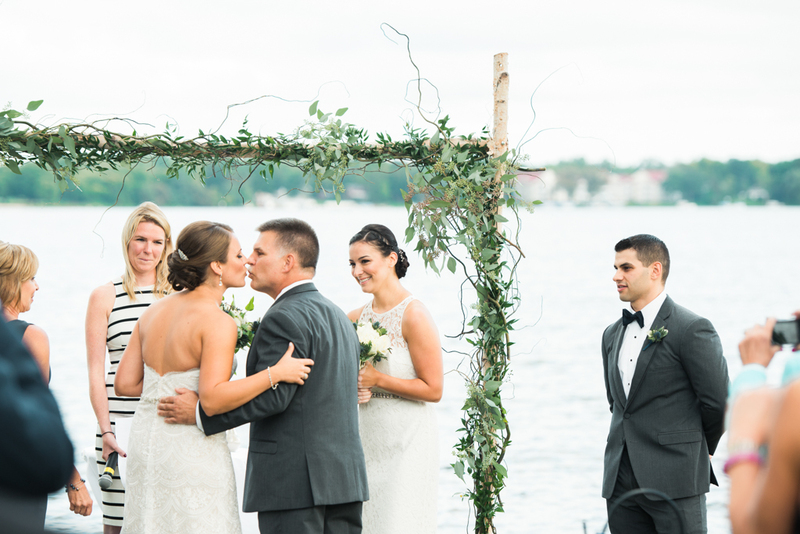 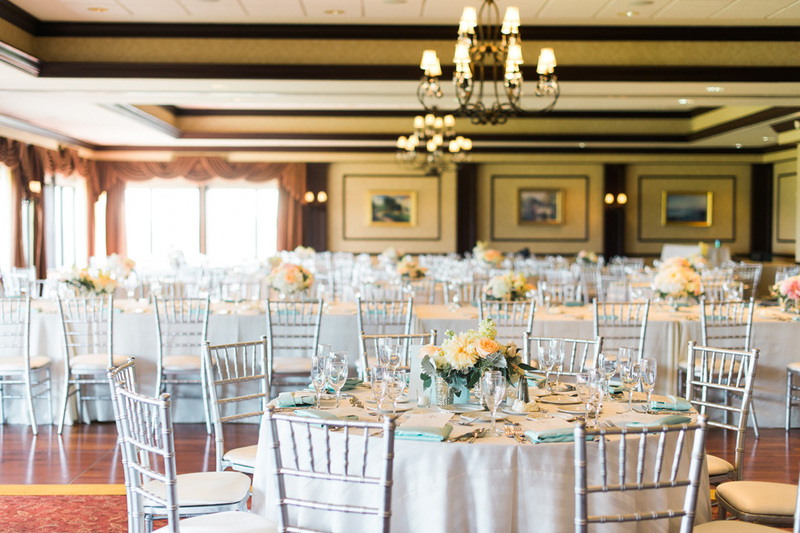 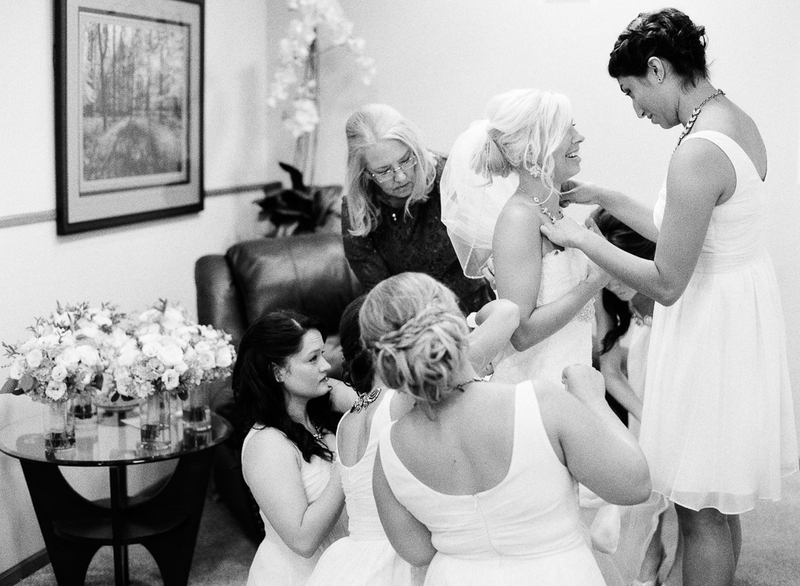 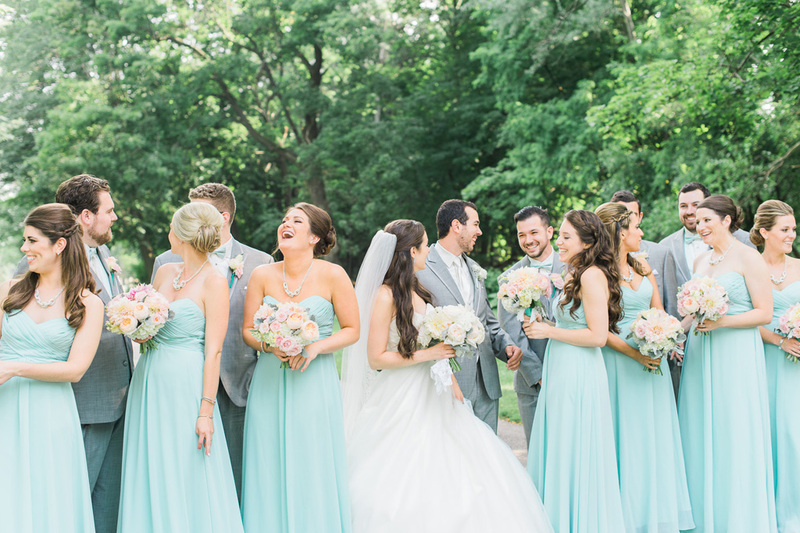 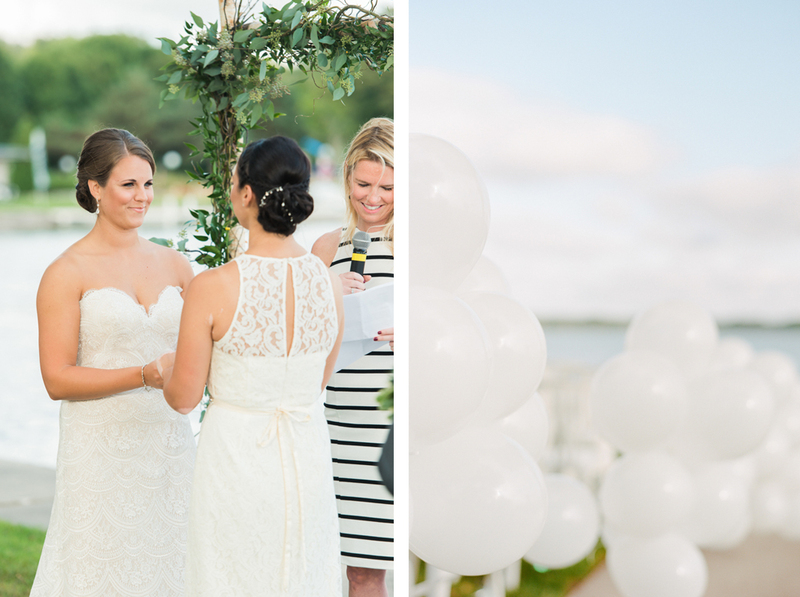 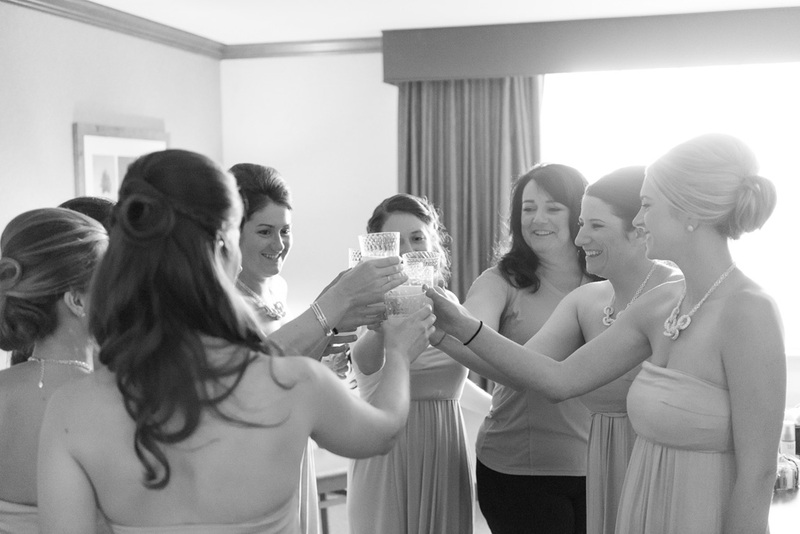 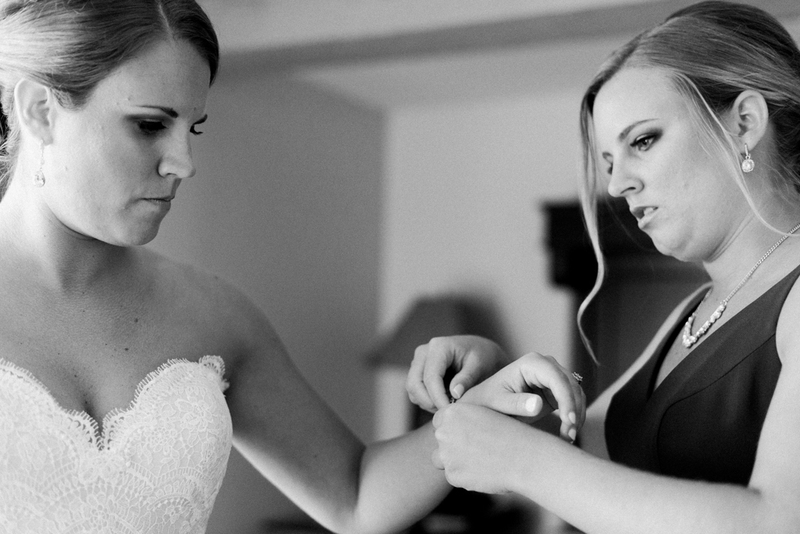 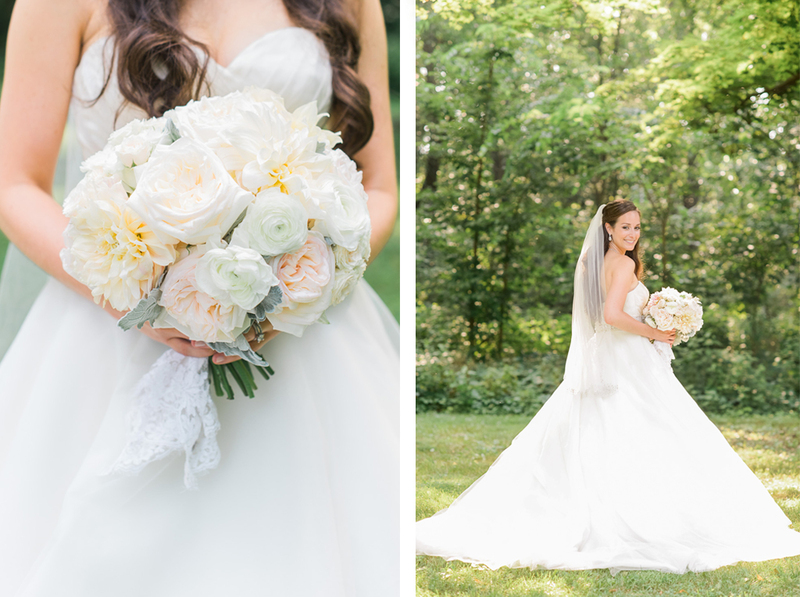 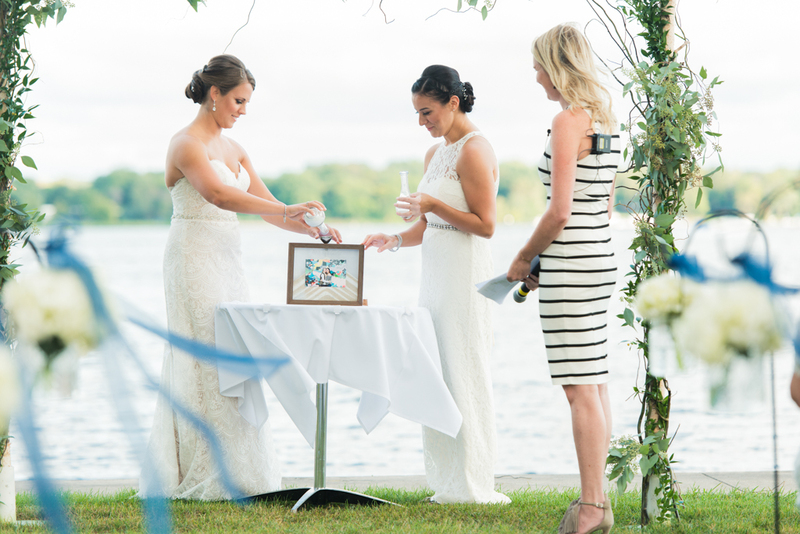 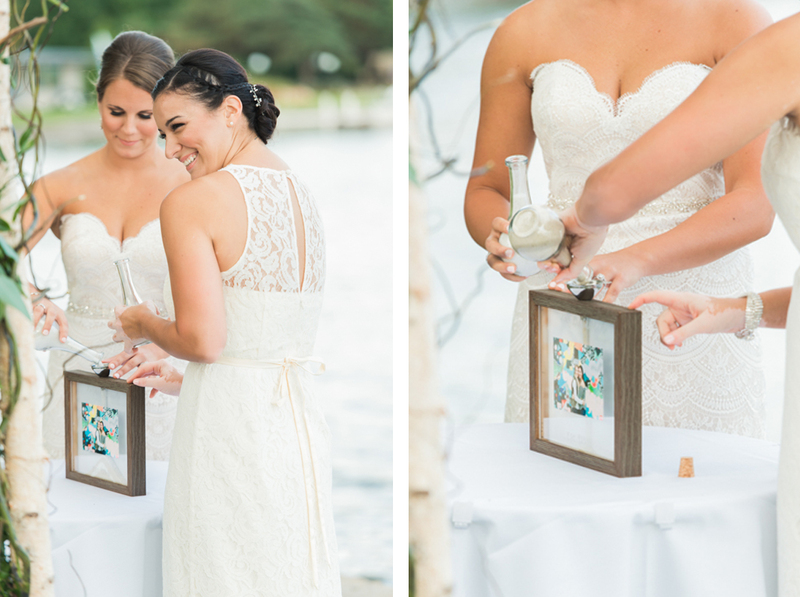 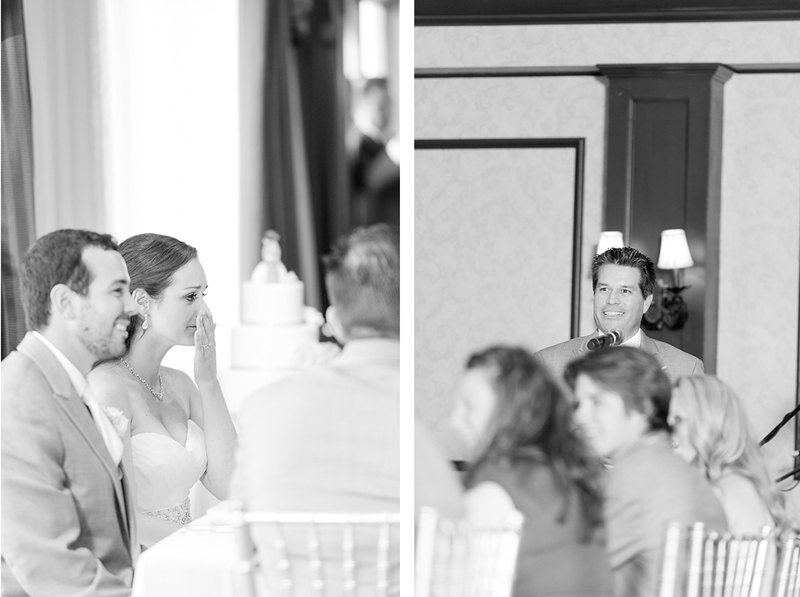 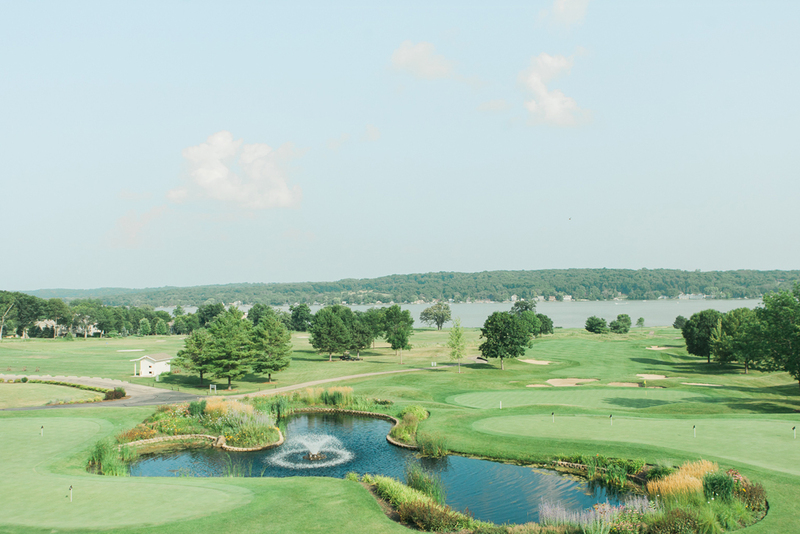 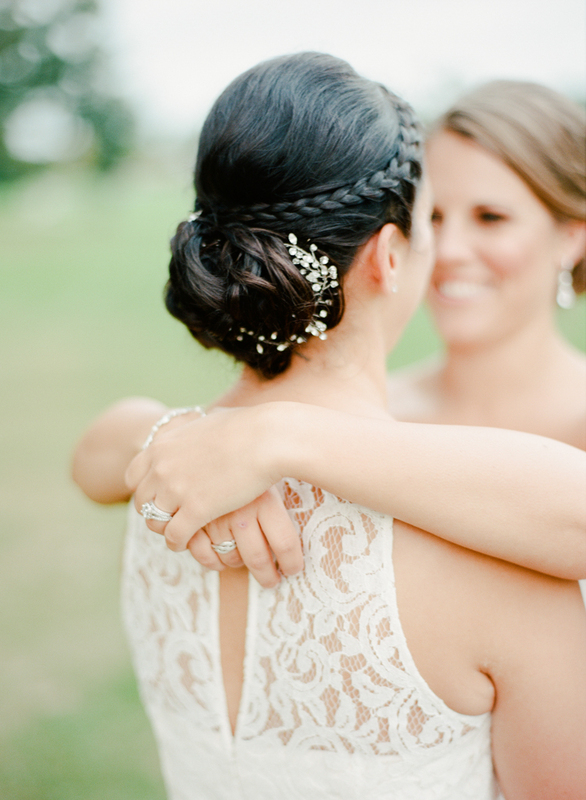 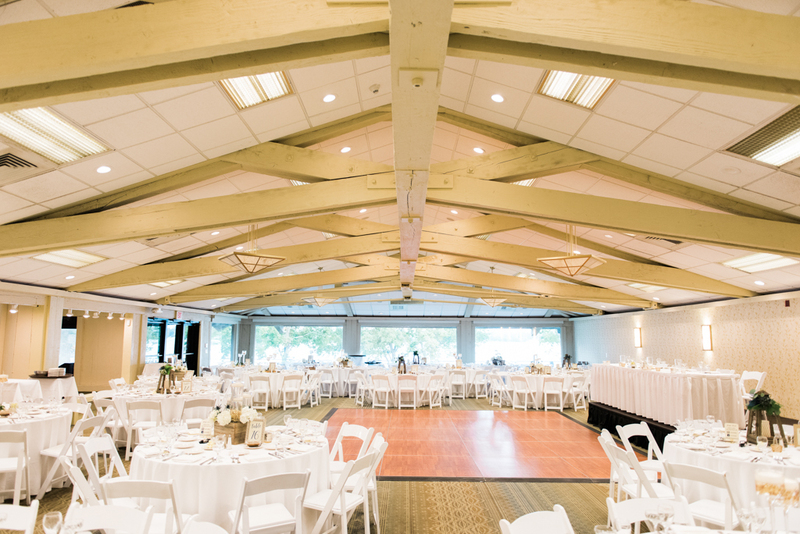 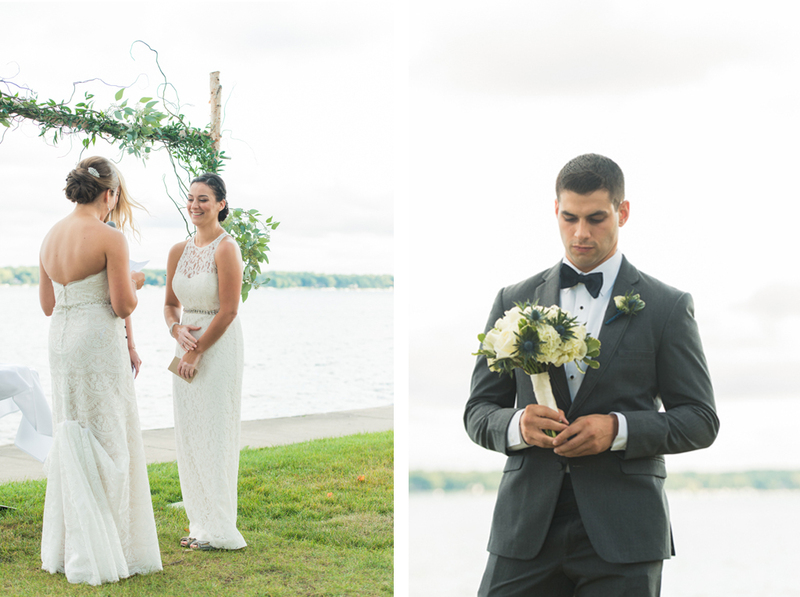 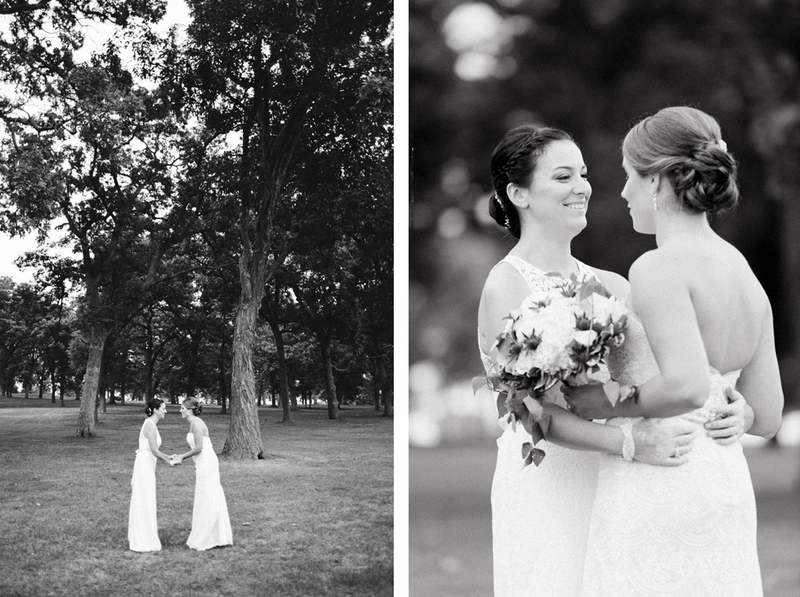 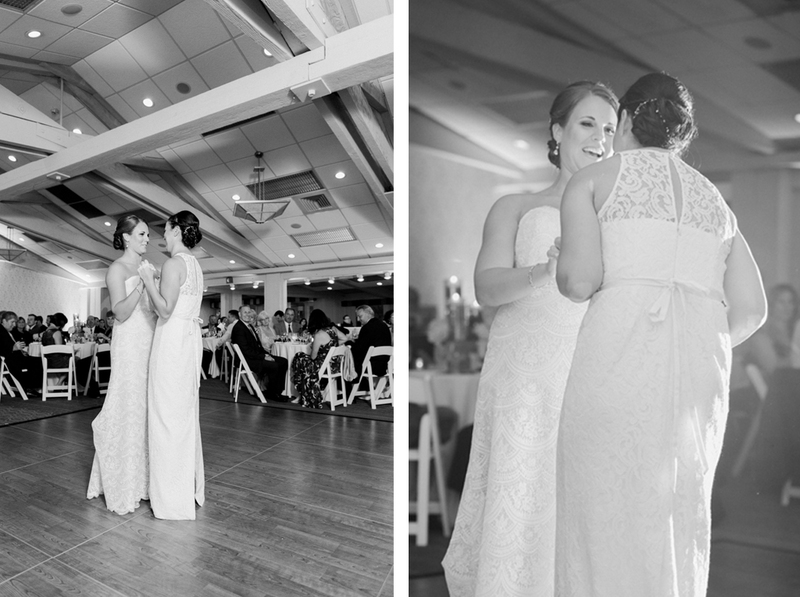 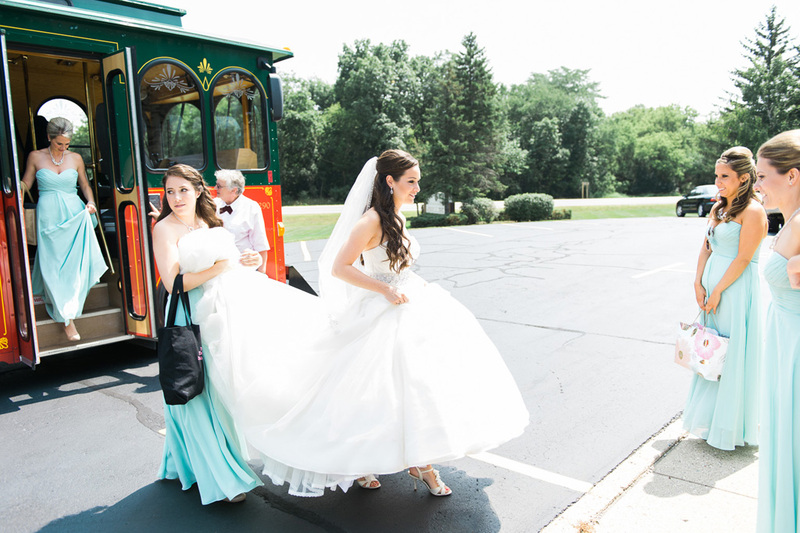 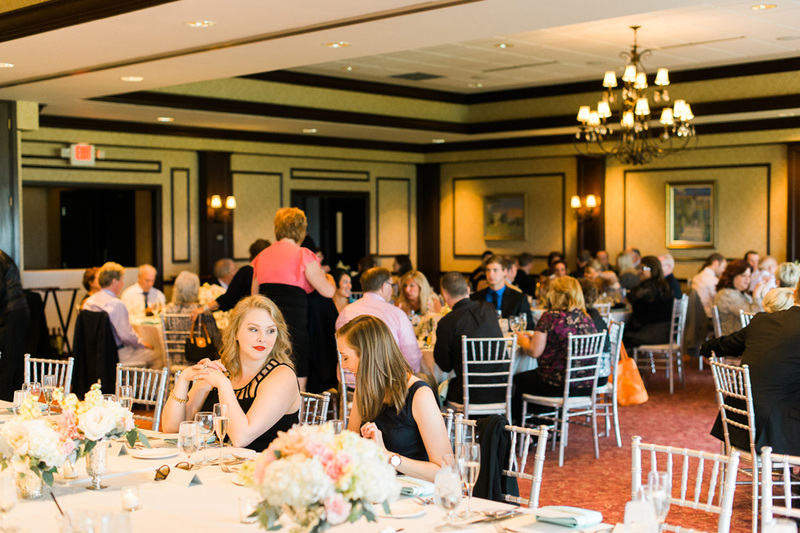 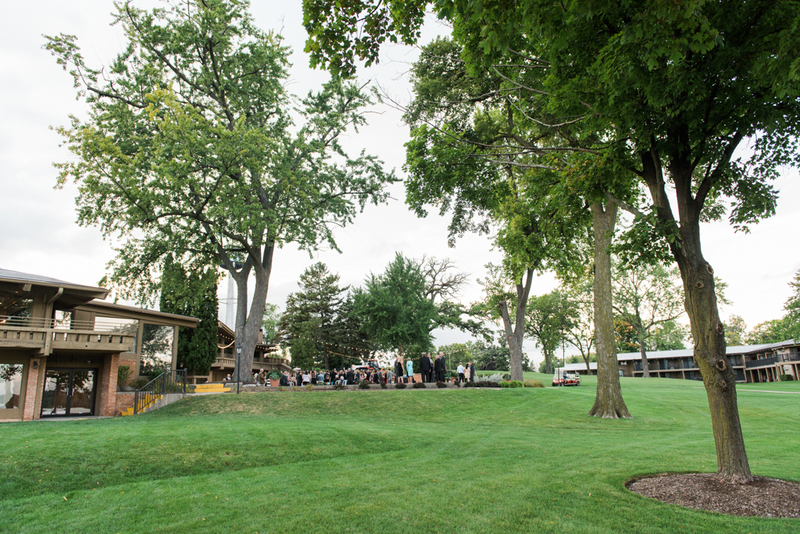 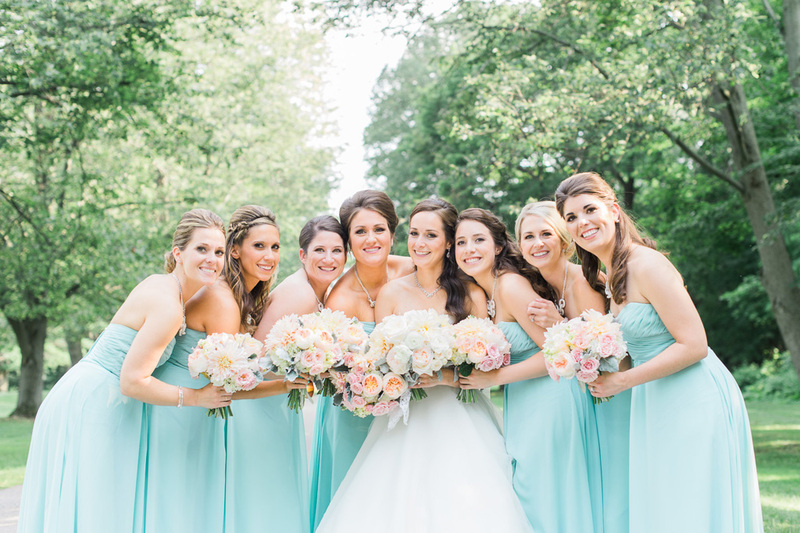 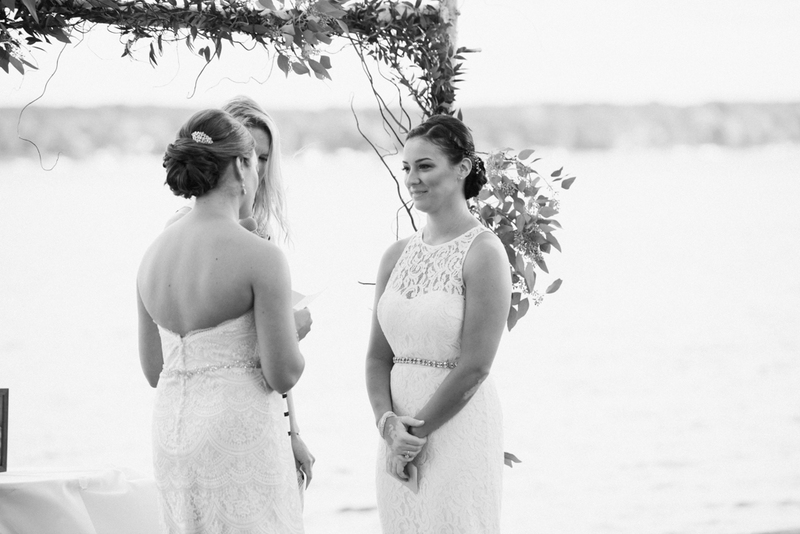 Carlie + Amy got married at Lake Lawn Resort in Delavan, Wisconsin. 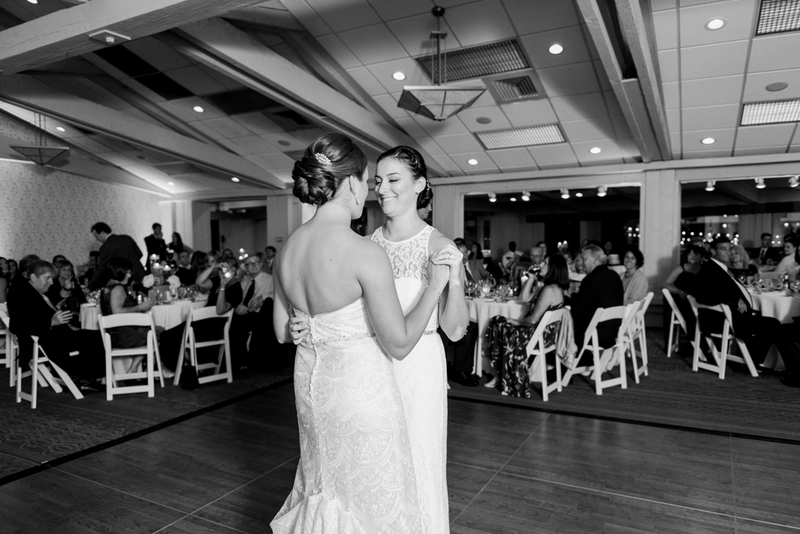 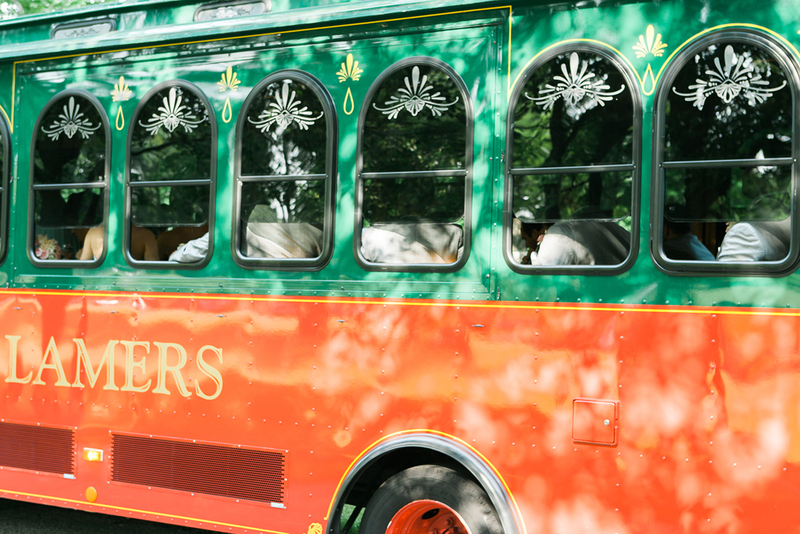 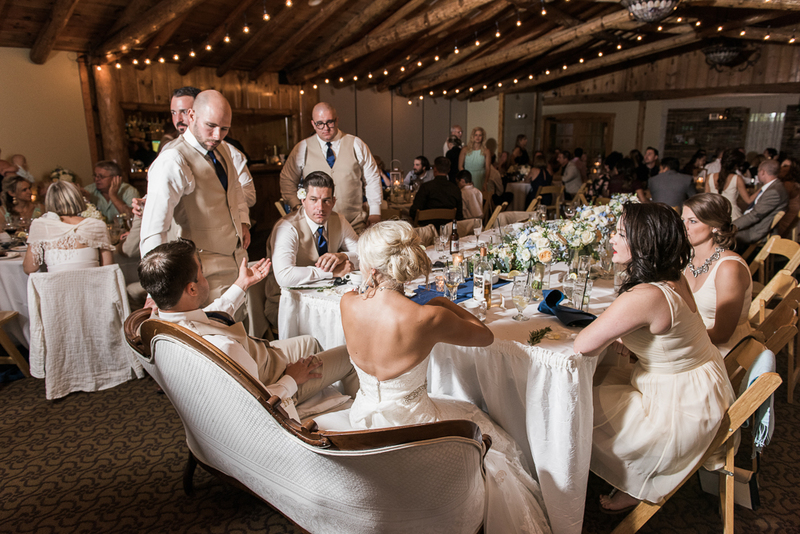 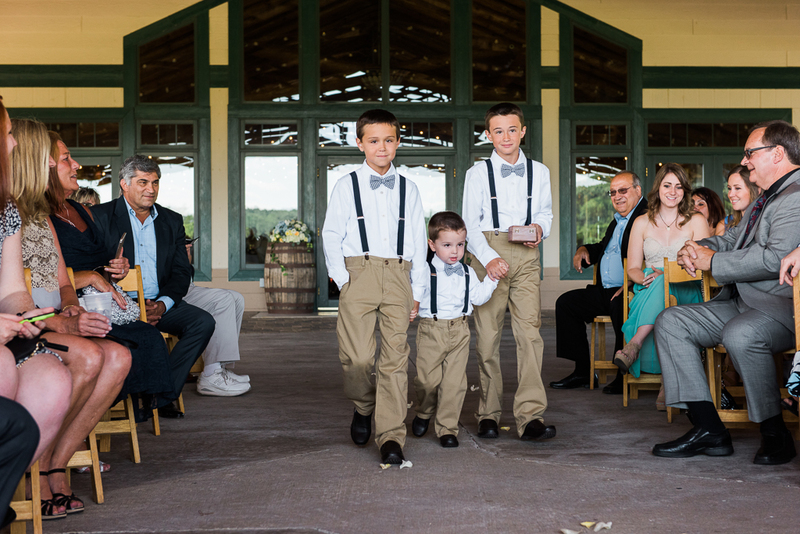 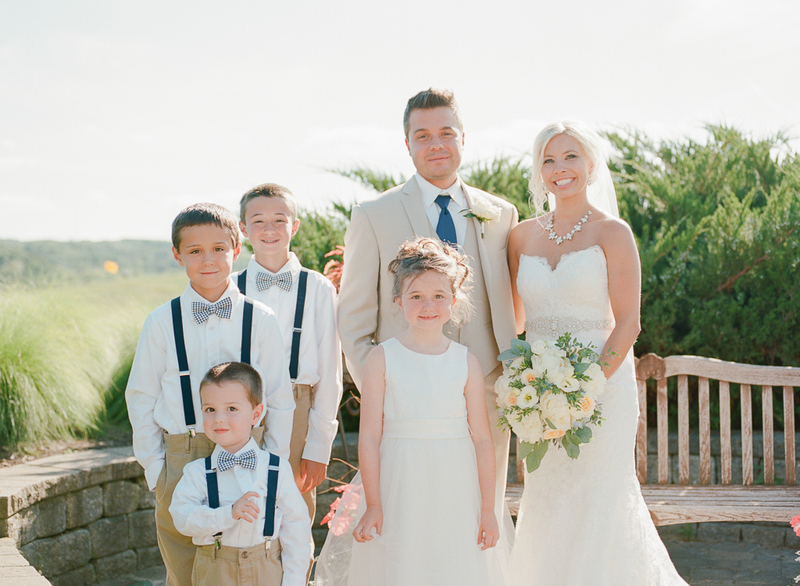 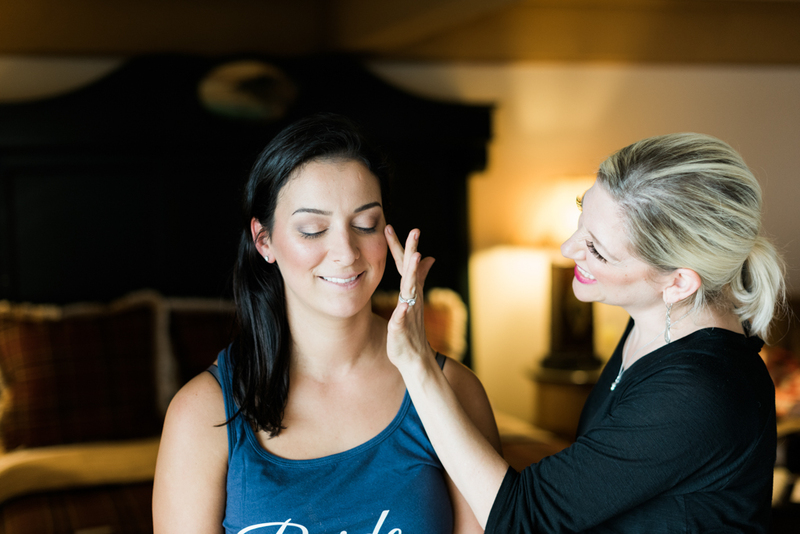 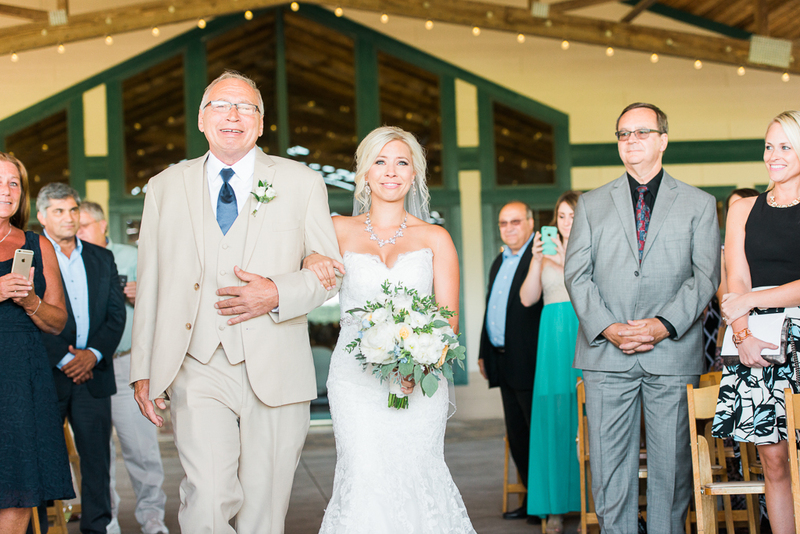 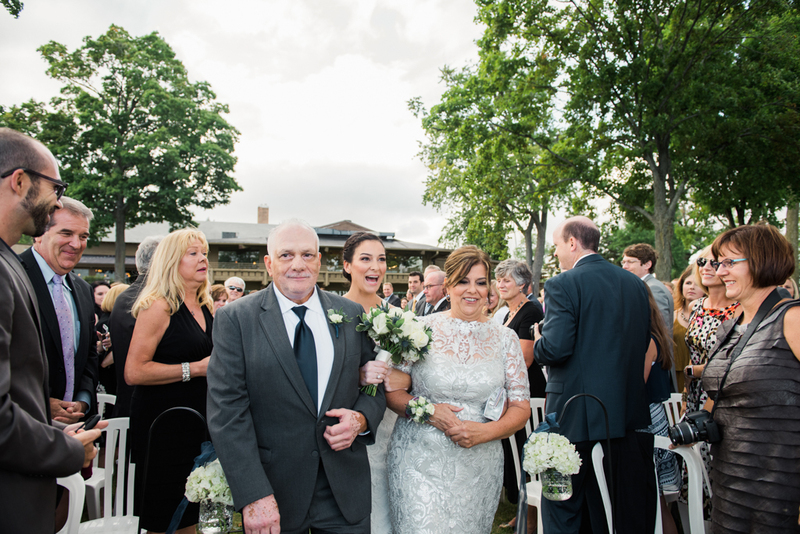 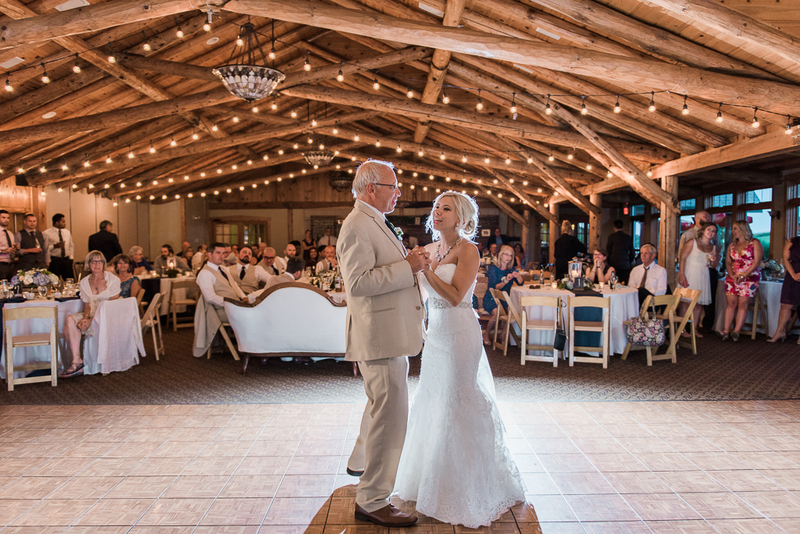 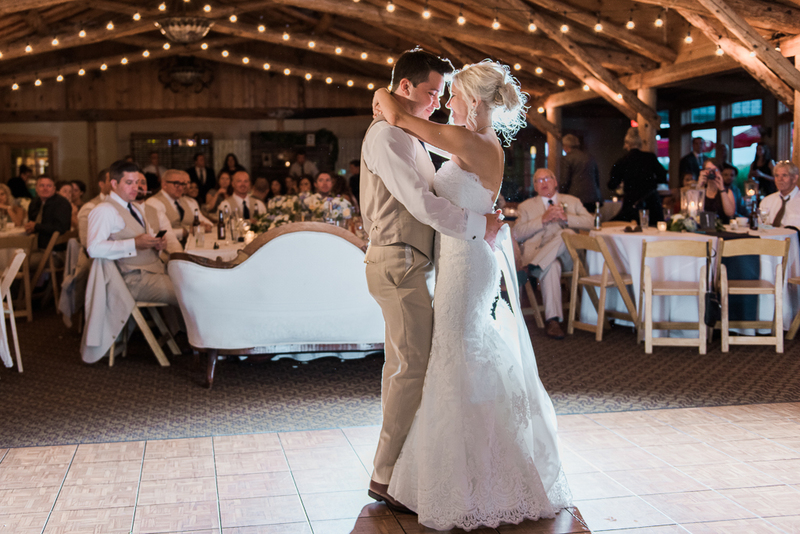 Carlie’s family has vacationed there for generations, and the girls decided it was the perfect destination for their wedding. 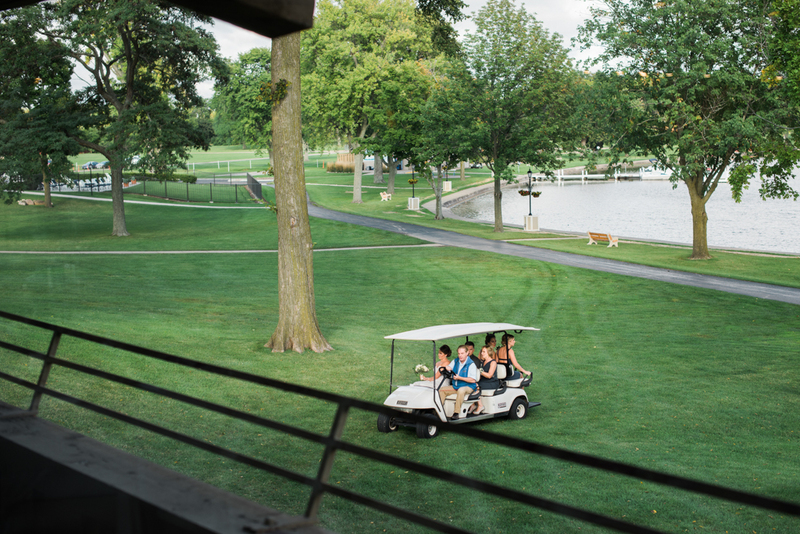 Now every holiday spent at Lake Lawn will feel even more special. 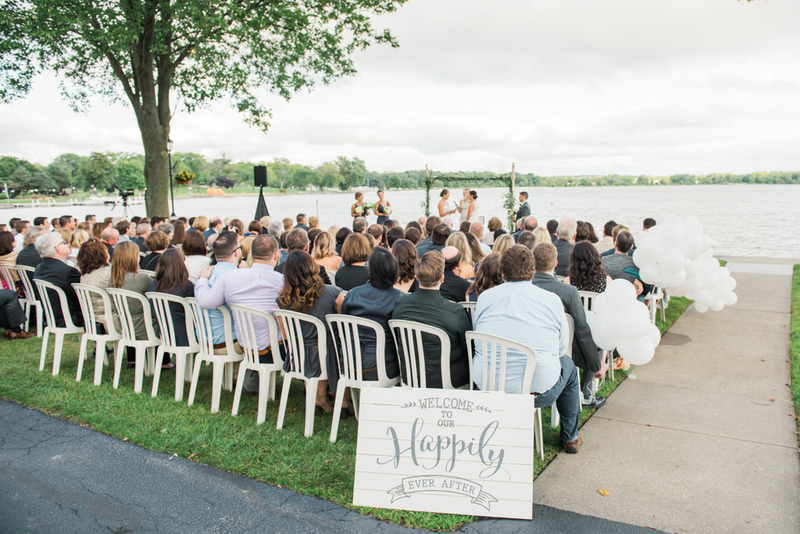 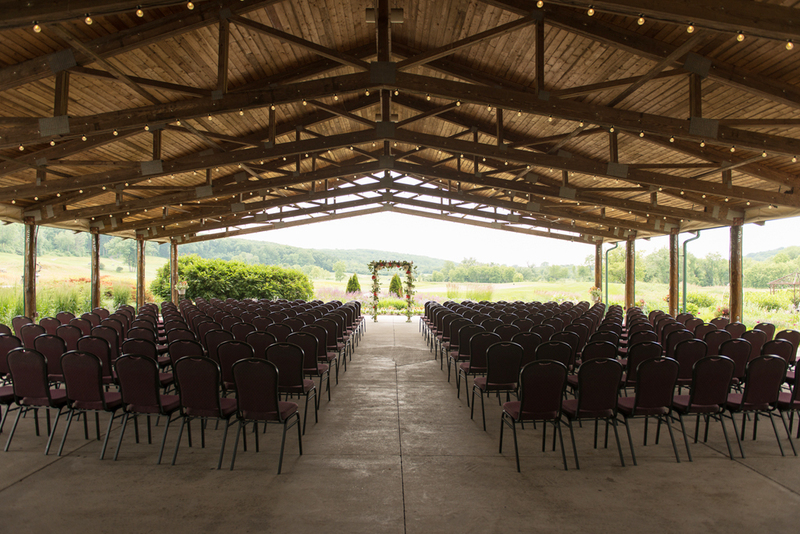 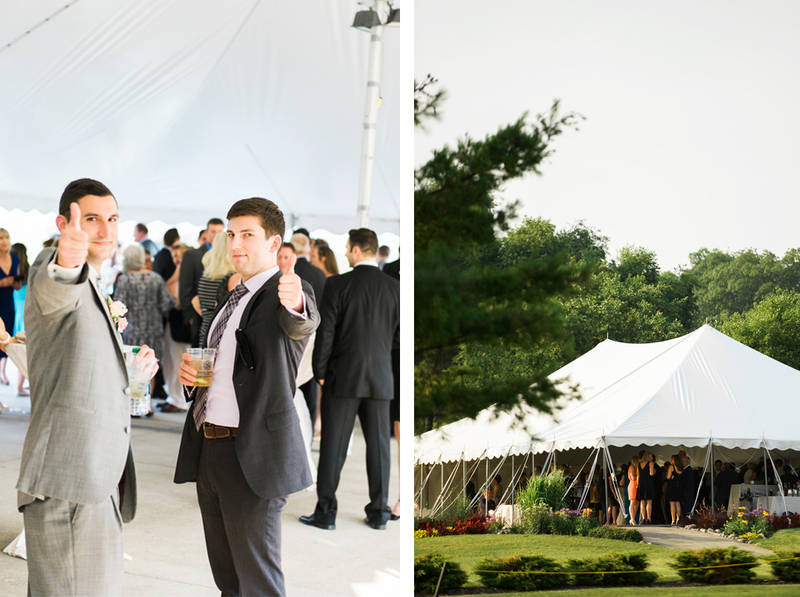 Weather always plays a big part in a wedding day, and when you have an outdoor wedding you always hope you can stick with plan A. 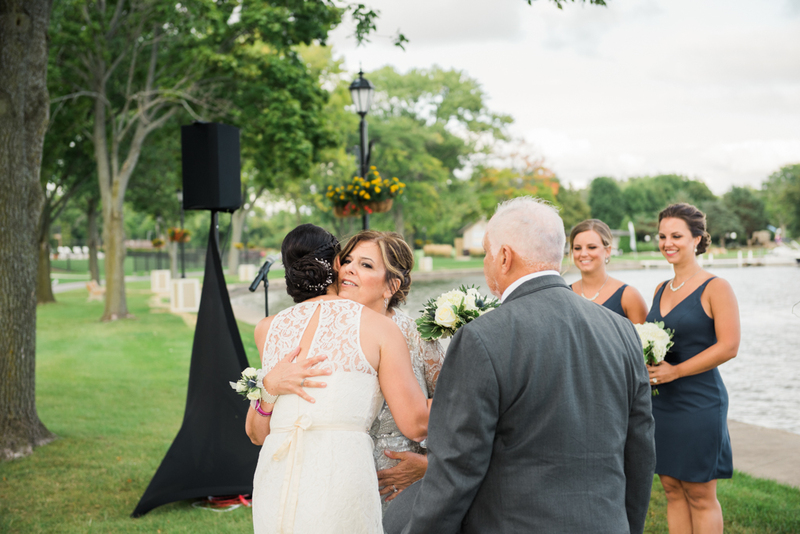 Short of a torrential downpour, nothing was going to stop these brides from walking down to the lakefront for their vows. 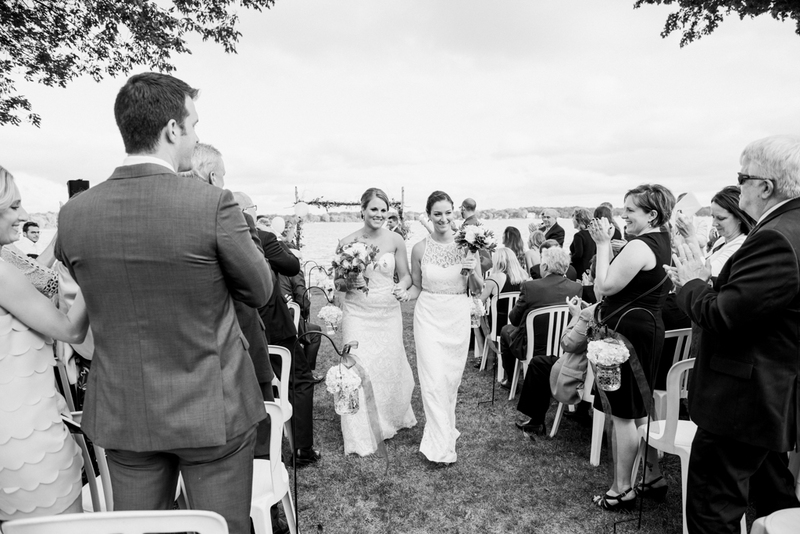 The day may have started a little grey, but by the time the brides were ready to seal the deal the cloud coverage significantly lightened to the most luminous of lighting conditions. 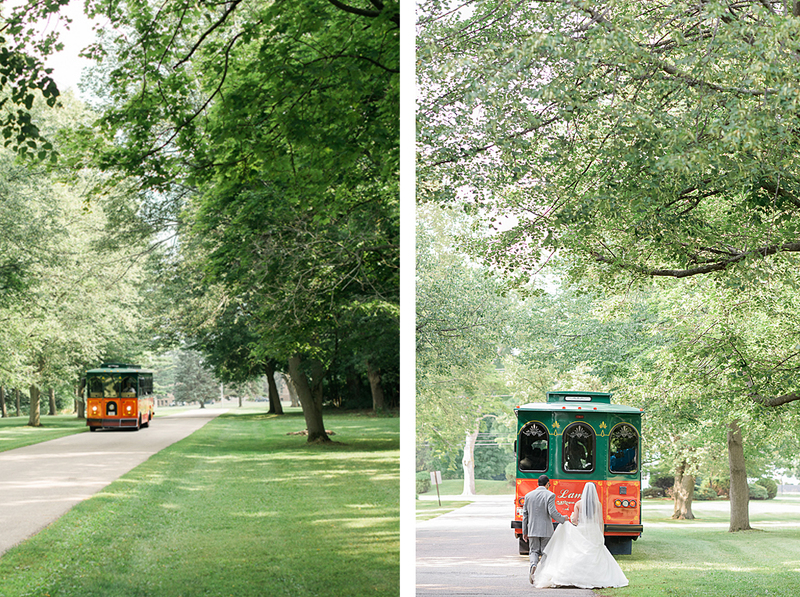 I loved photographing their engagement session in Chicago, but I loved photographing their marriage and (super awesome) families even more. 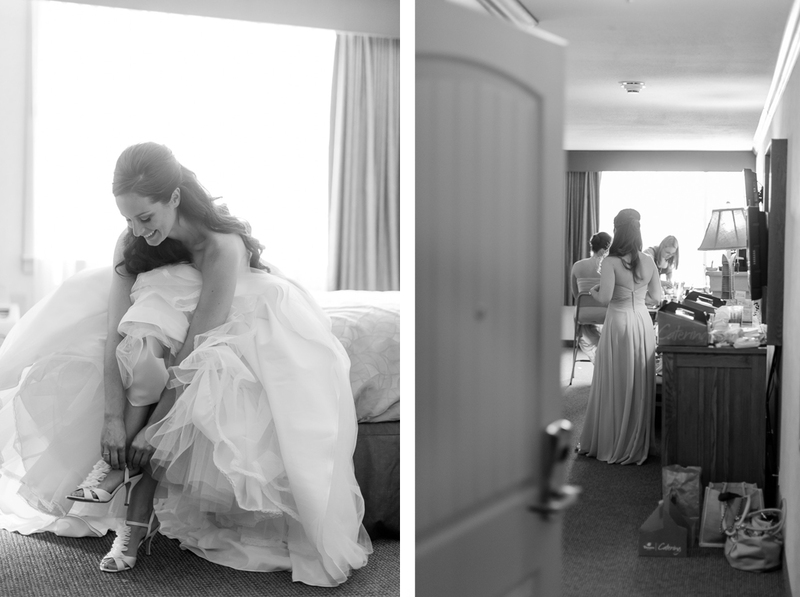 Their wedding day was certainly one of my favorites. 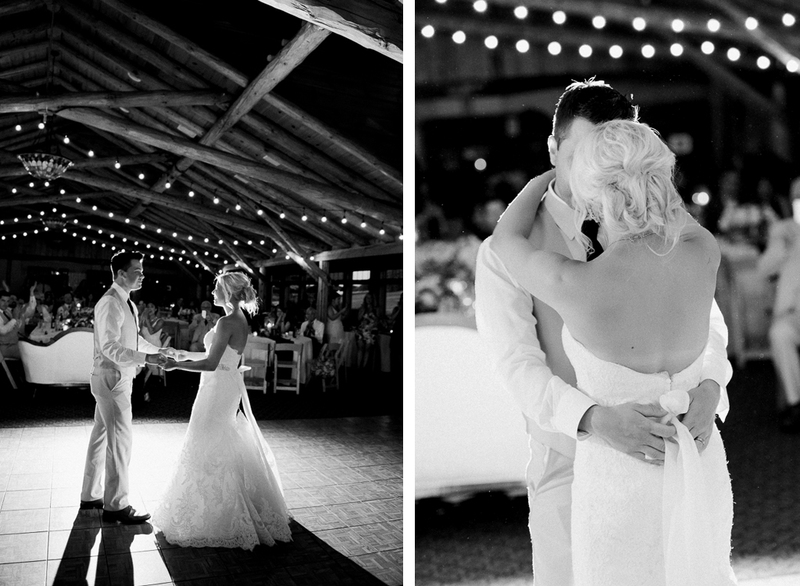 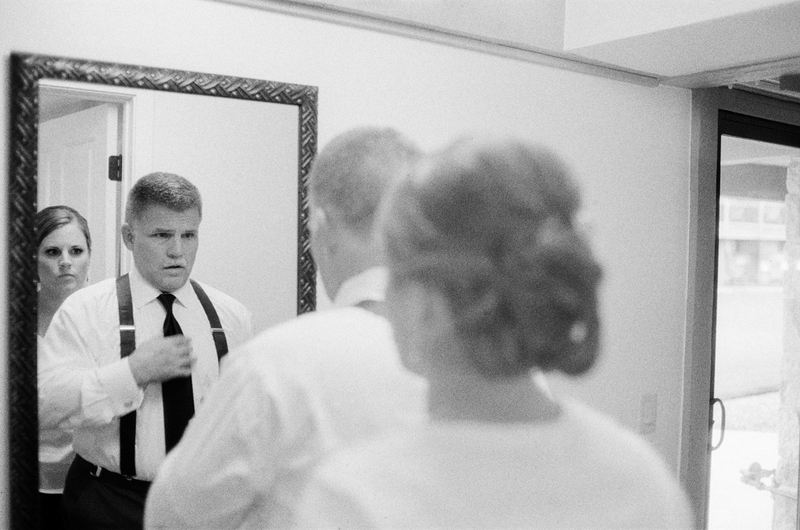 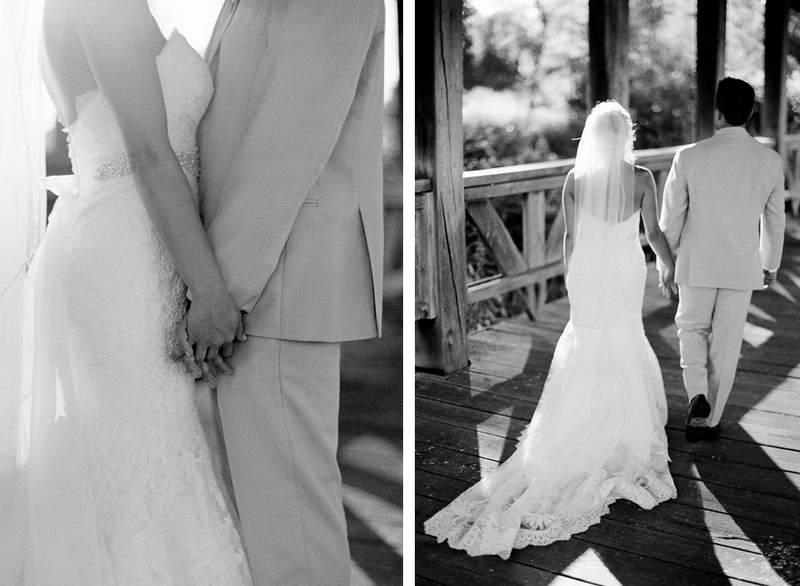 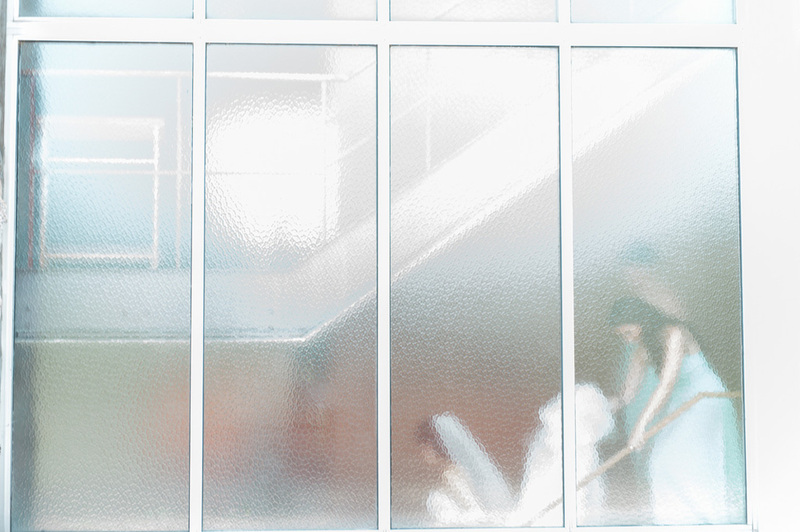 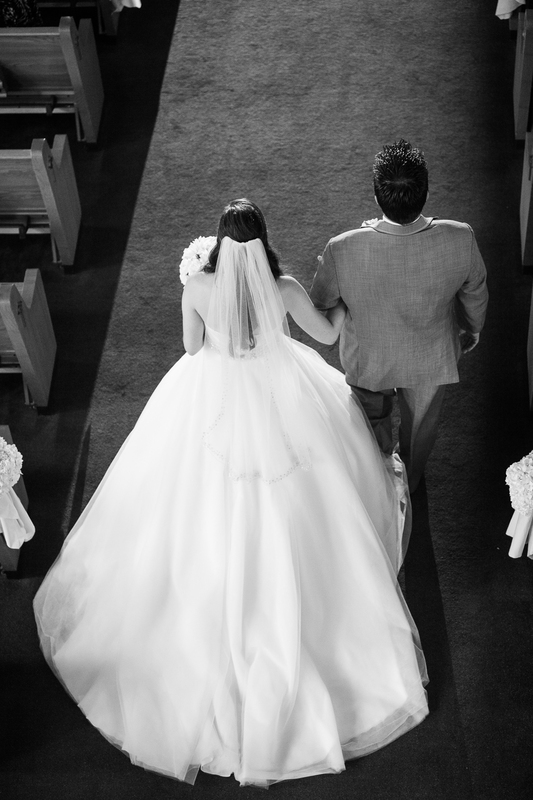 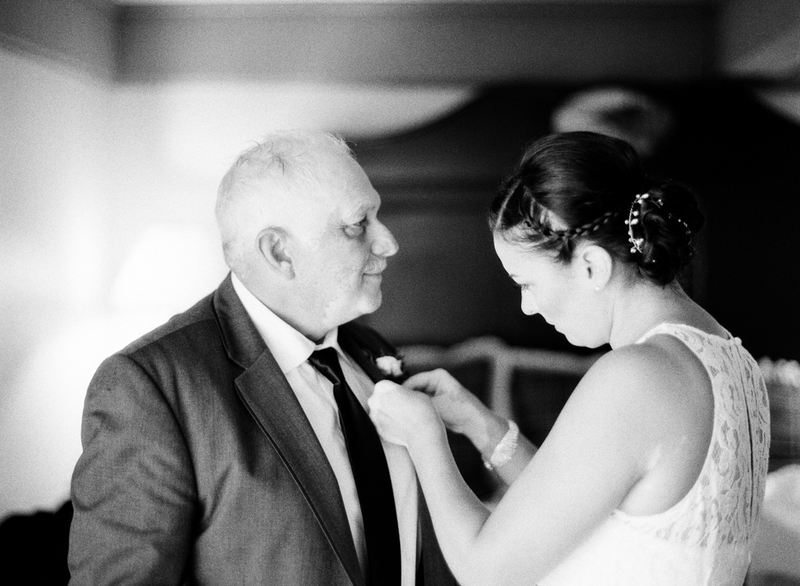 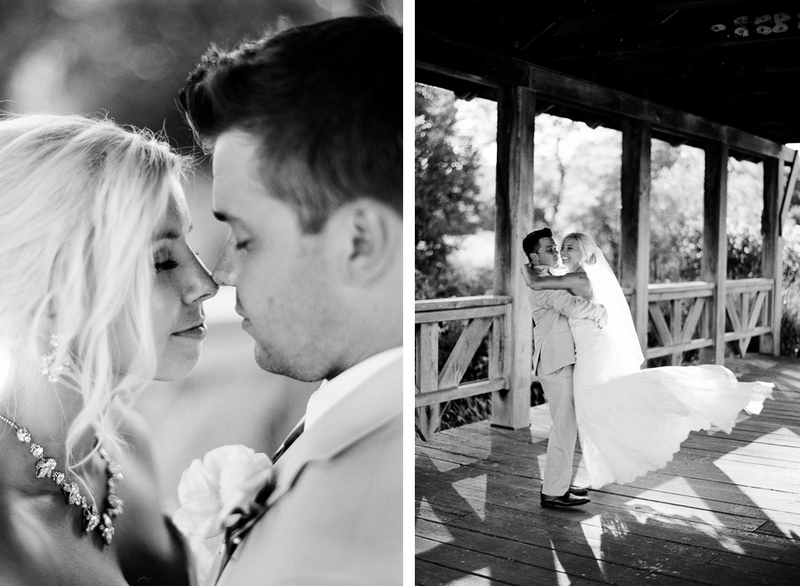 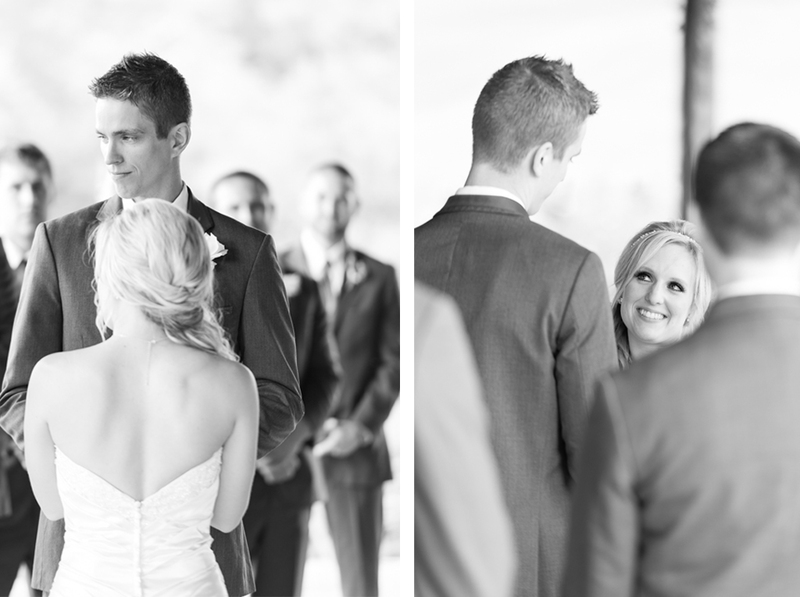 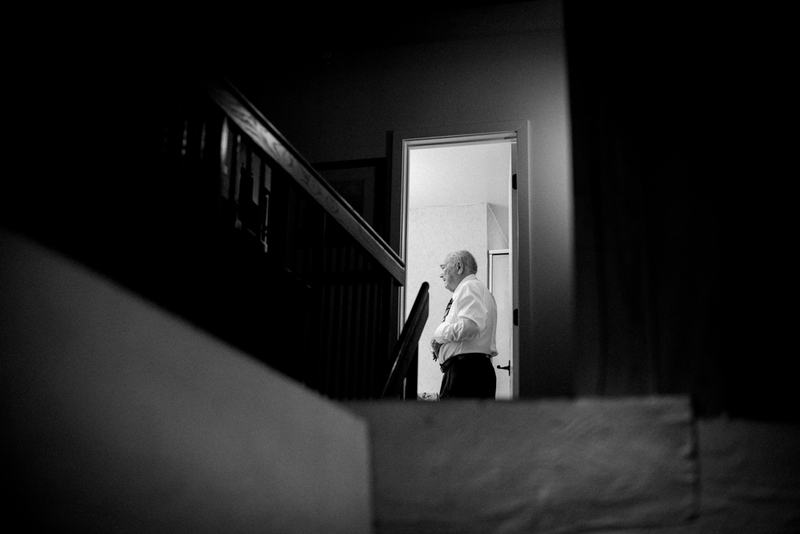 The first time I met Katie and Andy I knew immediately I wanted to photograph their wedding. 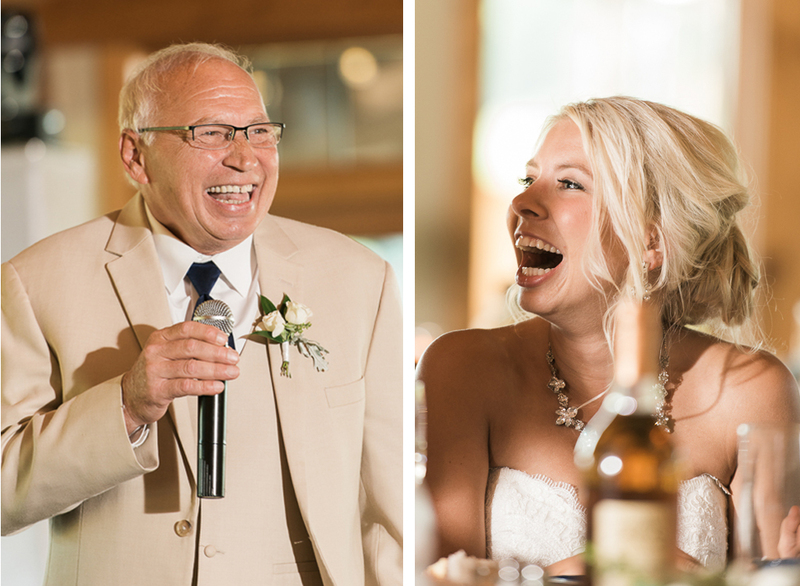 These two light up any room they are in, and every interaction with them is full of big belly laughs. 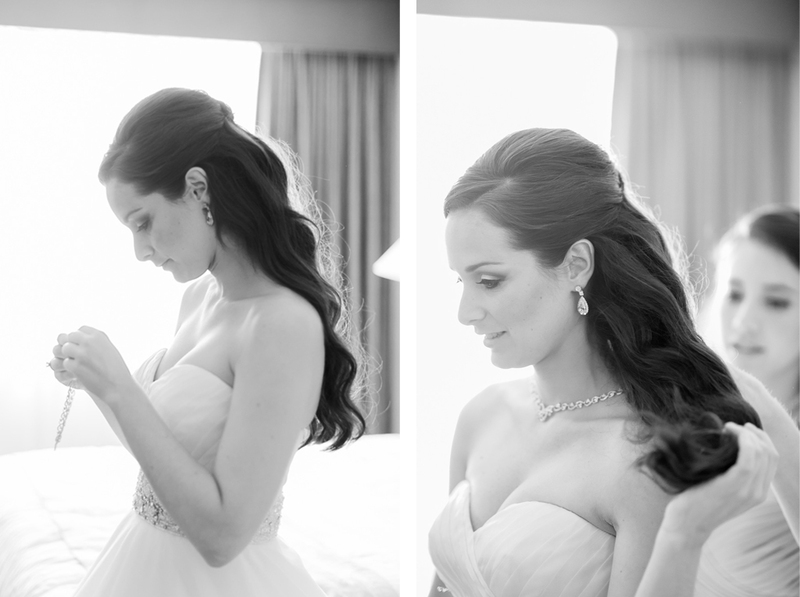 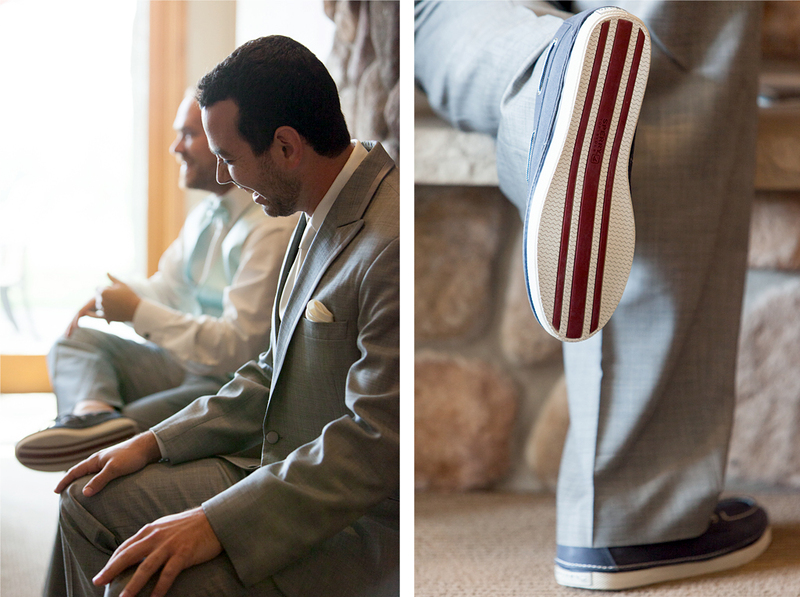 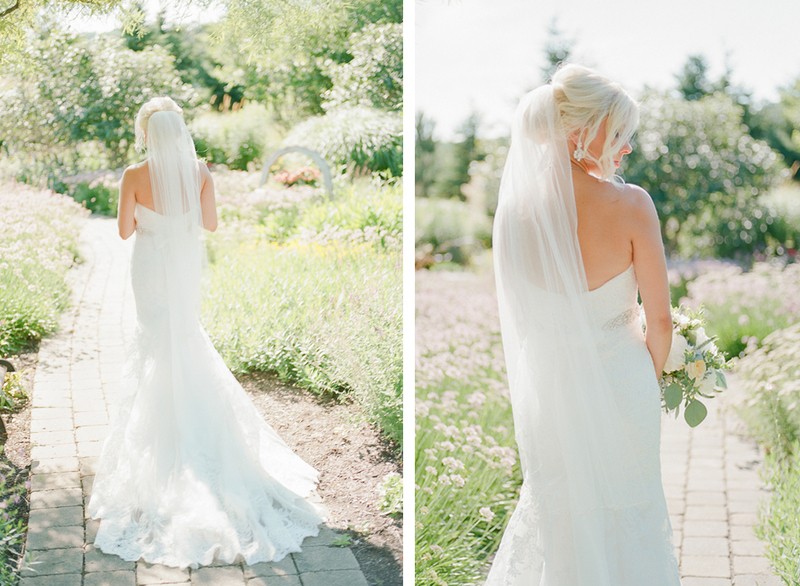 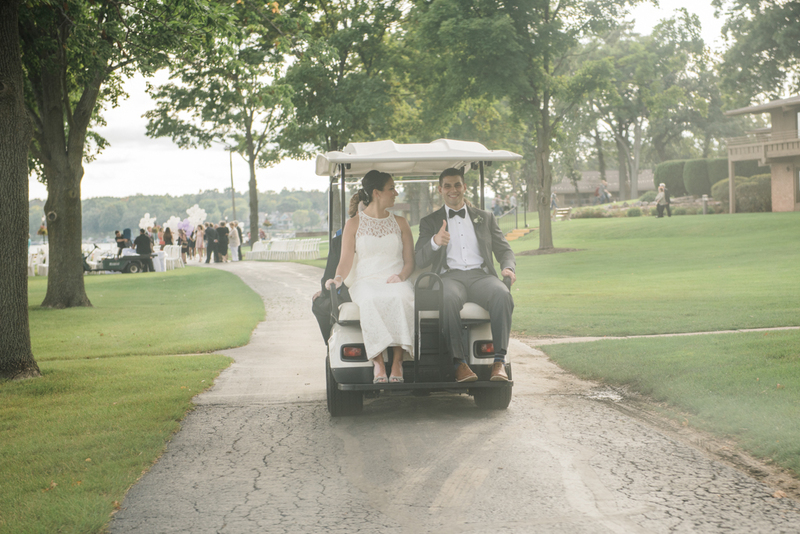 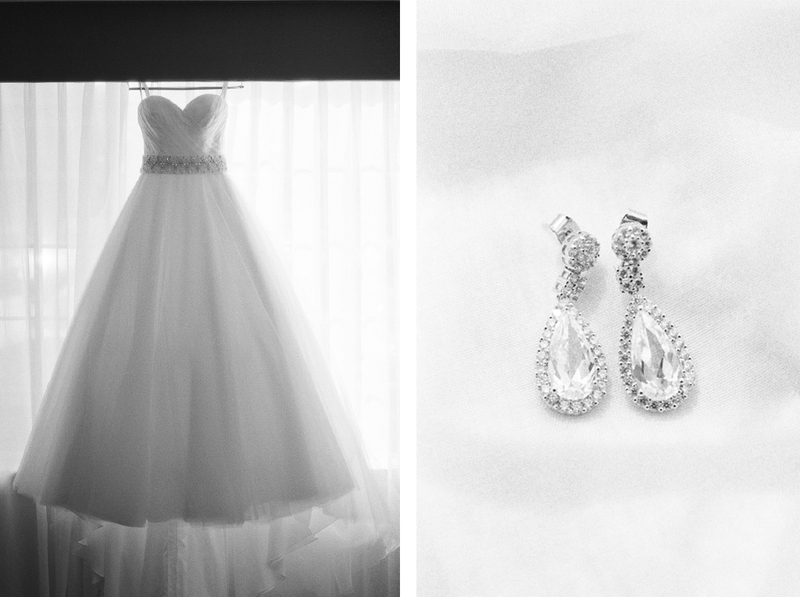 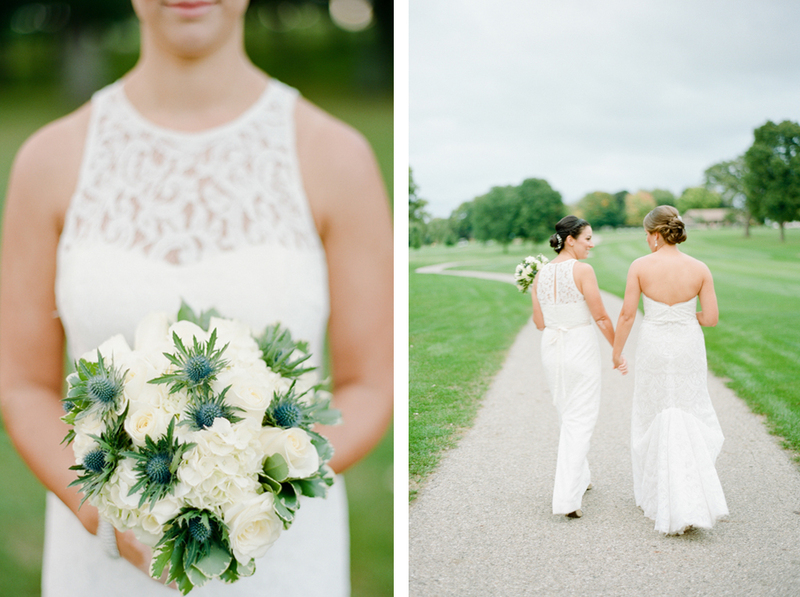 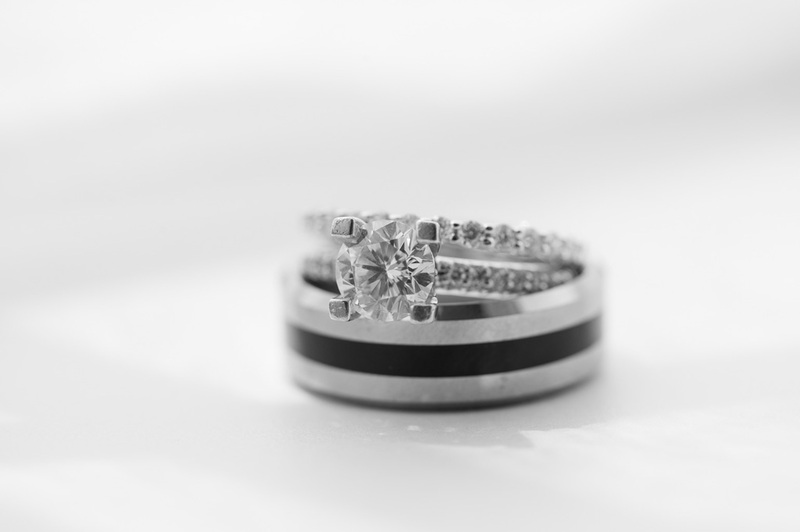 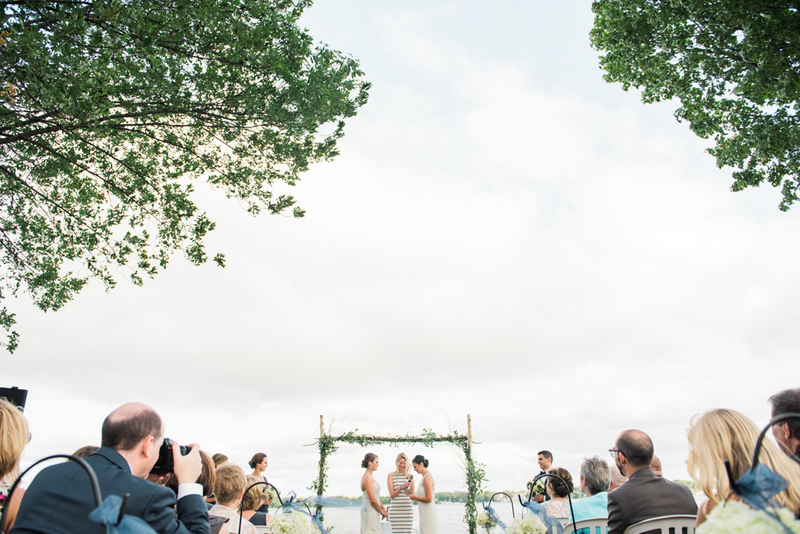 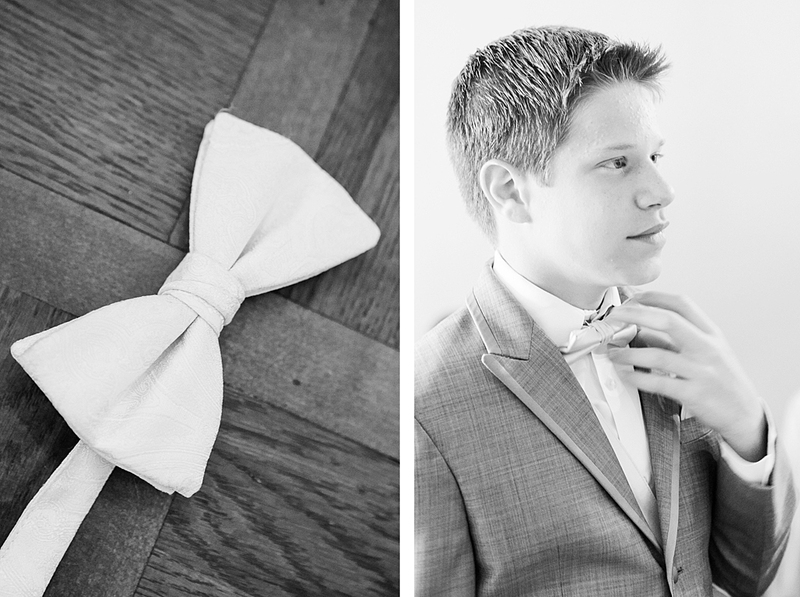 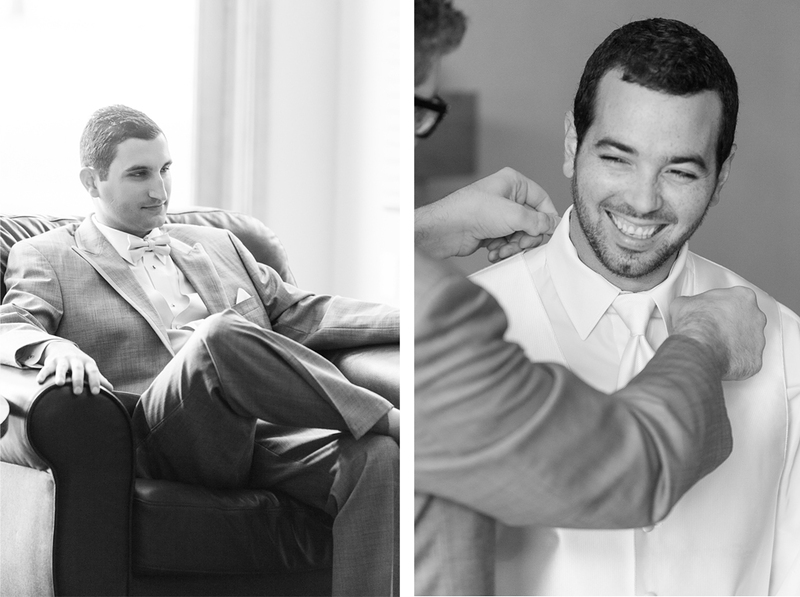 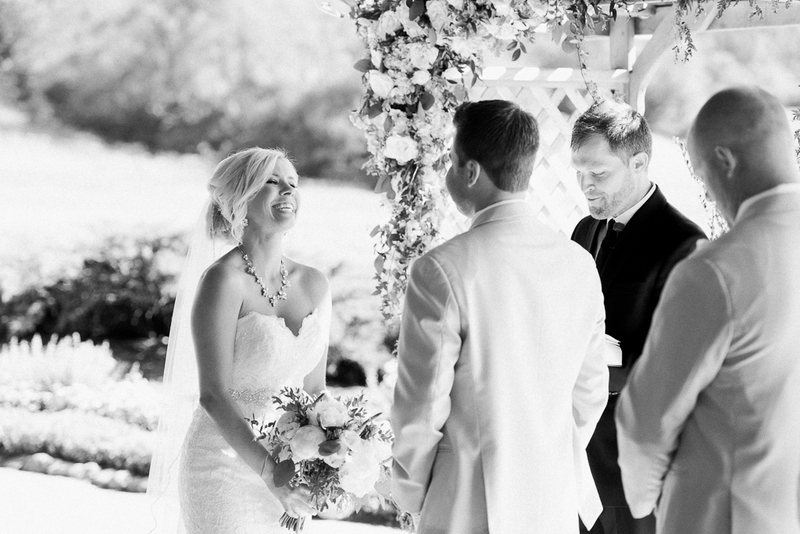 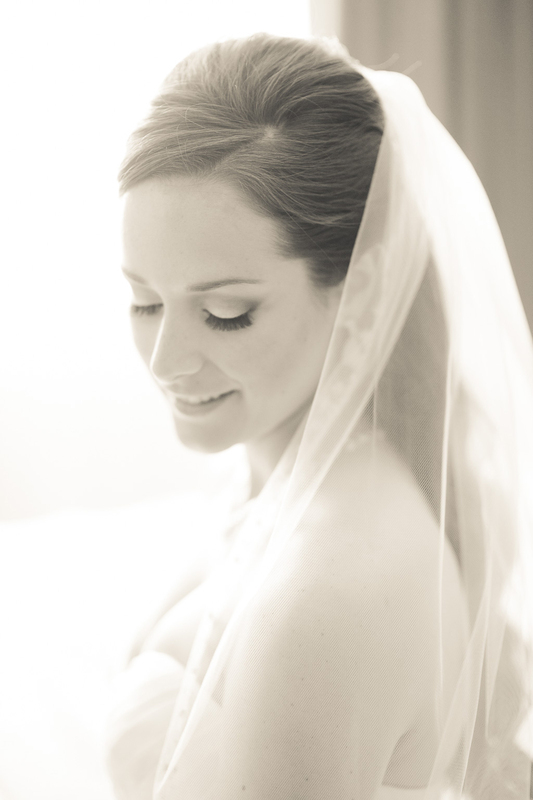 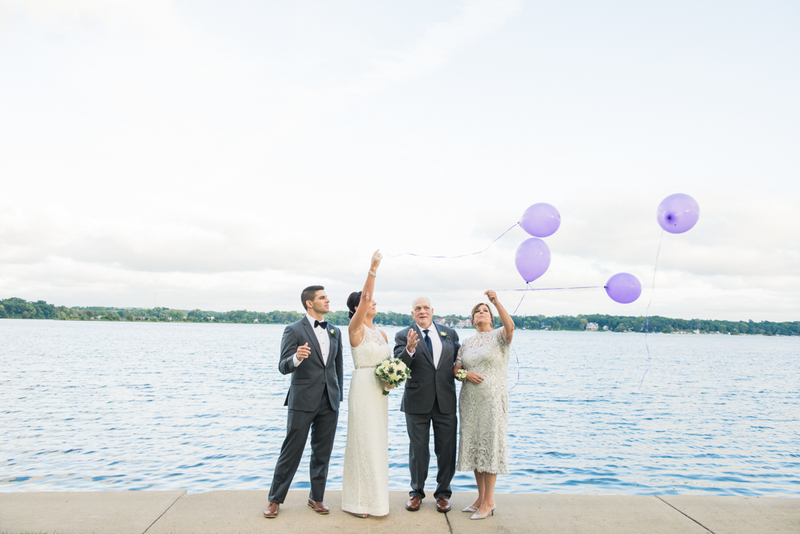 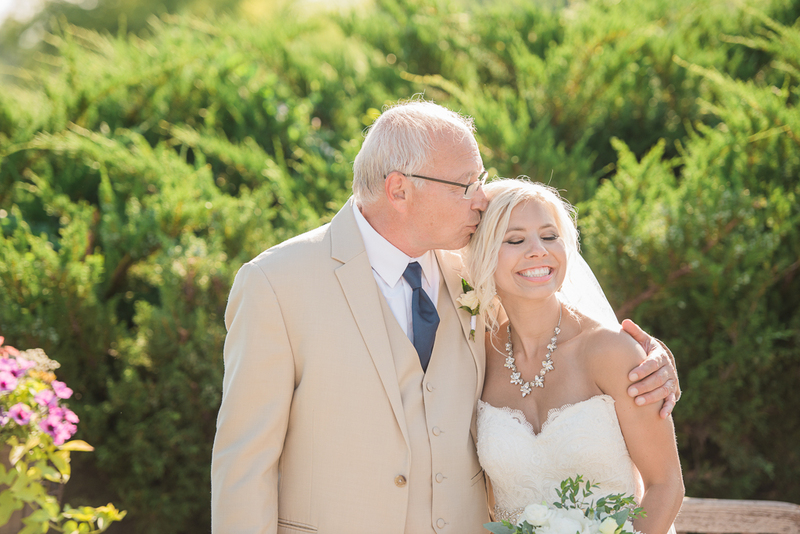 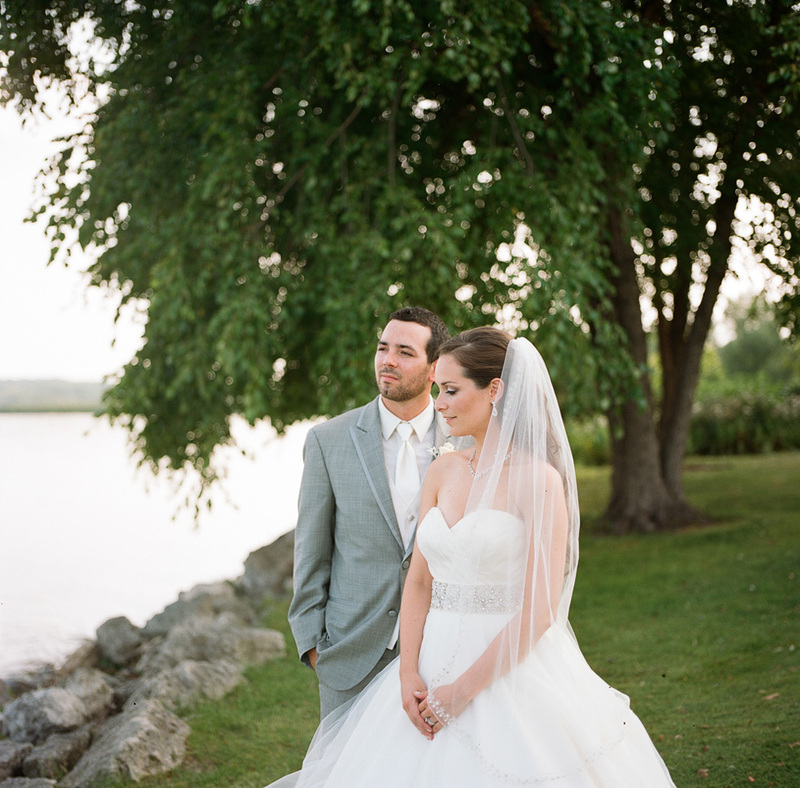 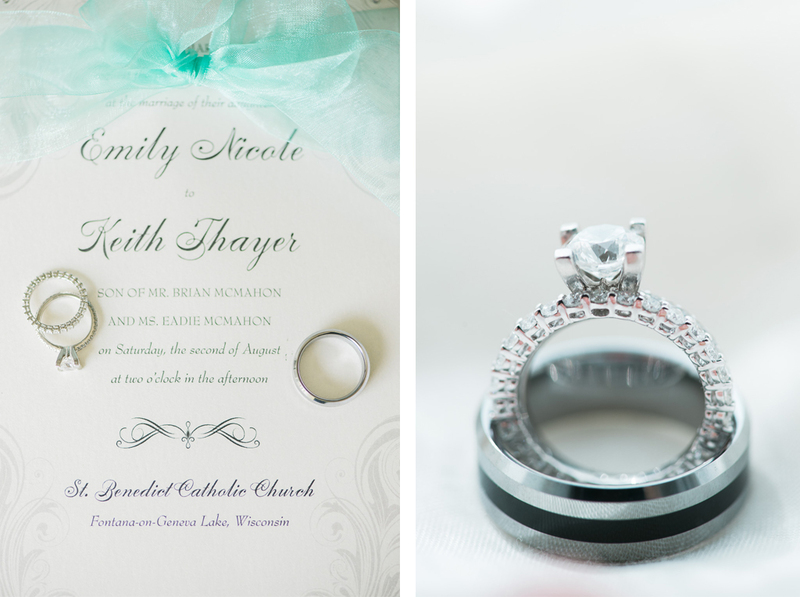 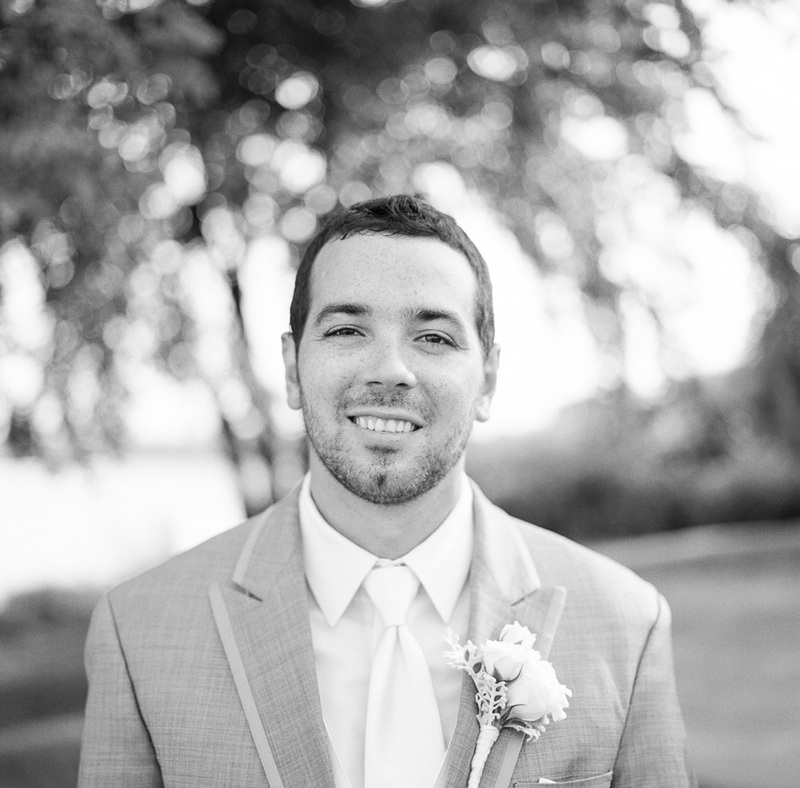 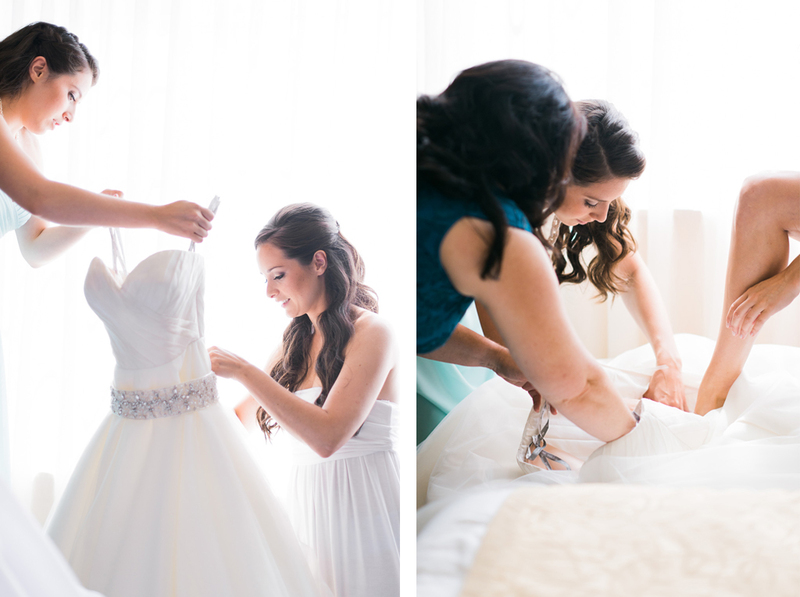 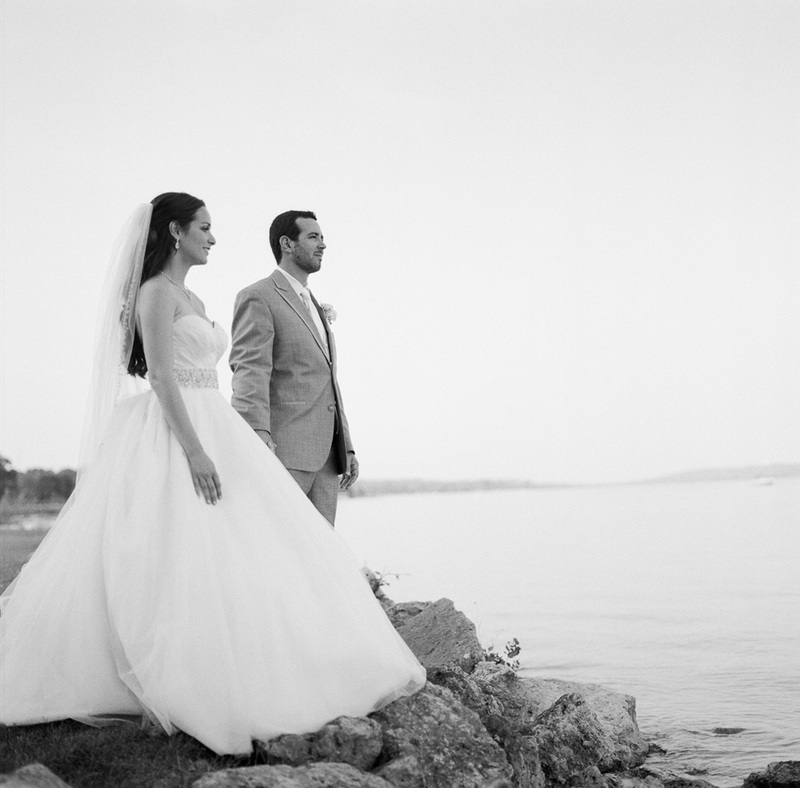 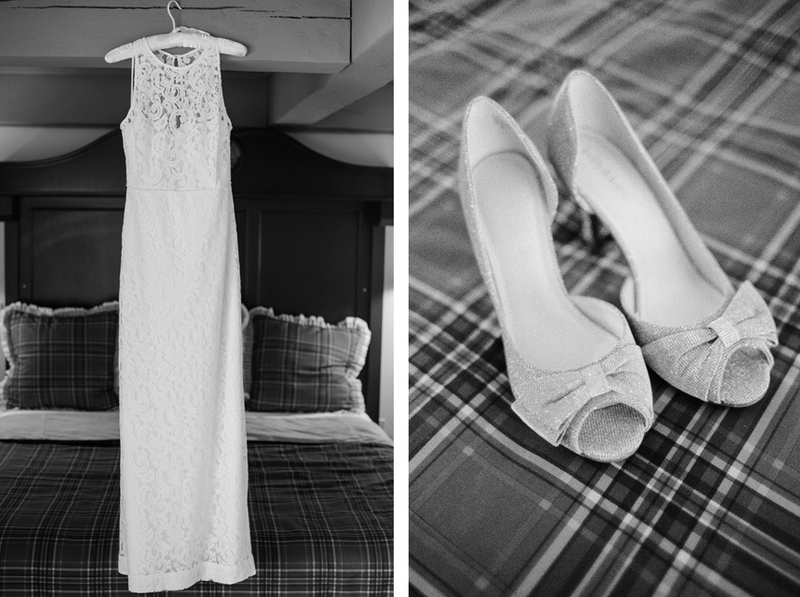 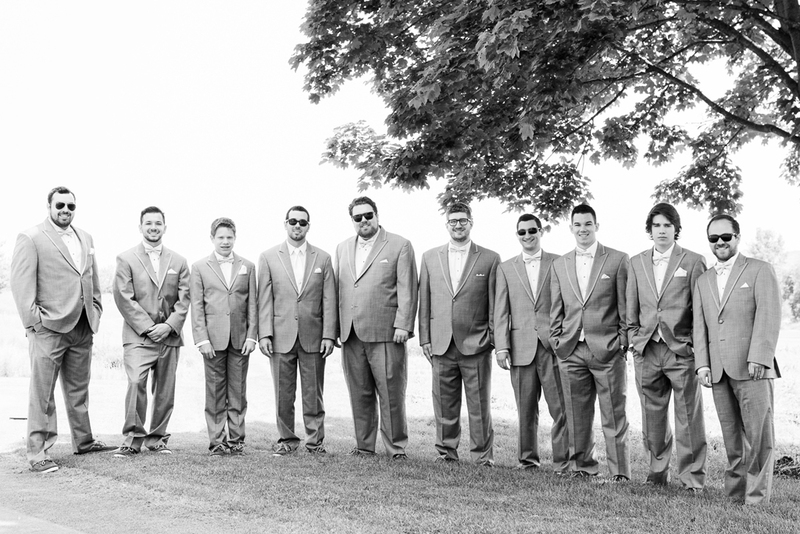 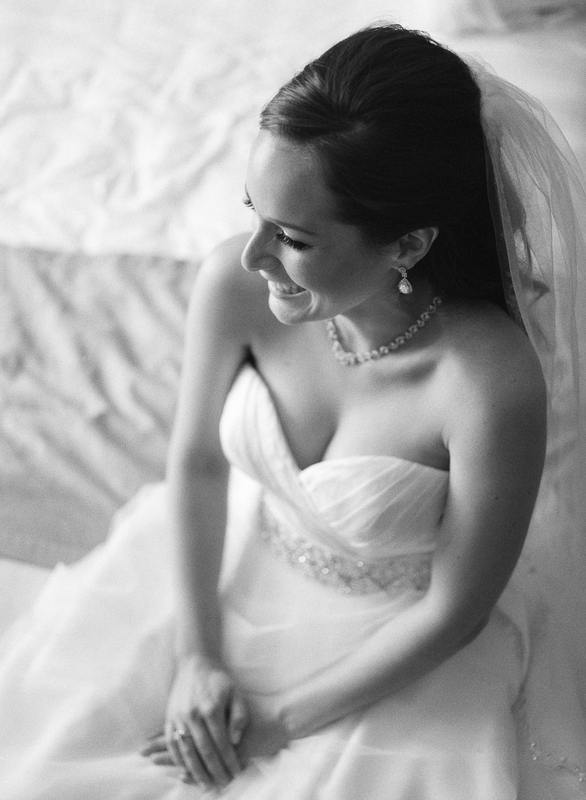 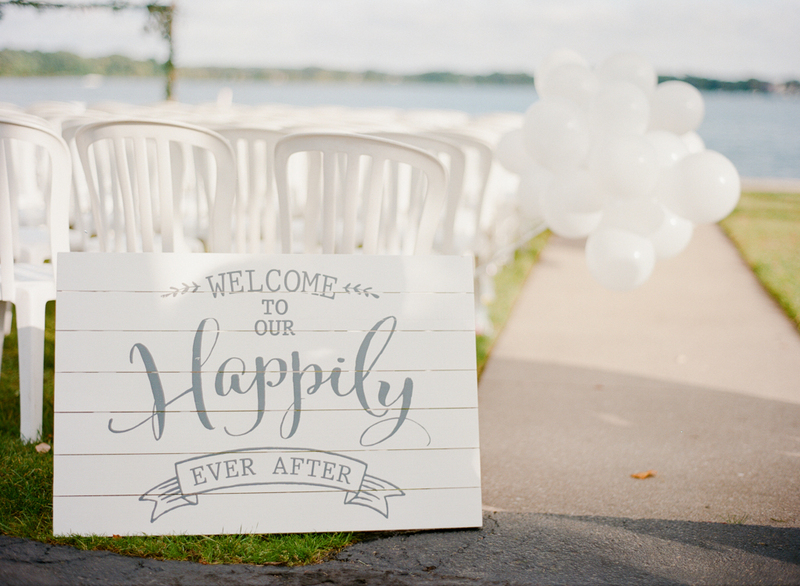 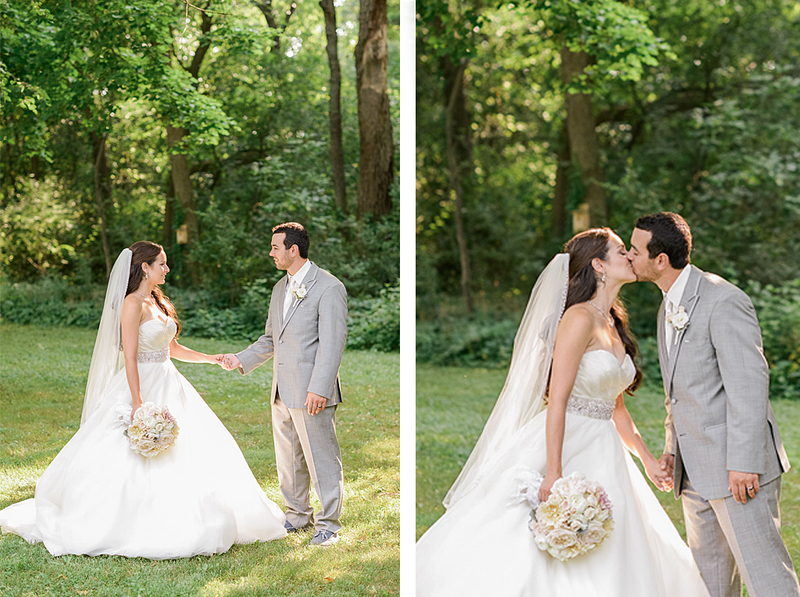 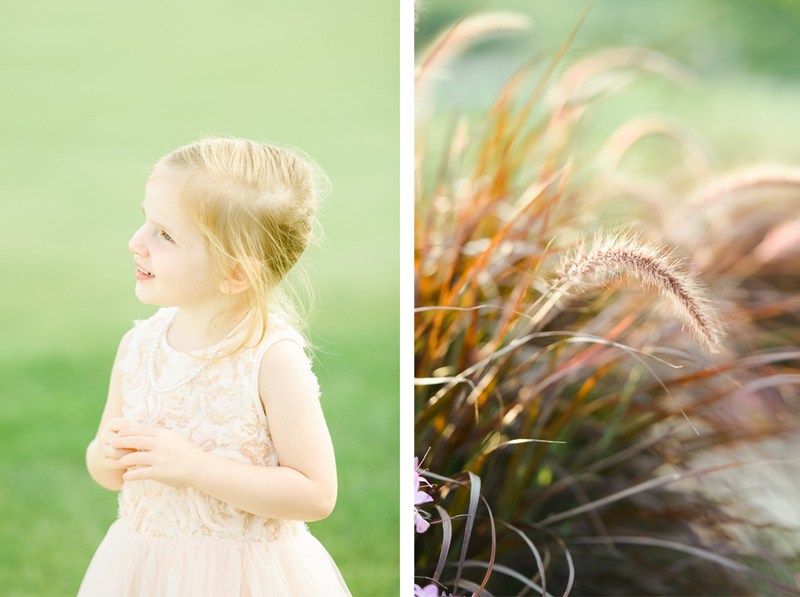 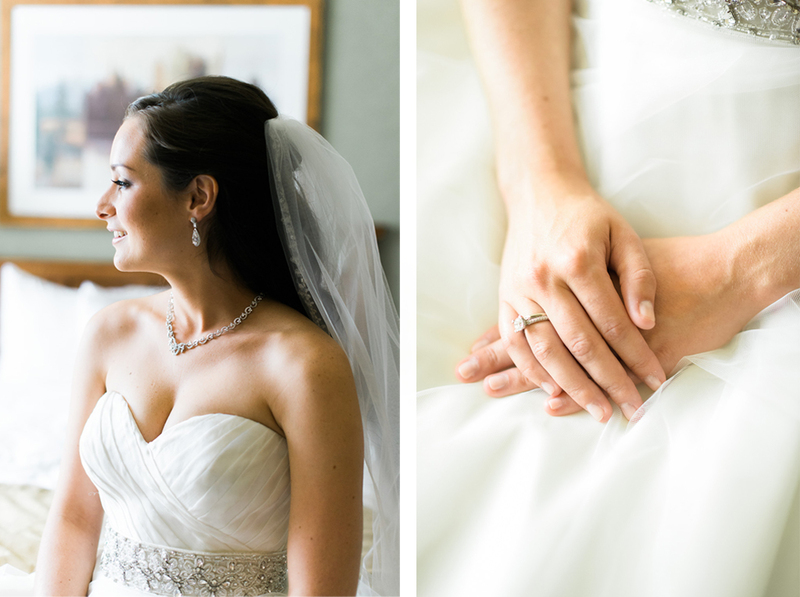 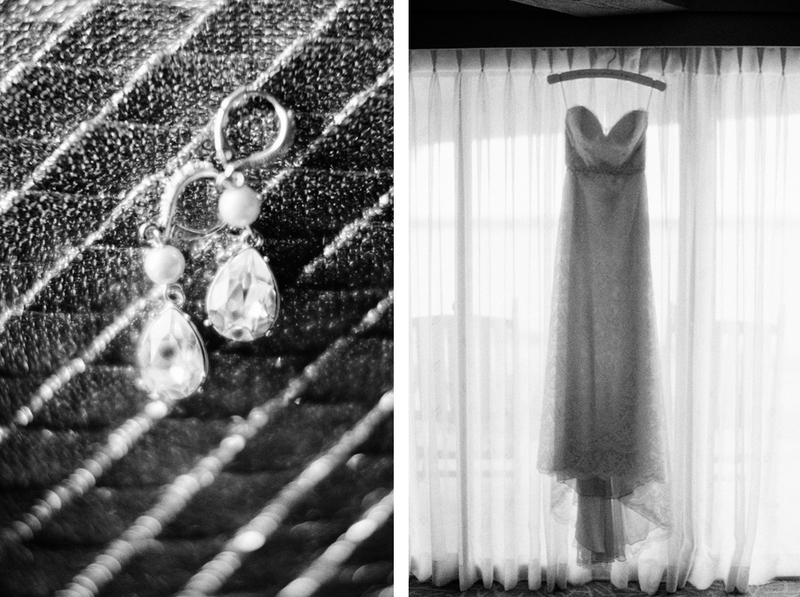 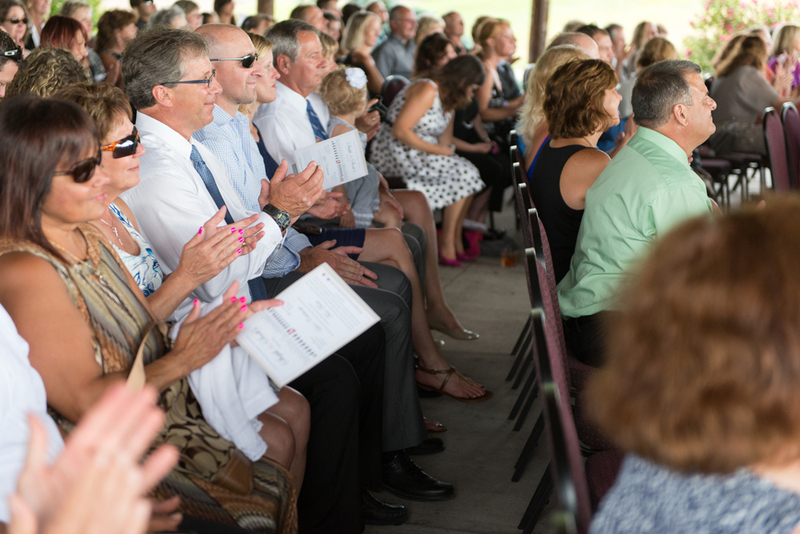 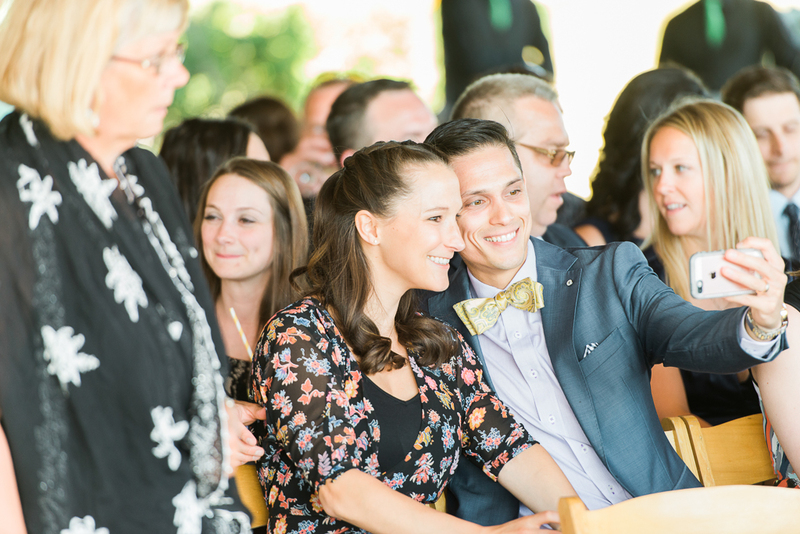 Lucky for me, they chose me to document their summer wedding in Lake Geneva! 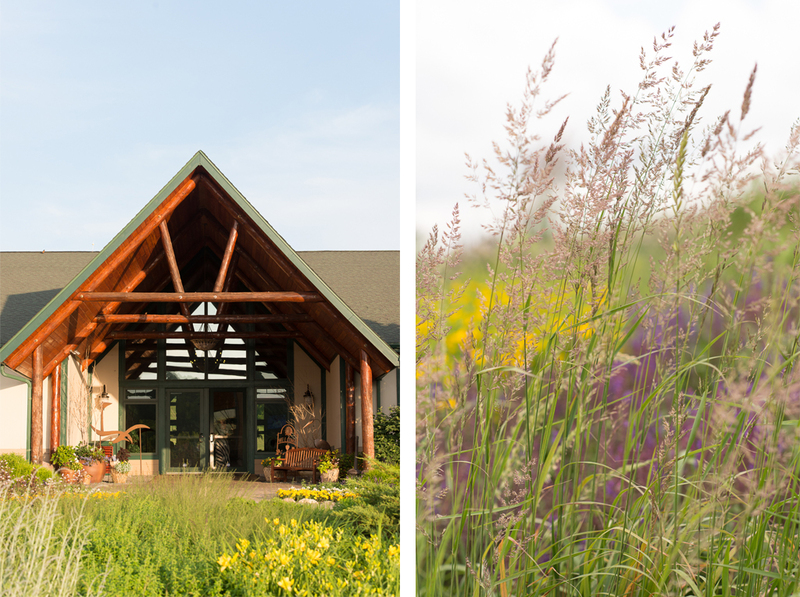 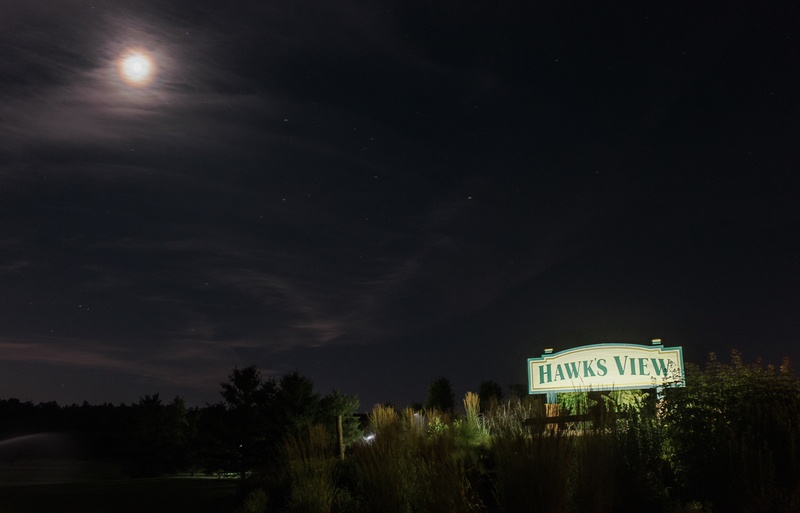 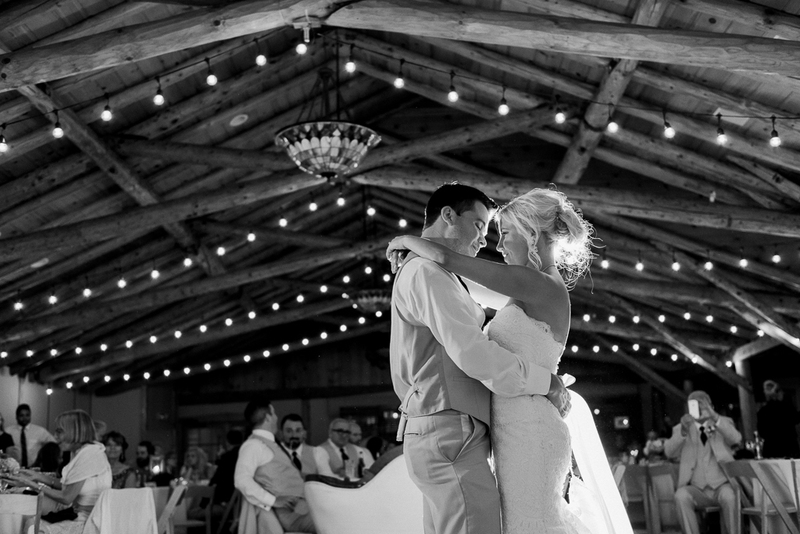 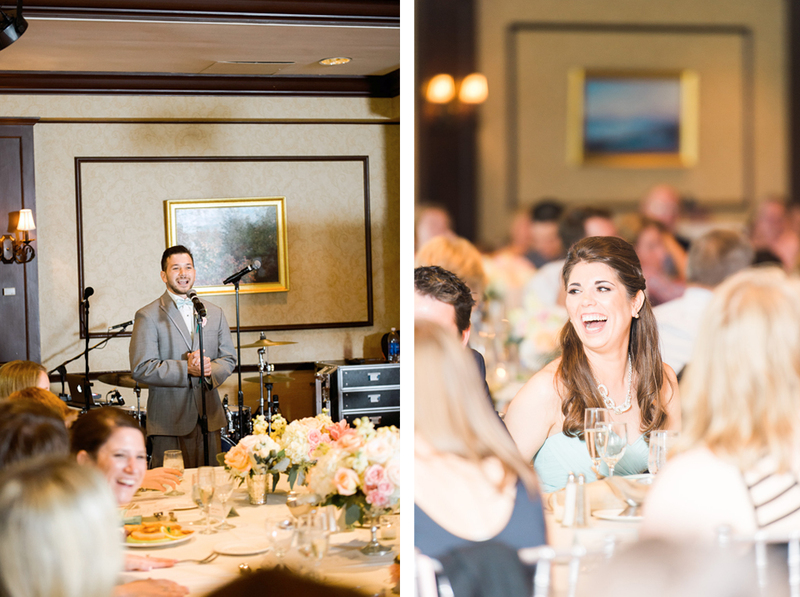 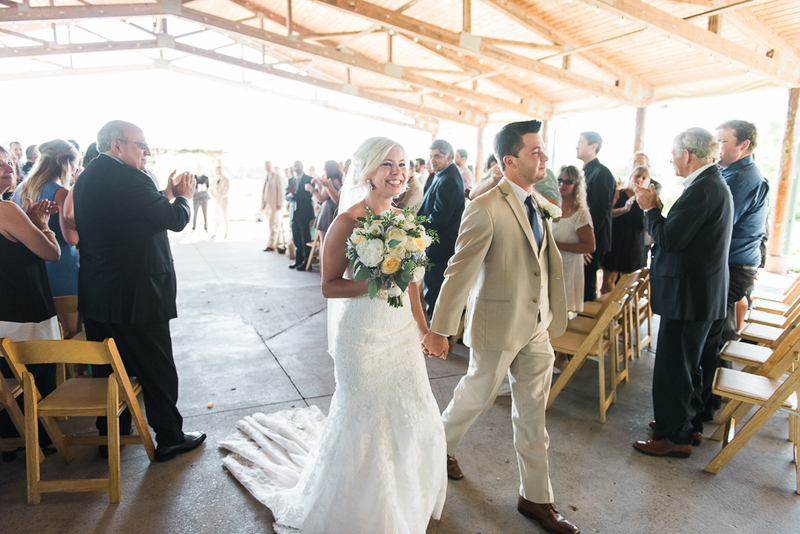 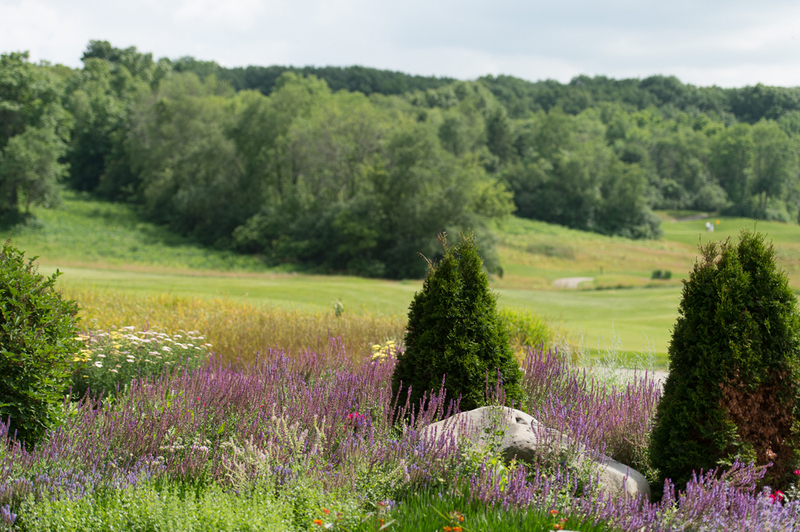 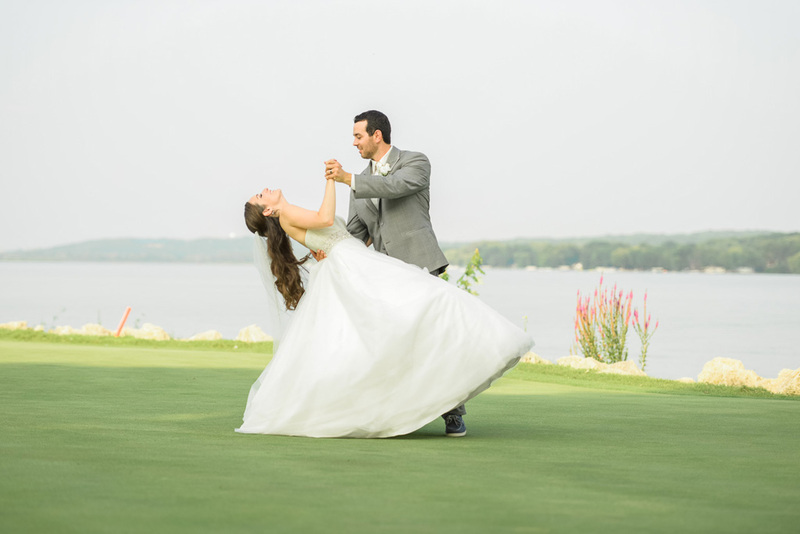 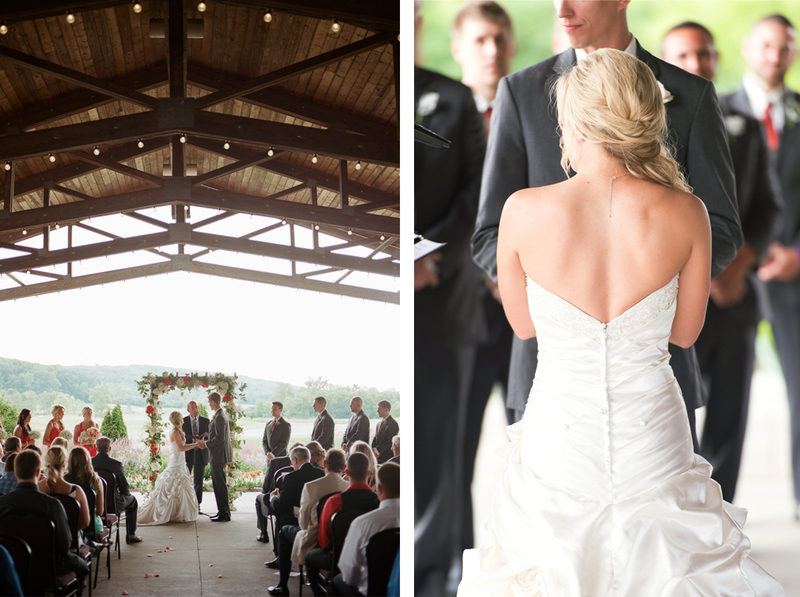 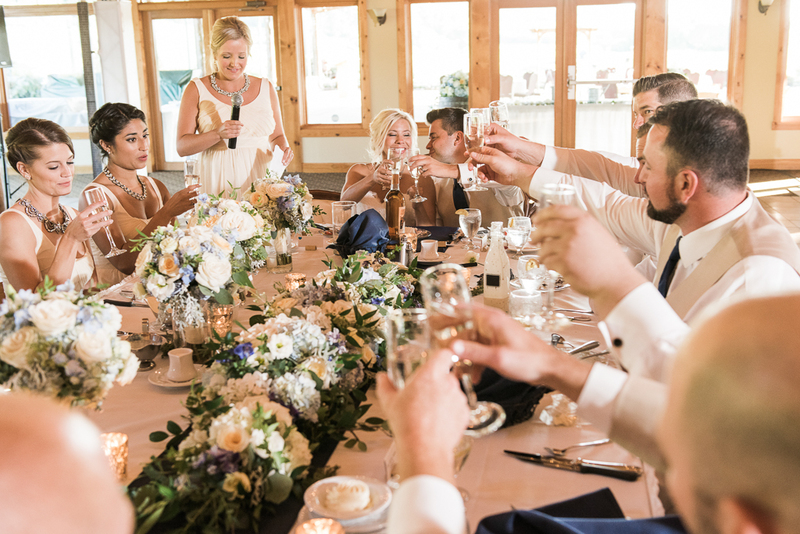 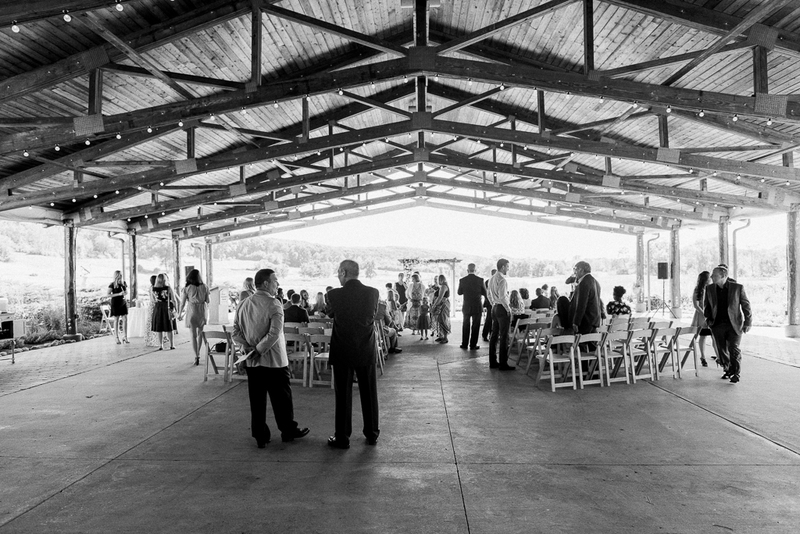 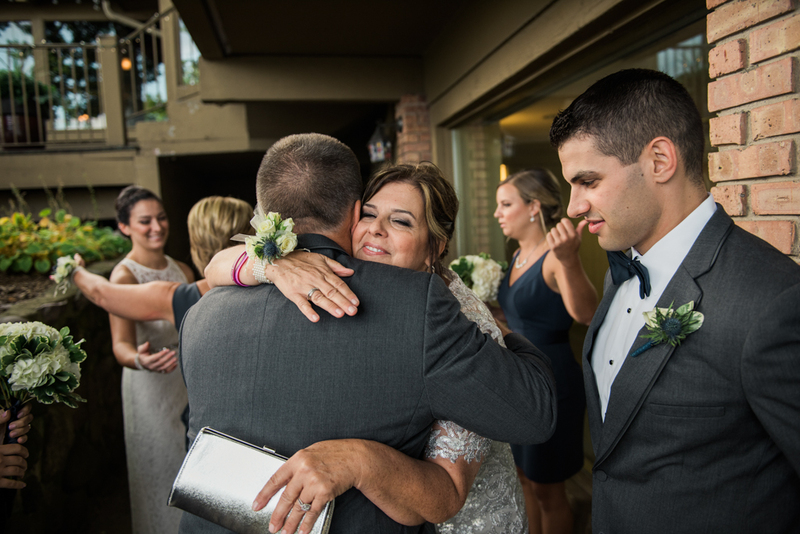 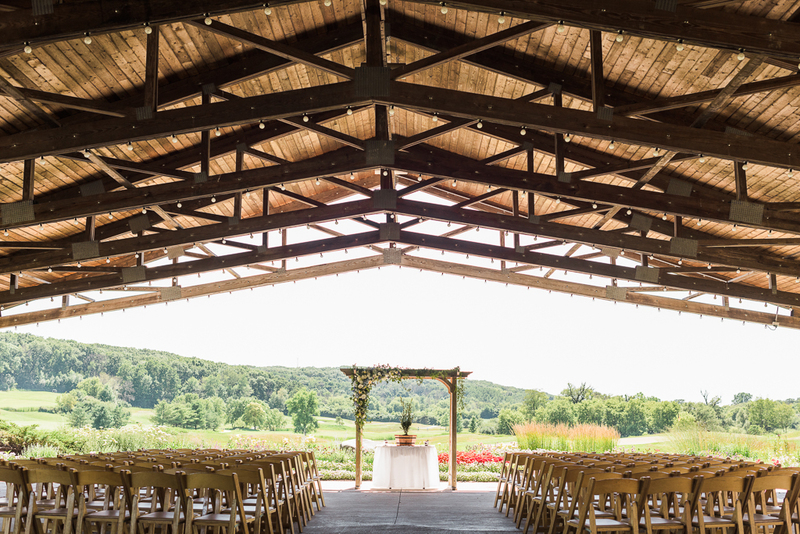 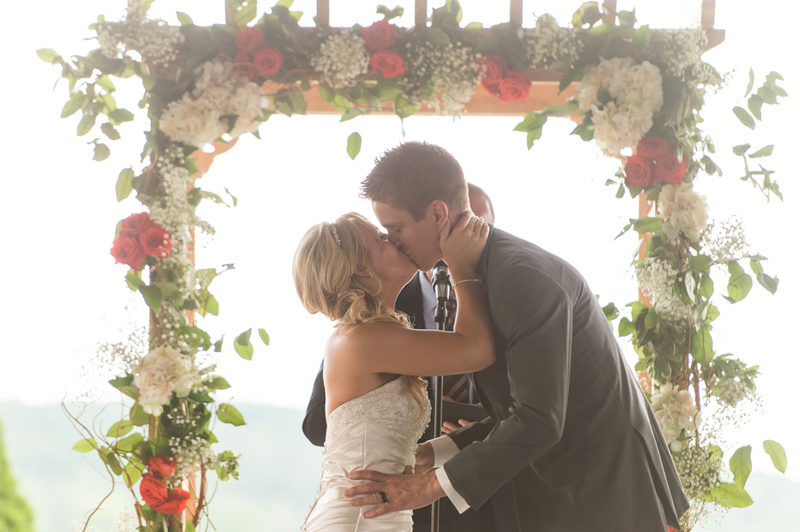 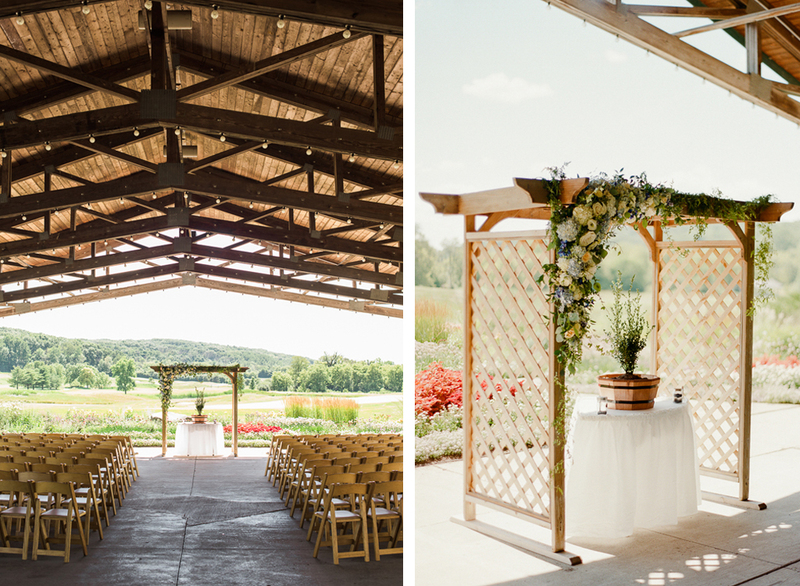 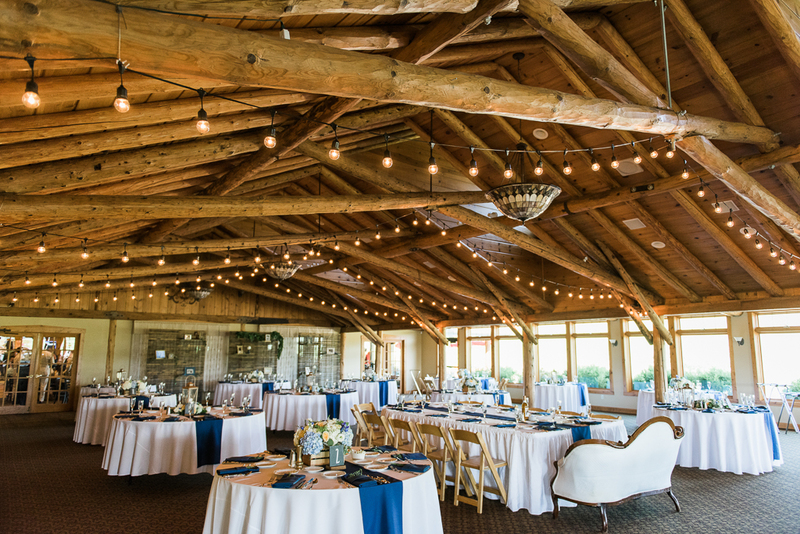 Katie and Andy live in Illinois, but fell in love with the idea of having their wedding day at Hawk’s View in Lake Geneva. 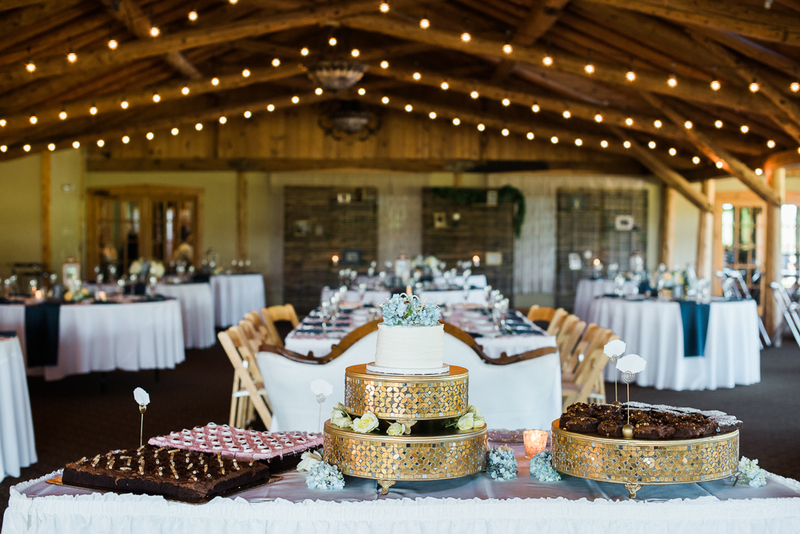 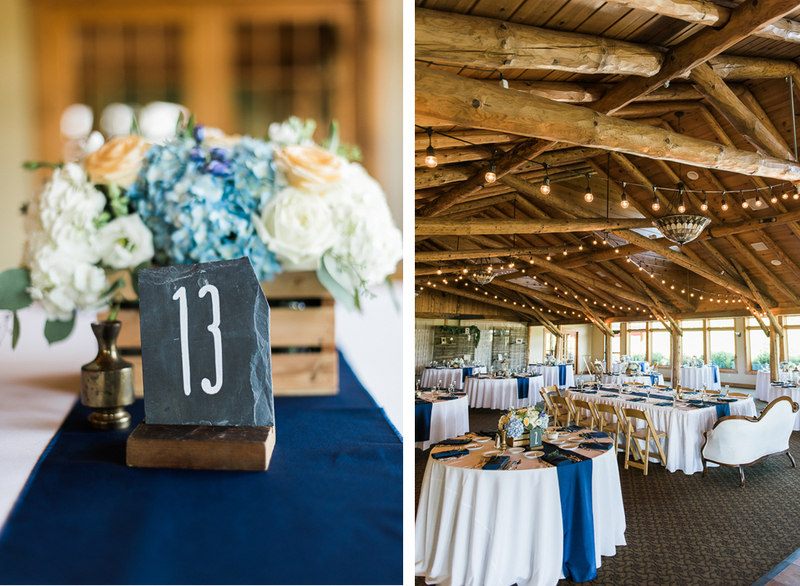 They loved the big sprawling property, rustic interior, and gorgeous covered outdoor ceremony space (and frankly I did too!). 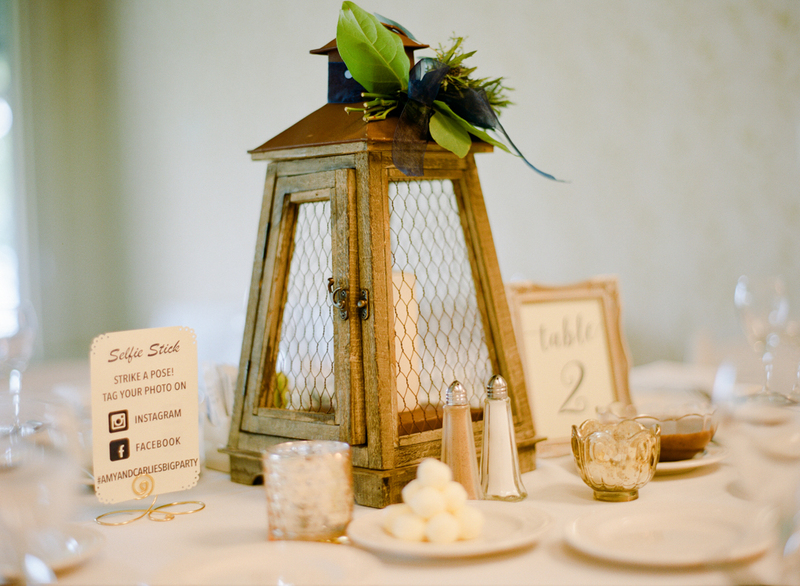 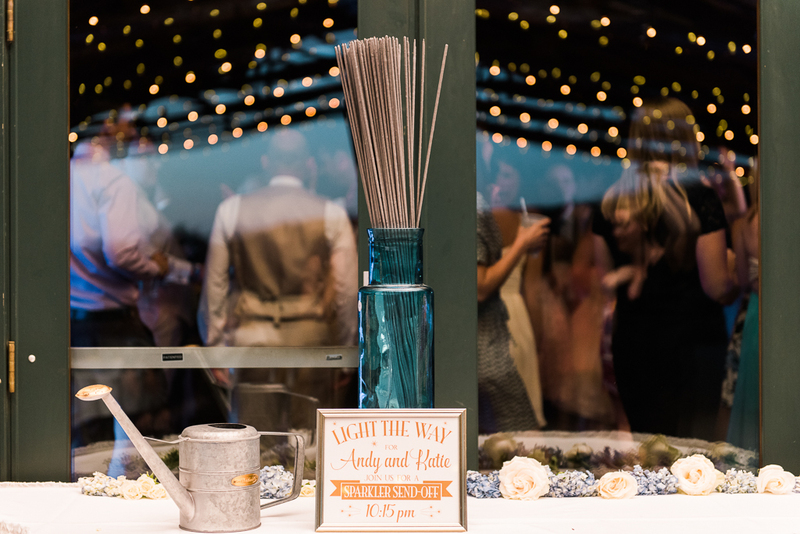 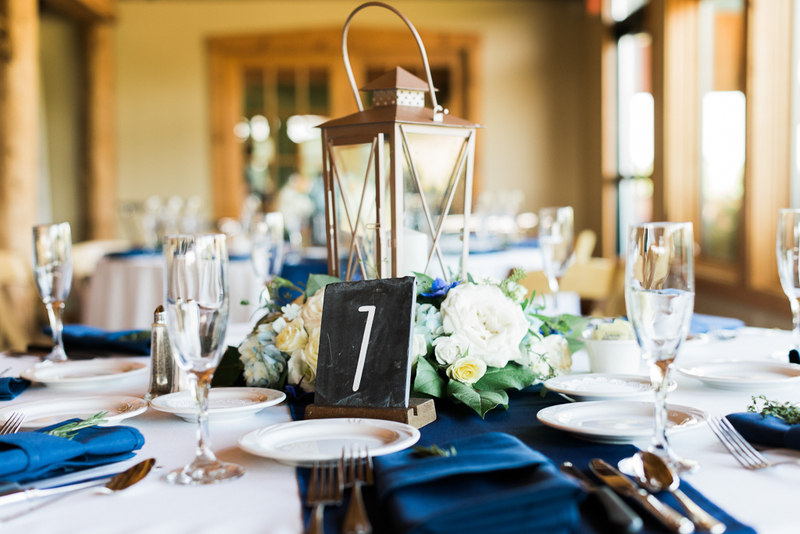 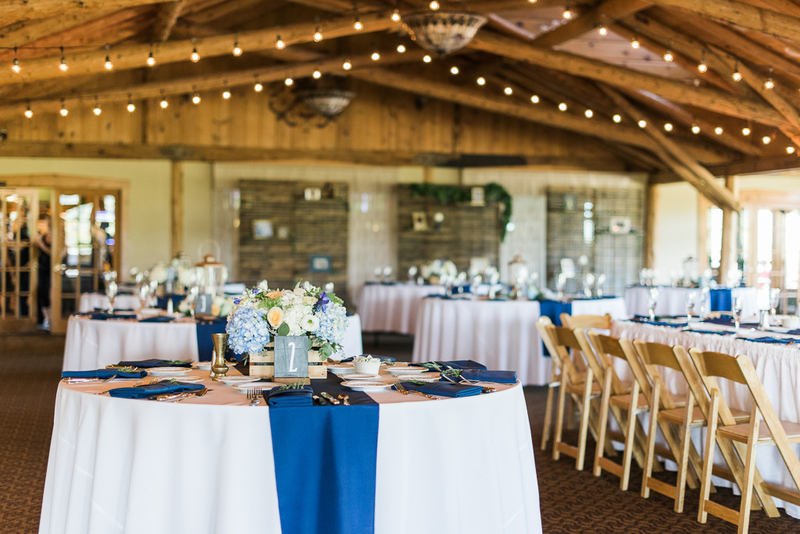 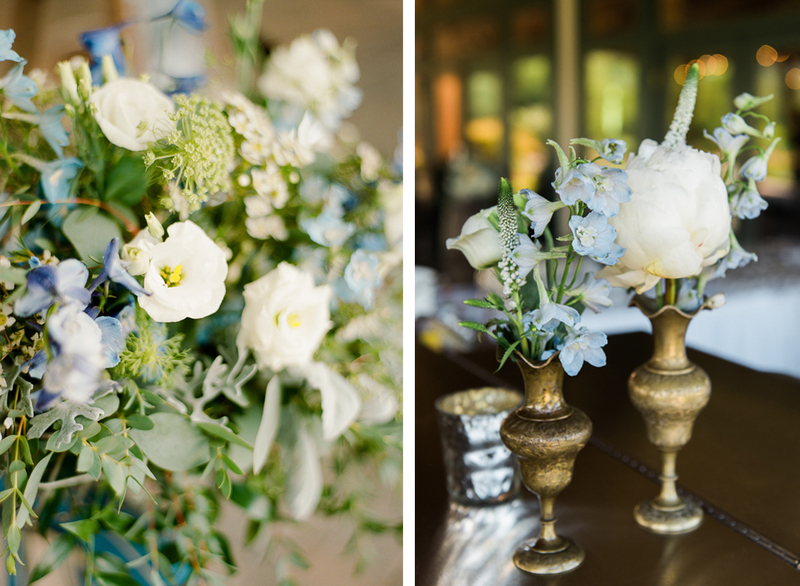 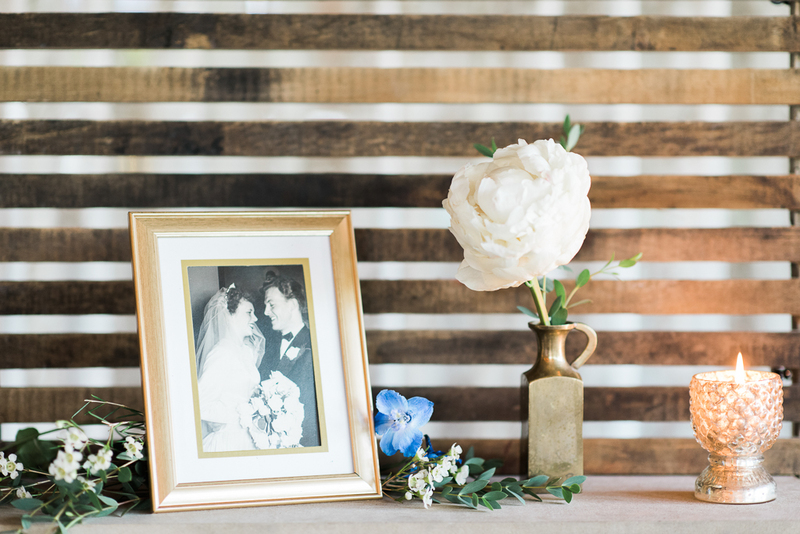 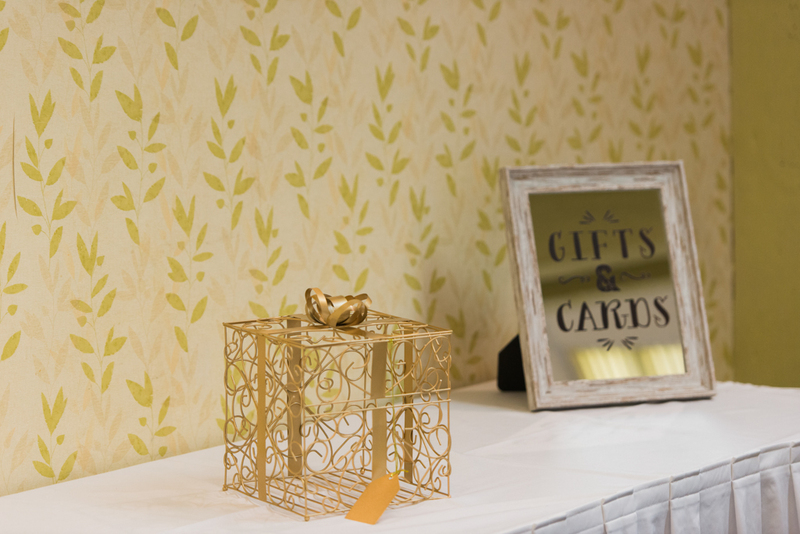 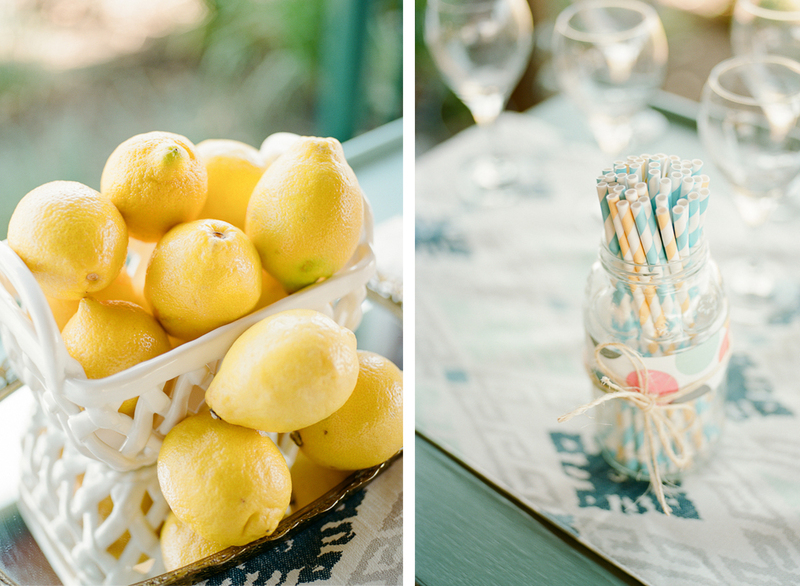 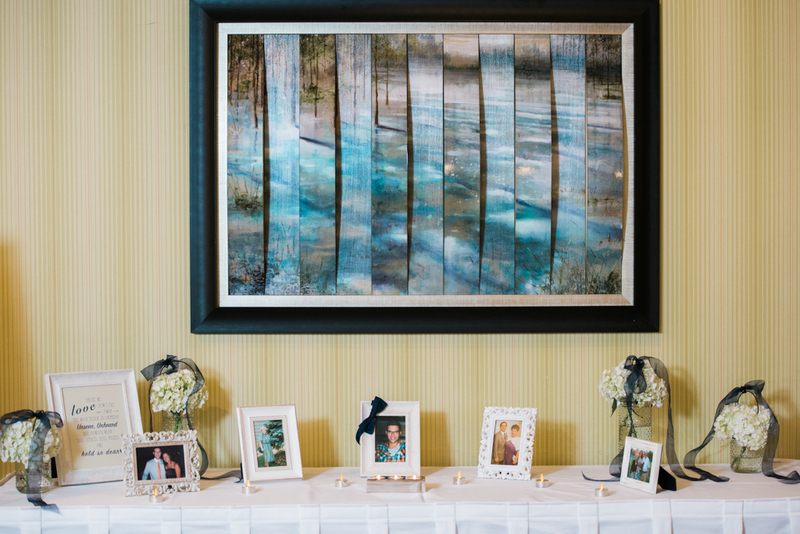 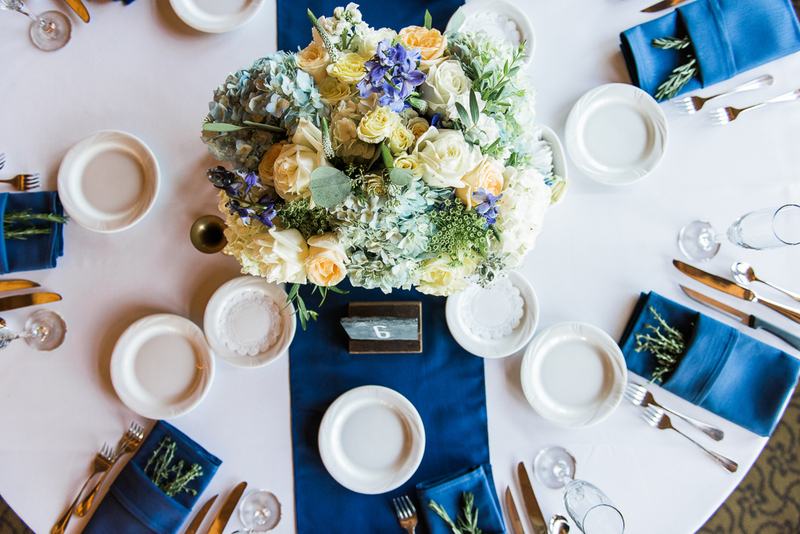 Katie and Andy chose blue and yellow as their wedding colors and that combination was perfectly weaved in throughout the entire event. 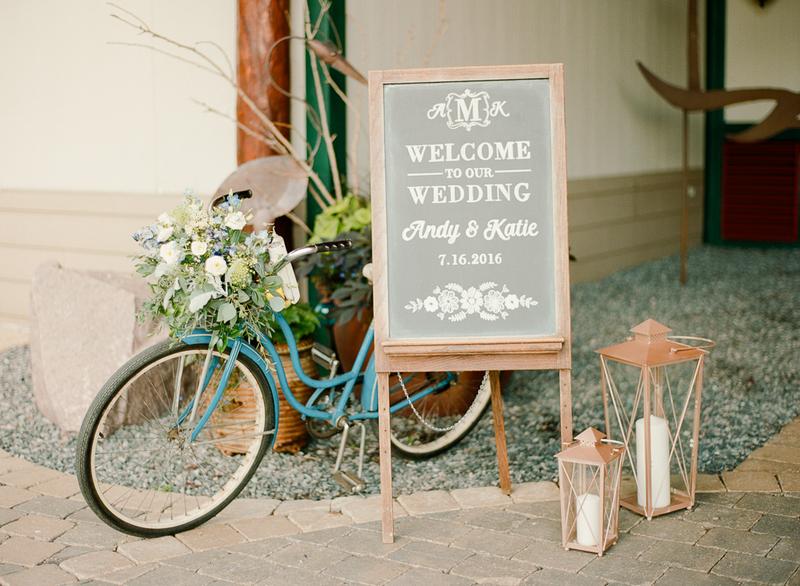 The lemonade stand, Fuji Instax camera, bridal shoes, and blue vintage bicycle were hands down my favorite use of that color scheme. 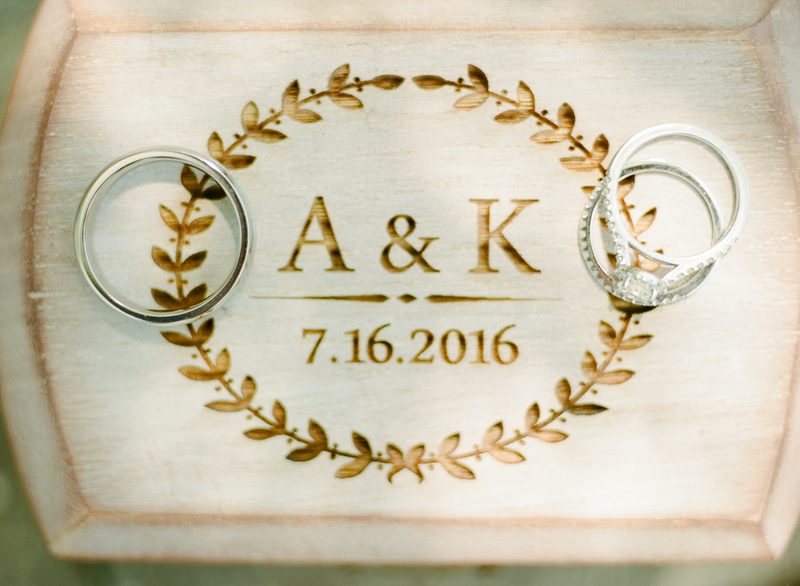 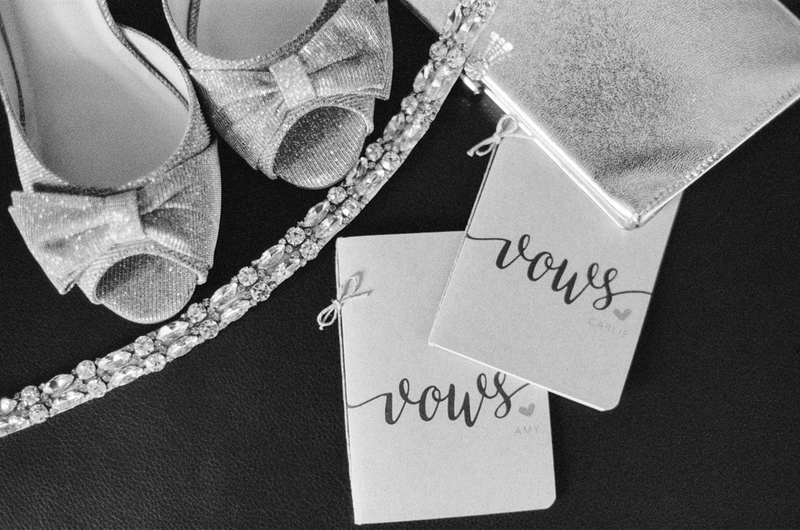 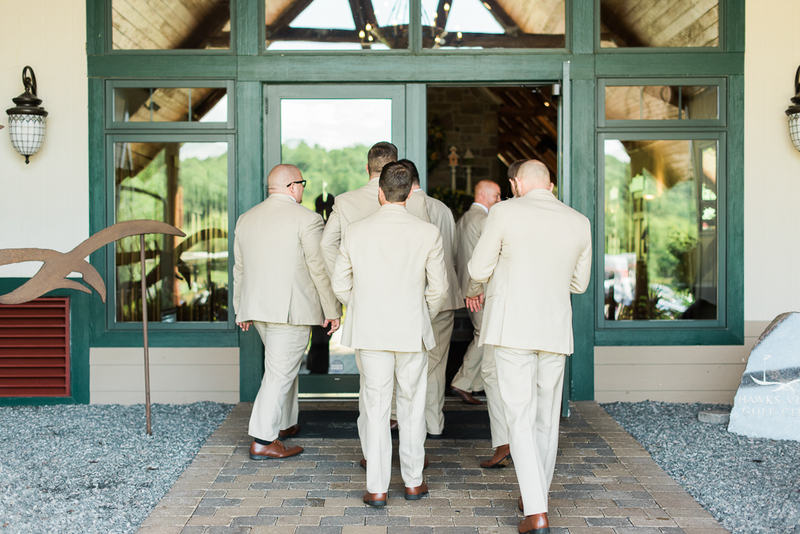 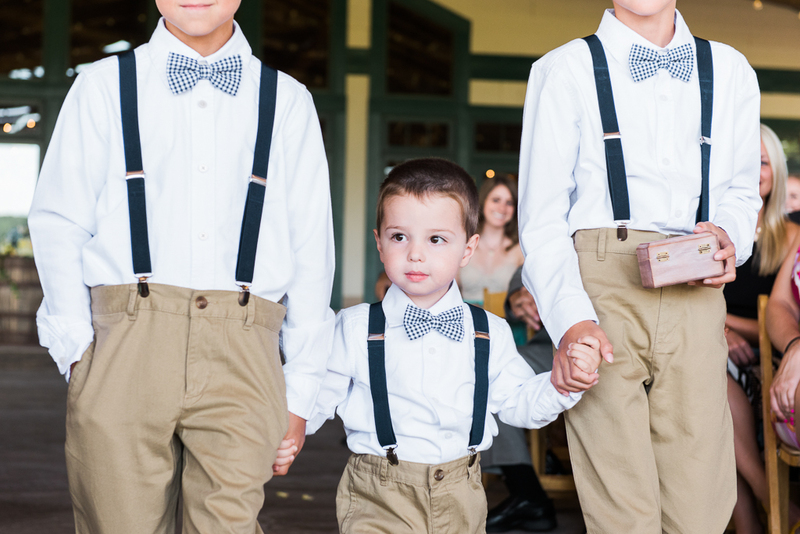 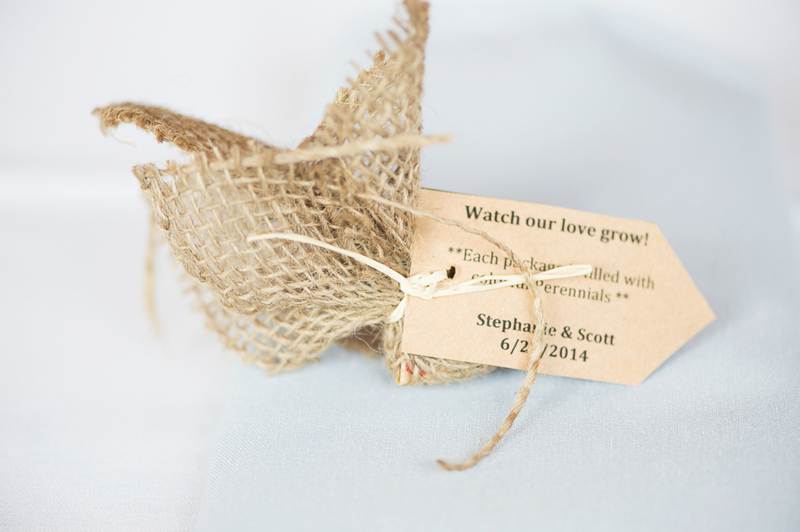 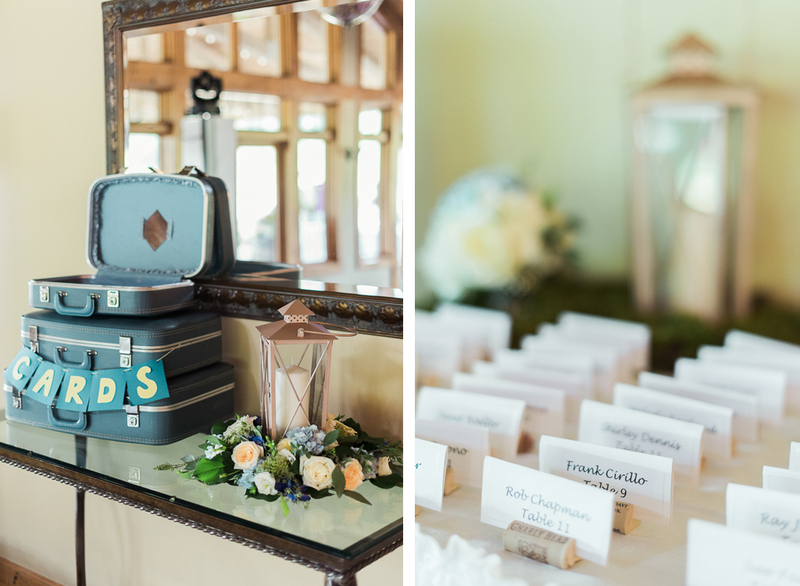 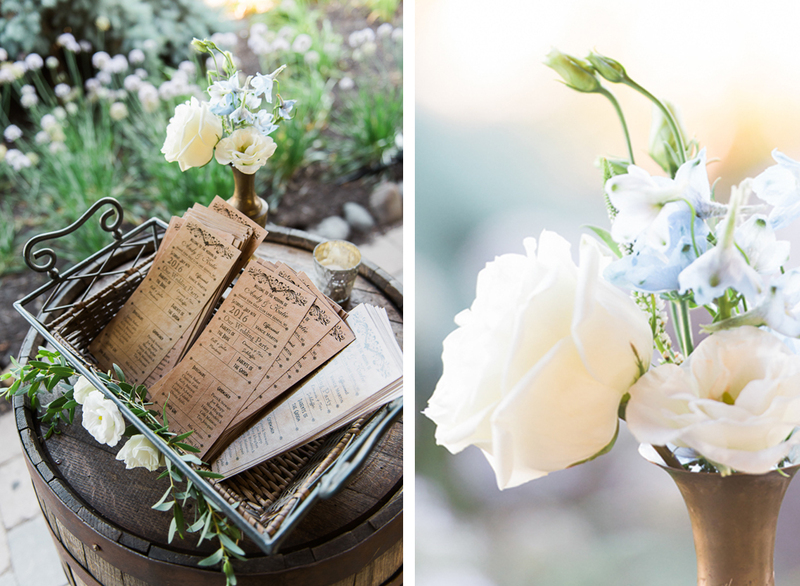 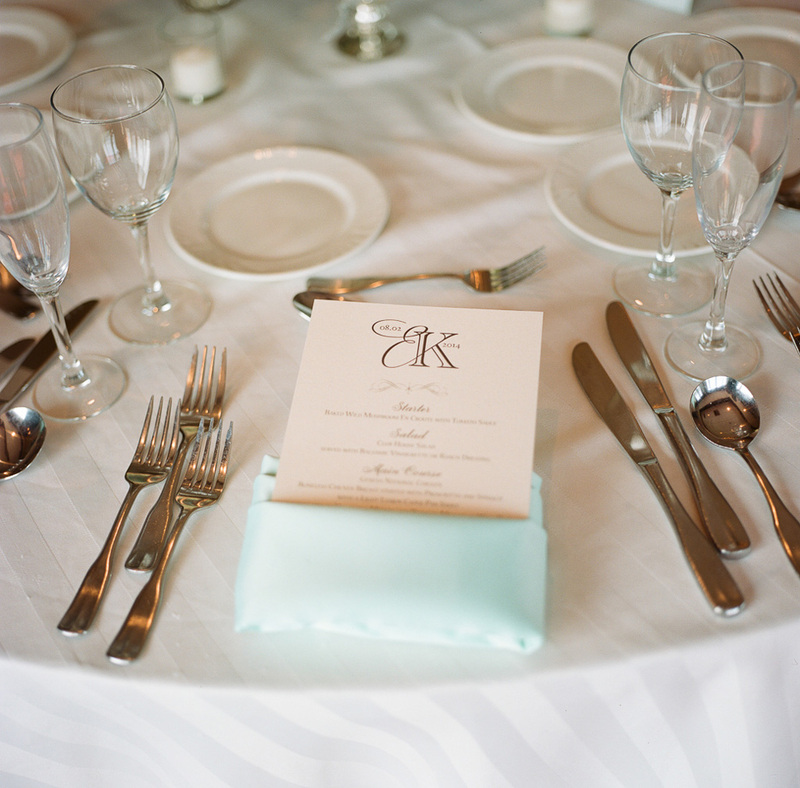 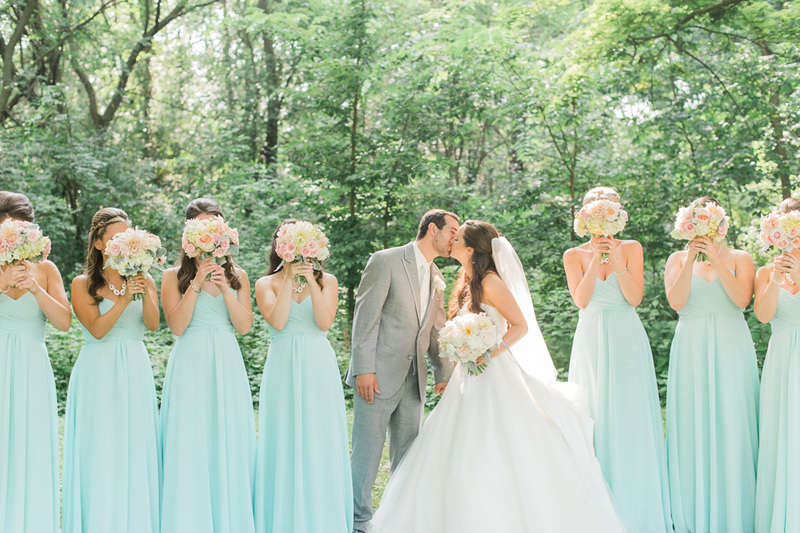 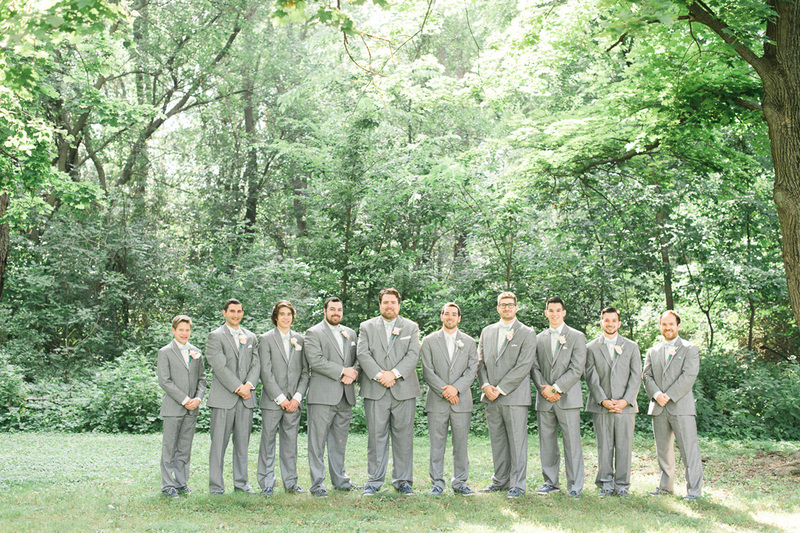 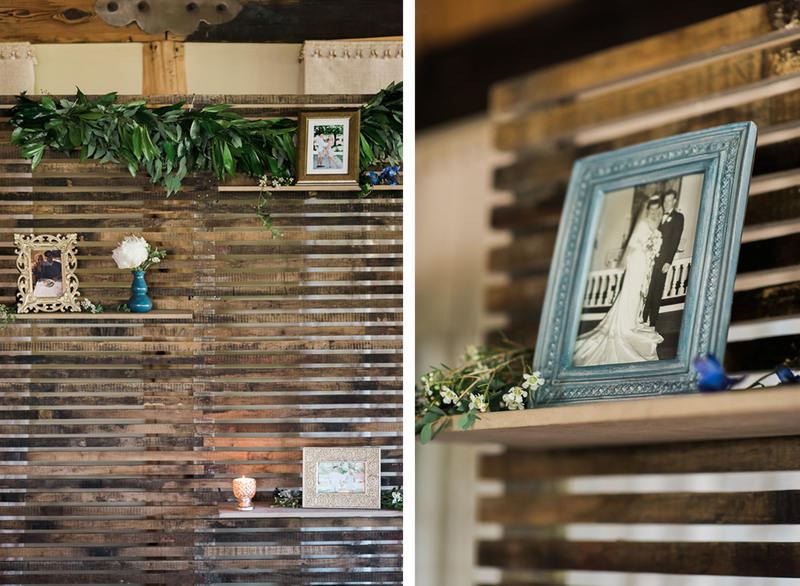 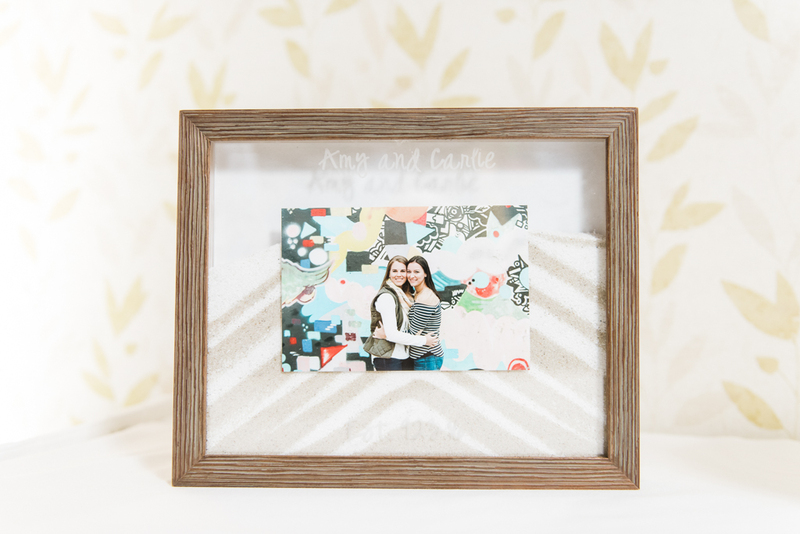 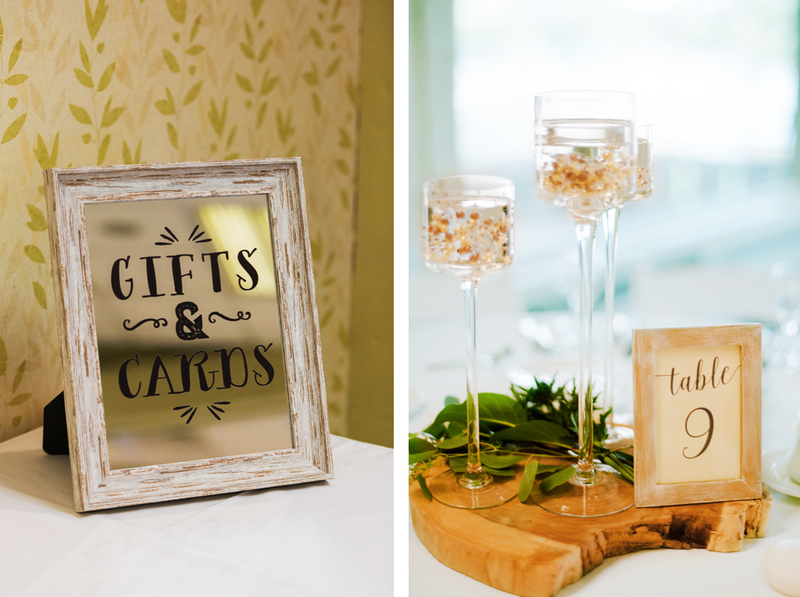 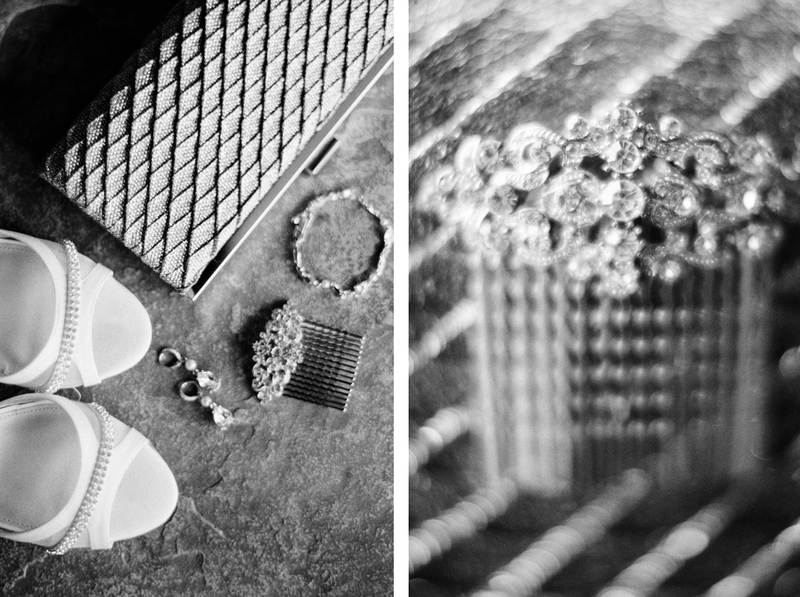 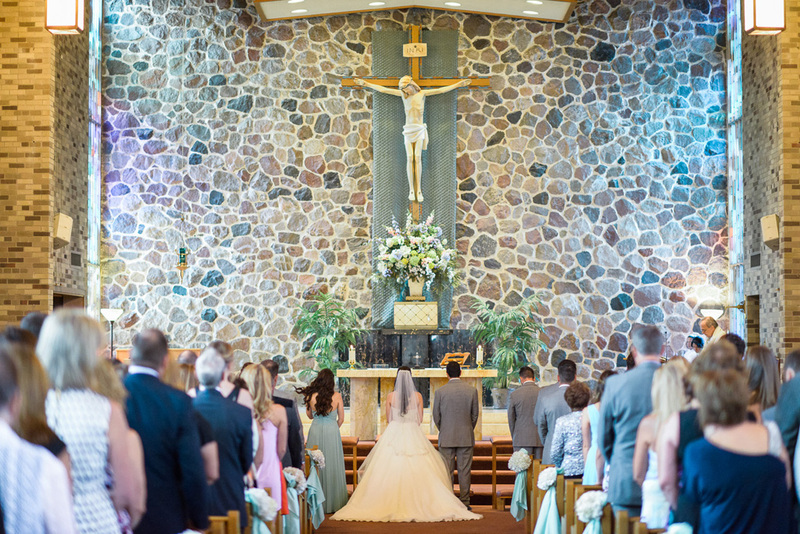 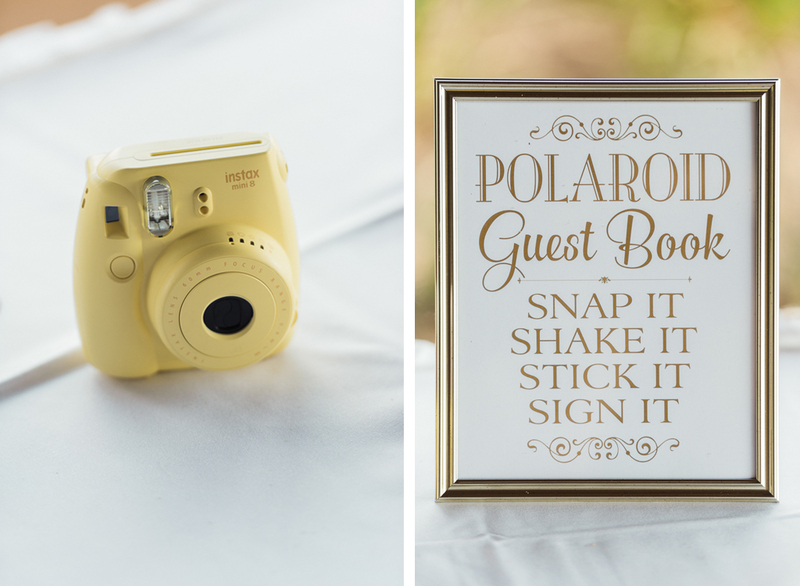 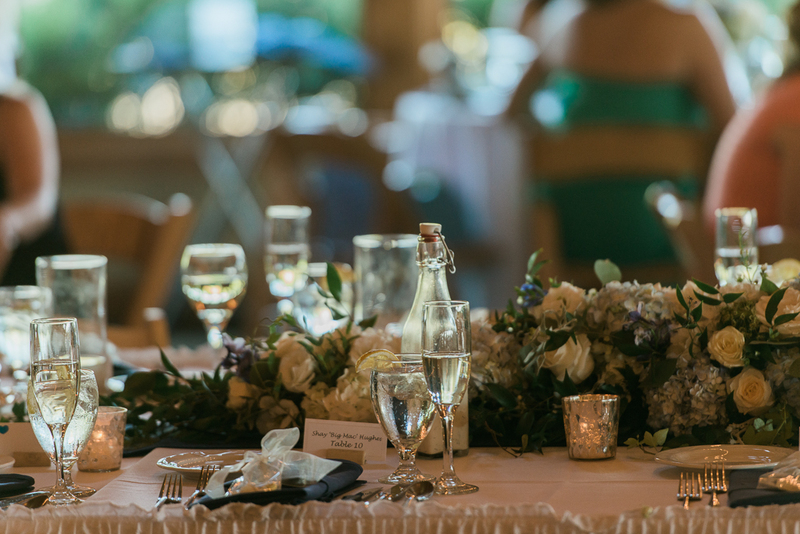 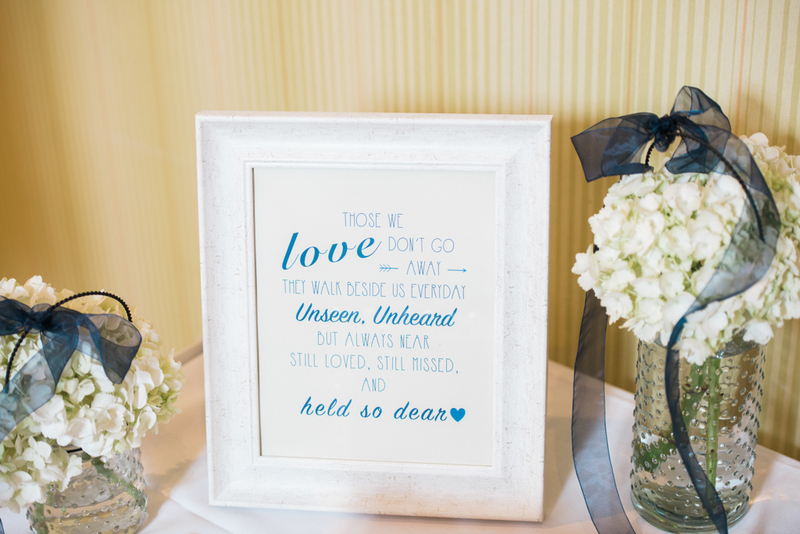 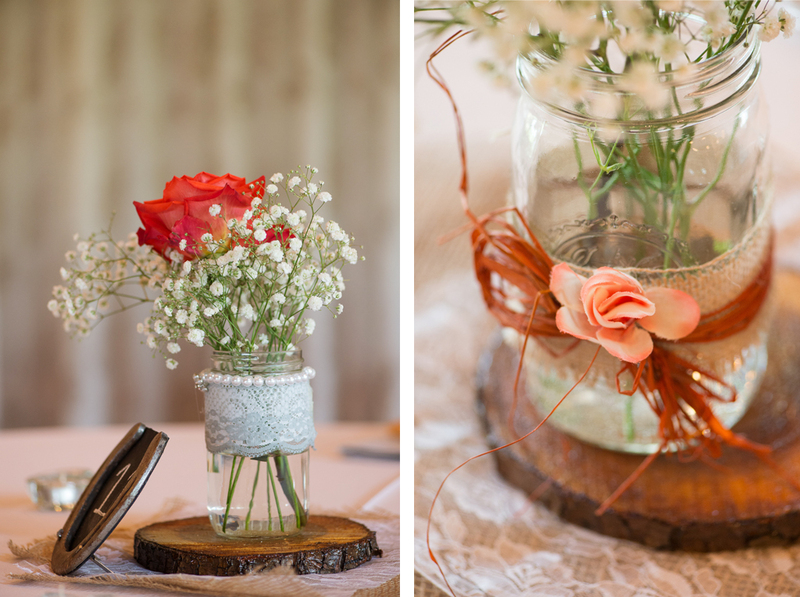 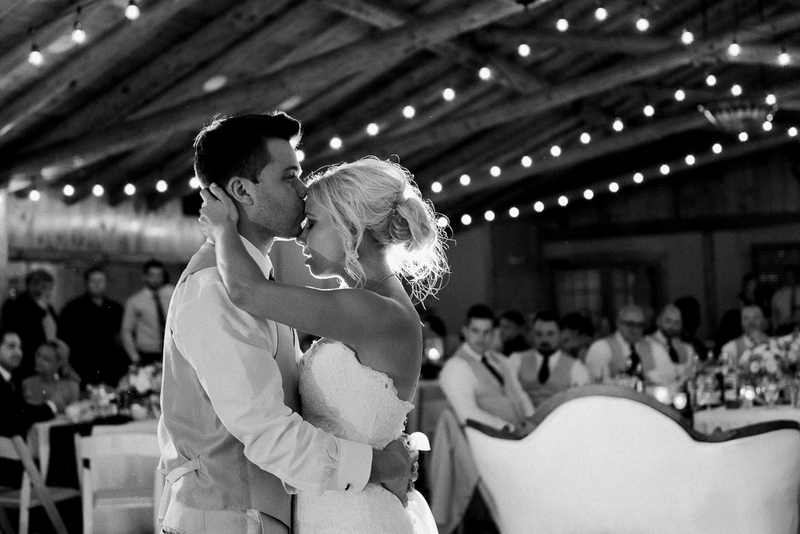 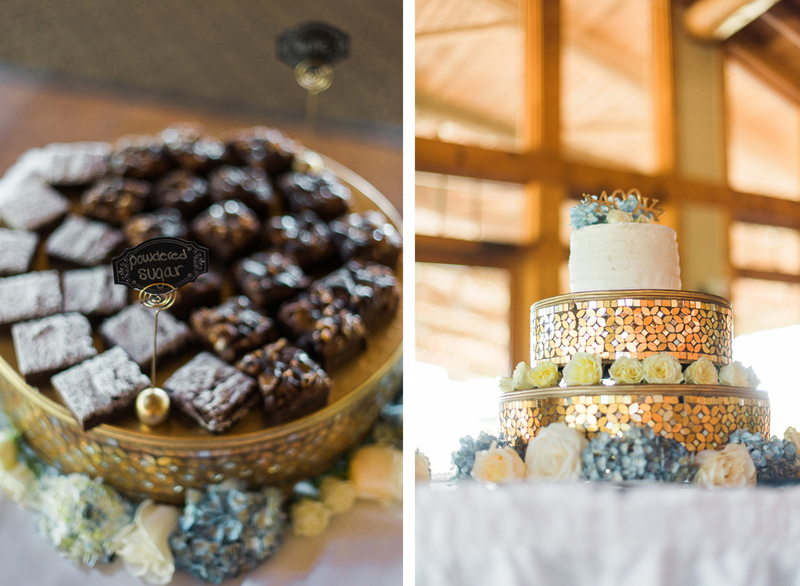 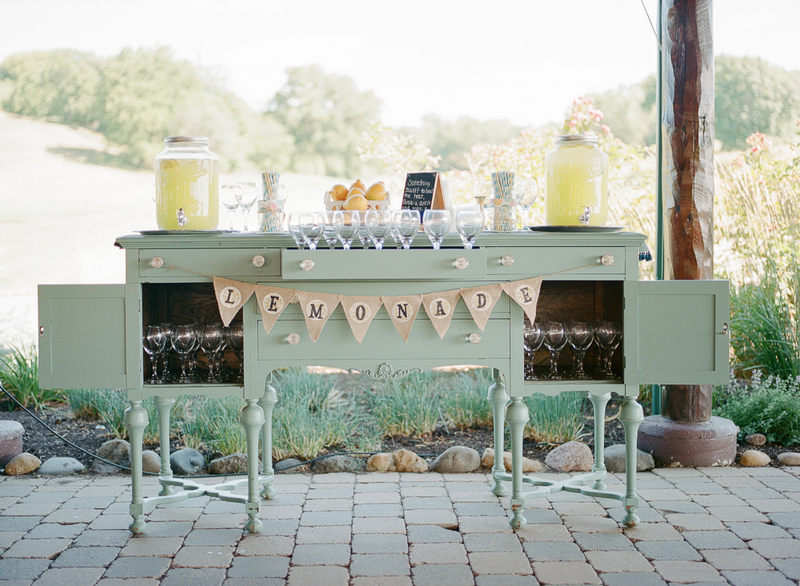 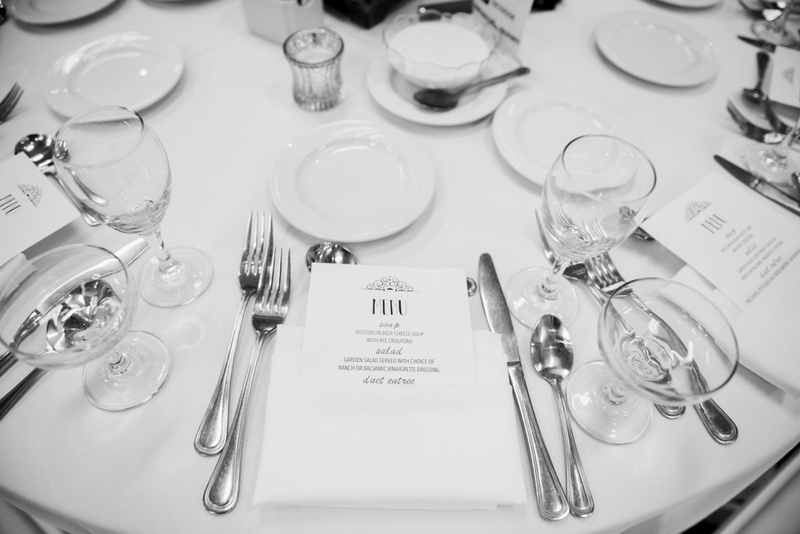 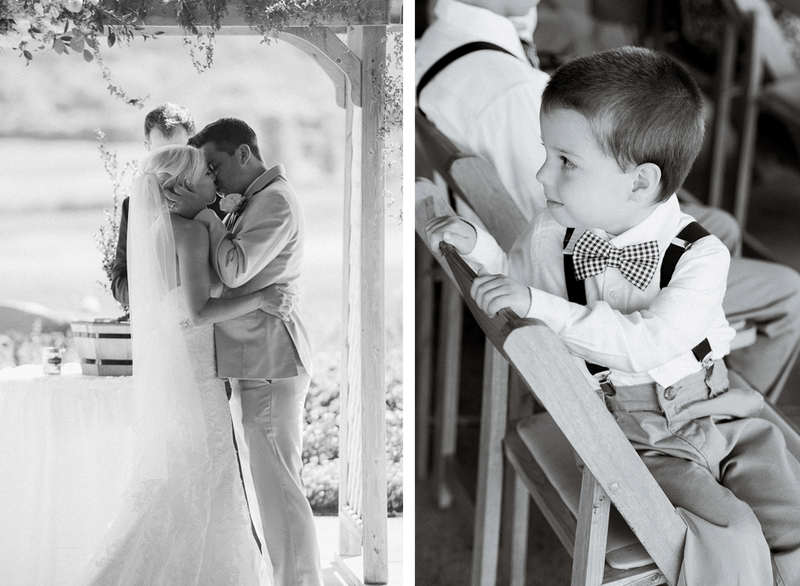 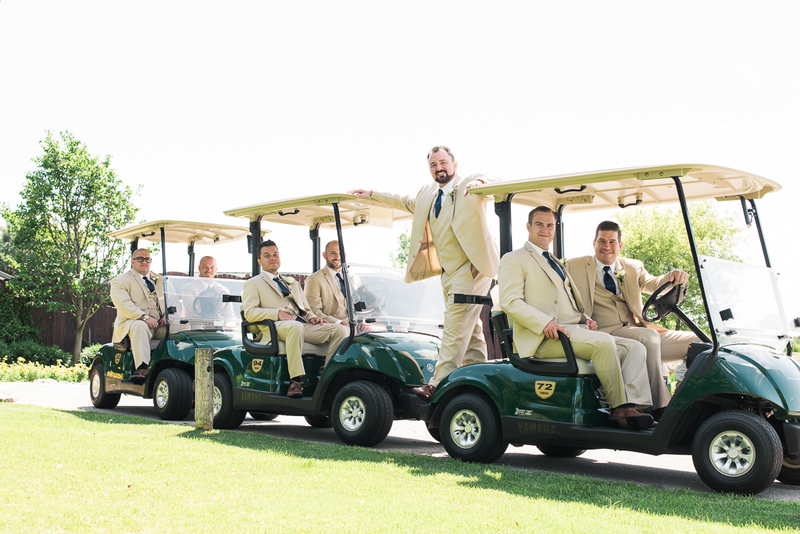 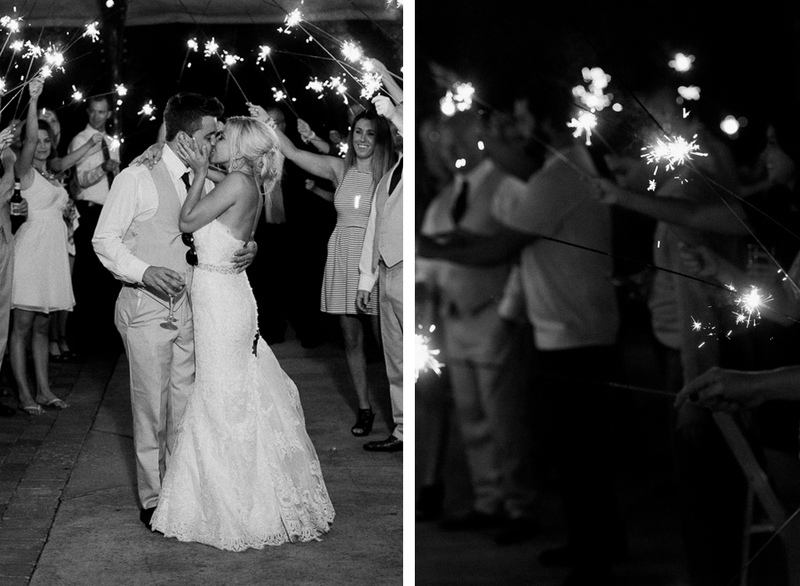 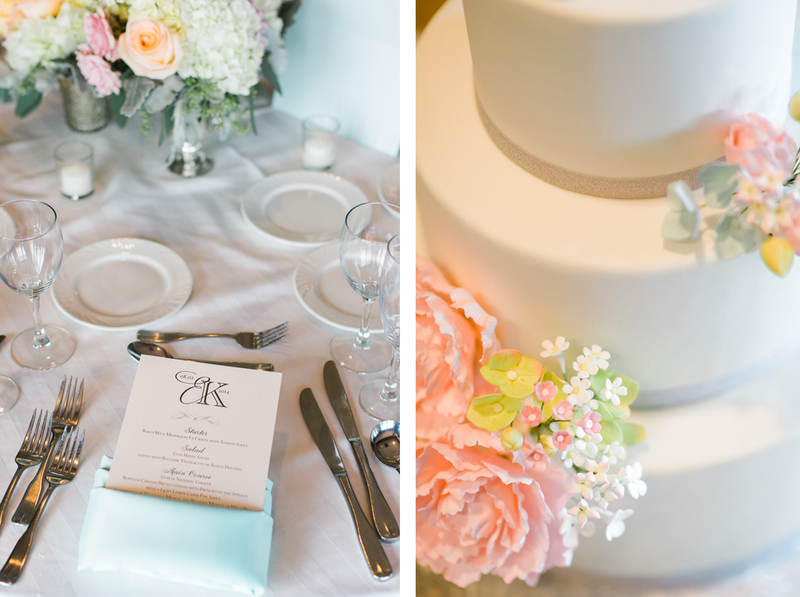 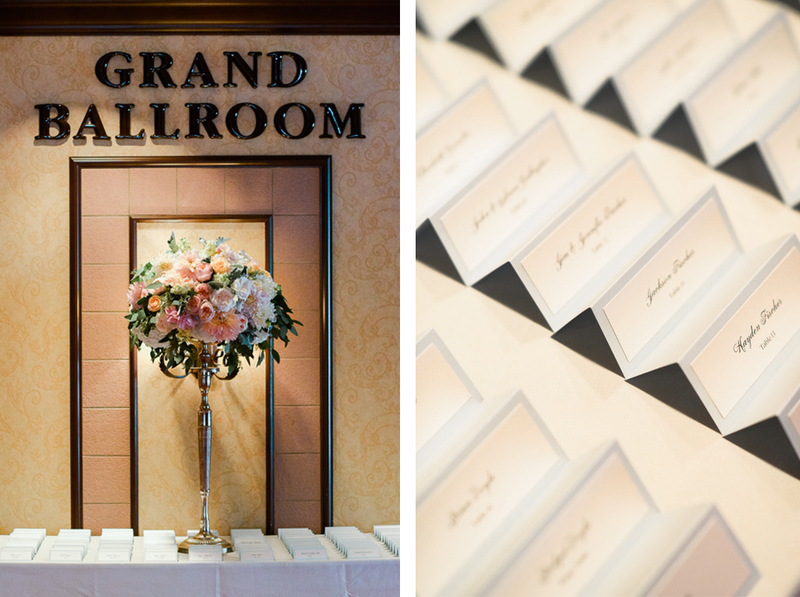 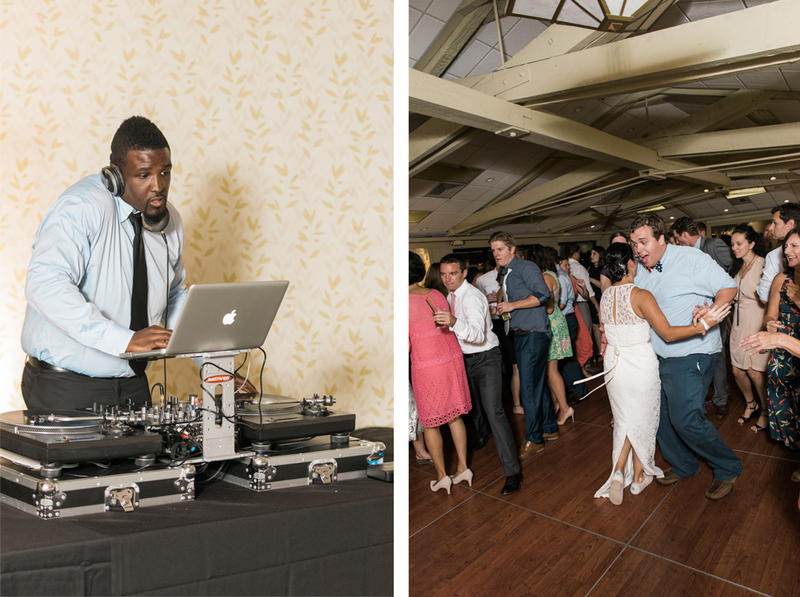 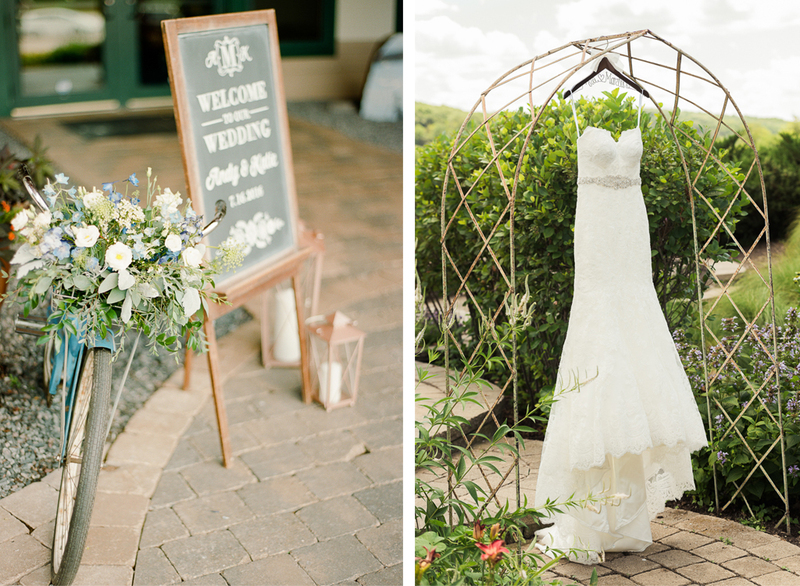 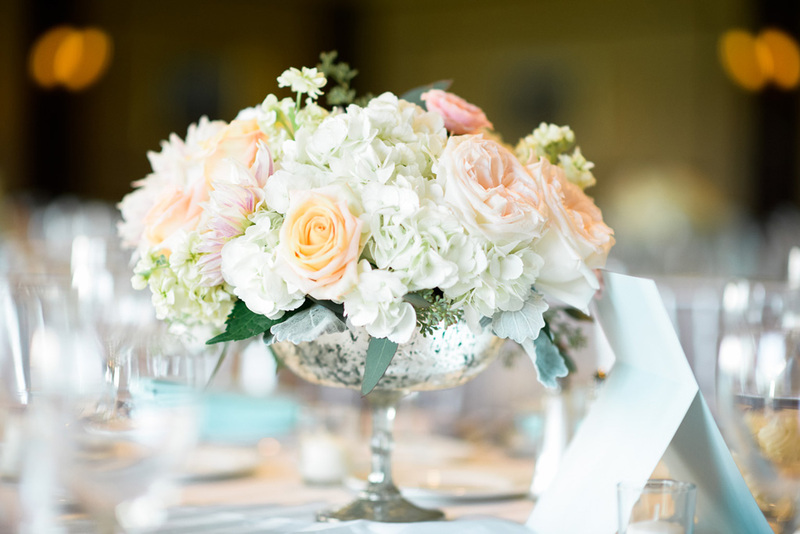 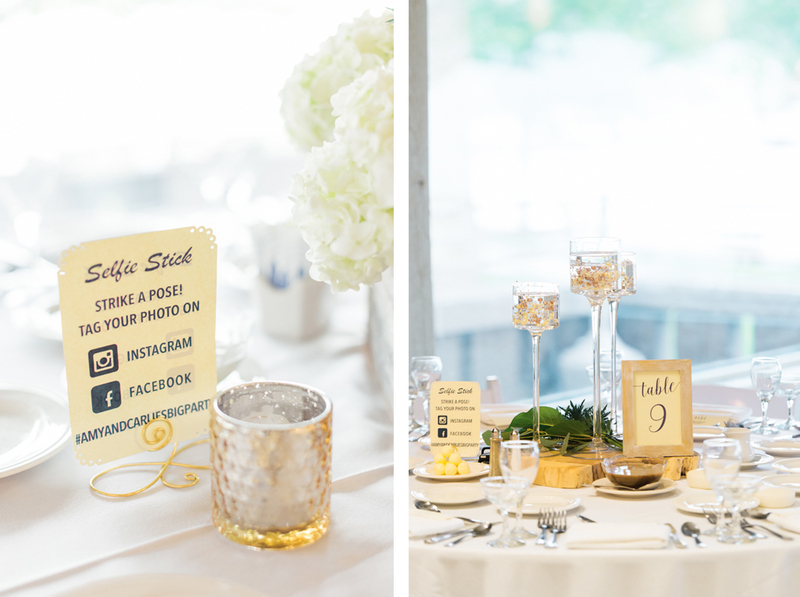 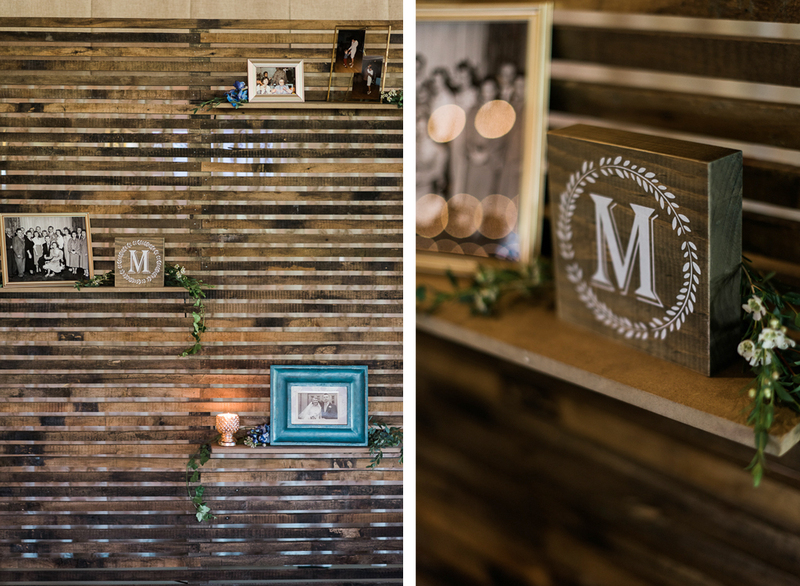 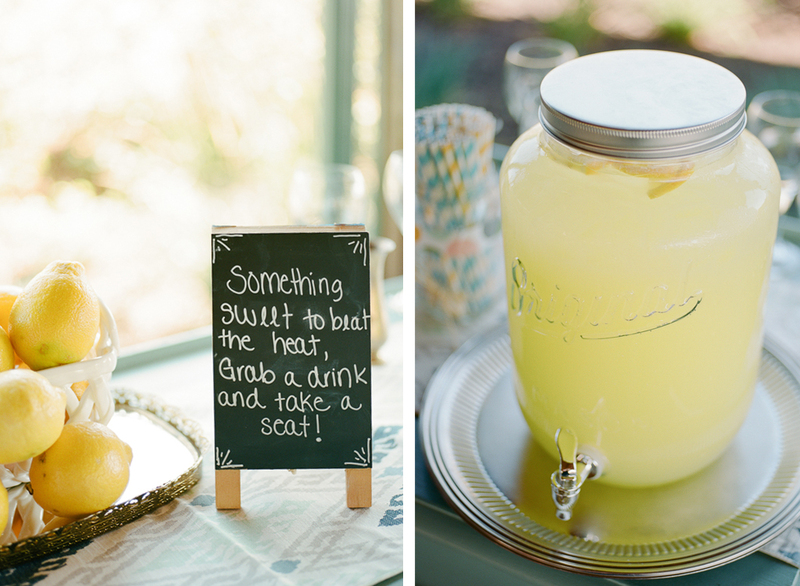 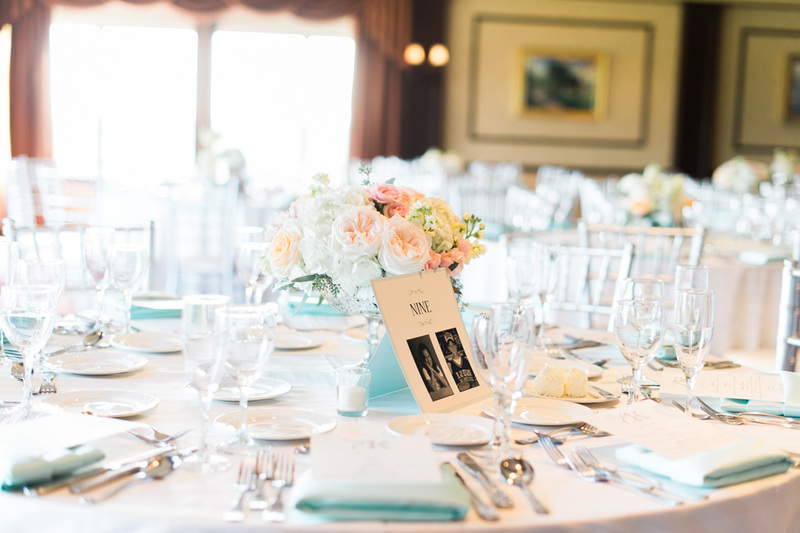 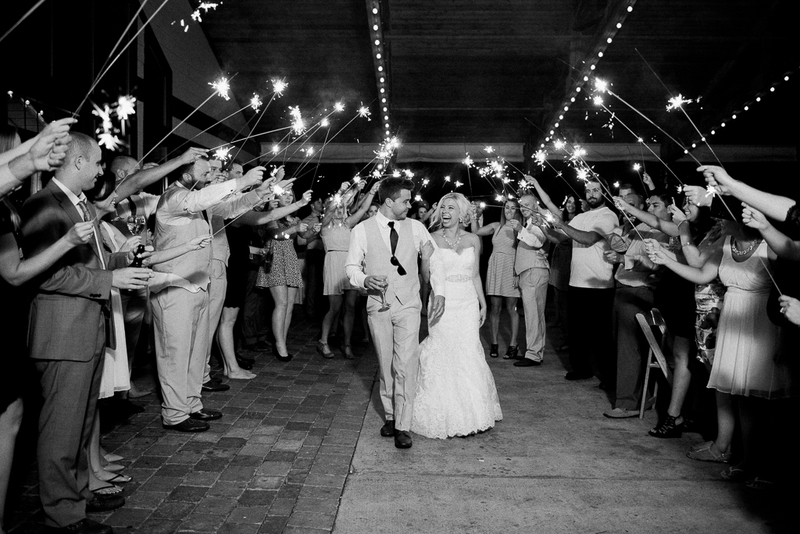 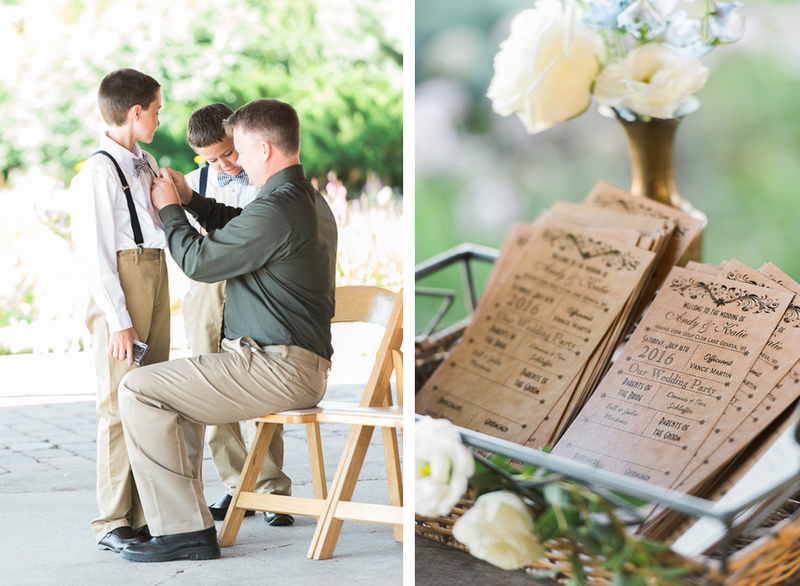 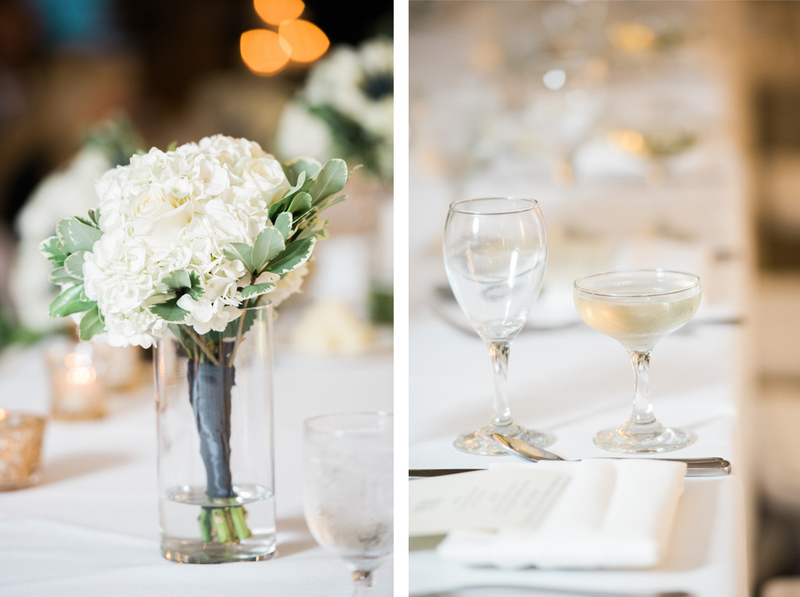 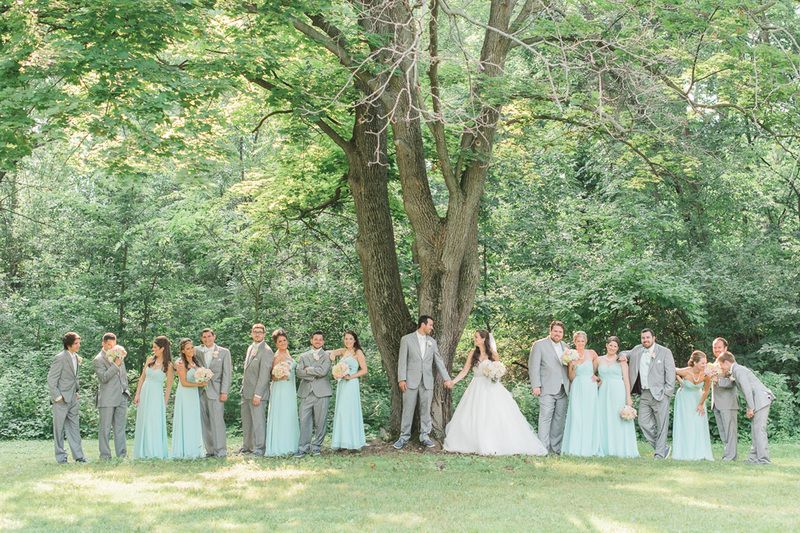 Check out this inspired wedding for your self! 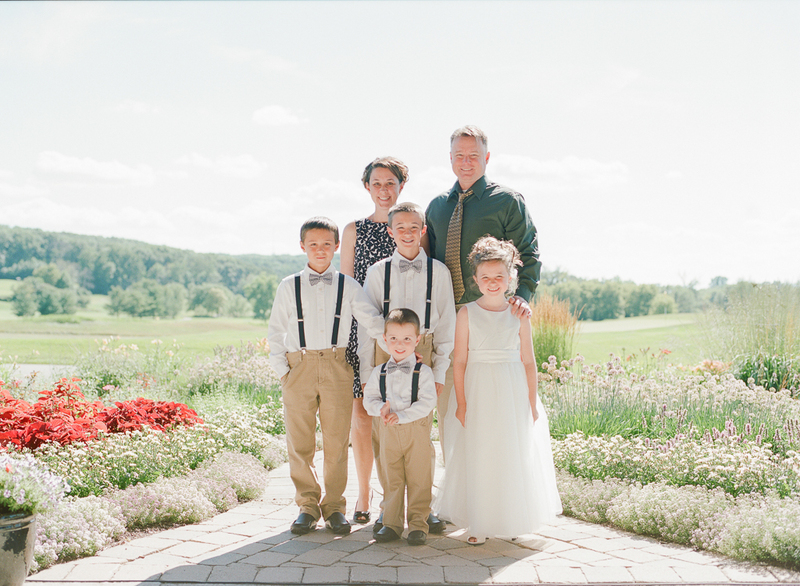 Keith and Emily are two of the sweetest people you would ever hope to meet, and it’s not just them – their entire family is also incredibly kind and fun to be around. 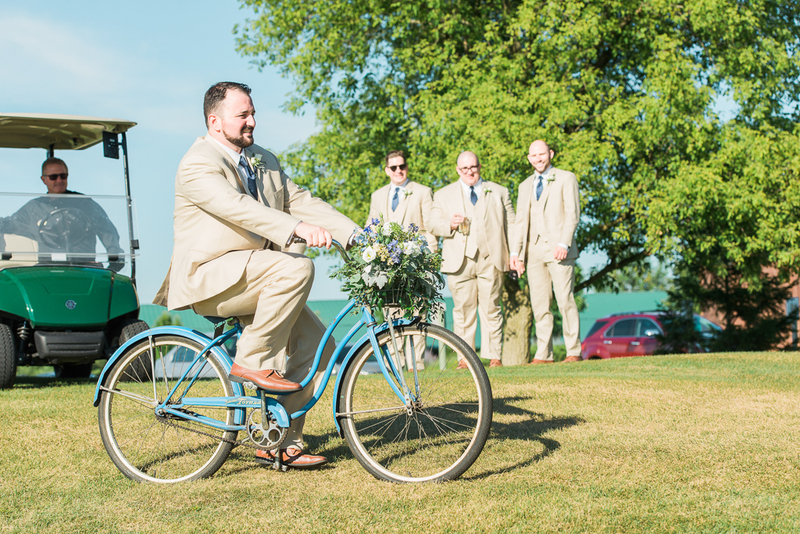 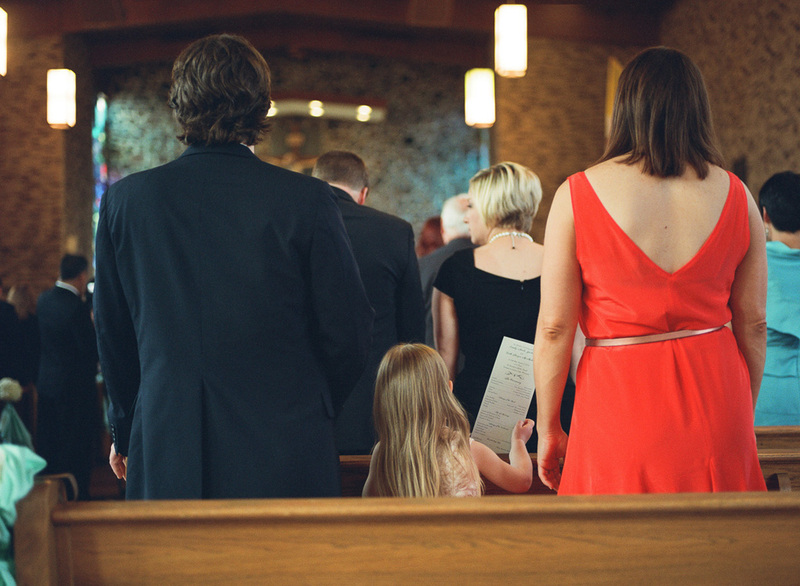 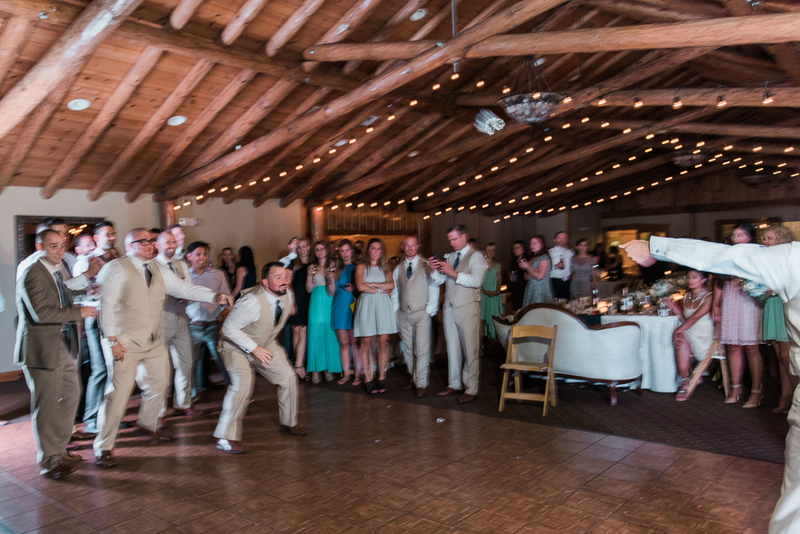 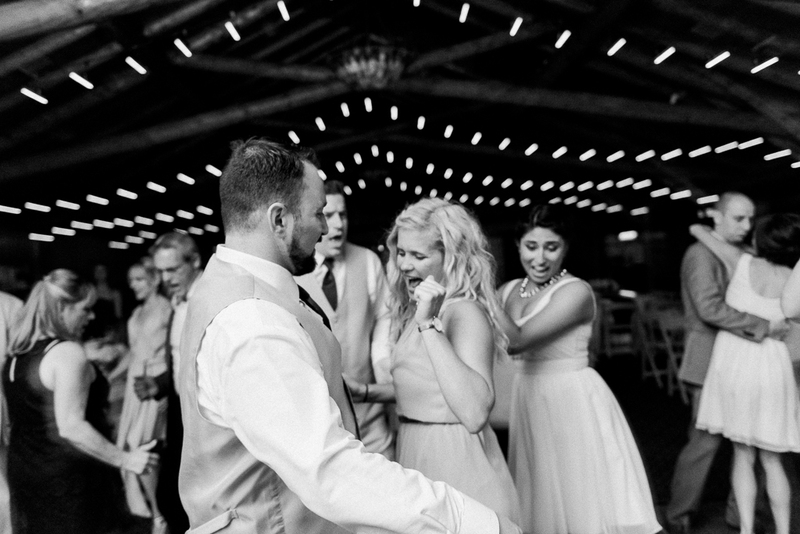 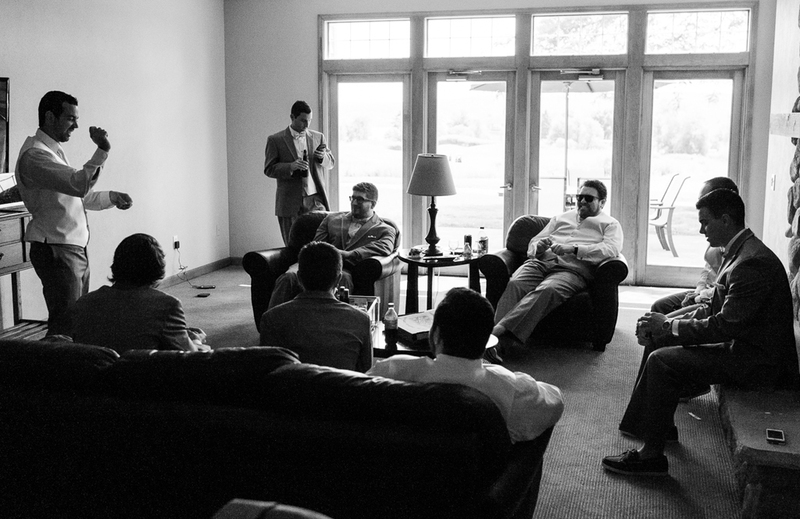 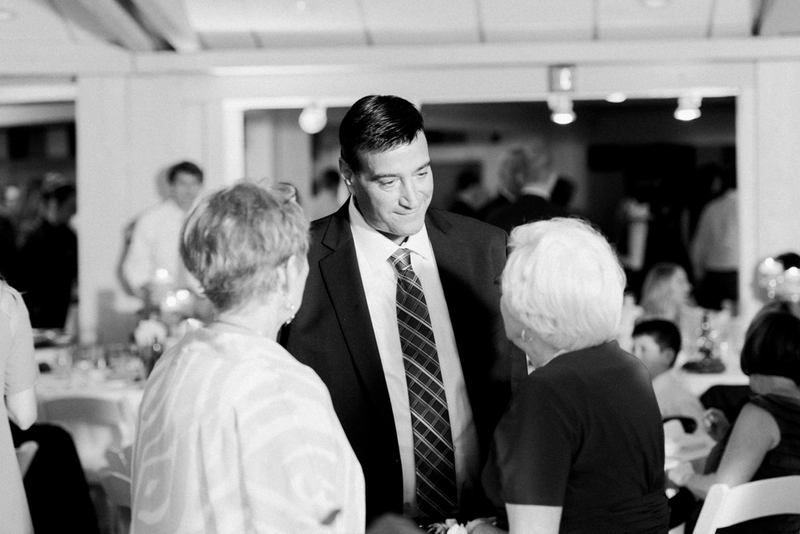 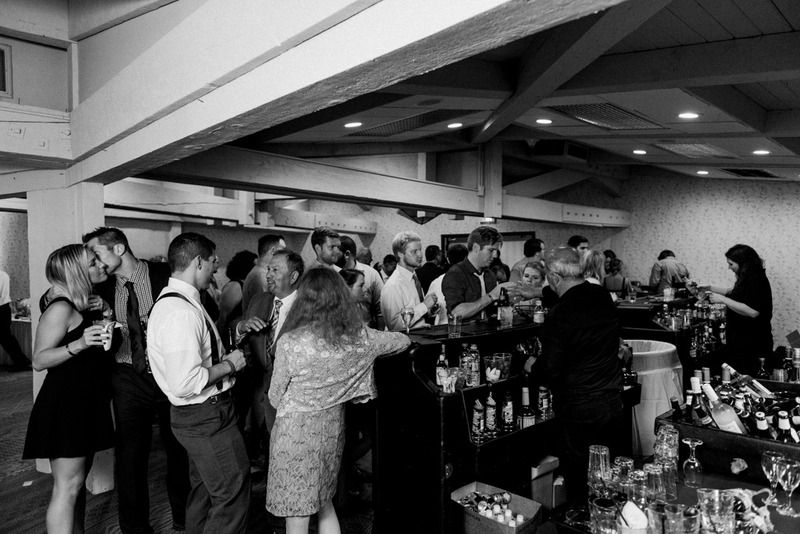 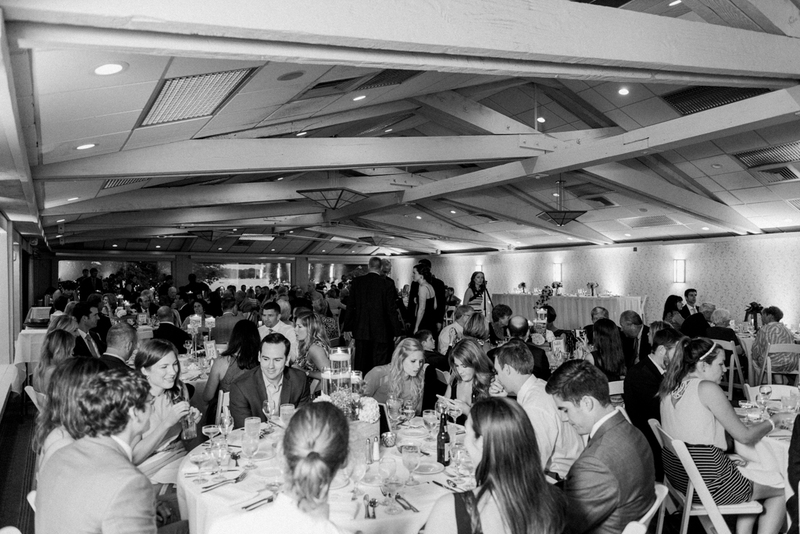 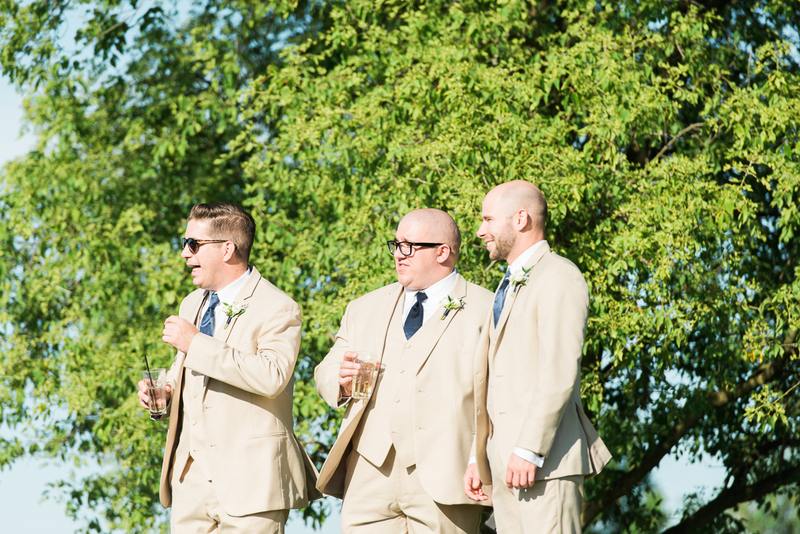 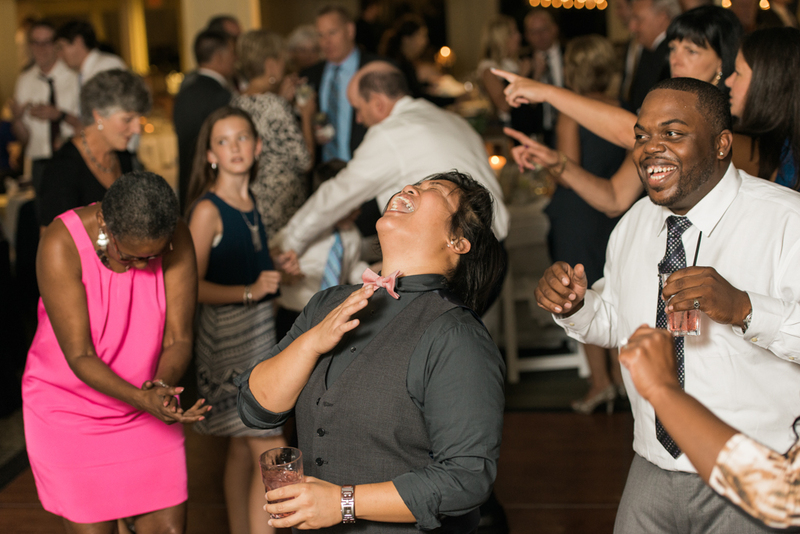 This wedding was one of the highlights from my wedding season. 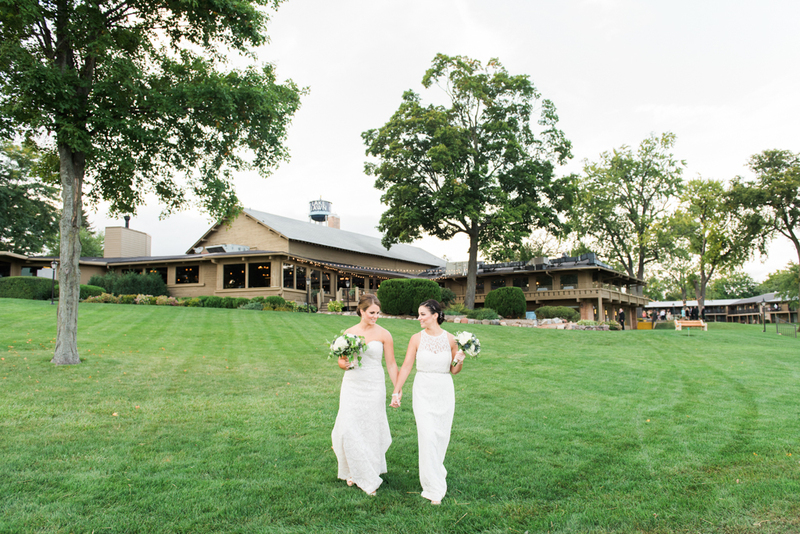 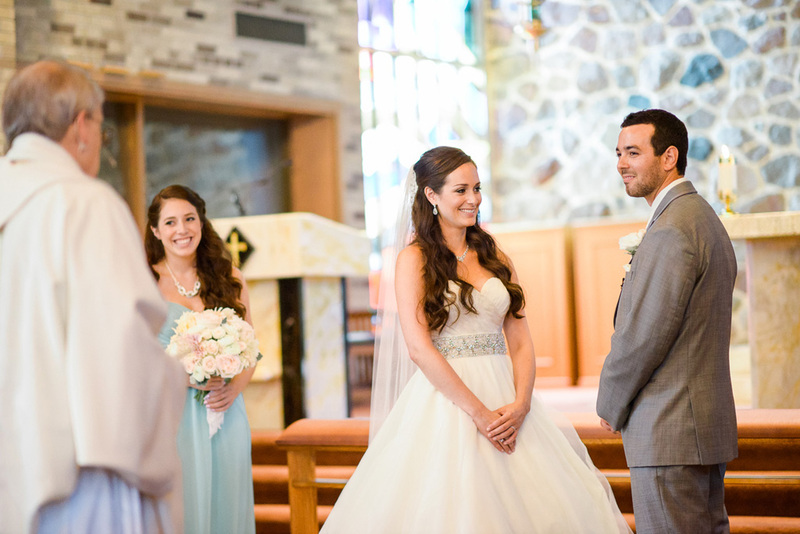 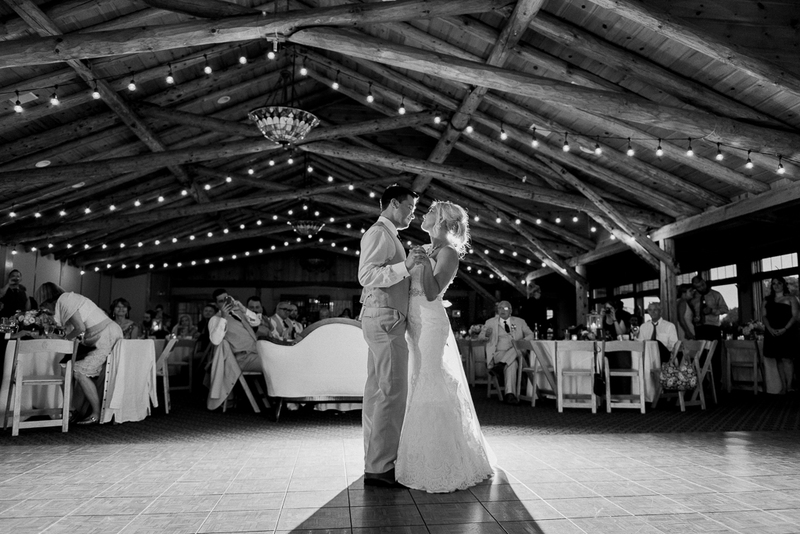 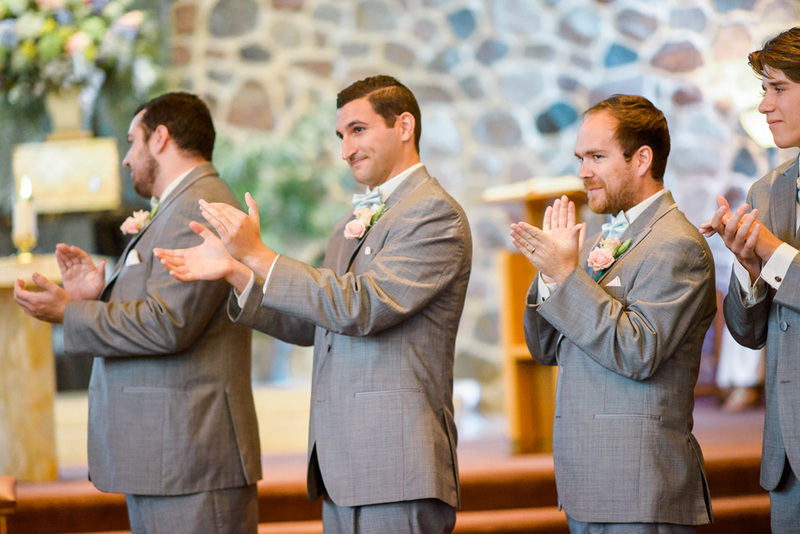 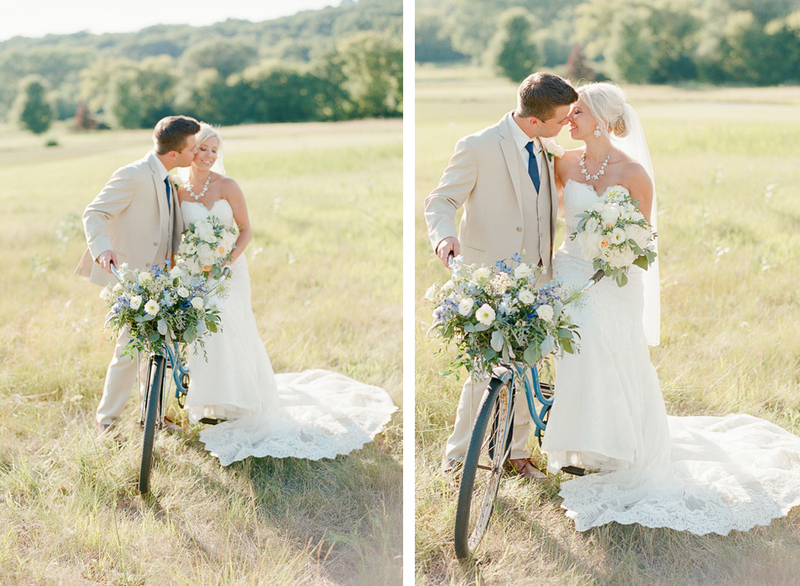 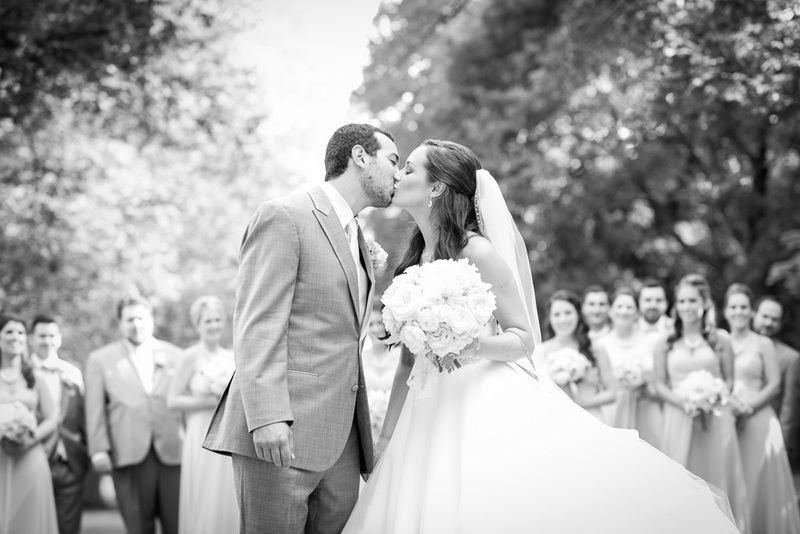 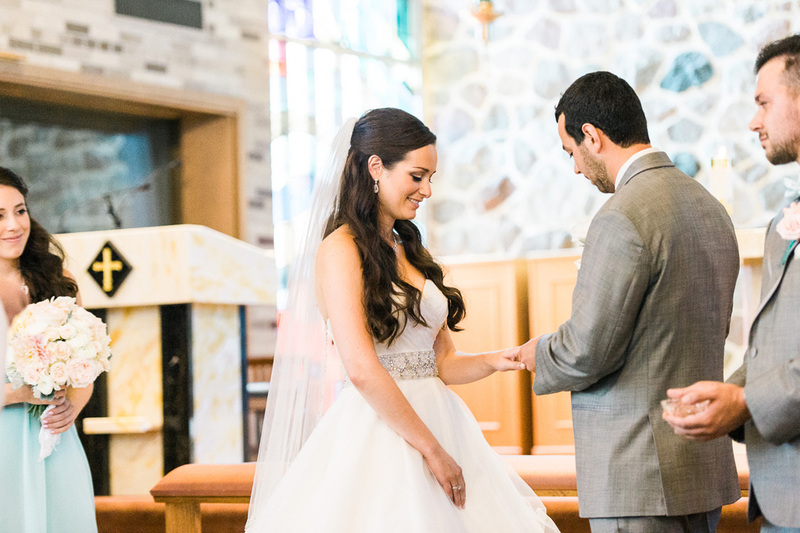 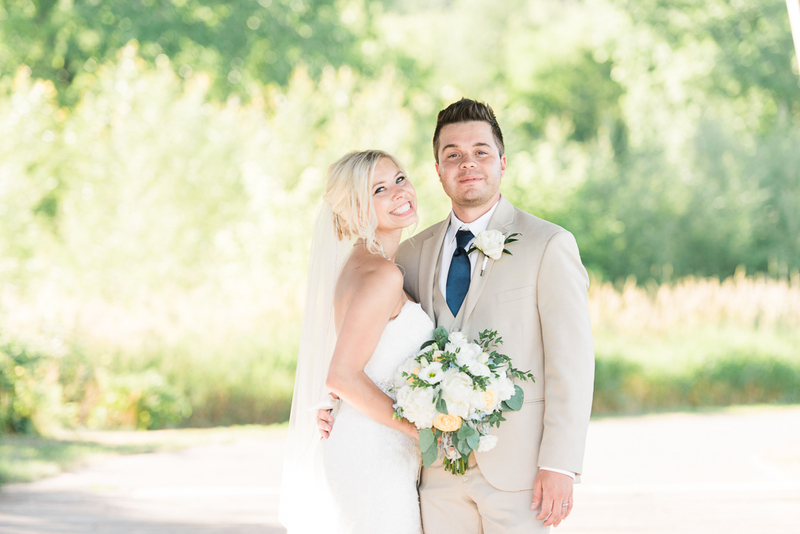 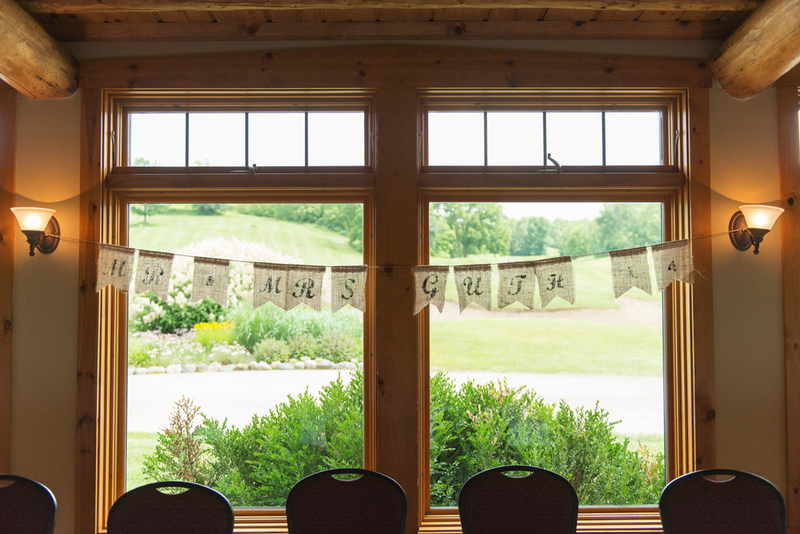 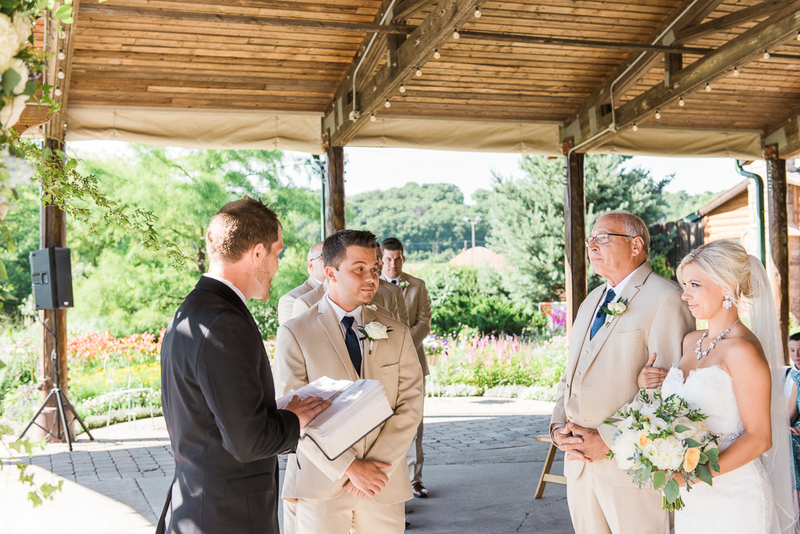 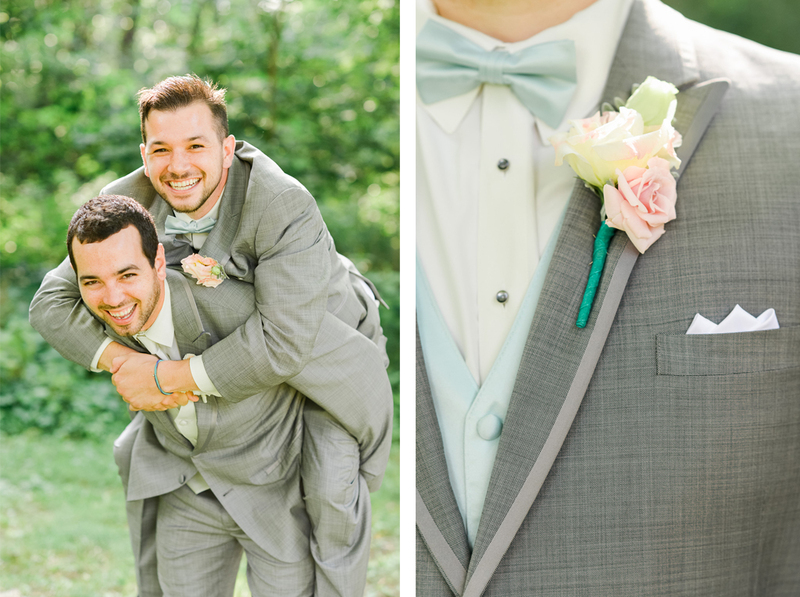 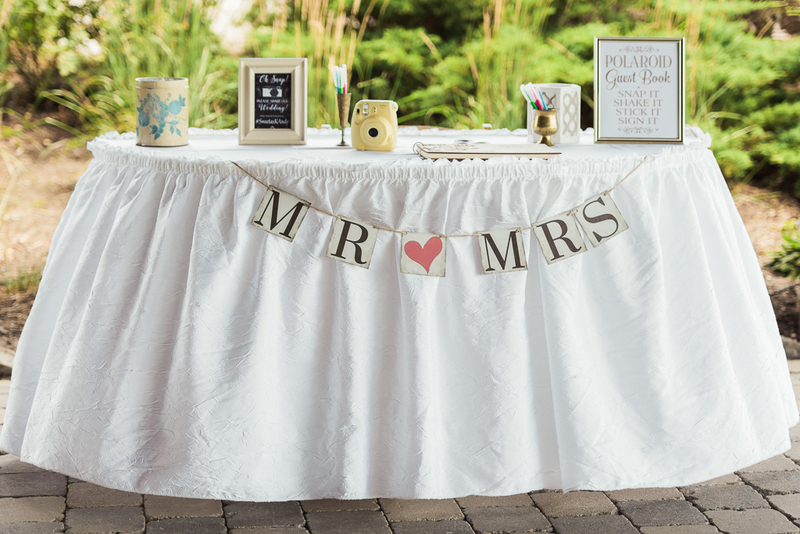 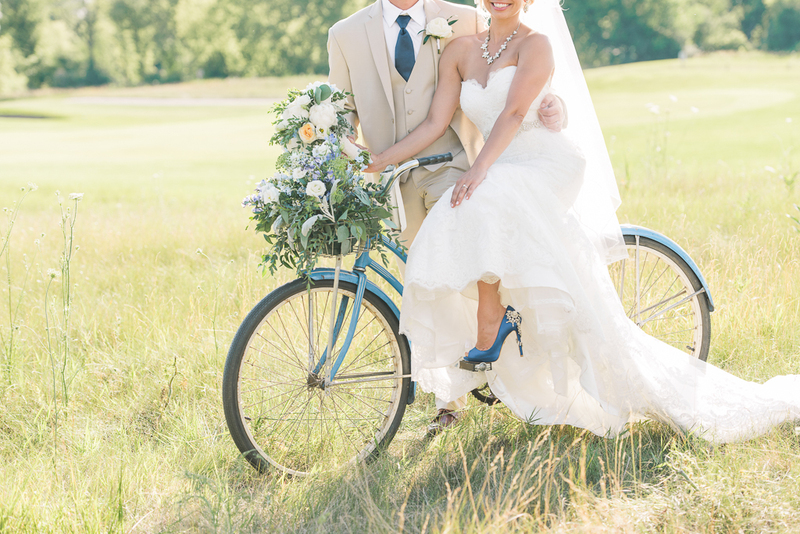 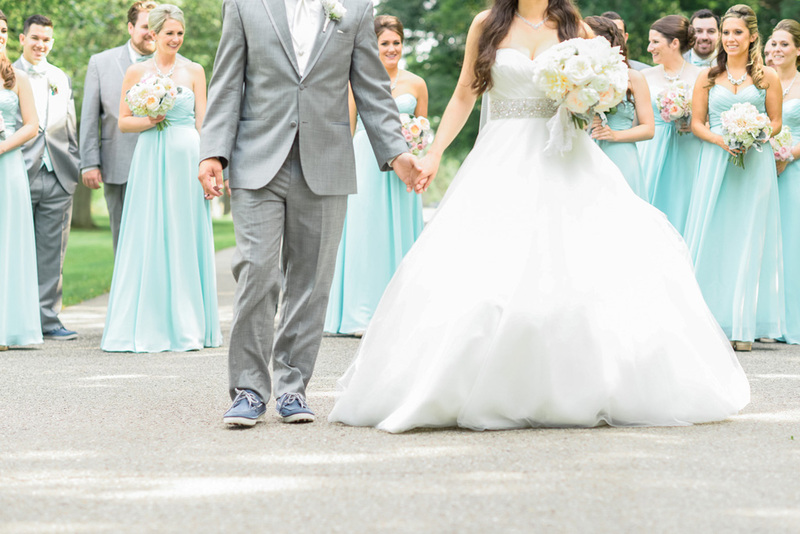 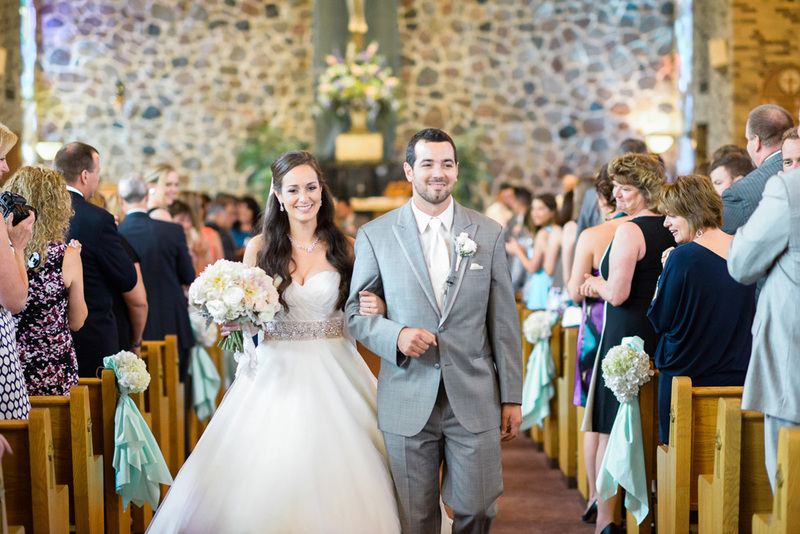 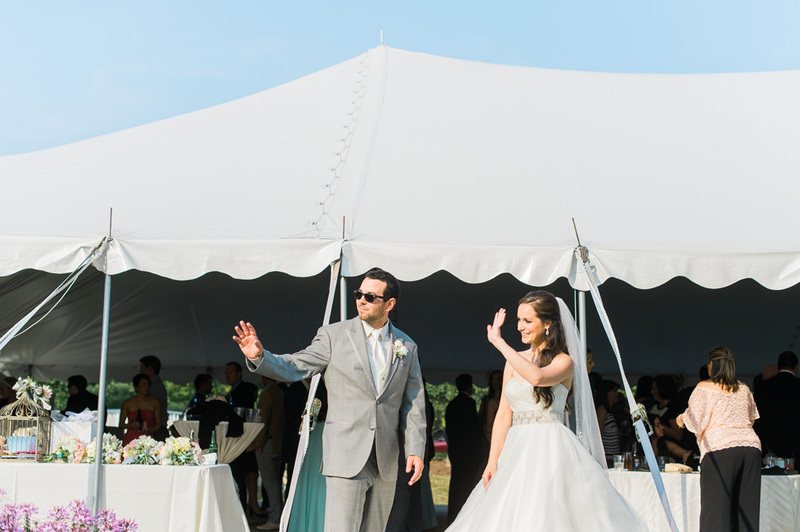 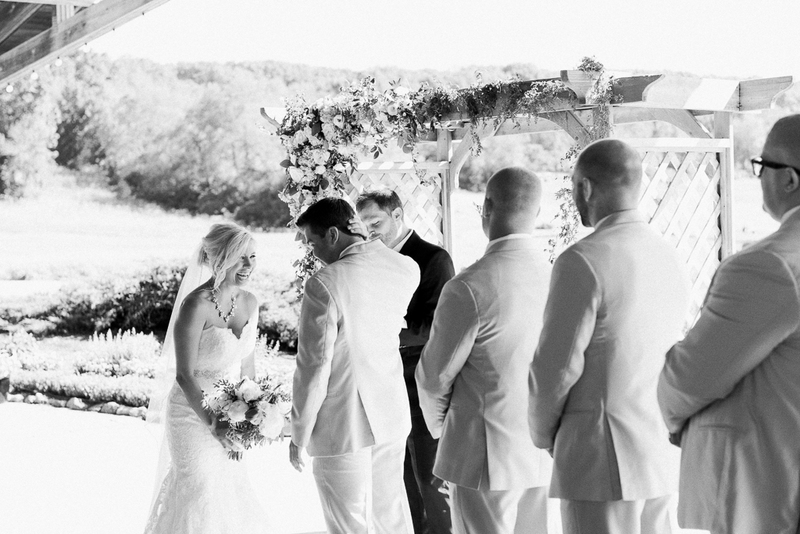 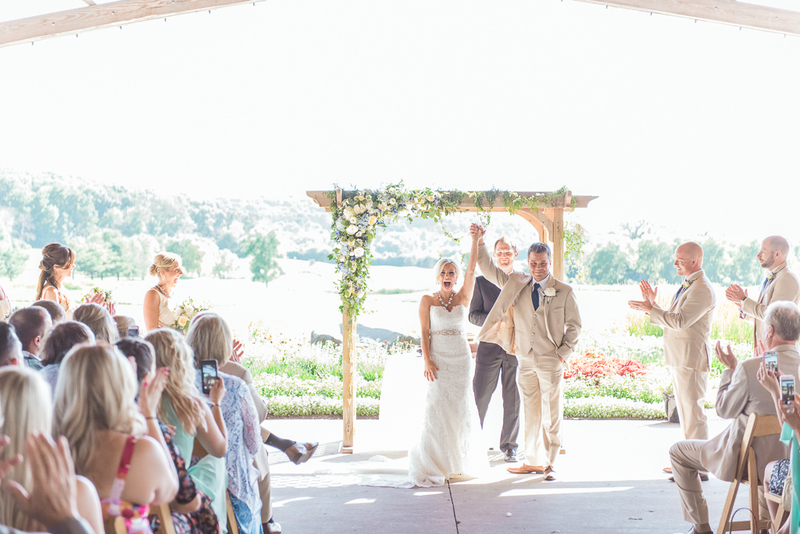 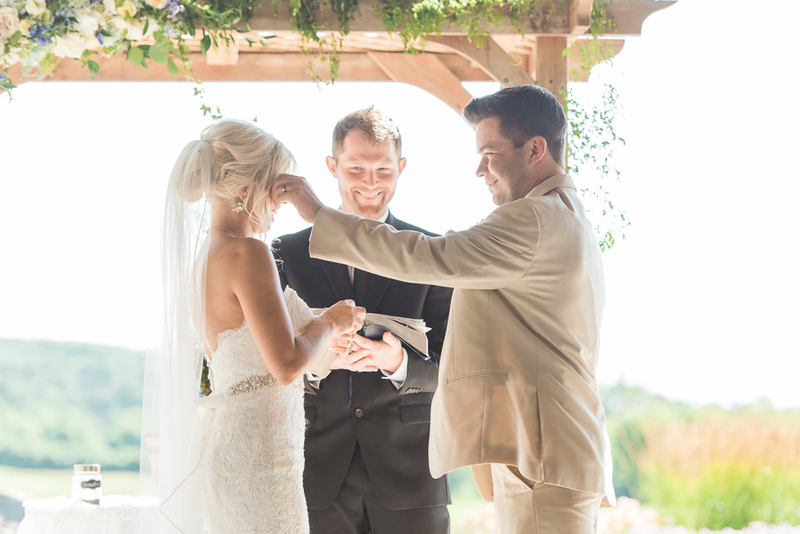 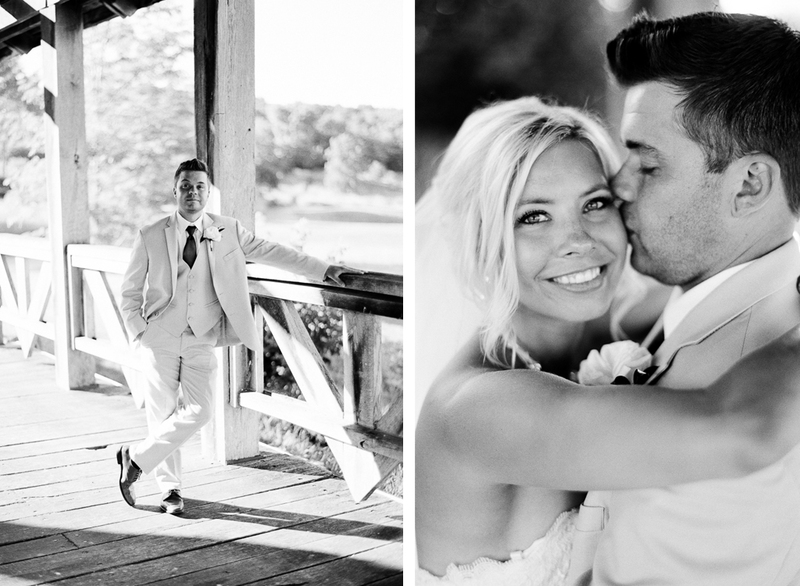 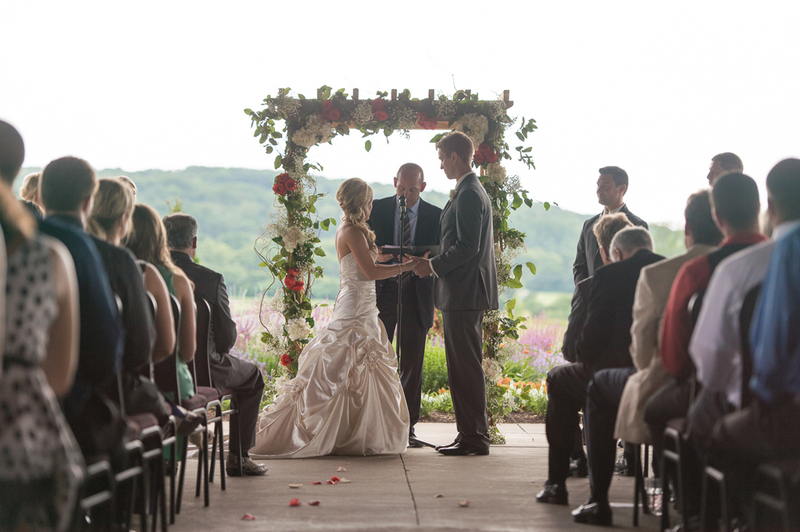 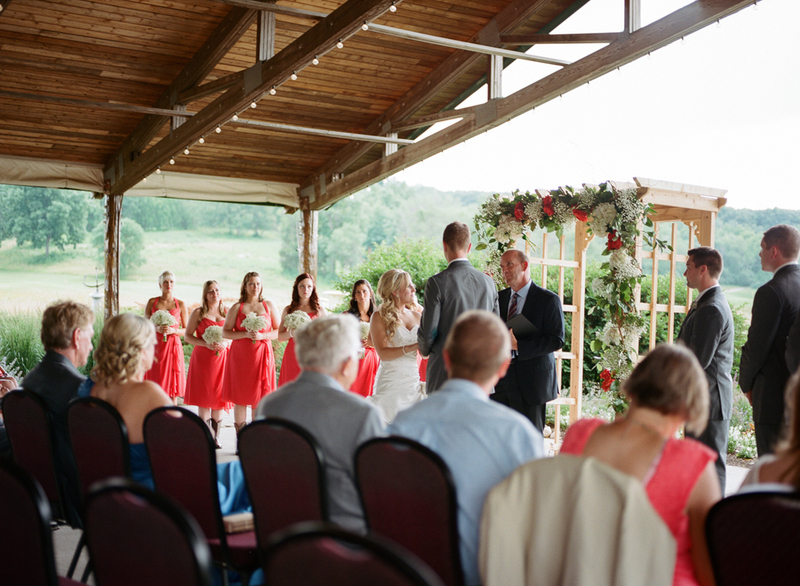 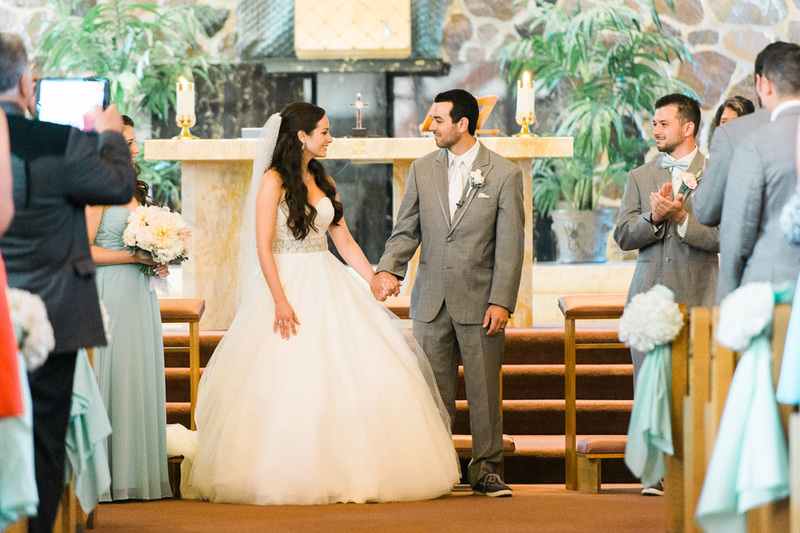 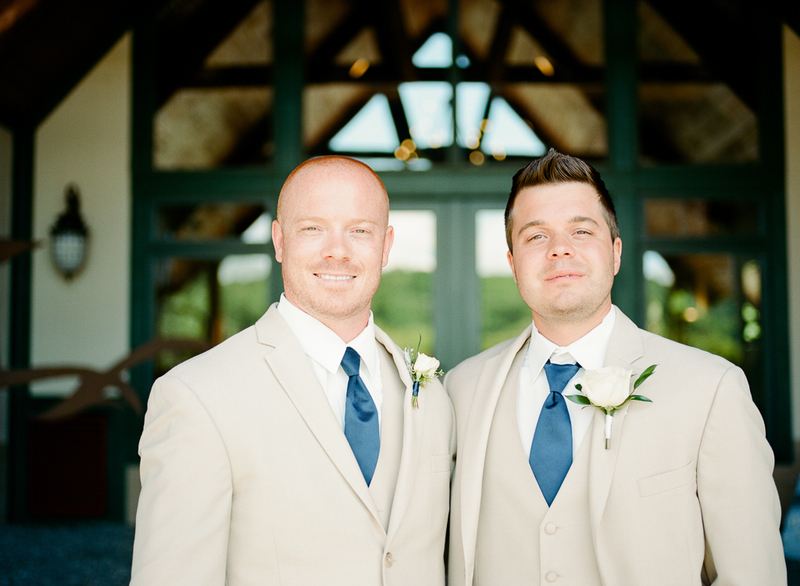 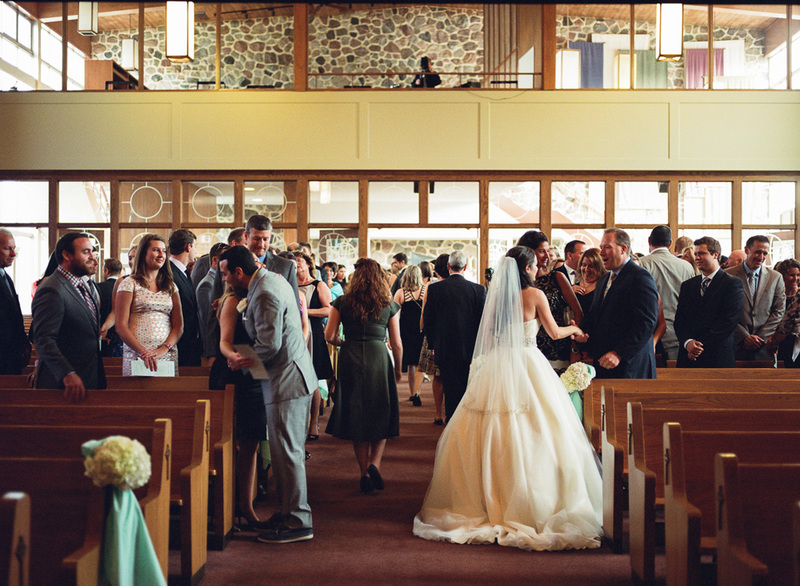 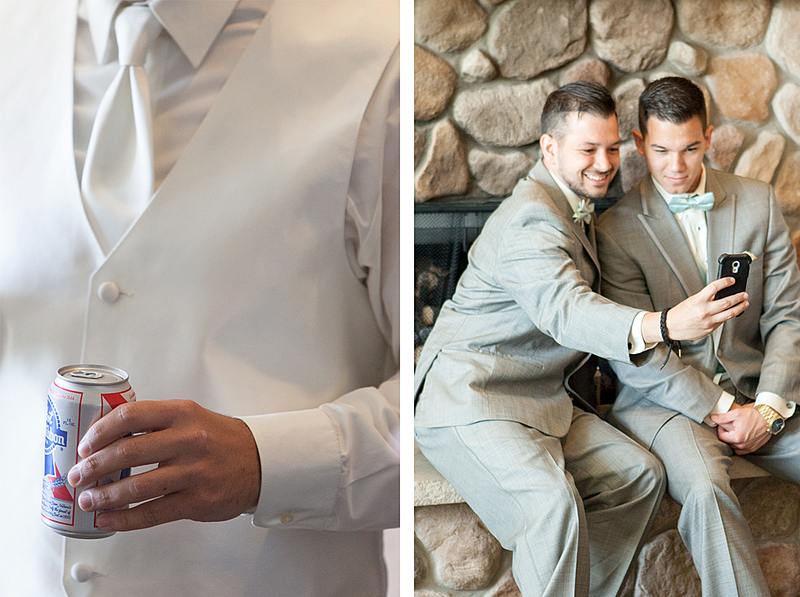 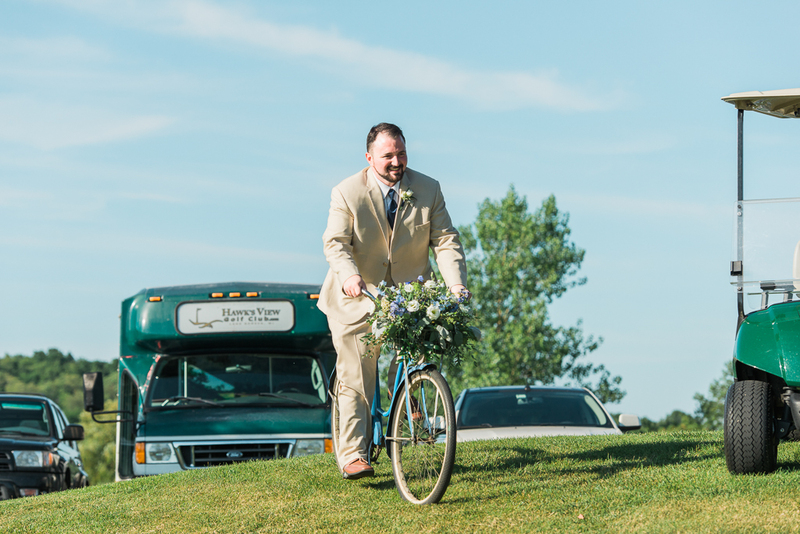 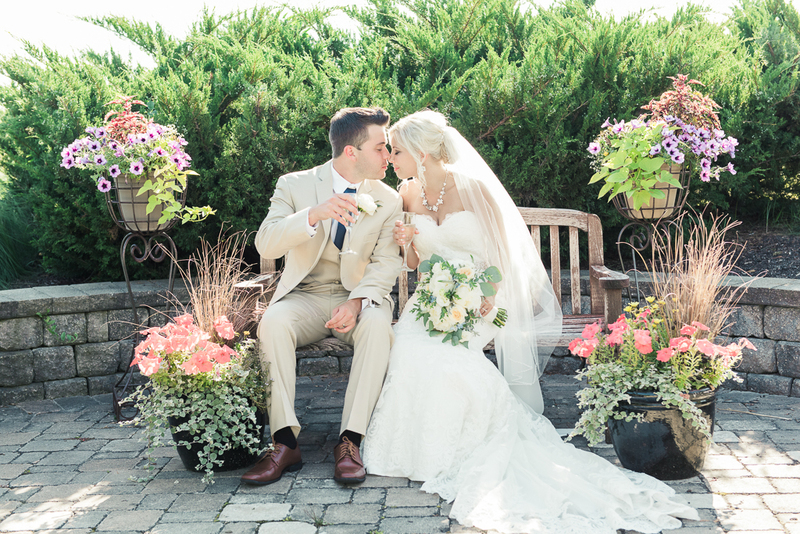 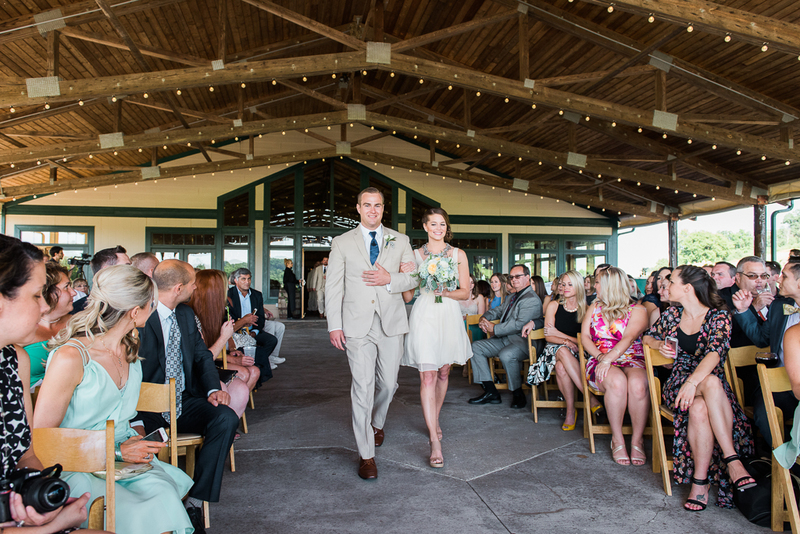 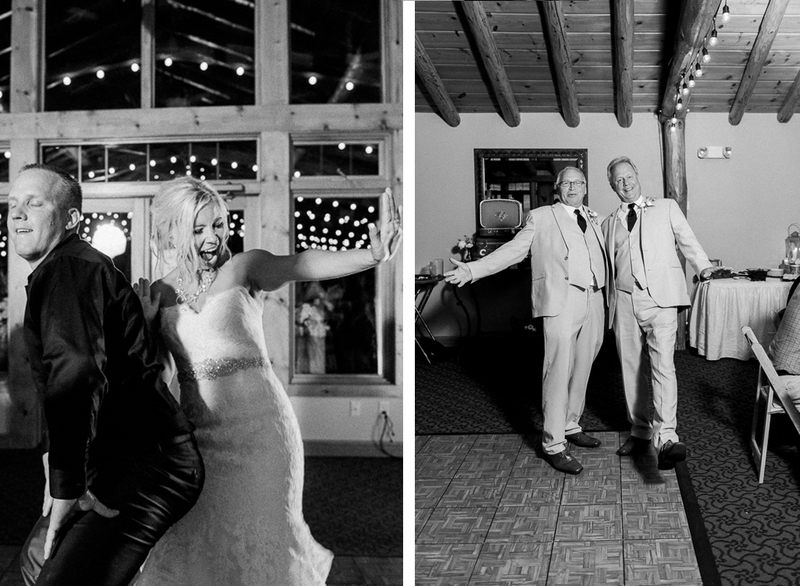 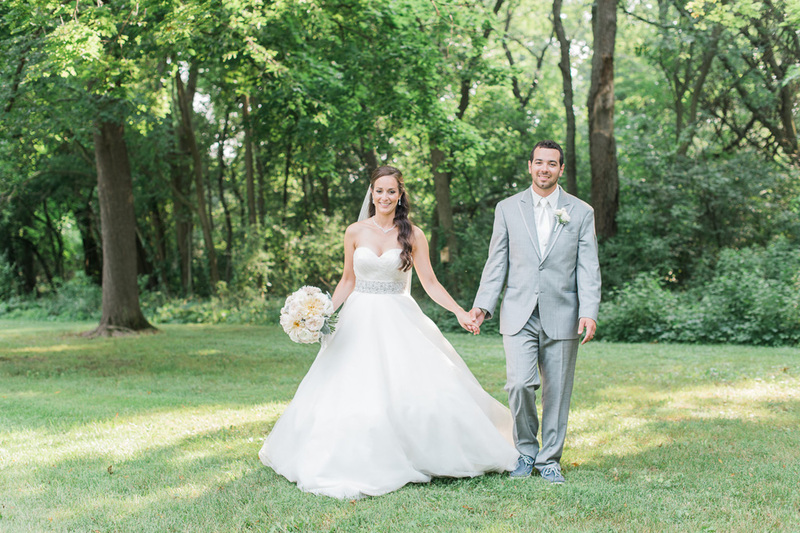 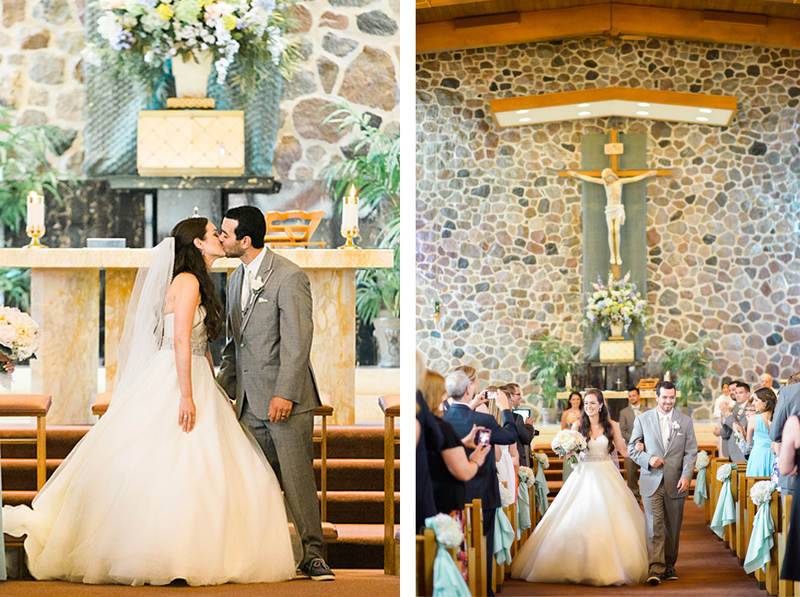 These two planned their Wisconsin wedding from their home-state of Illinois without a hitch. 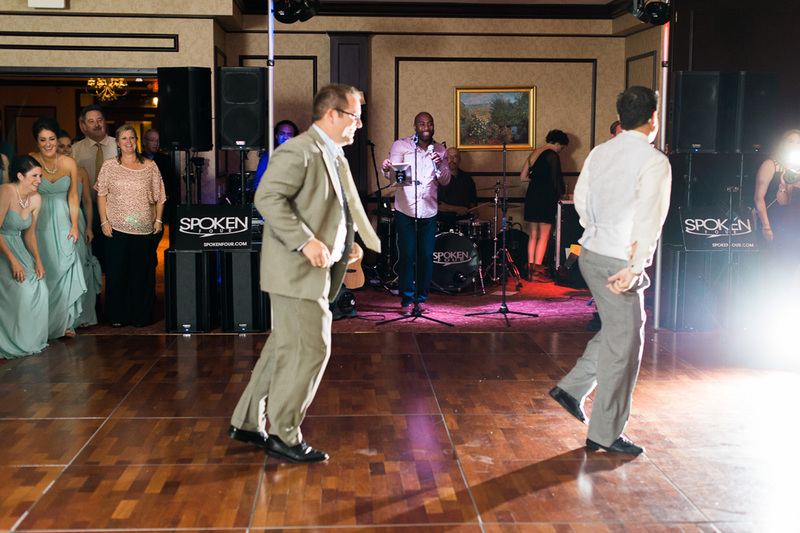 But, I must mention the real feat that happened without a hitch…the dance mob! 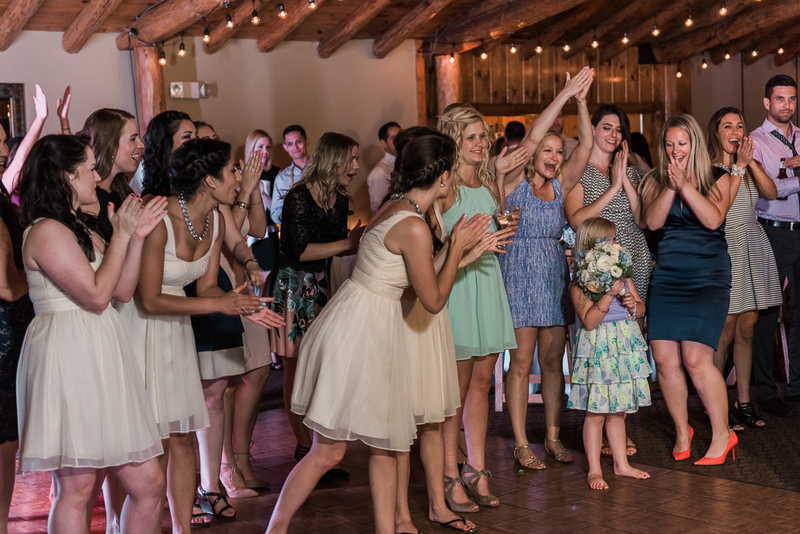 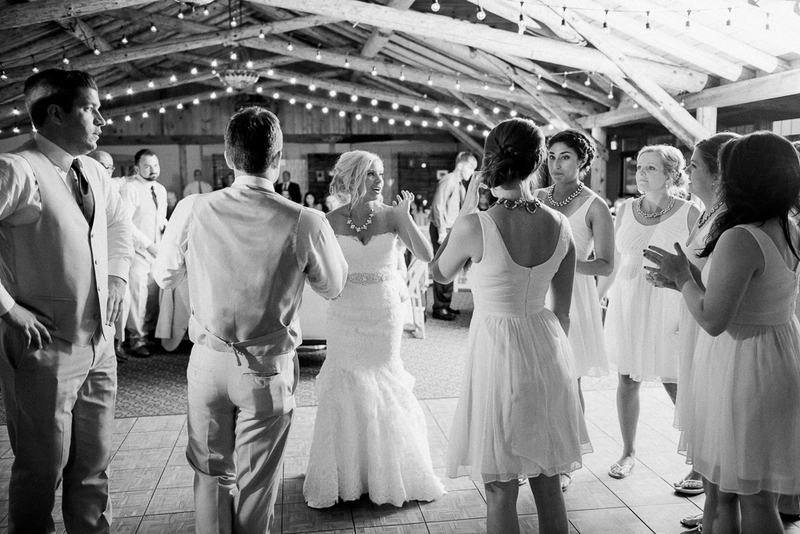 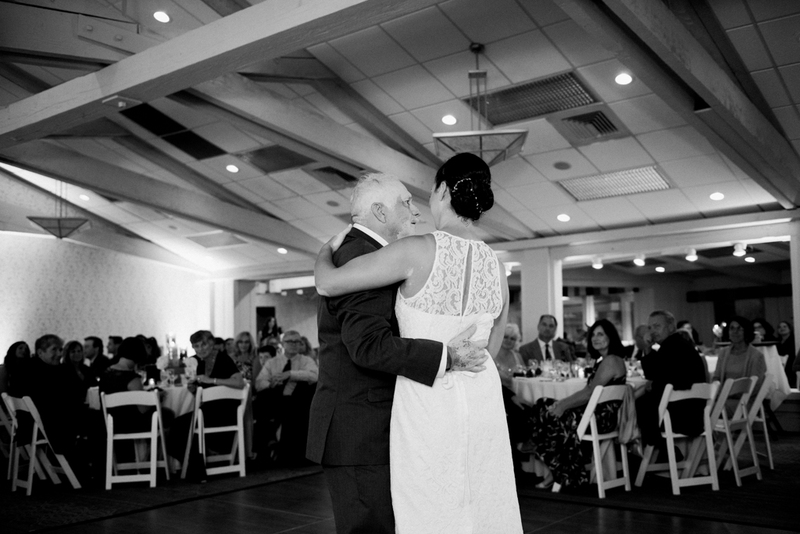 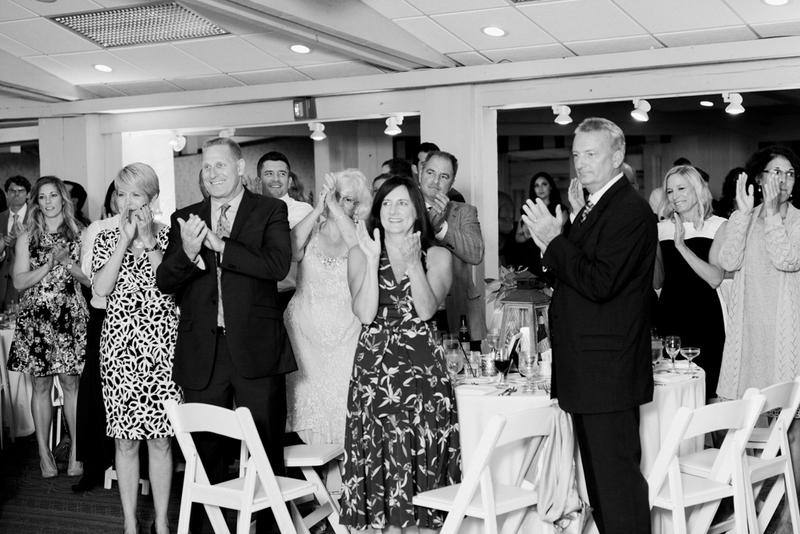 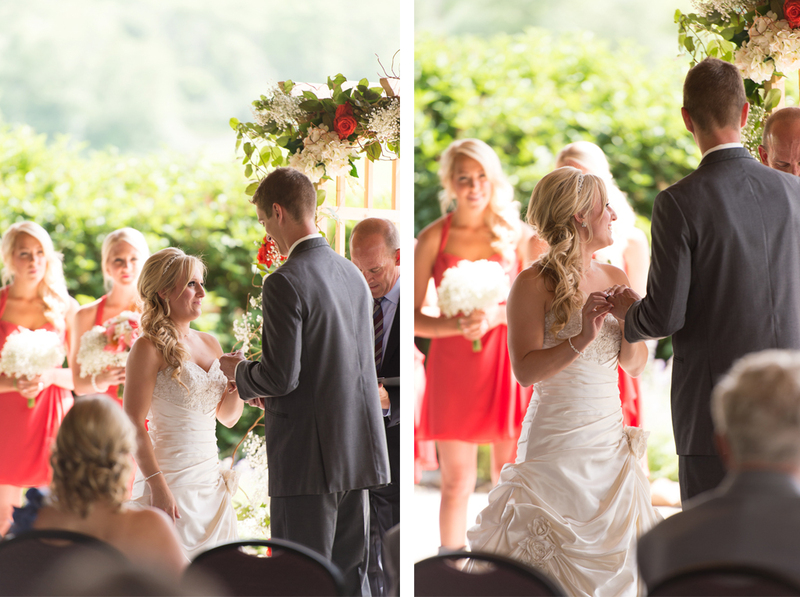 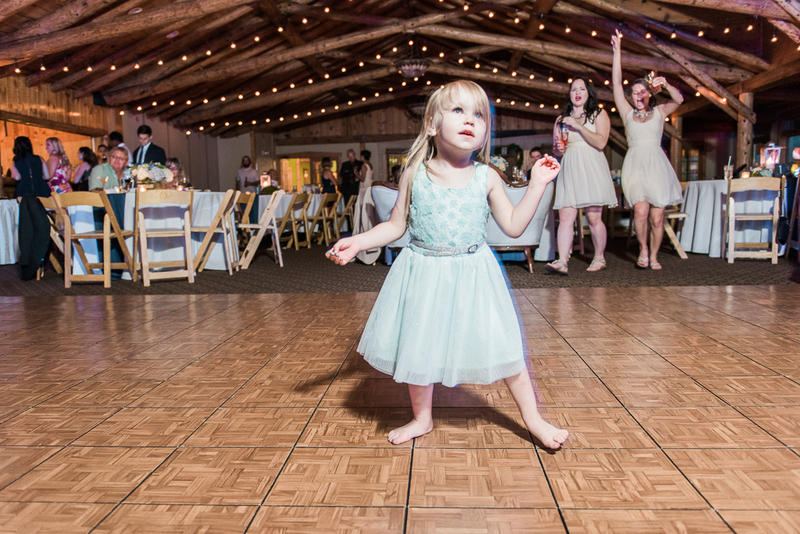 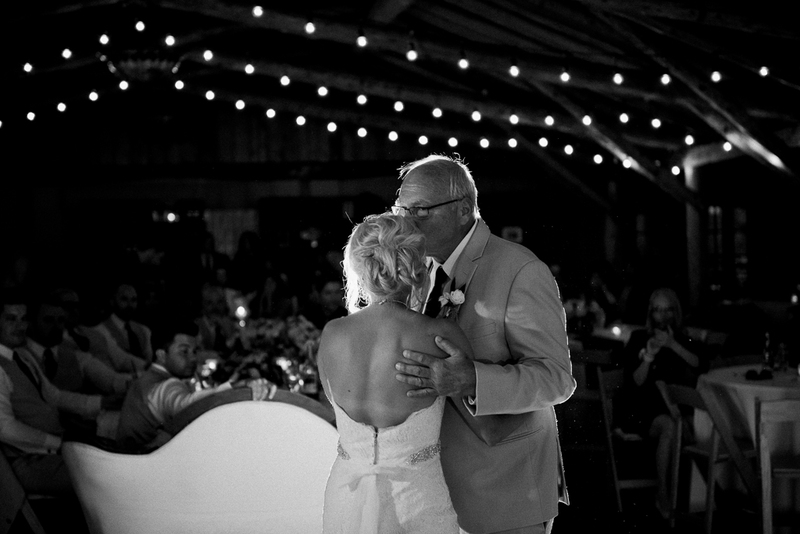 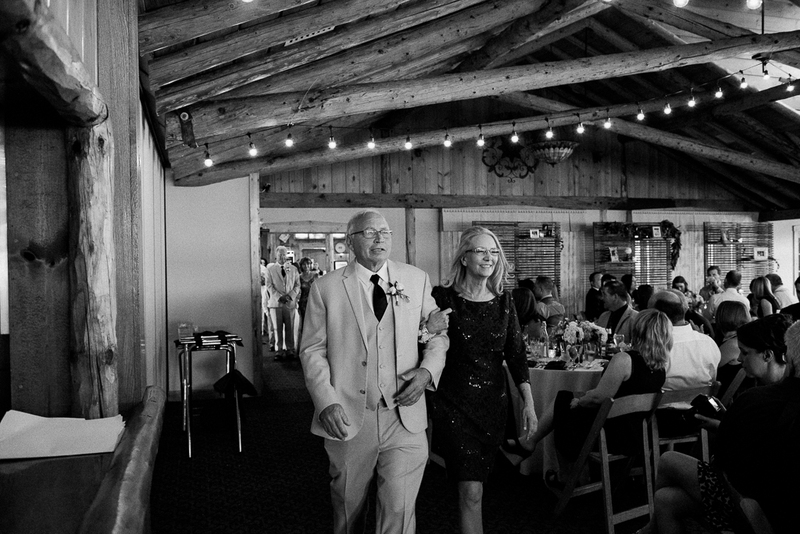 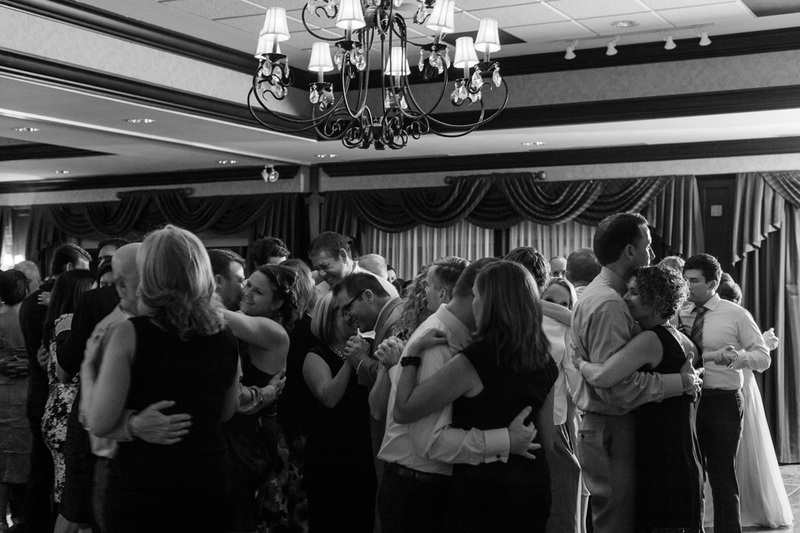 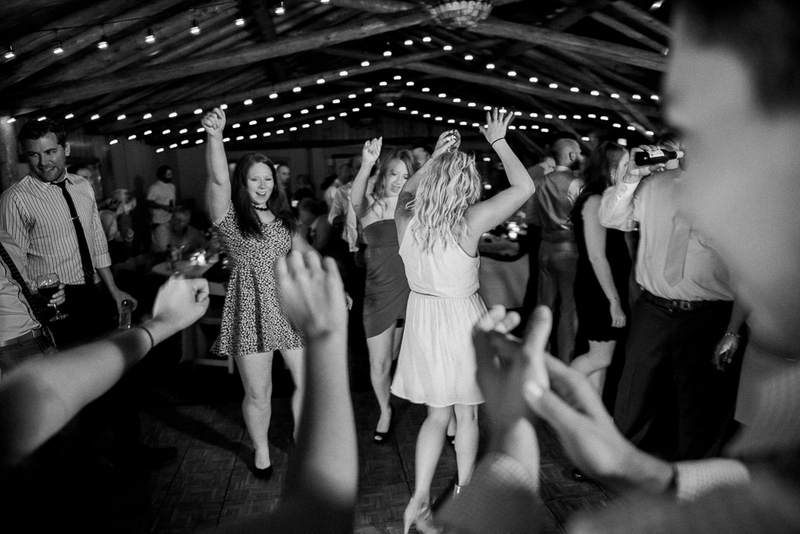 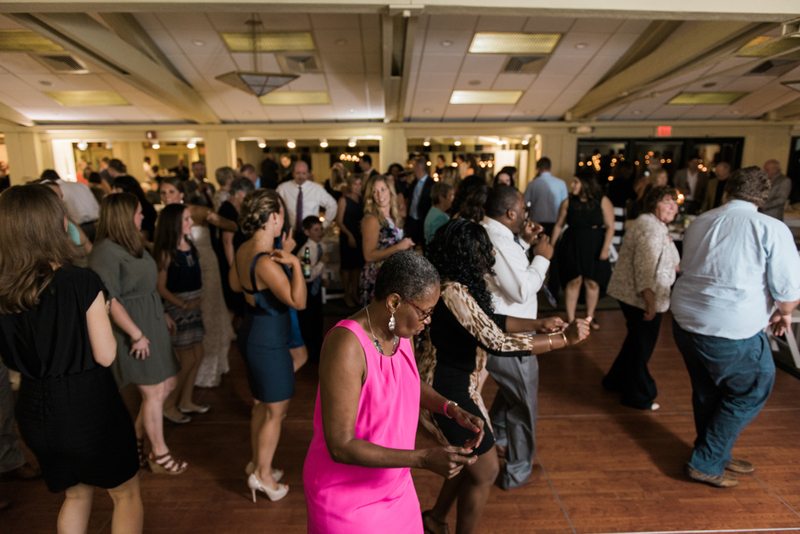 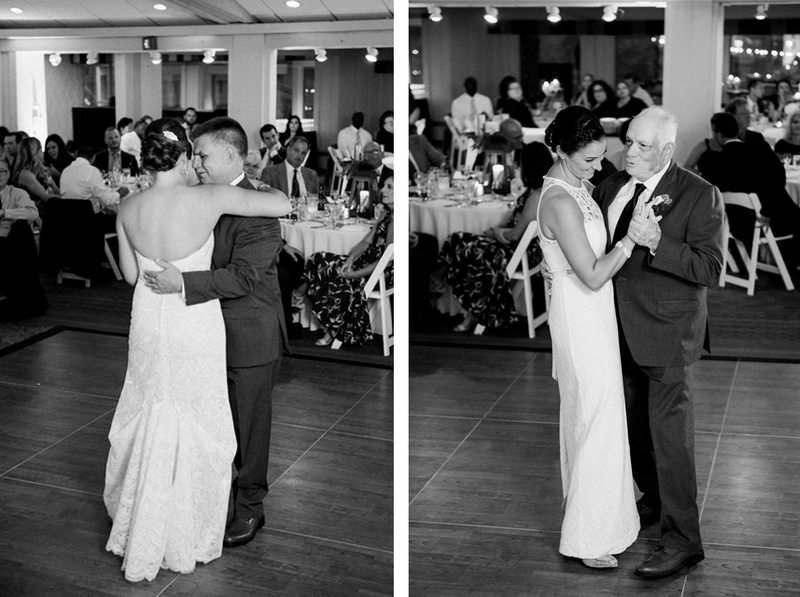 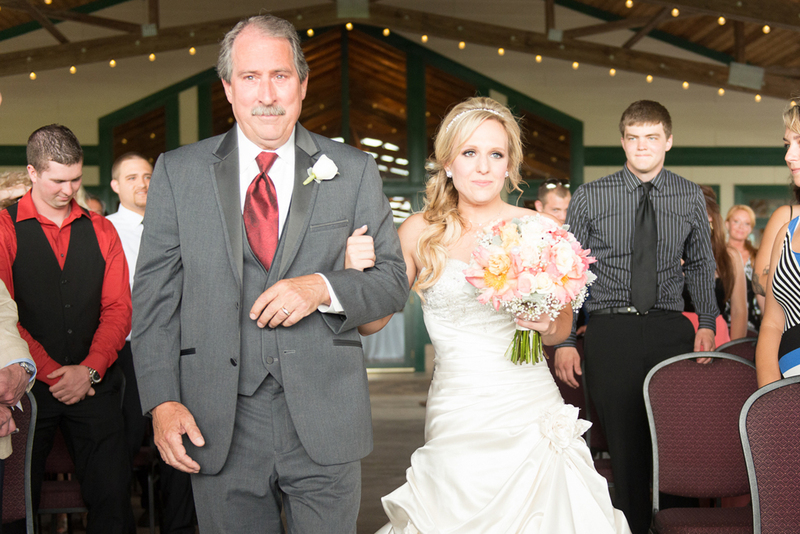 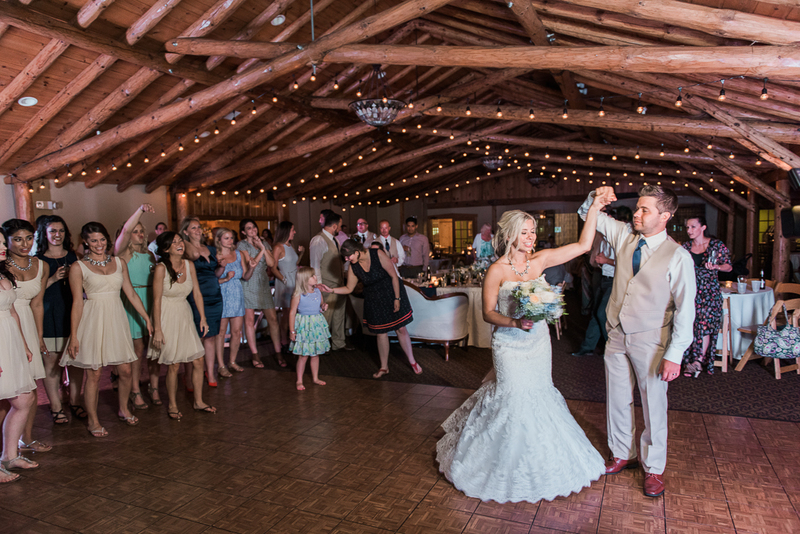 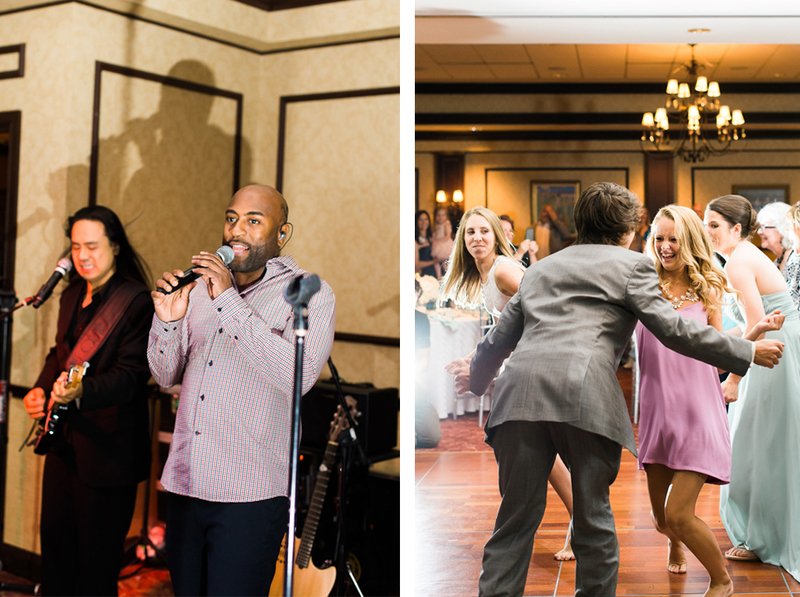 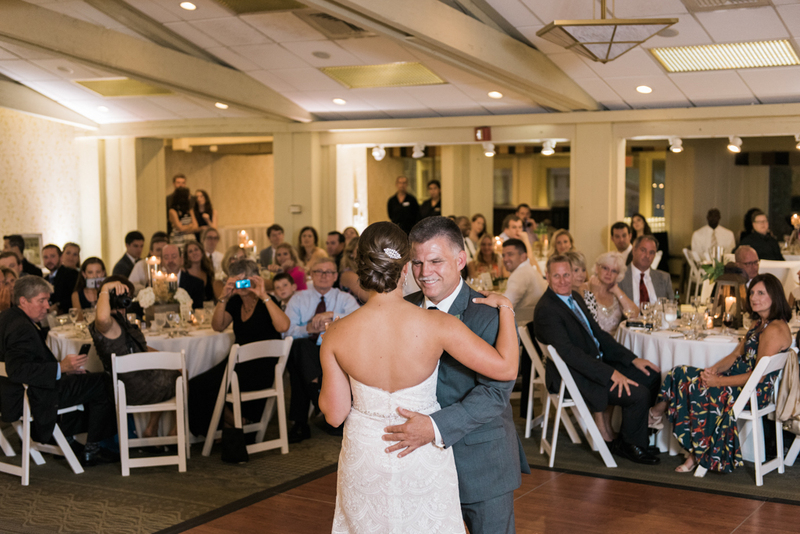 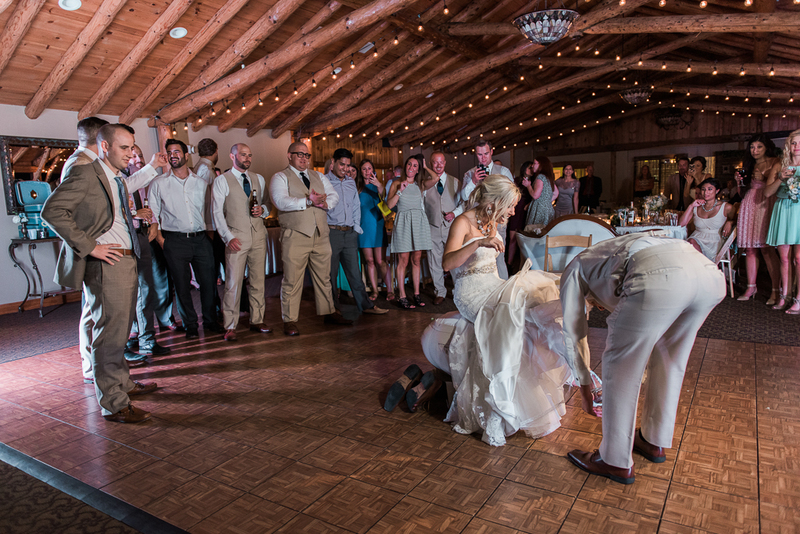 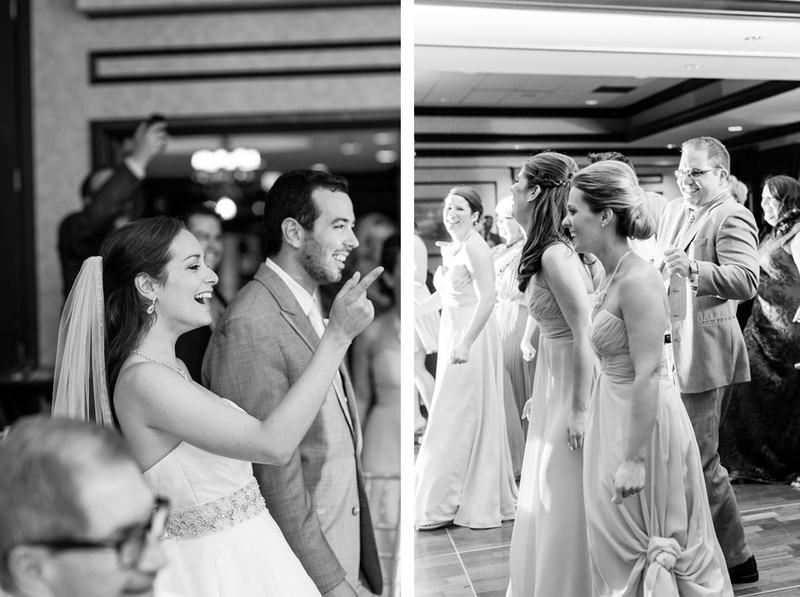 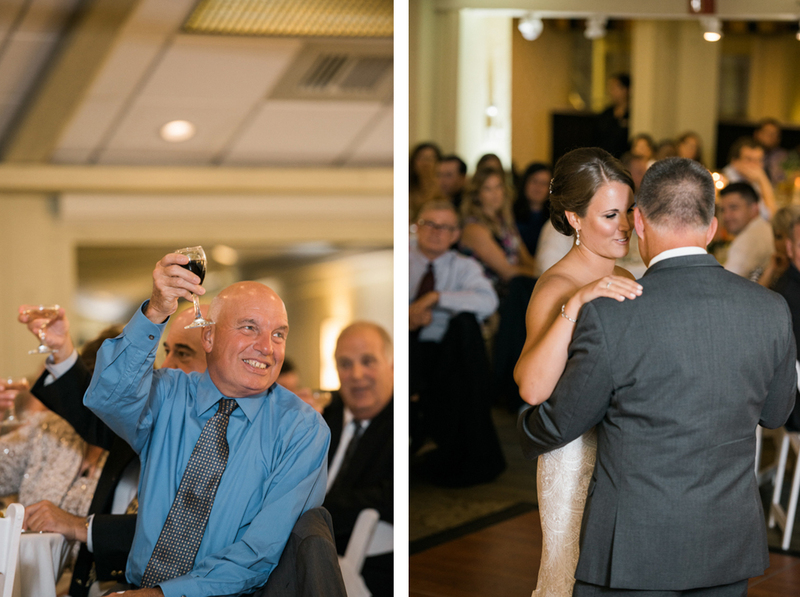 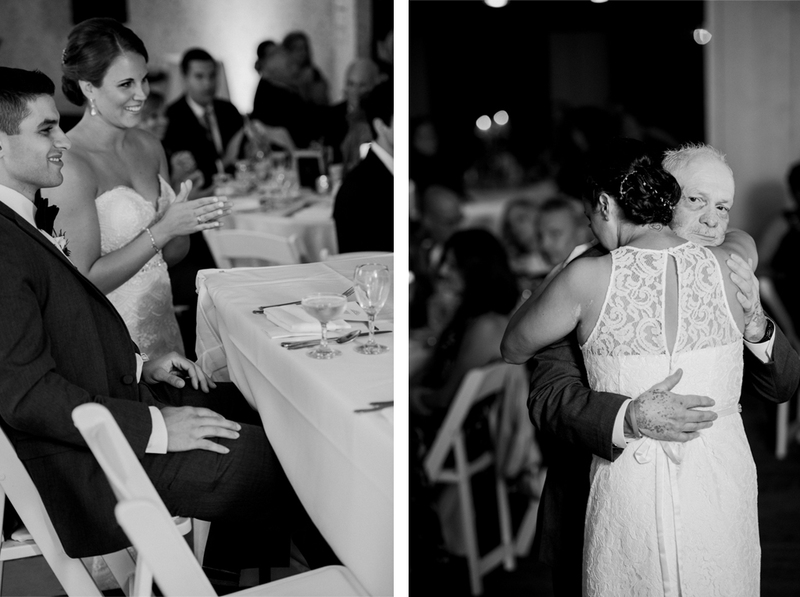 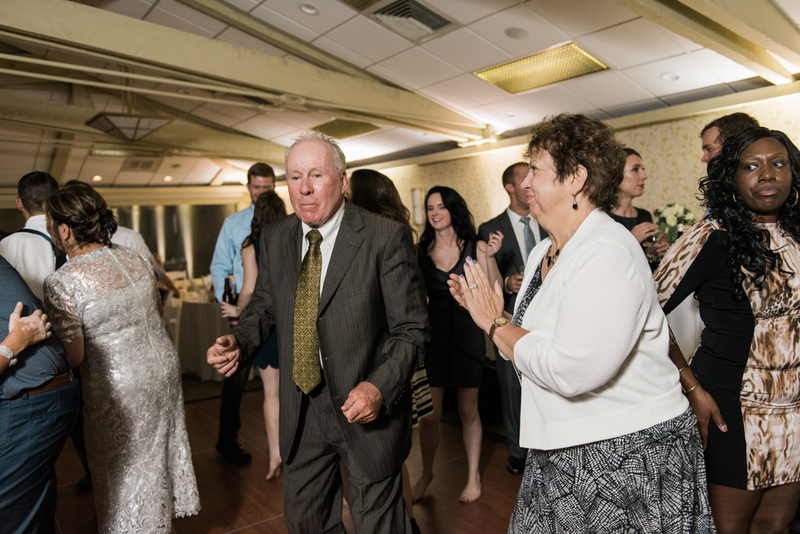 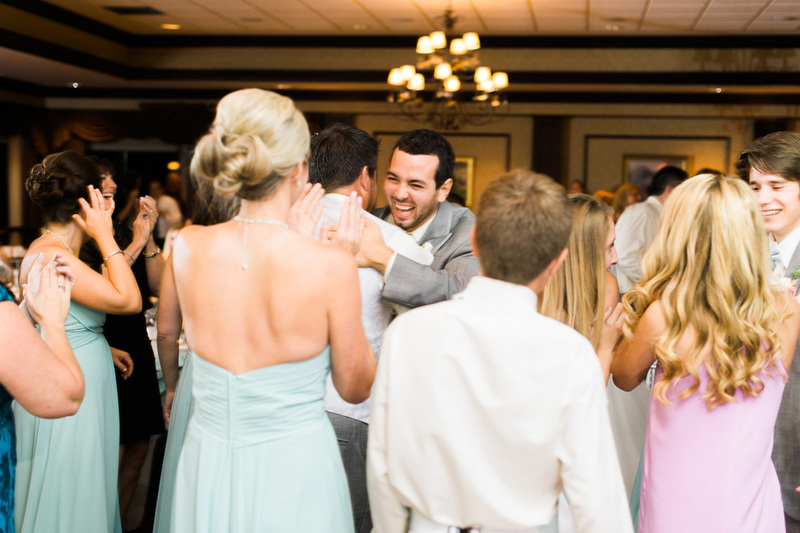 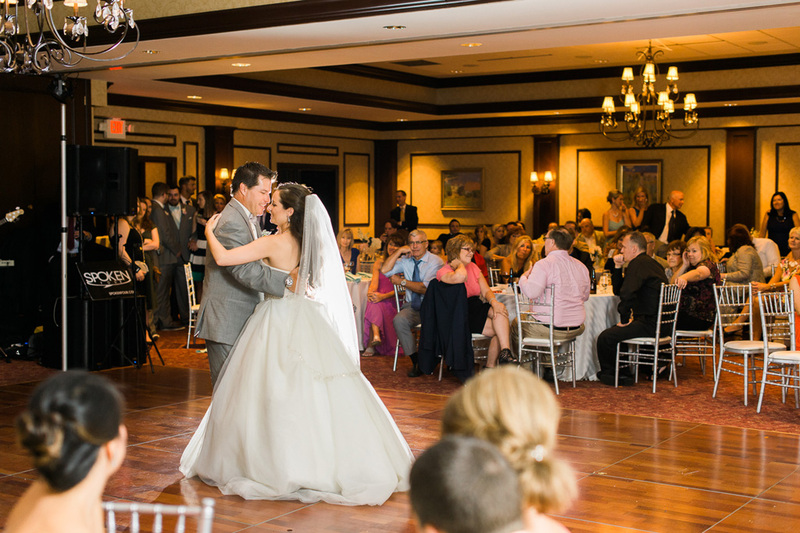 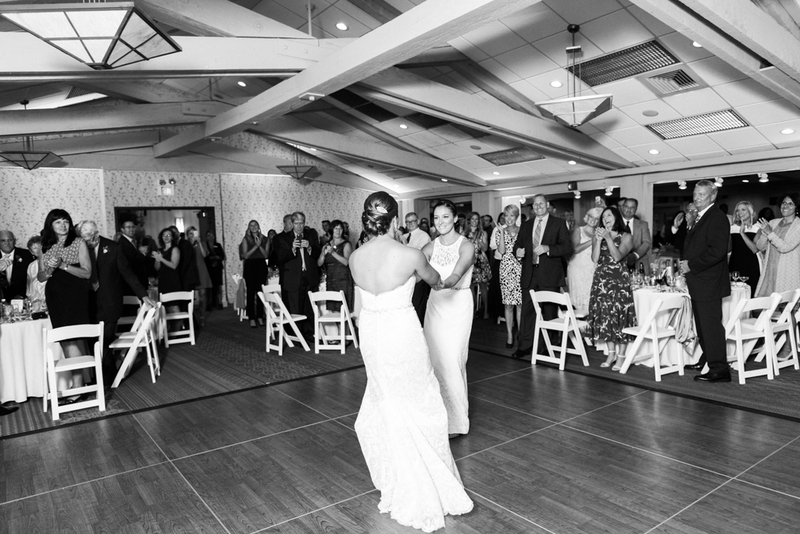 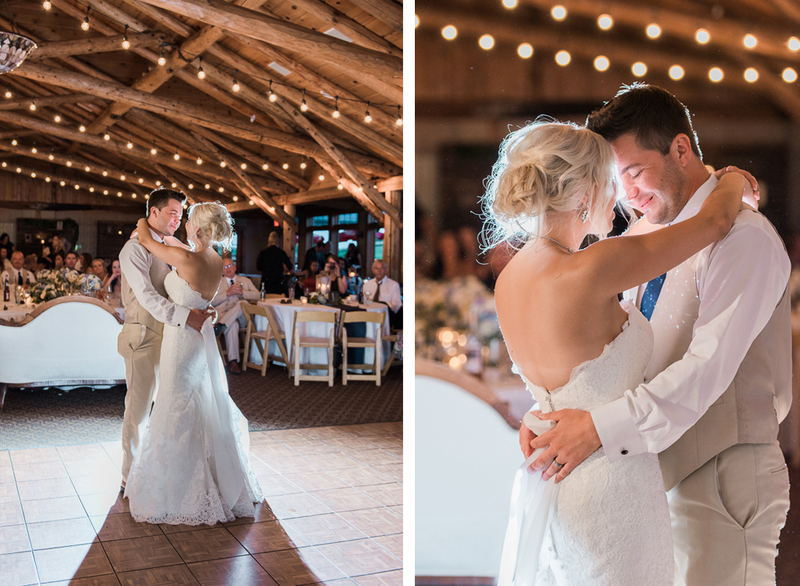 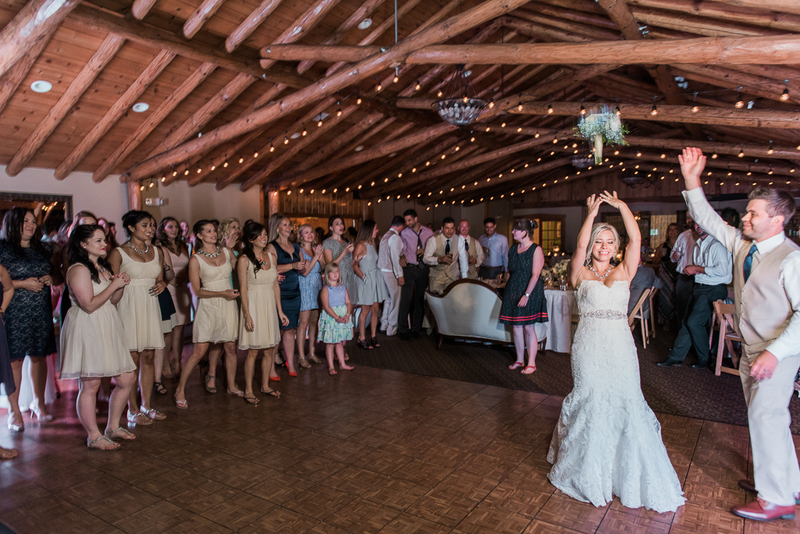 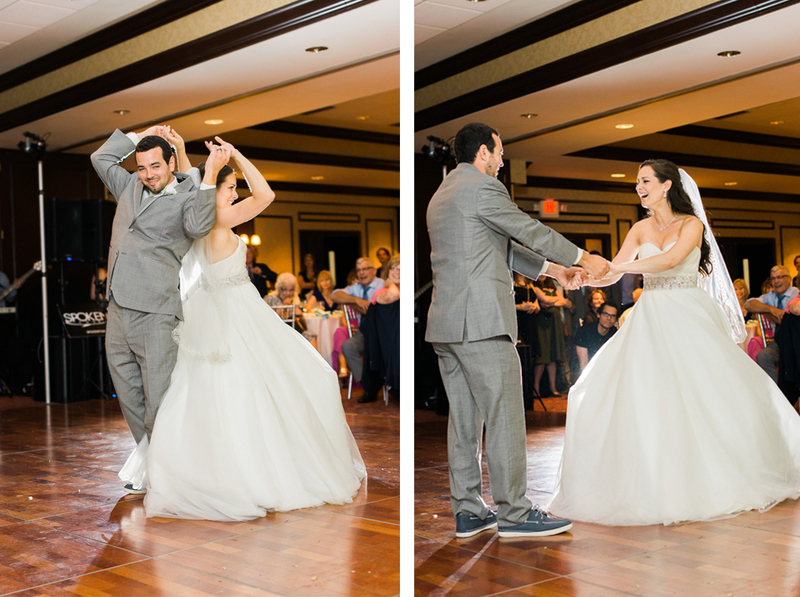 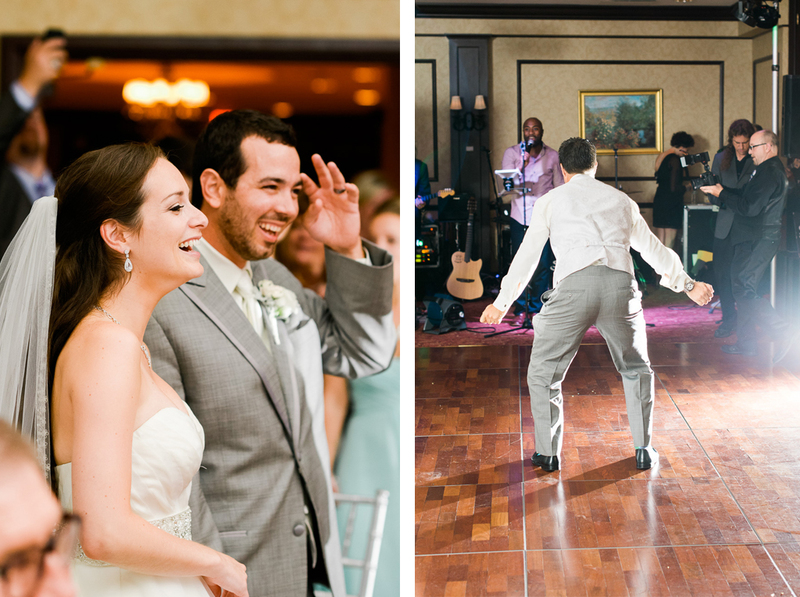 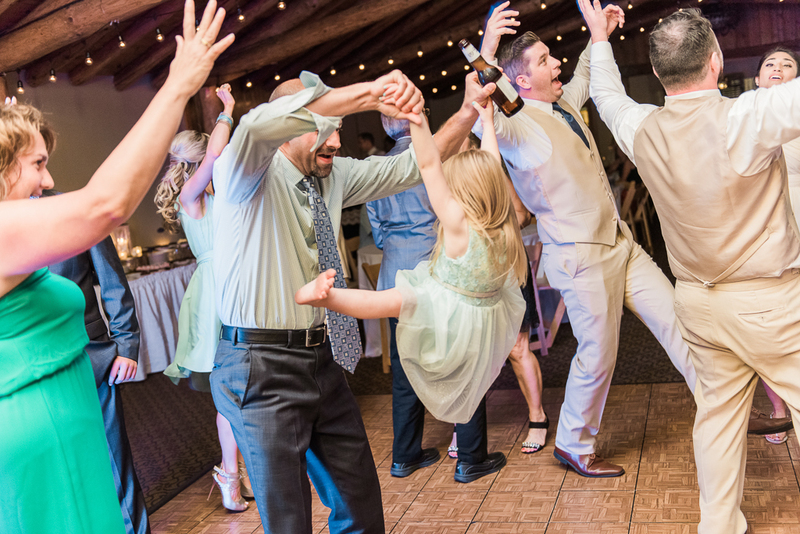 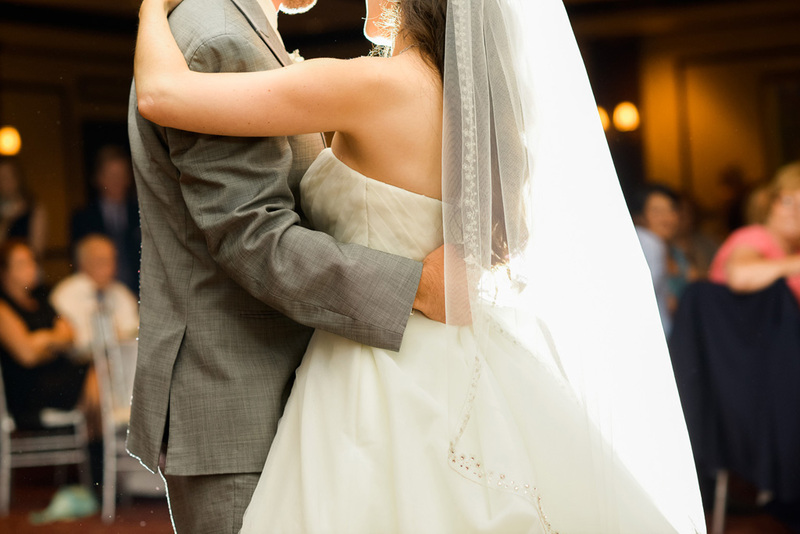 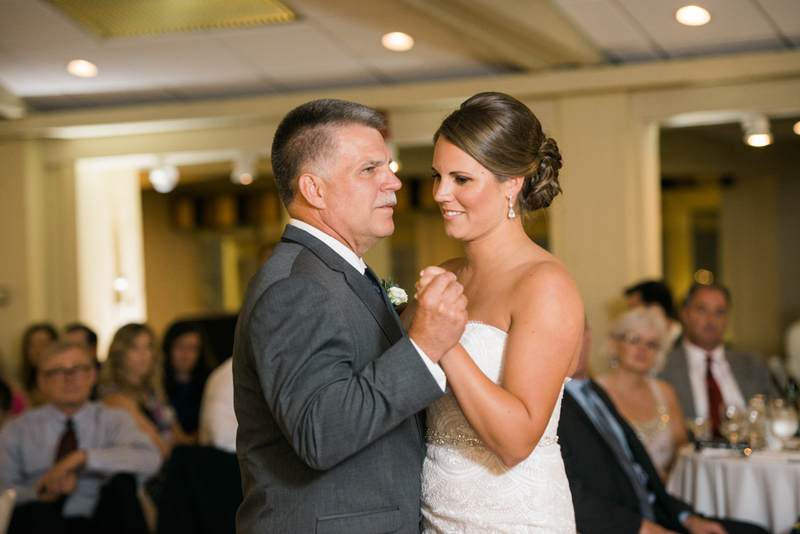 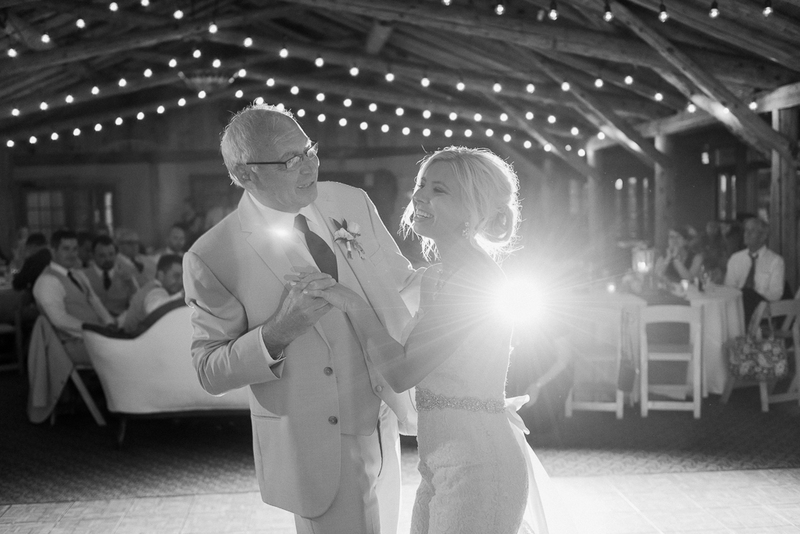 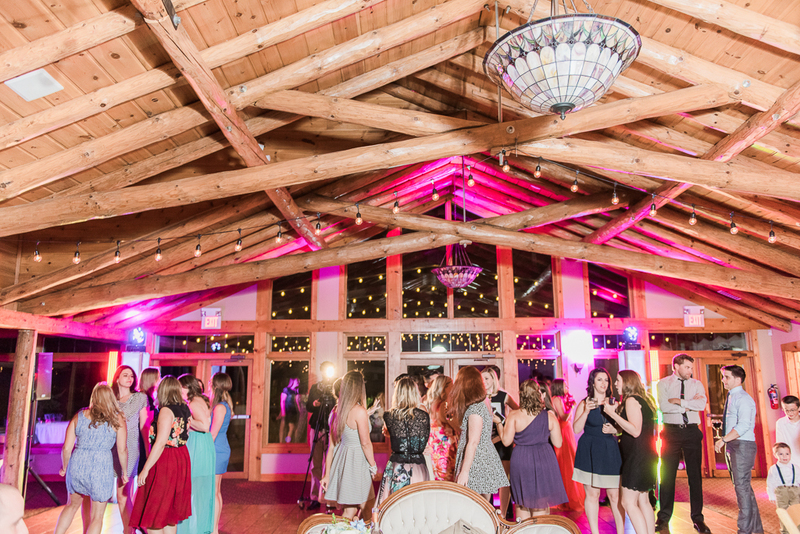 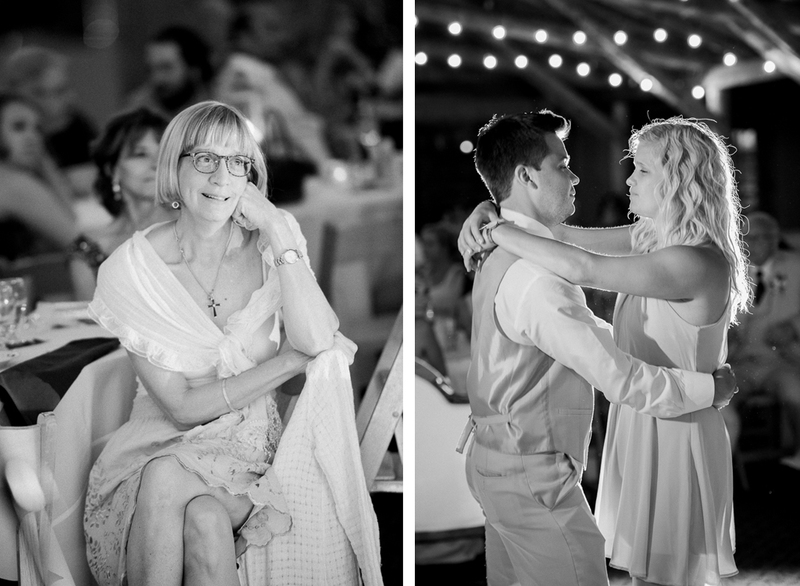 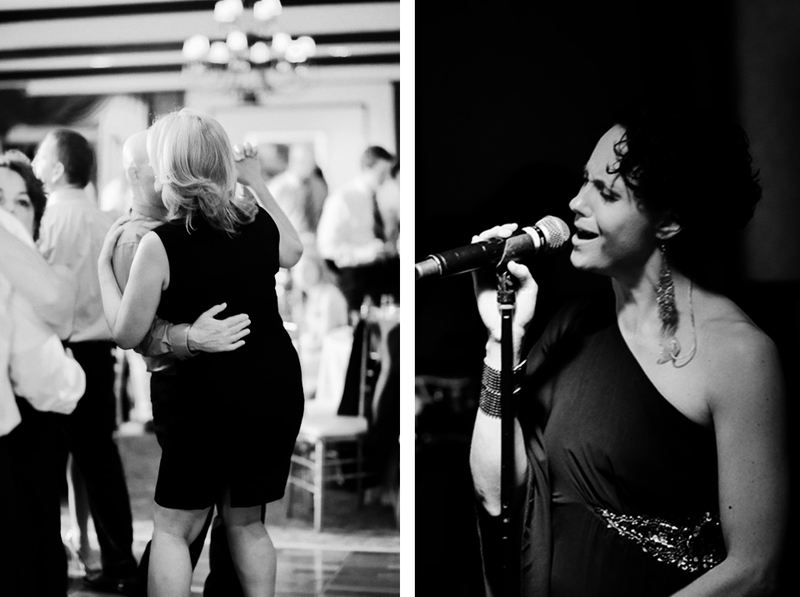 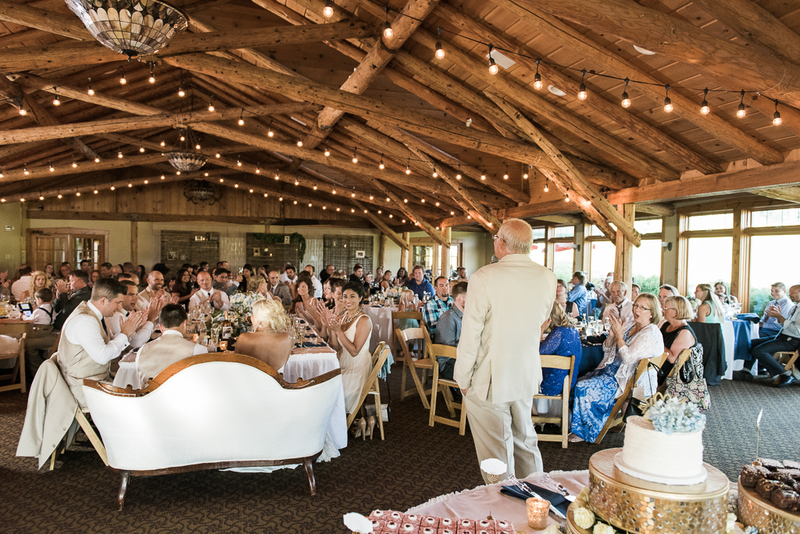 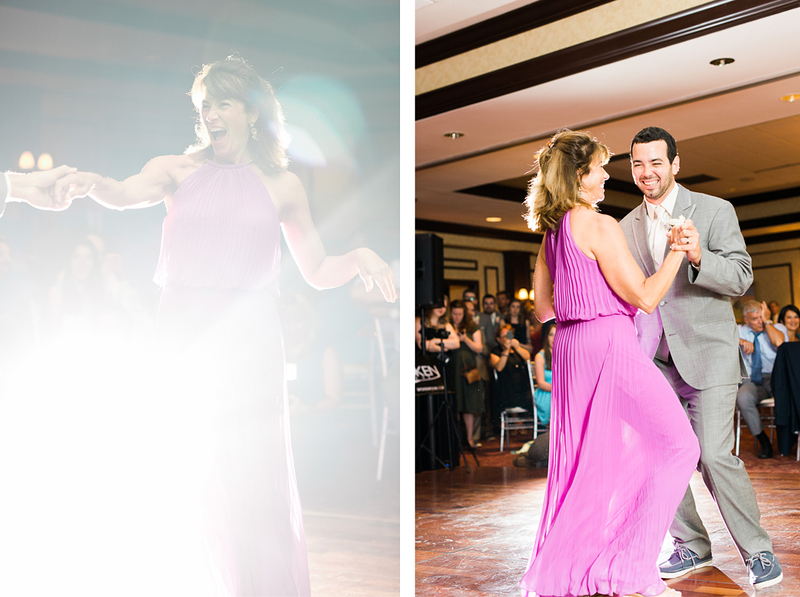 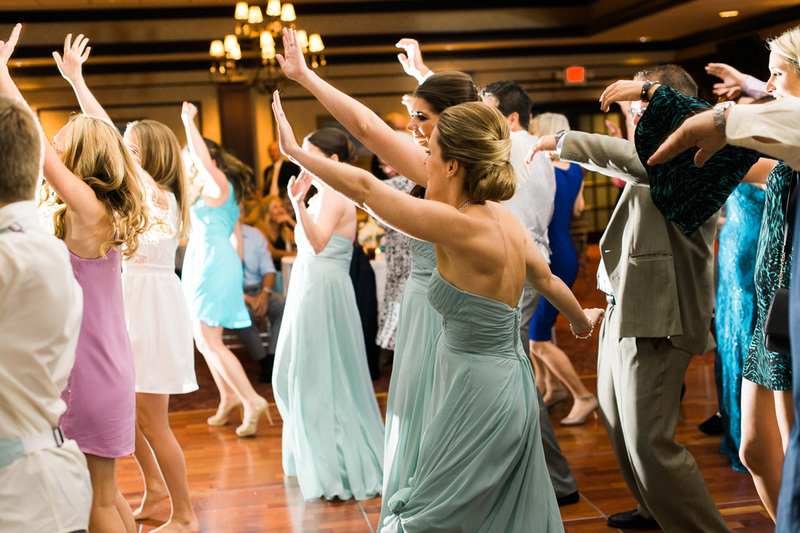 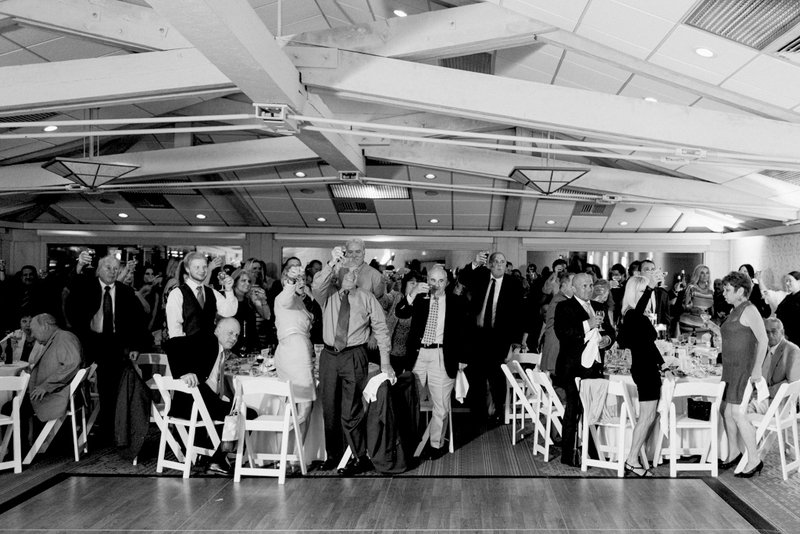 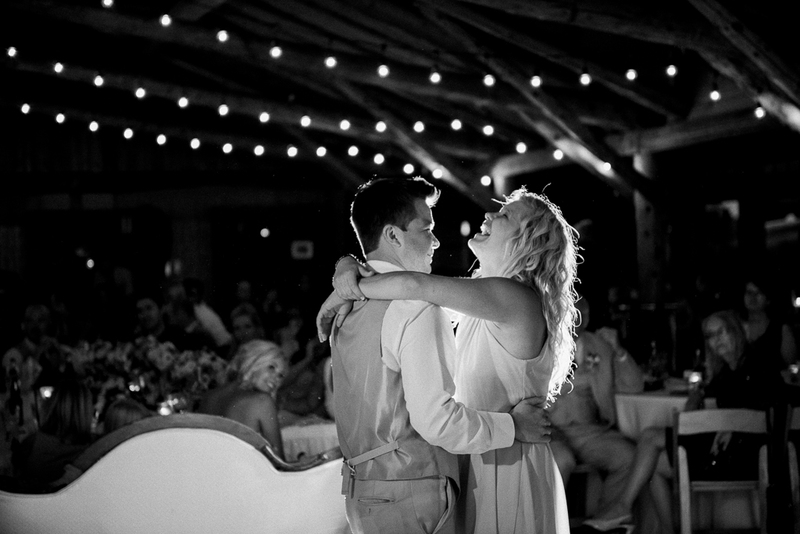 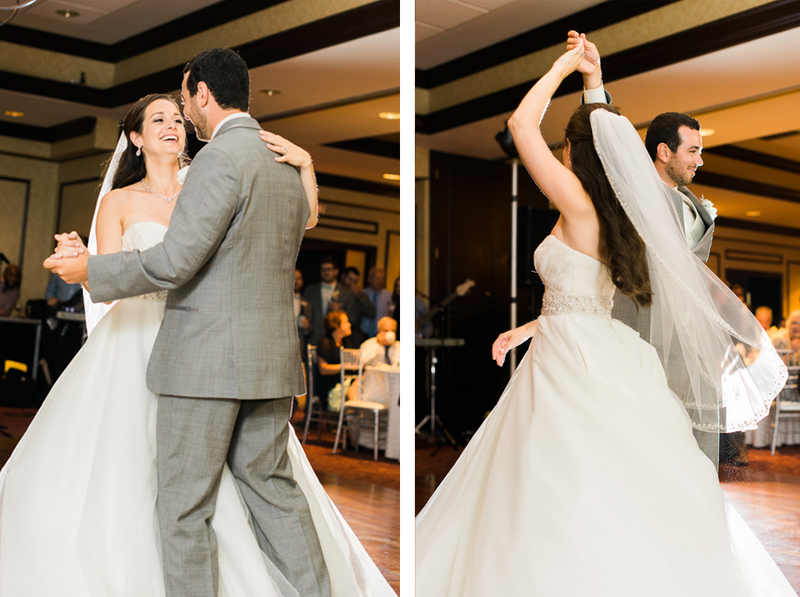 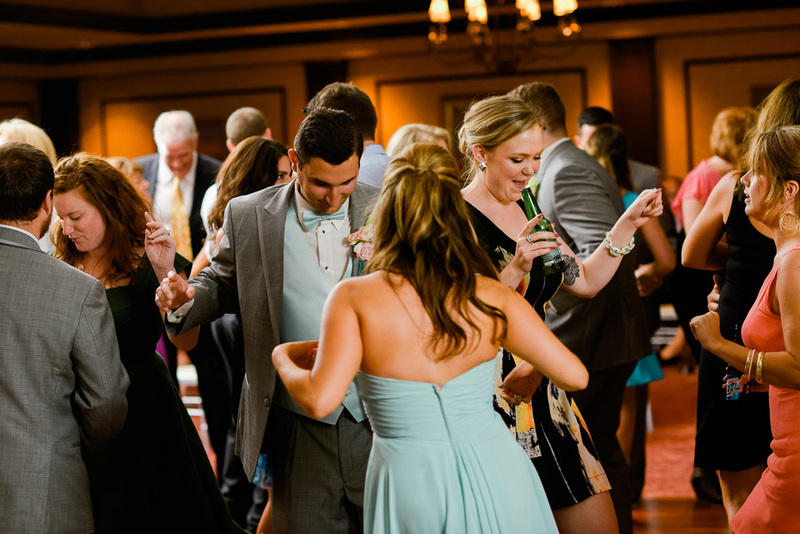 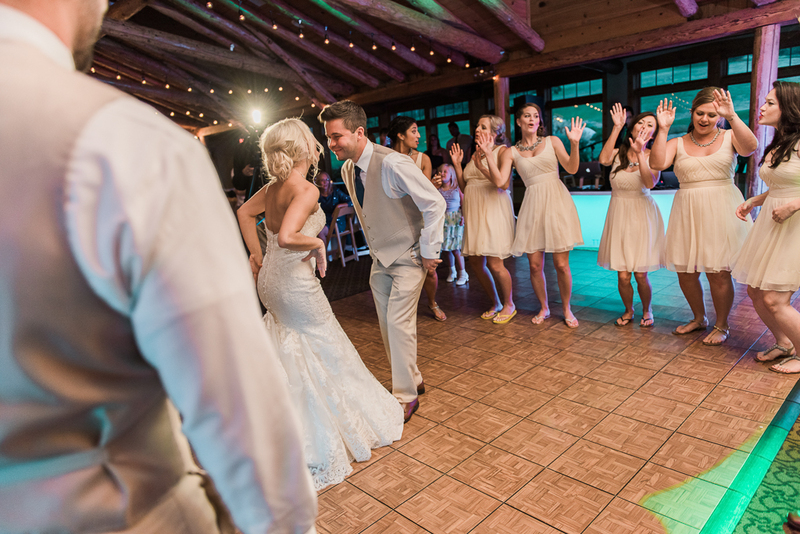 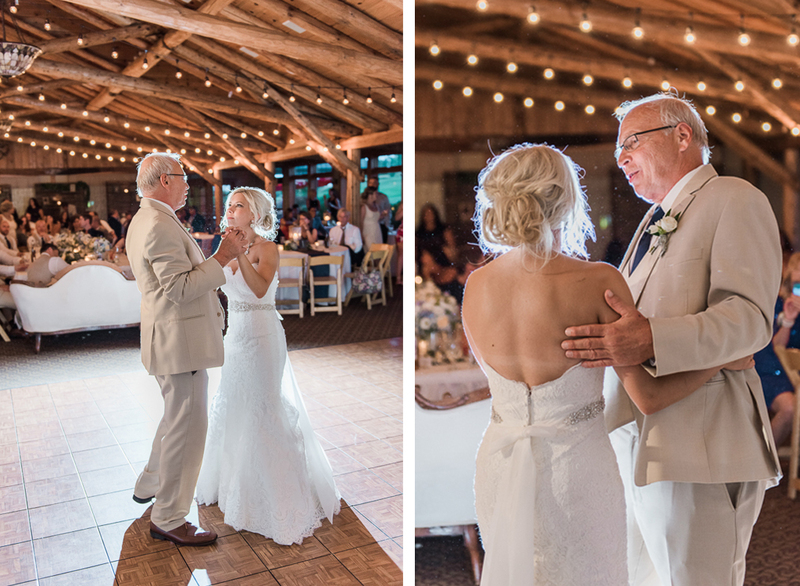 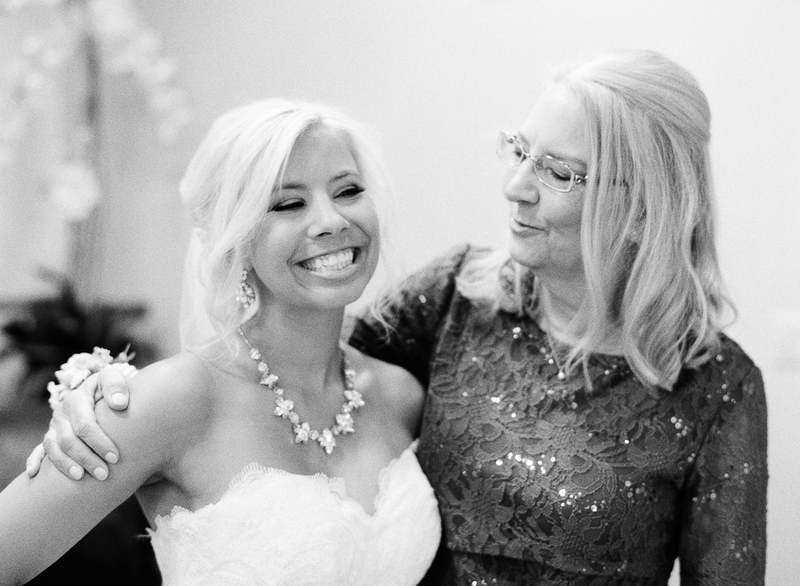 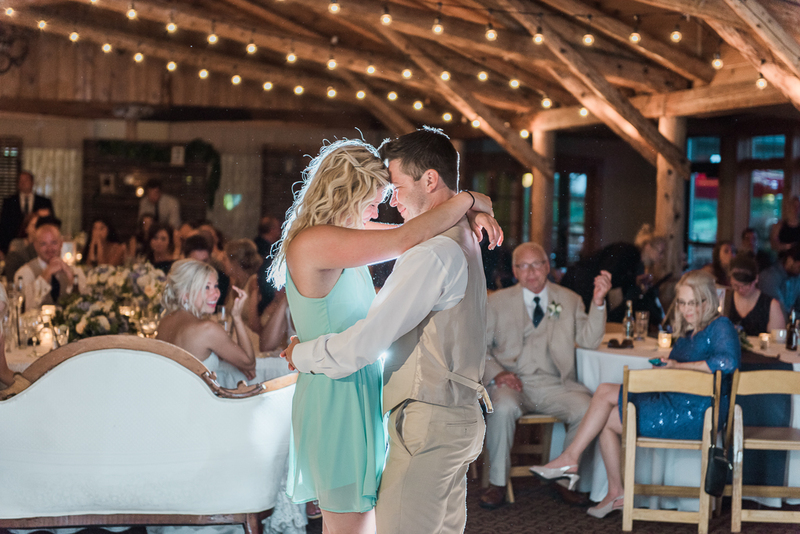 Emily’s parents recruited family and friends to surprise the newlyweds at the reception with a choreographed dance. 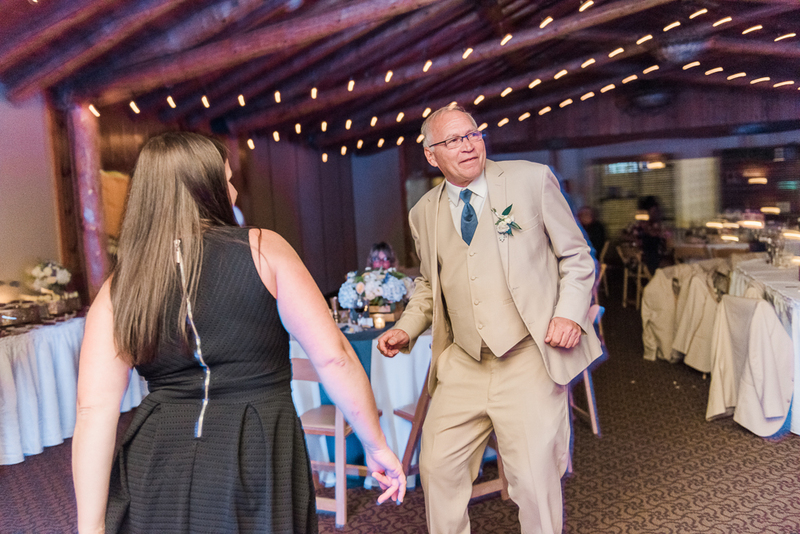 Let’s just say Emily’s dad had some rockin’ dance moves. 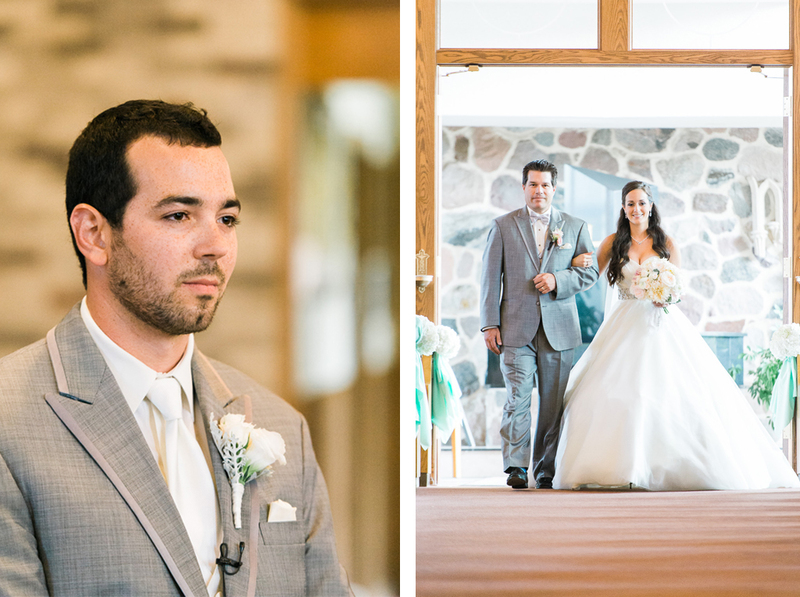 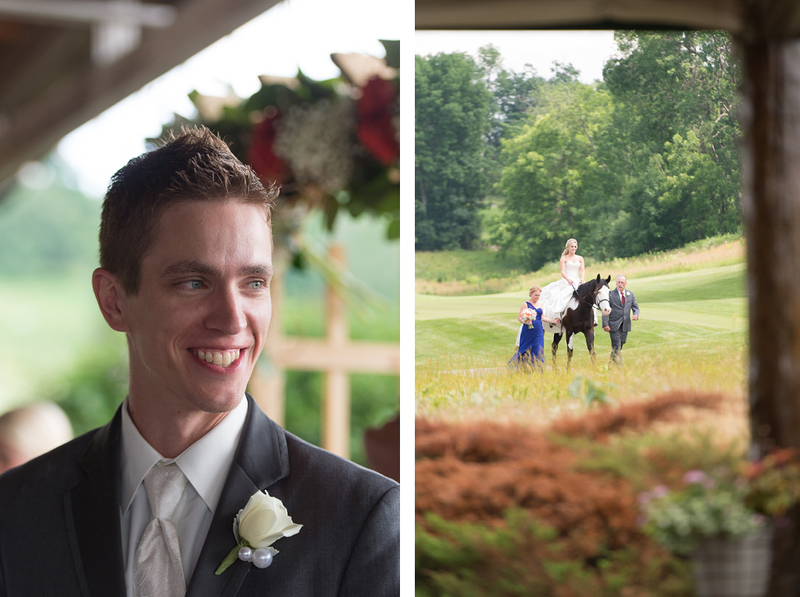 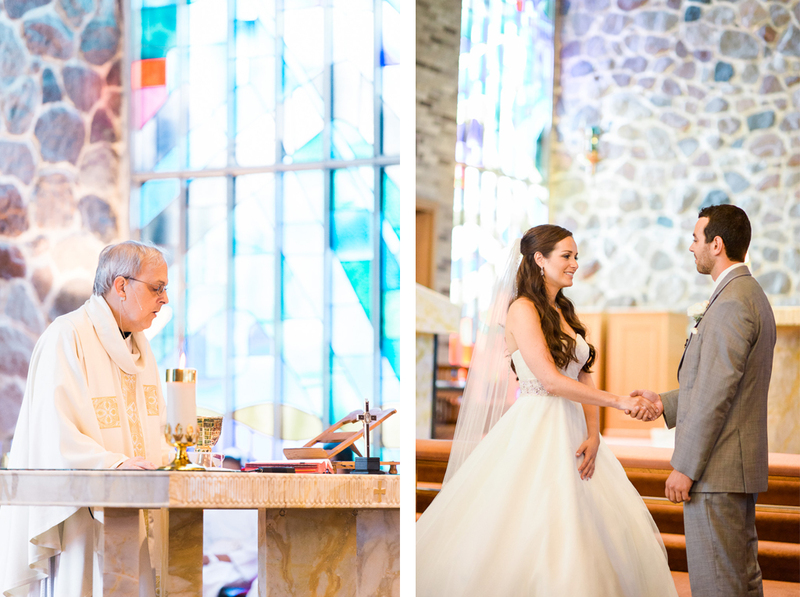 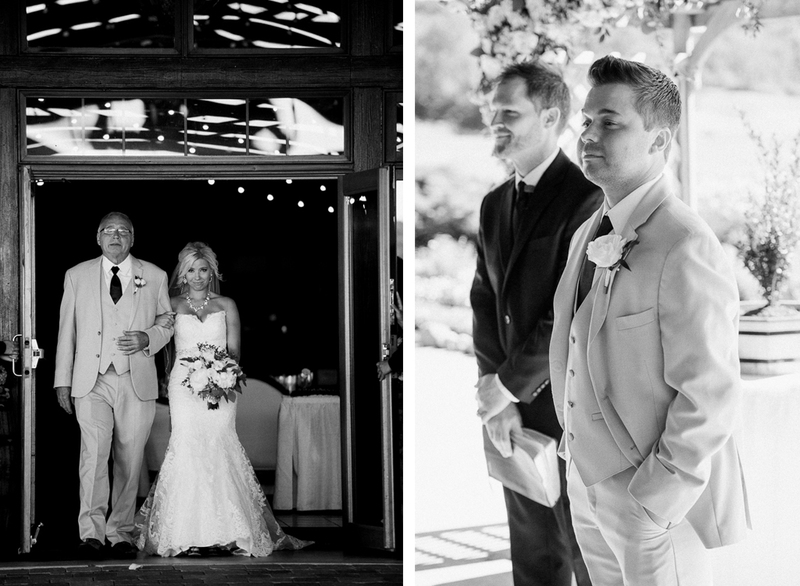 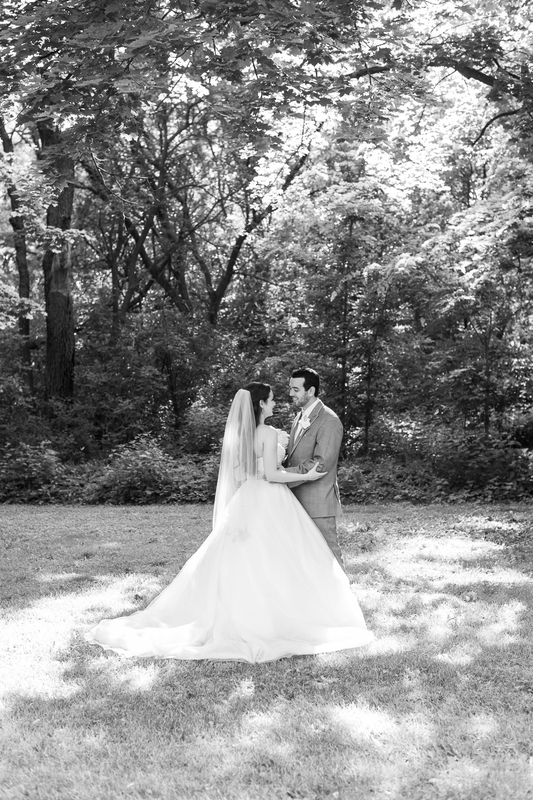 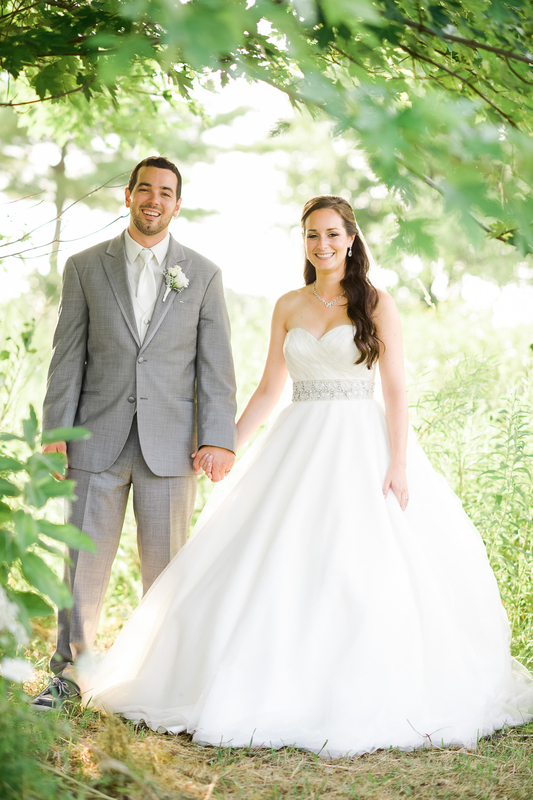 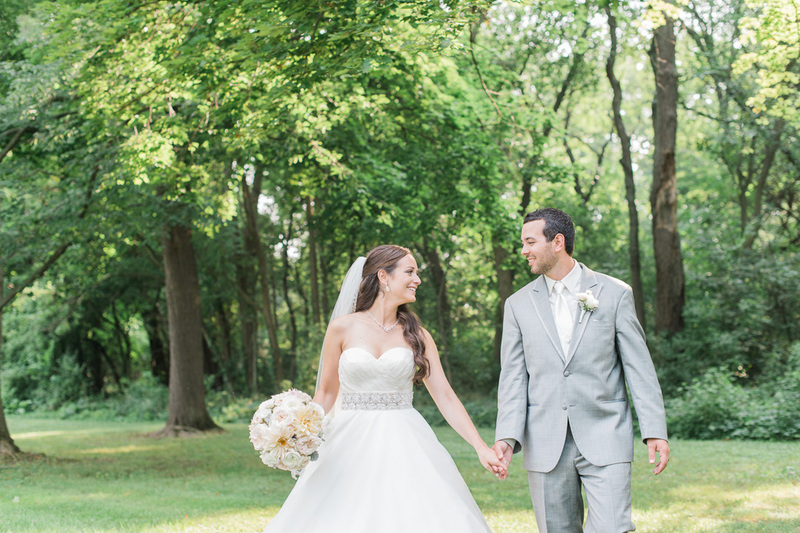 Scott and Stephanie got married on a beautiful sunny day in June. 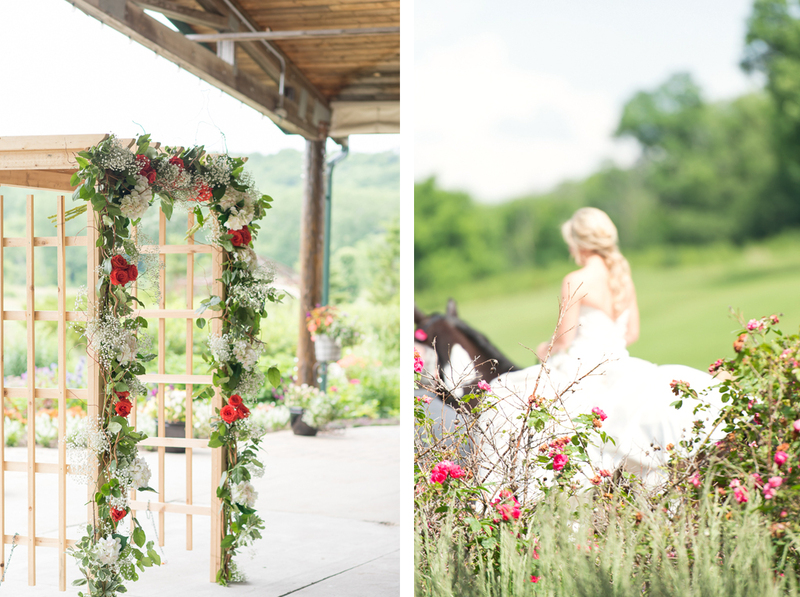 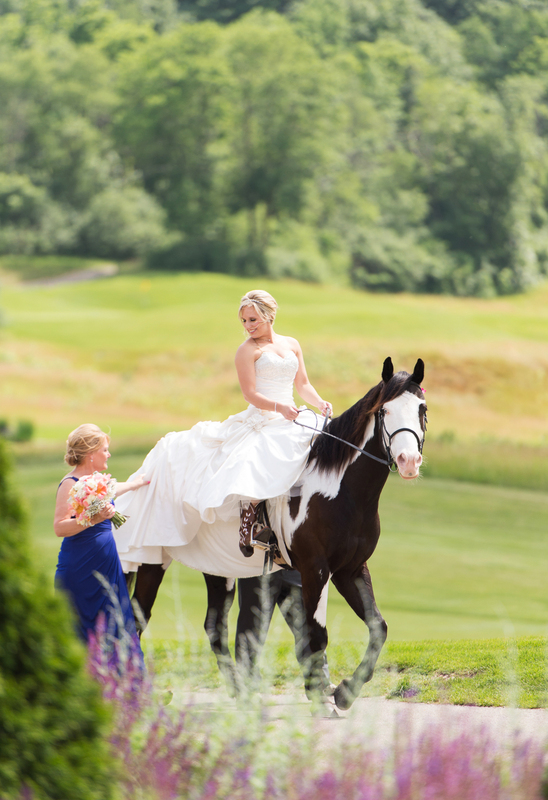 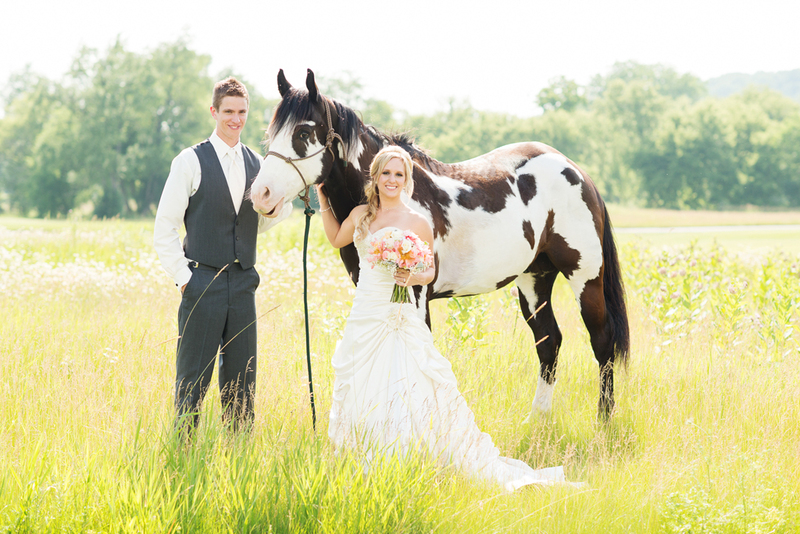 Their wedding day was a perfectly executed rustic affair complete with the bride making a dramatic entrance on horseback. 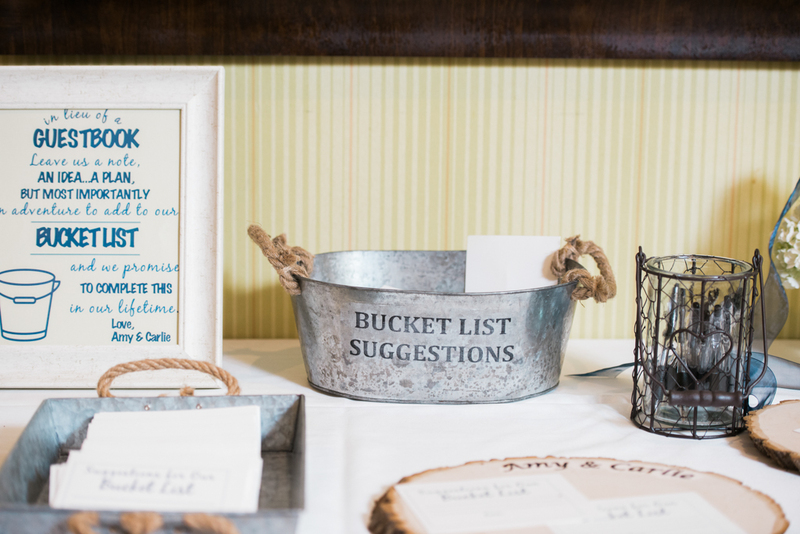 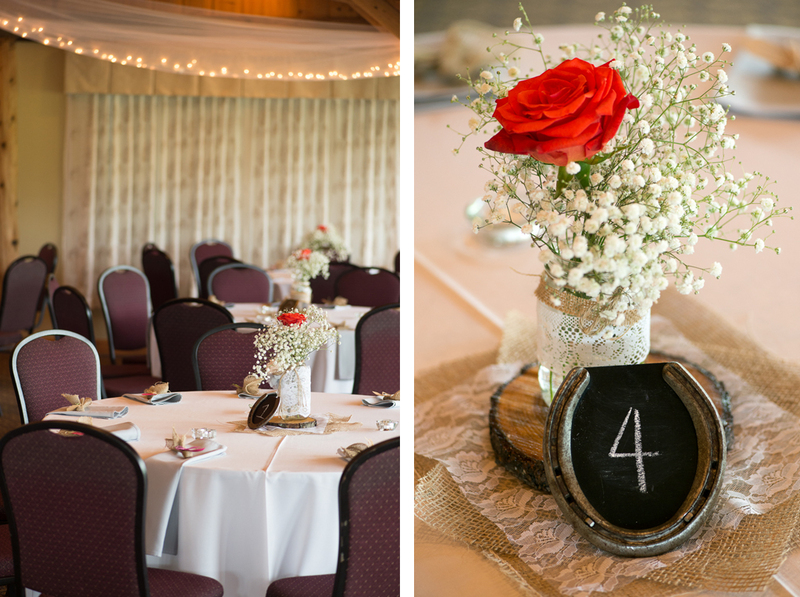 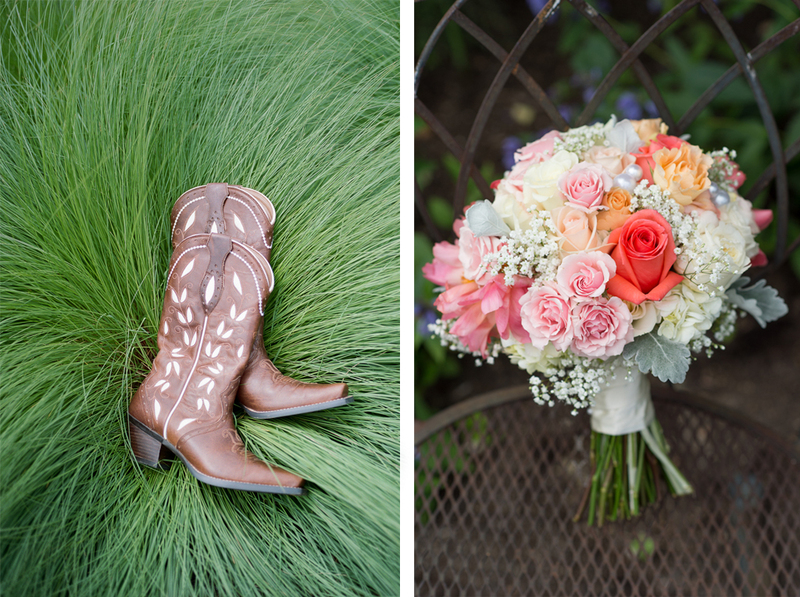 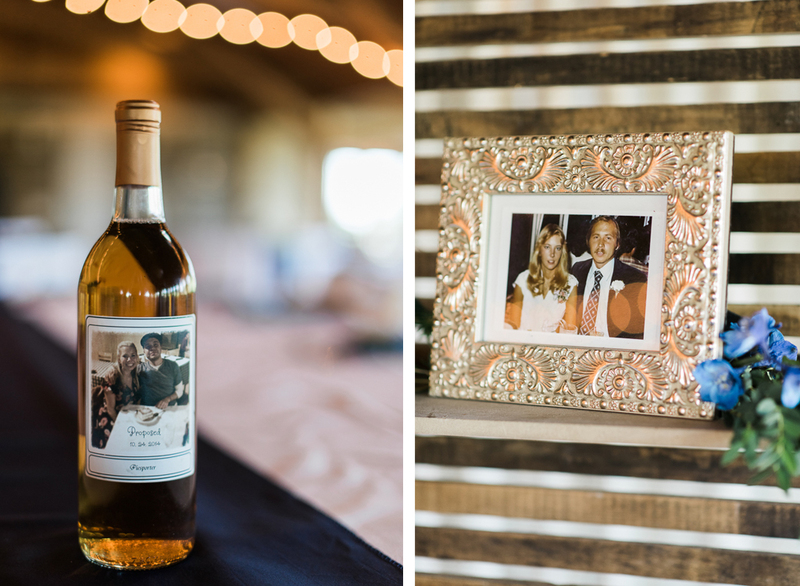 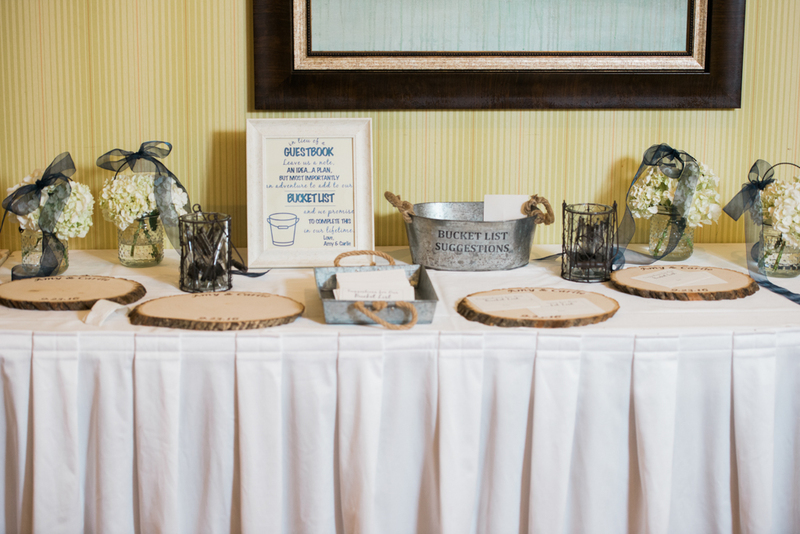 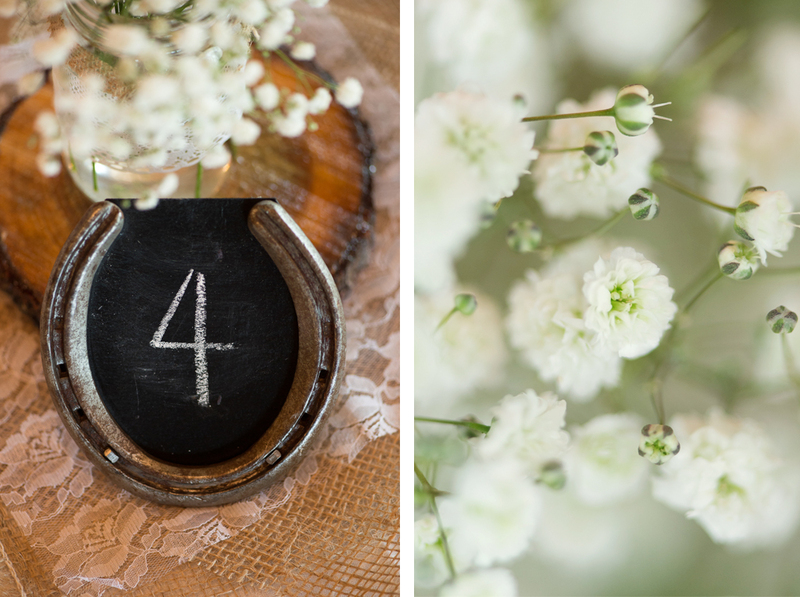 I loved the horseshoe table numbers and the bride’s cowboy boots. 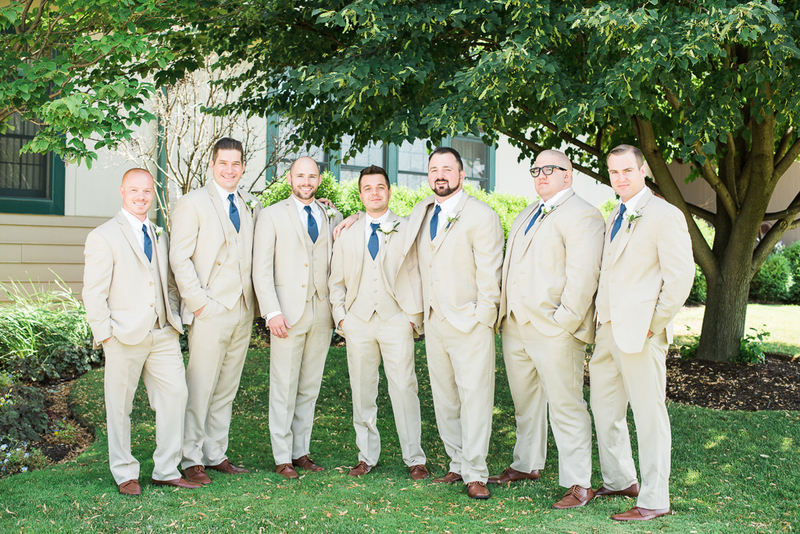 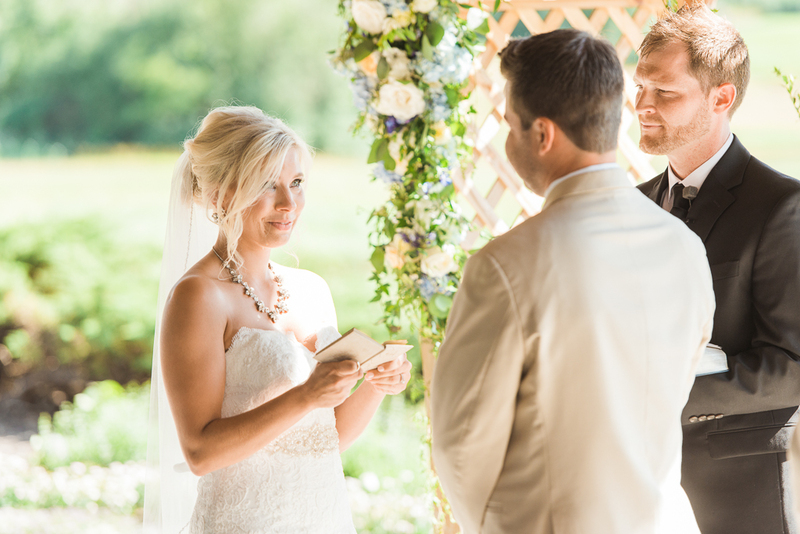 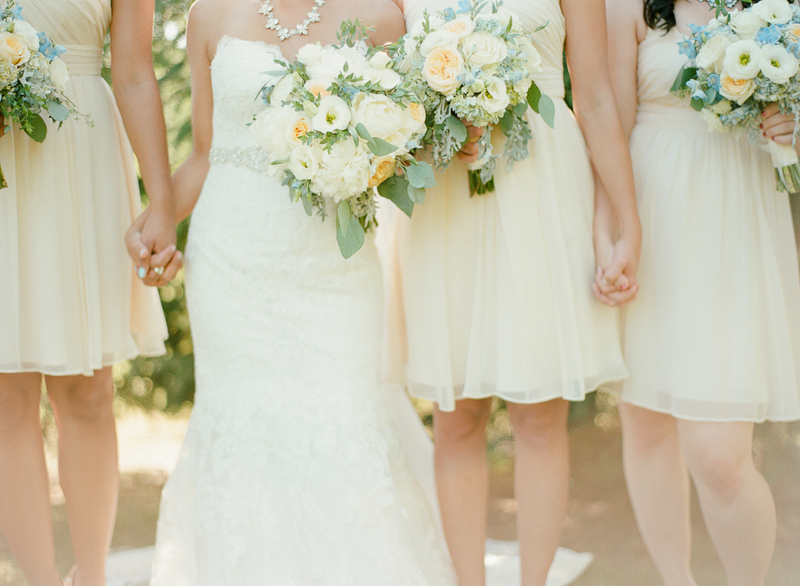 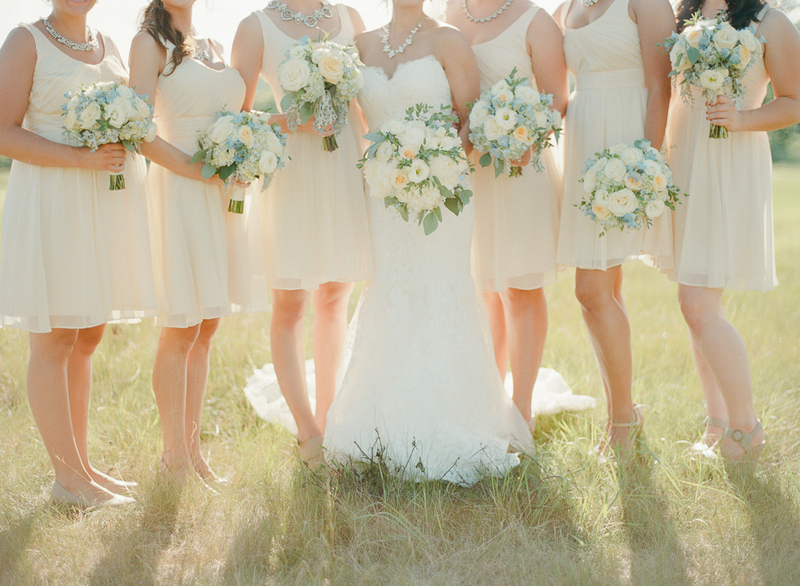 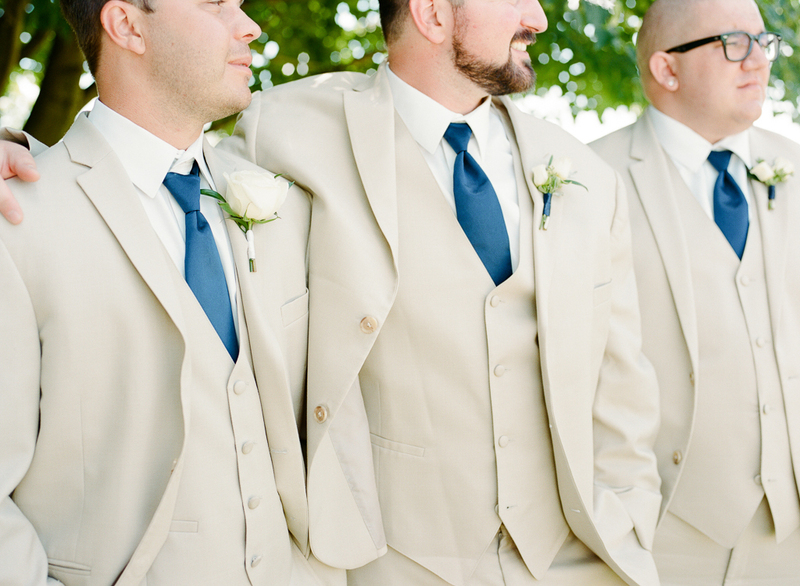 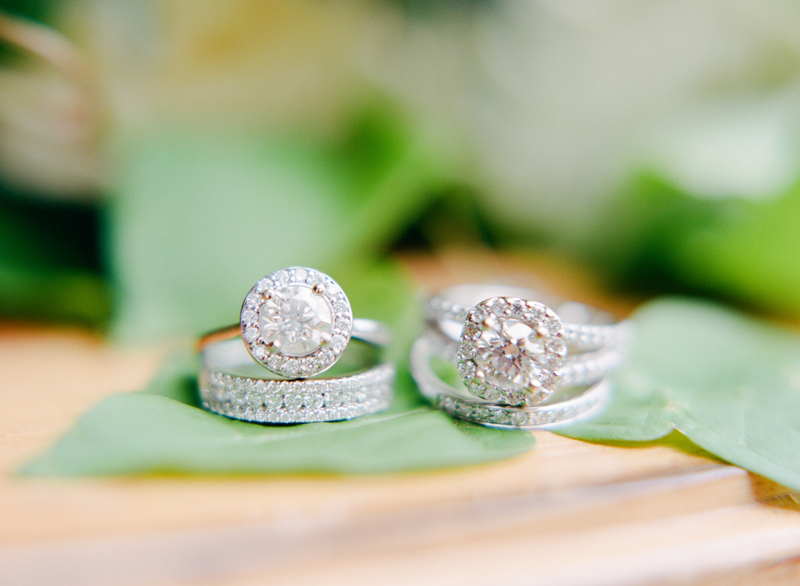 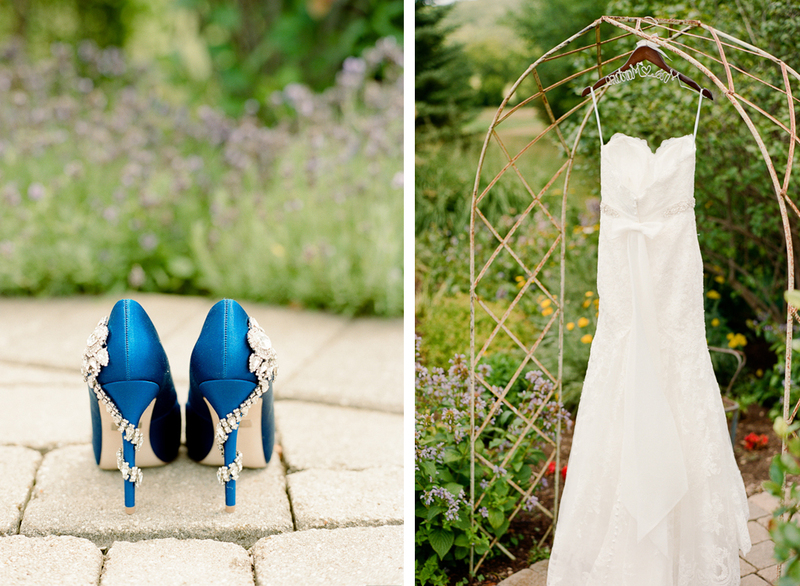 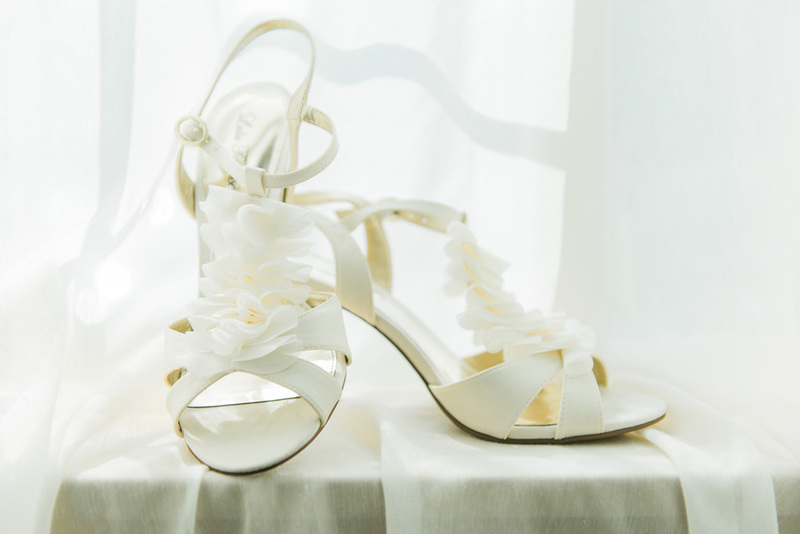 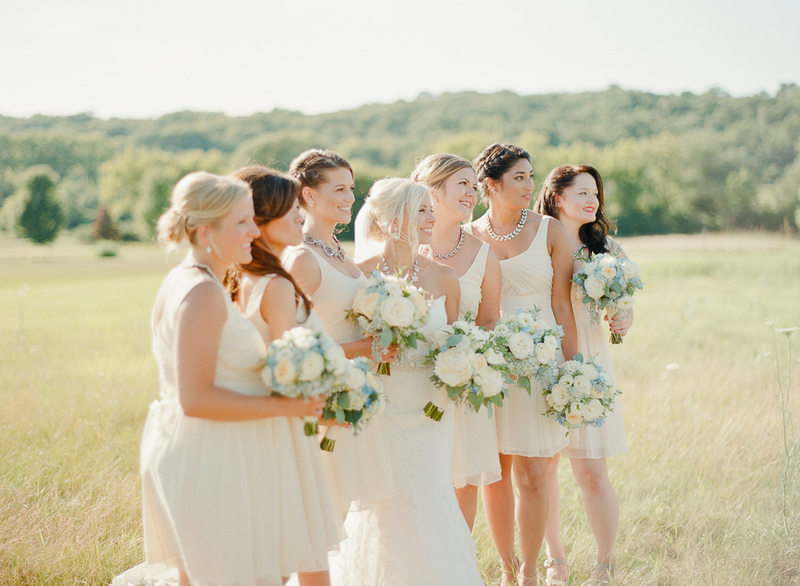 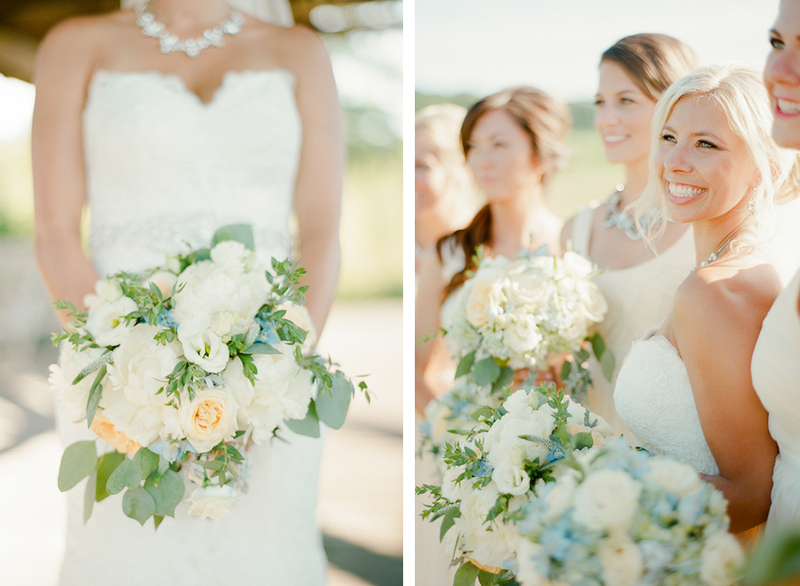 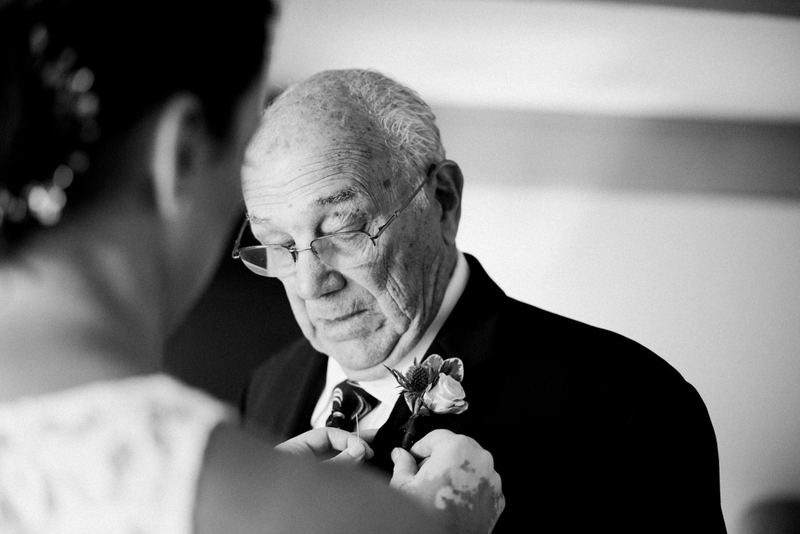 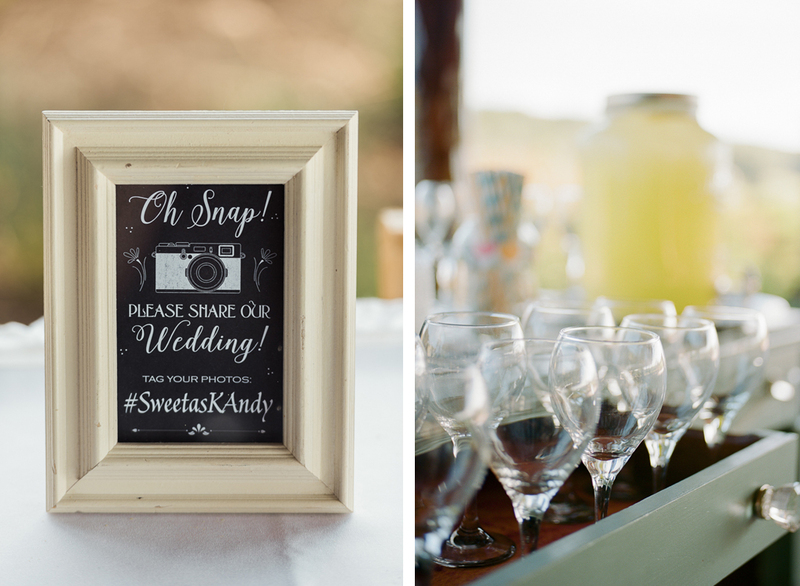 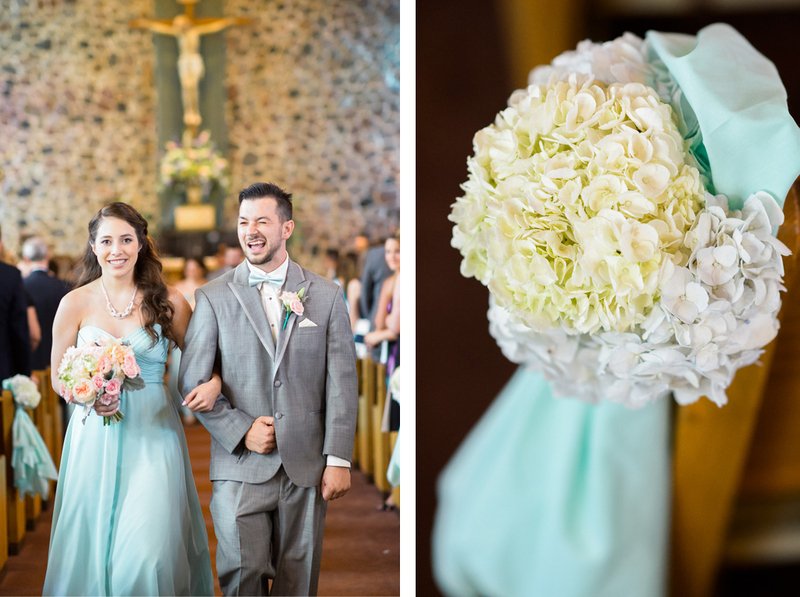 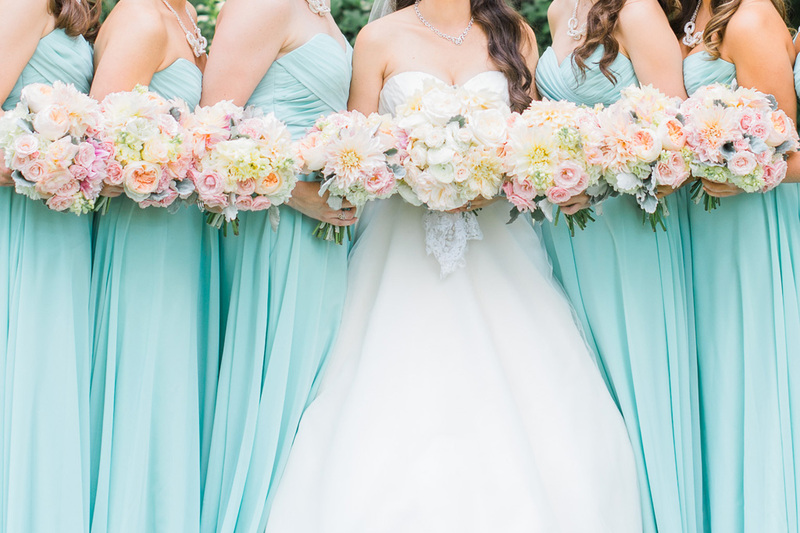 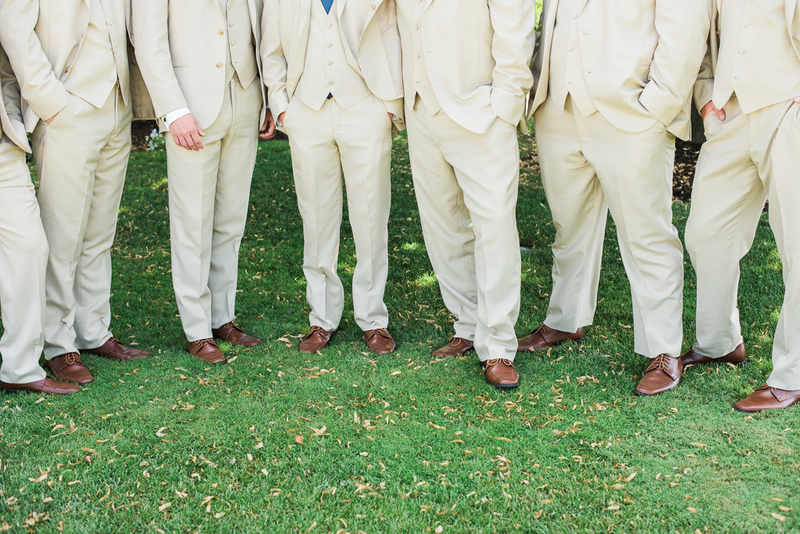 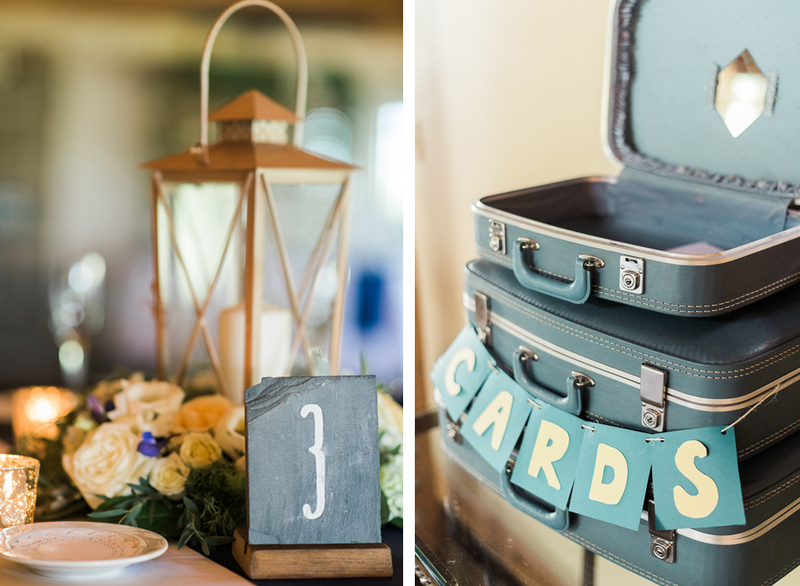 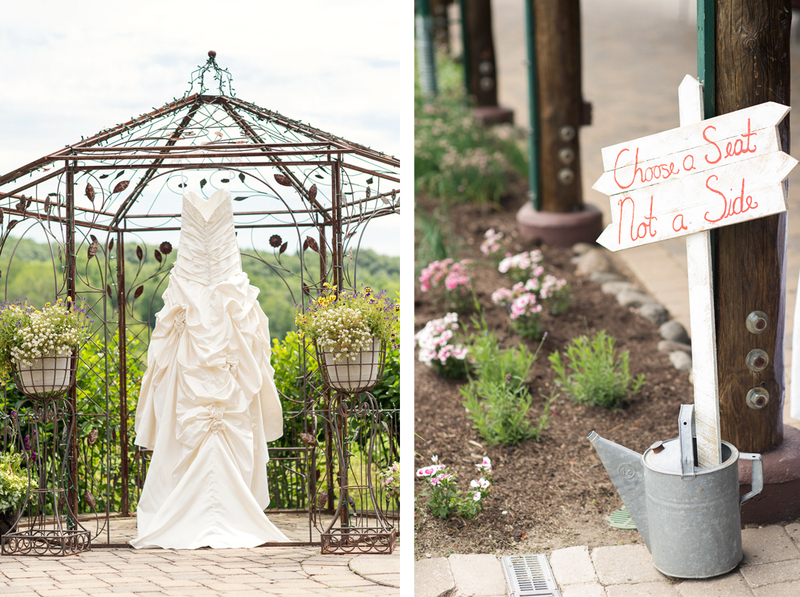 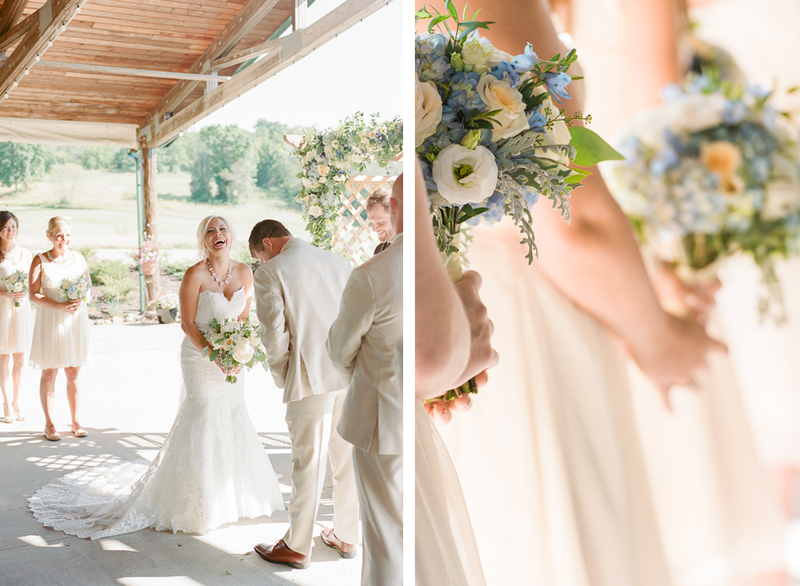 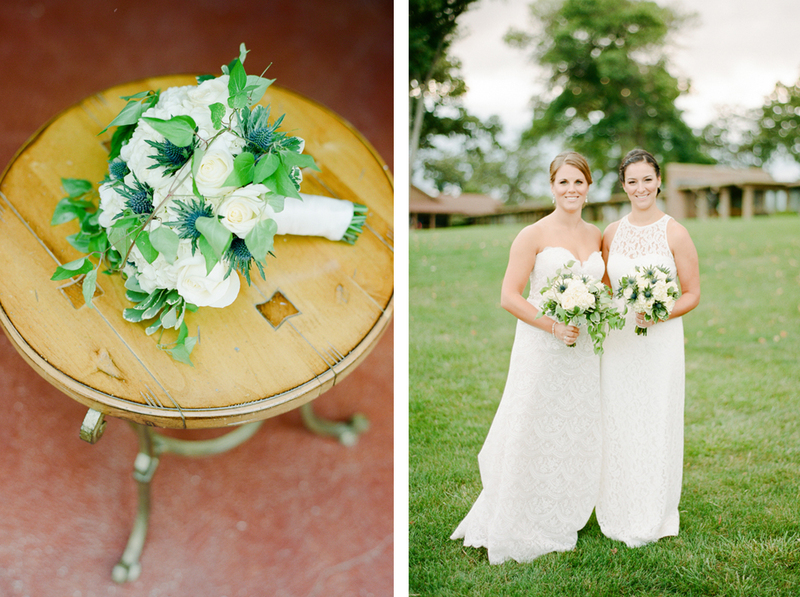 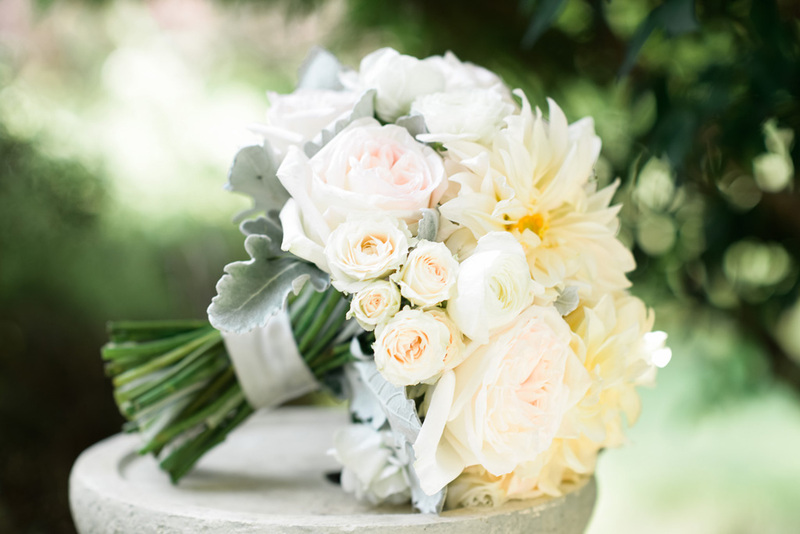 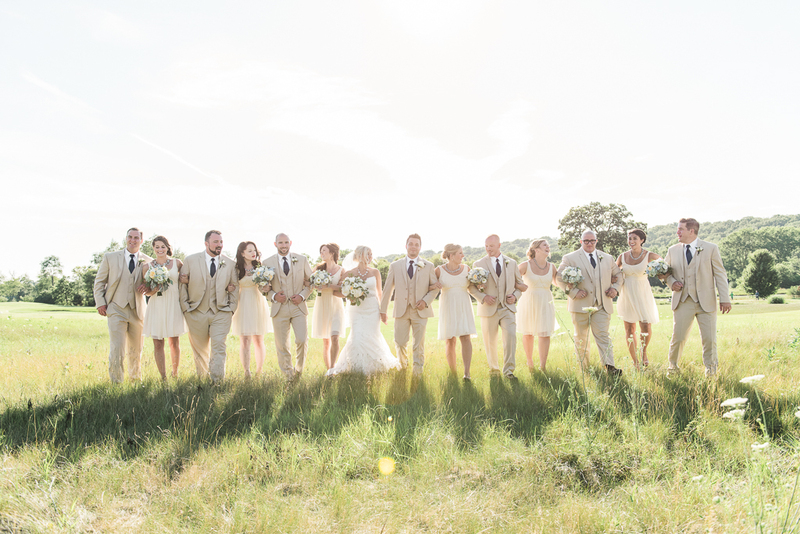 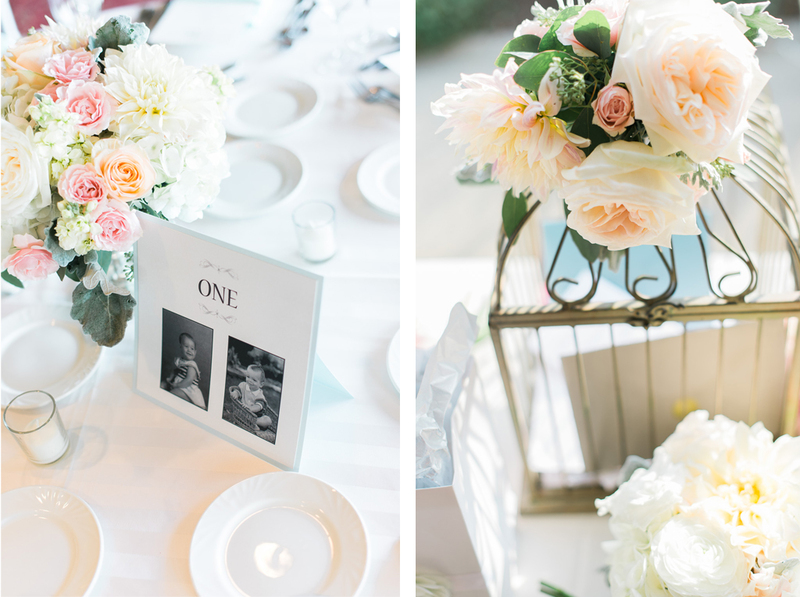 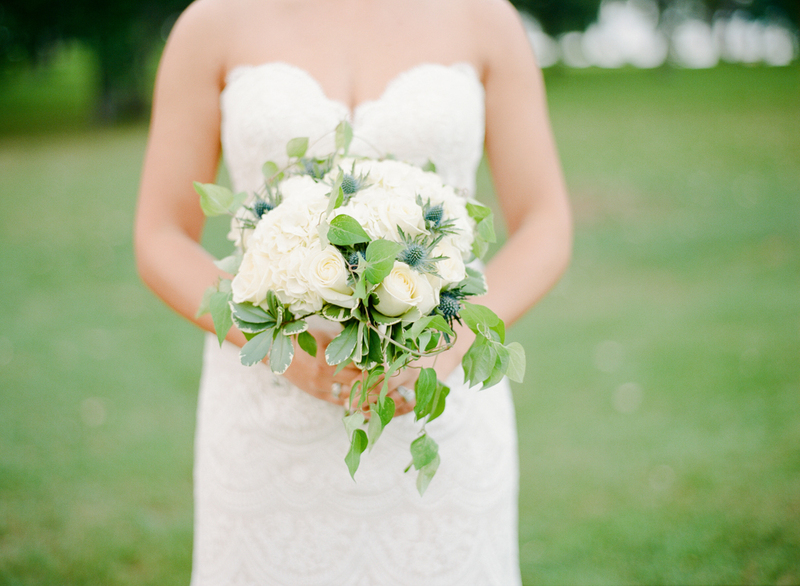 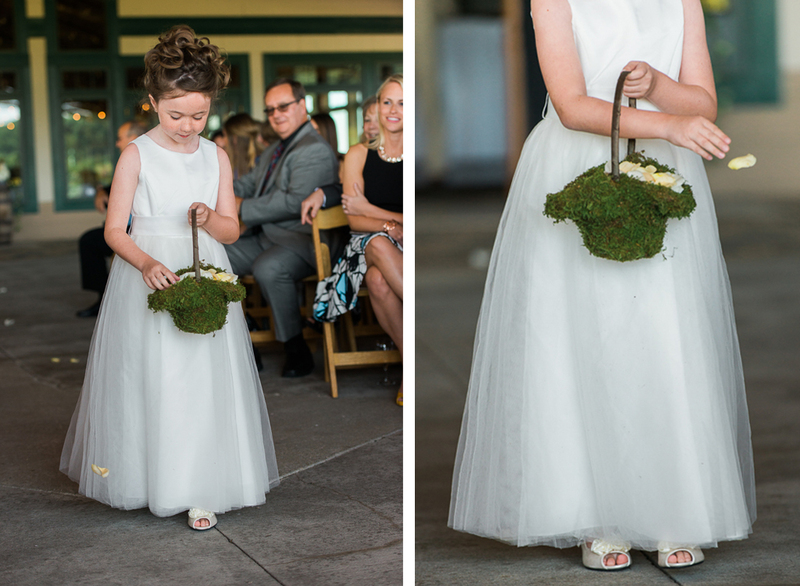 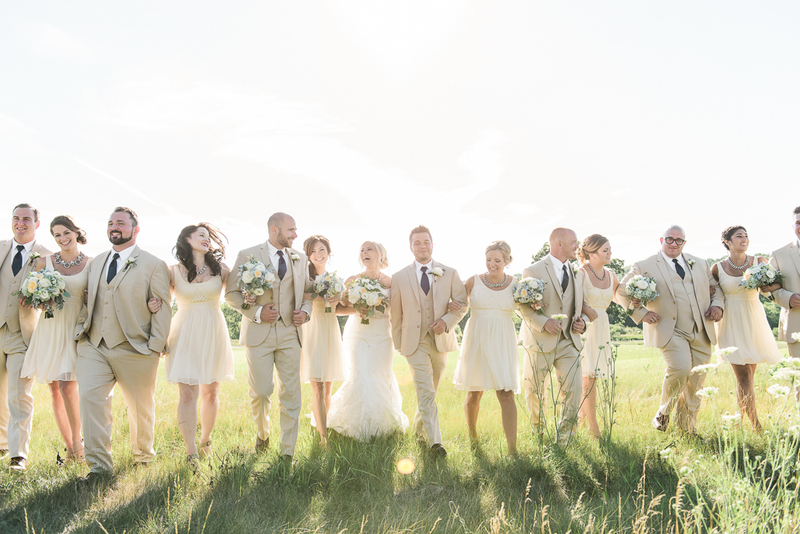 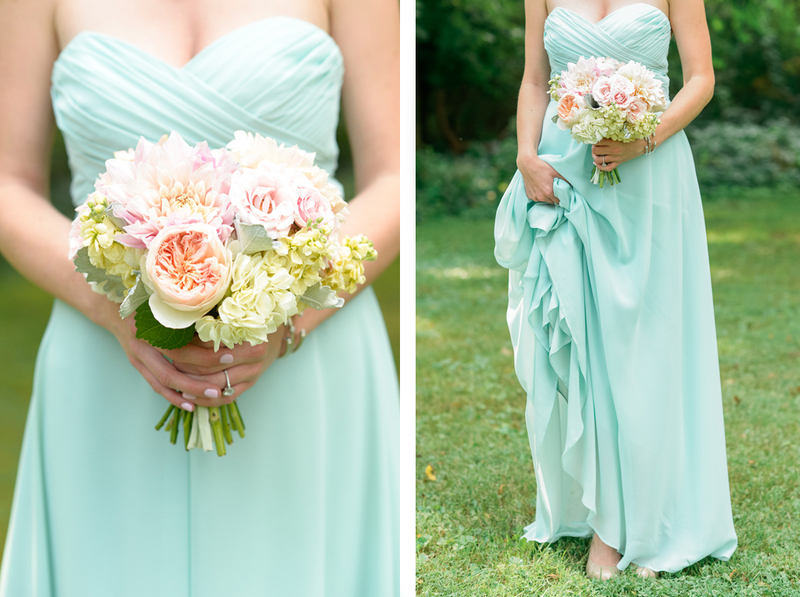 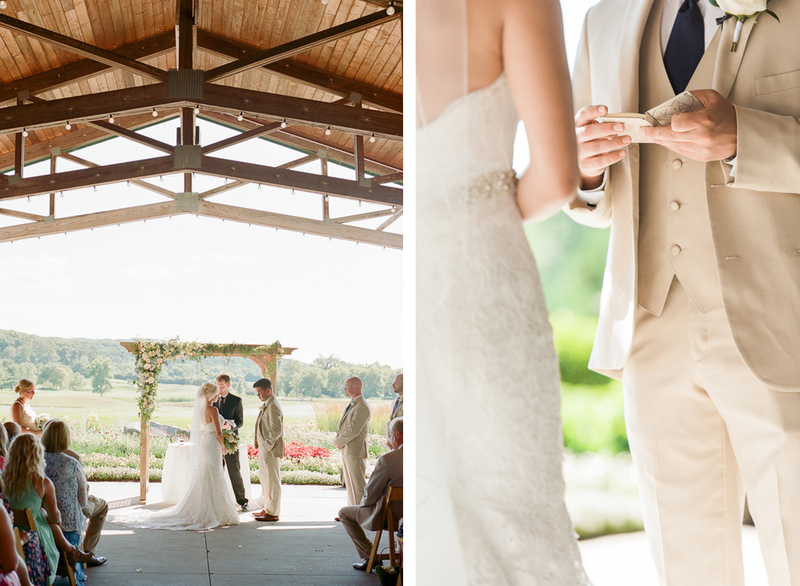 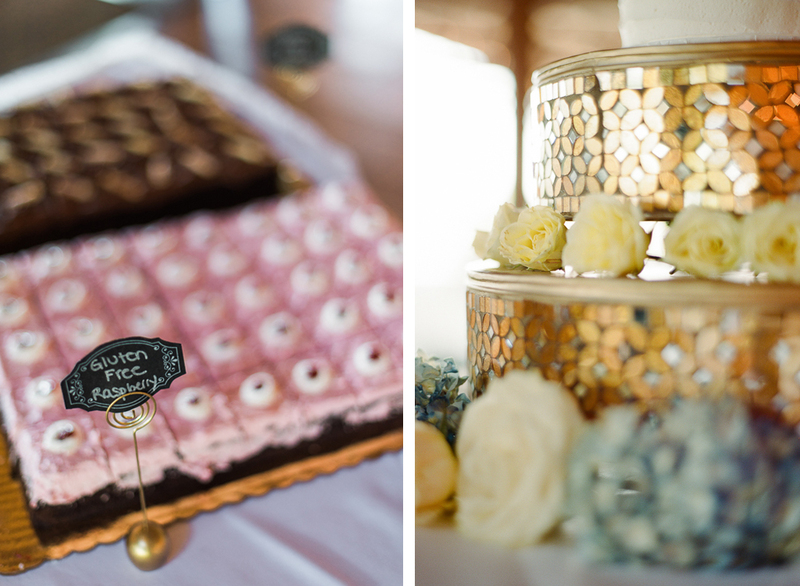 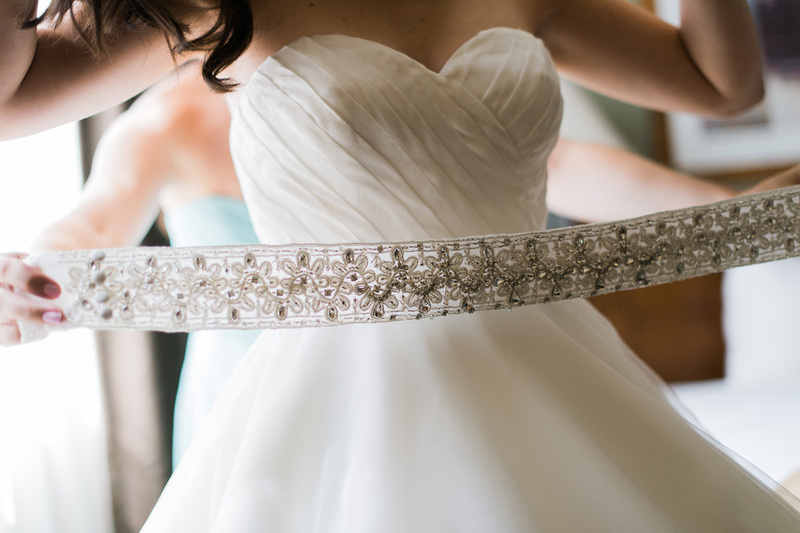 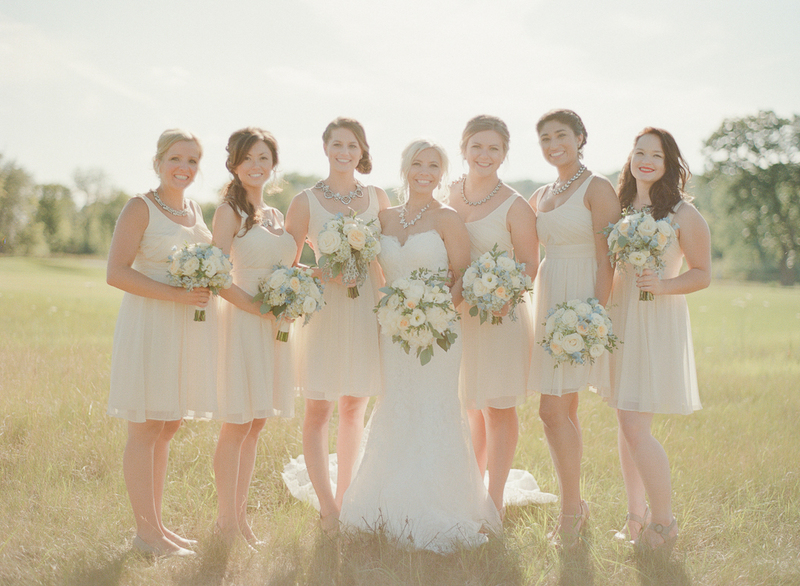 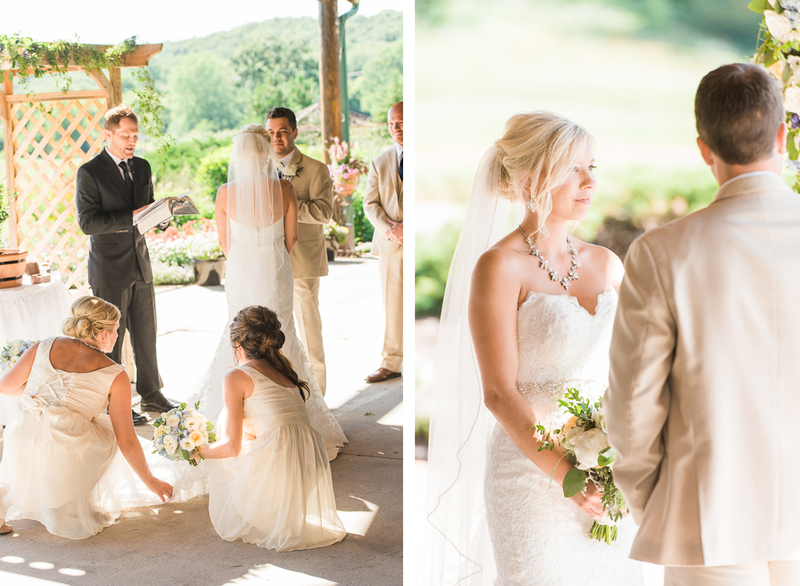 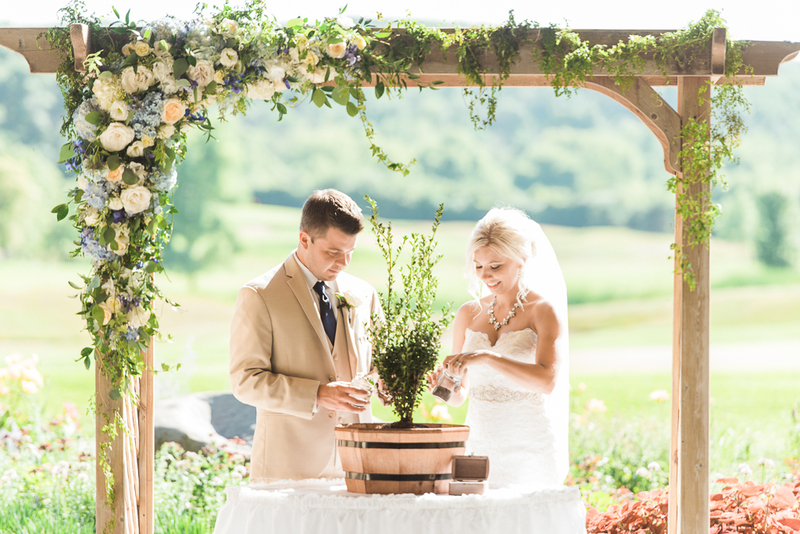 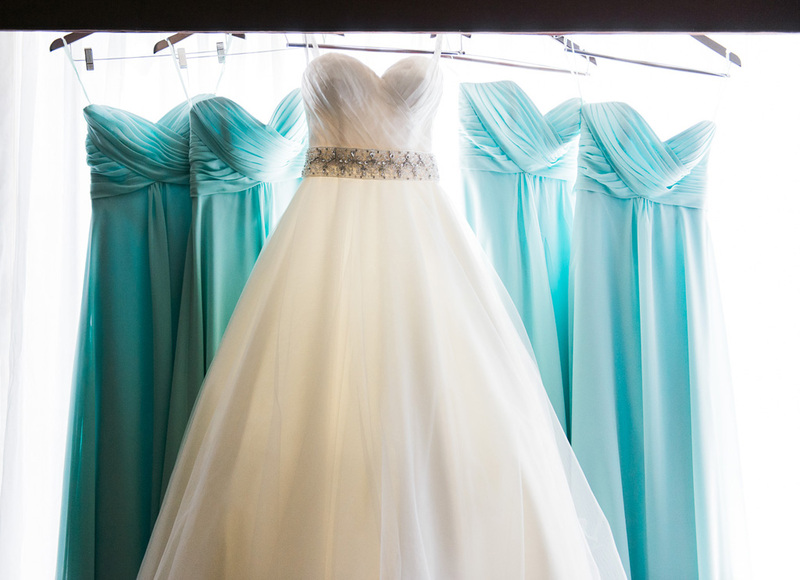 Just take a look for yourself to see this lovely country wedding!